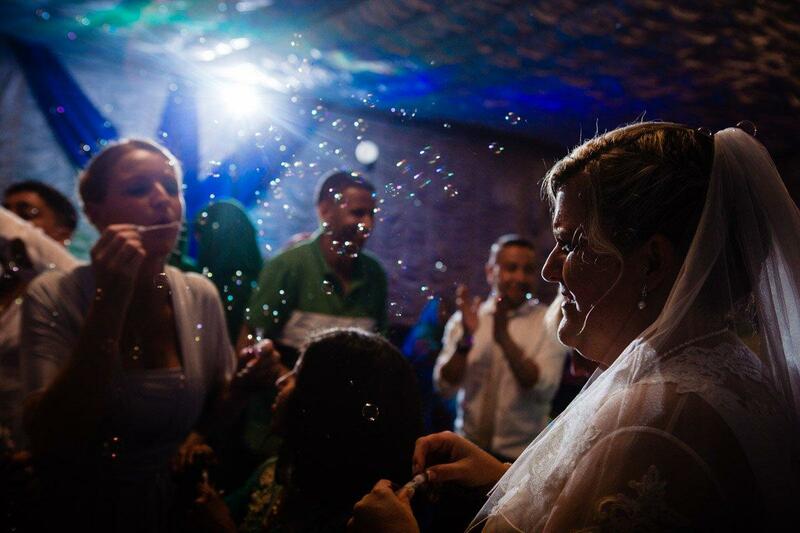 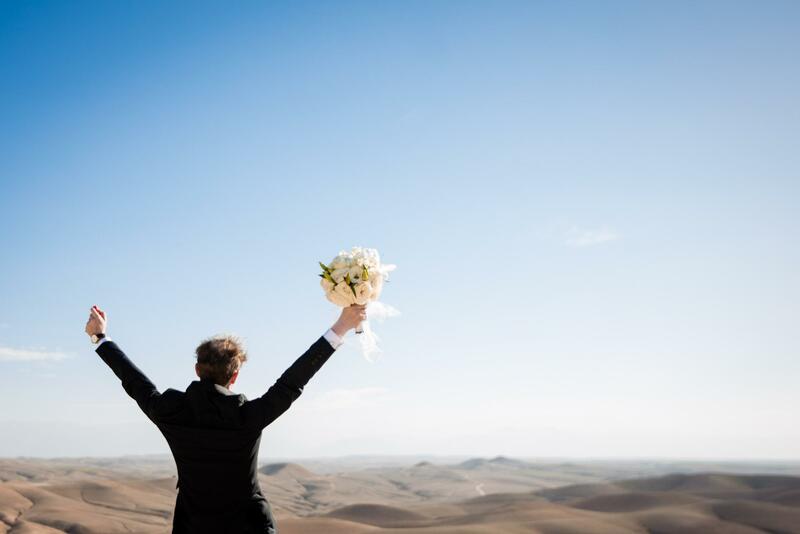 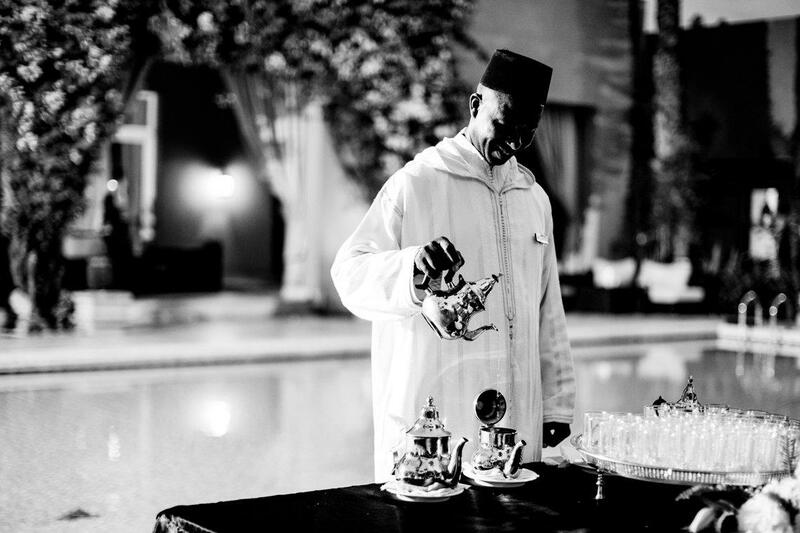 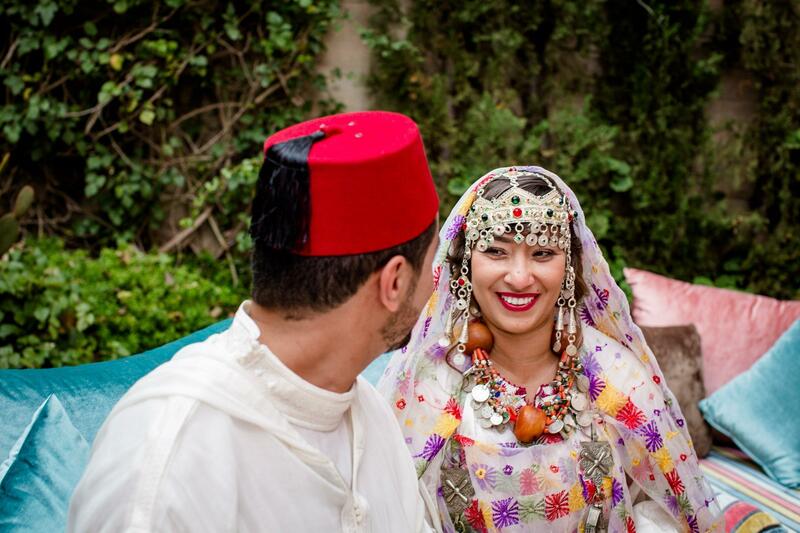 Destination Wedding in Marrakech – Love has a way of bringing people together from all over the world. 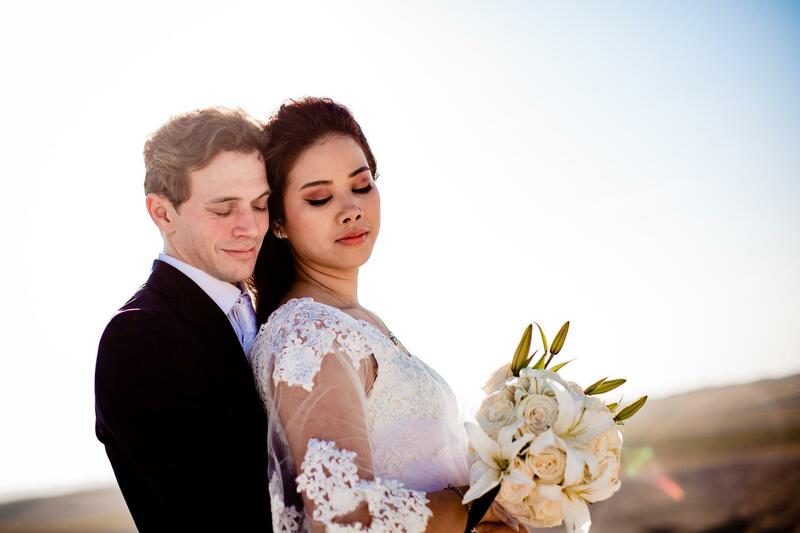 Nine years ago, Kevin was living in the US and Kamille was in the Philippines. 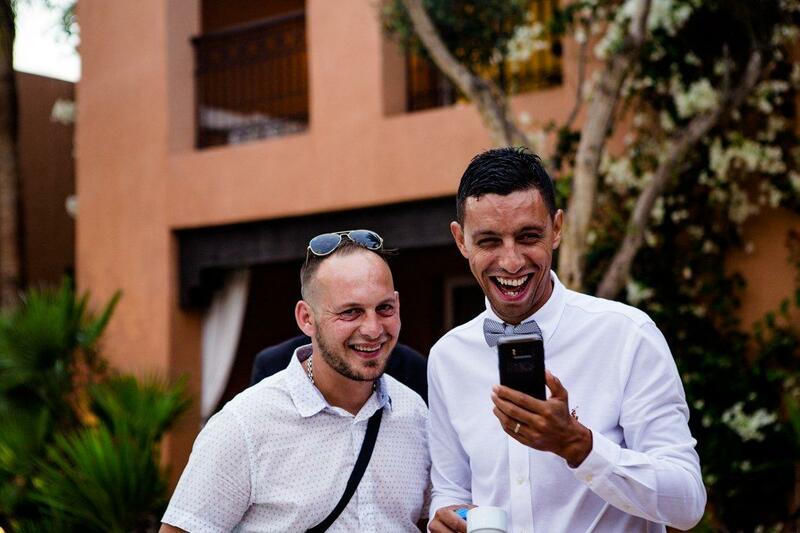 They struck up a friendship over the internet and gradually that friendship developed into something more. 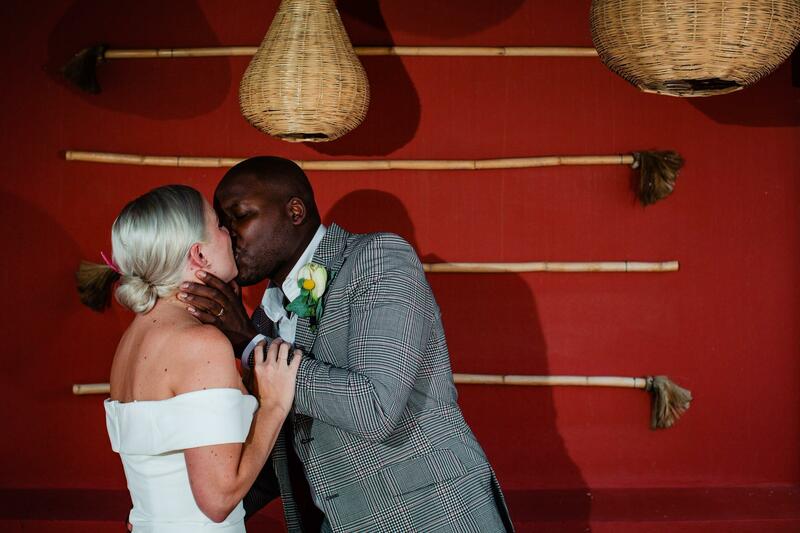 Fast forward to a few years later when they both moved to Japan for work and finally put an end to their long distance relationship. 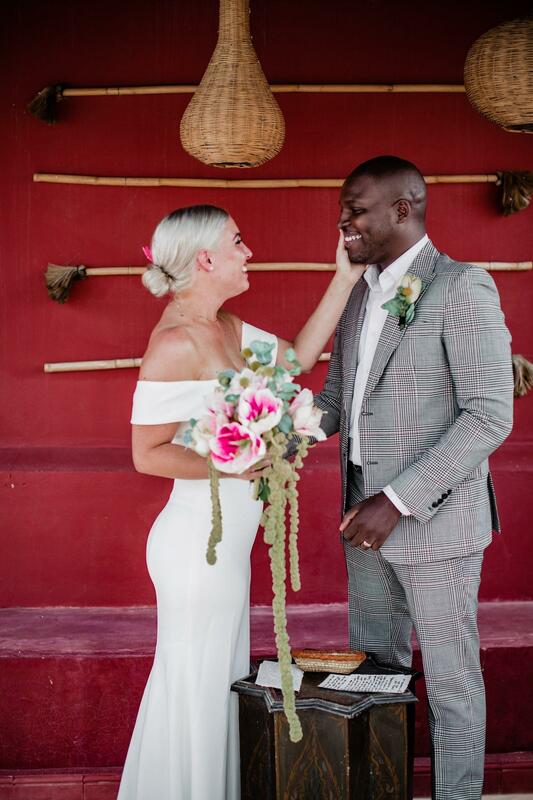 Their wedding took place on March 2nd, which was also their one year anniversary of their civil anniversary and nine year anniversary of when they first started dating! 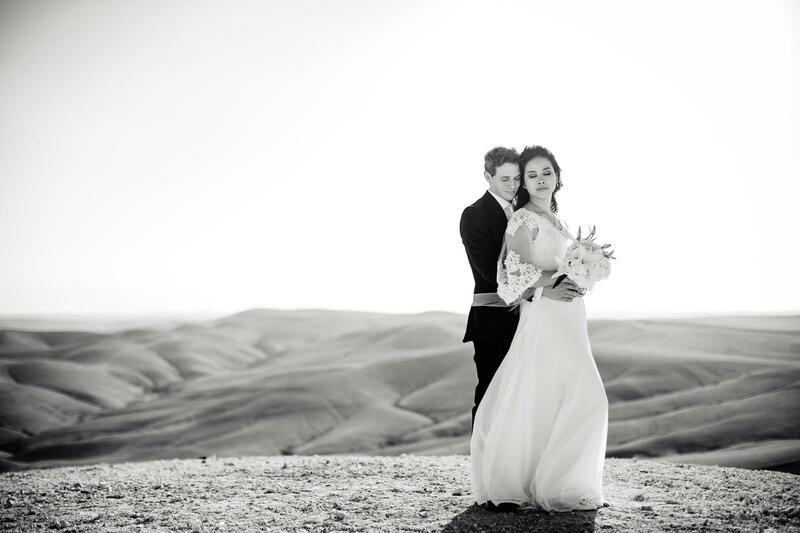 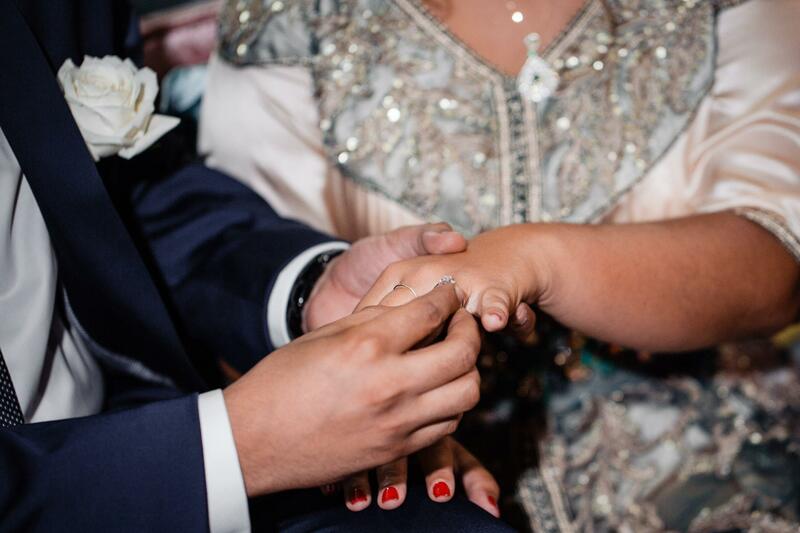 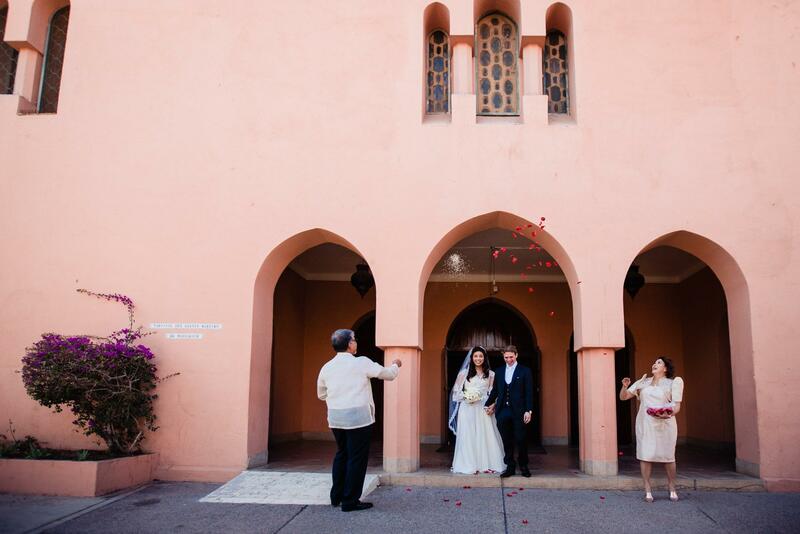 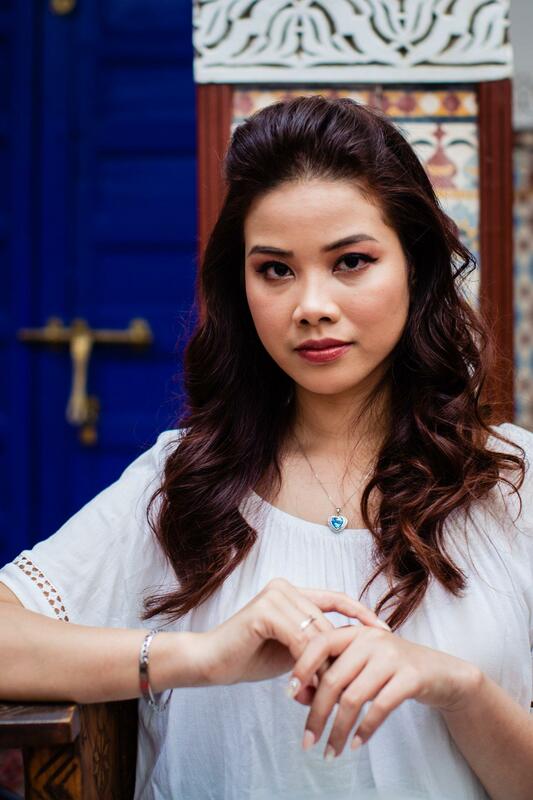 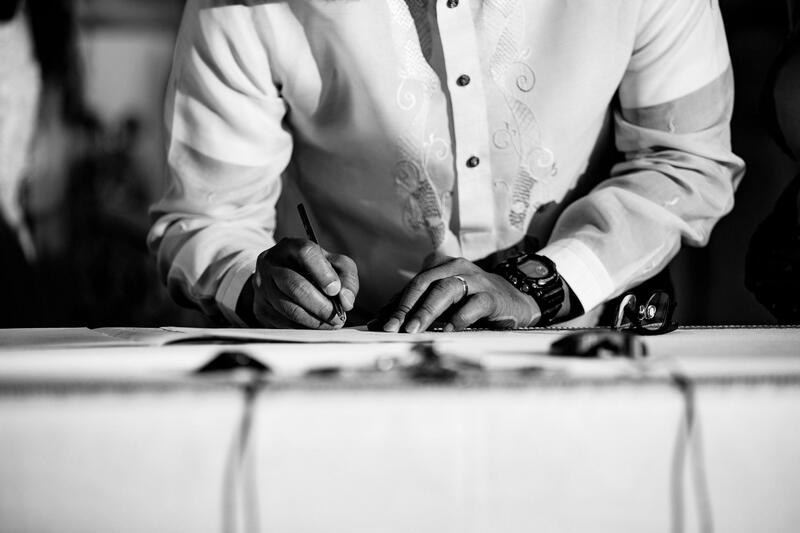 Marrakech is a beautiful location for a destination wedding and Kamille’s parents were able to travel in from the Philippines to celebrate with them. 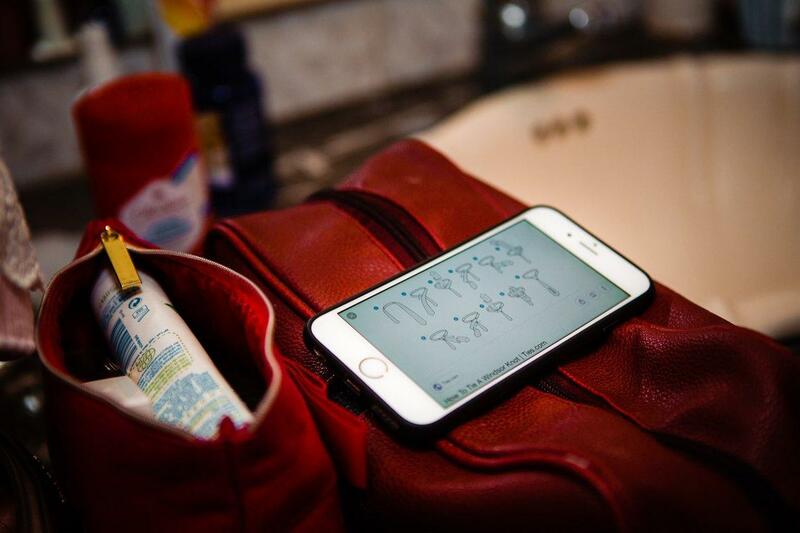 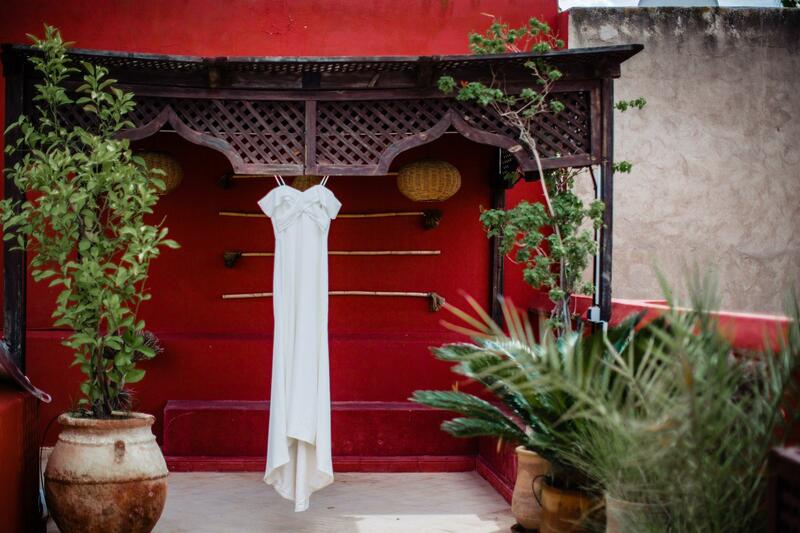 The morning was spent at riad getting ready. 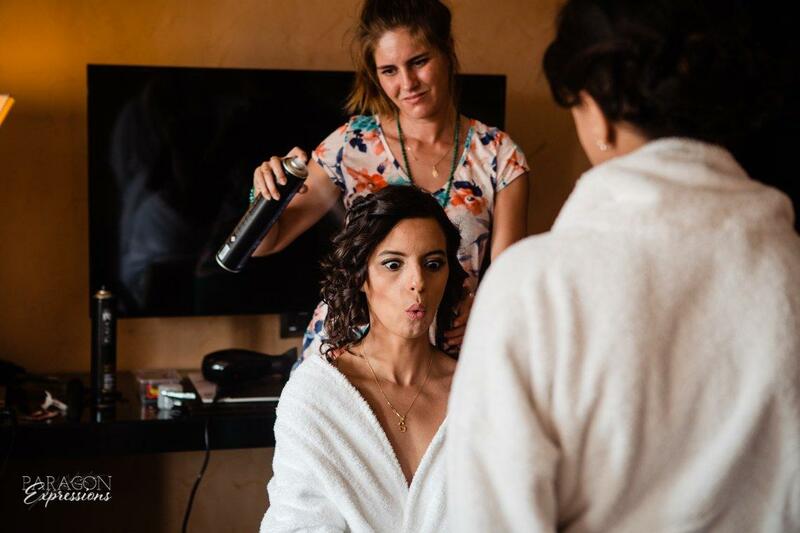 Getting ready photos are always a favorite as there is so much anticipation and emotion as couples get ready. 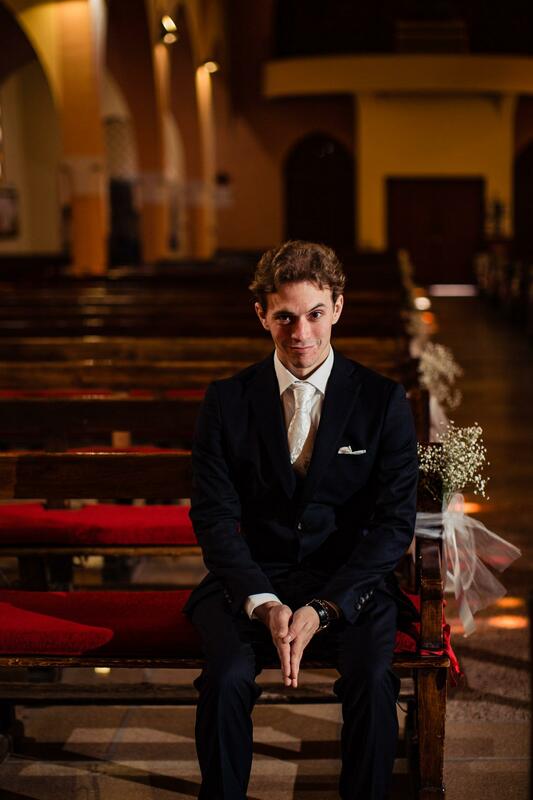 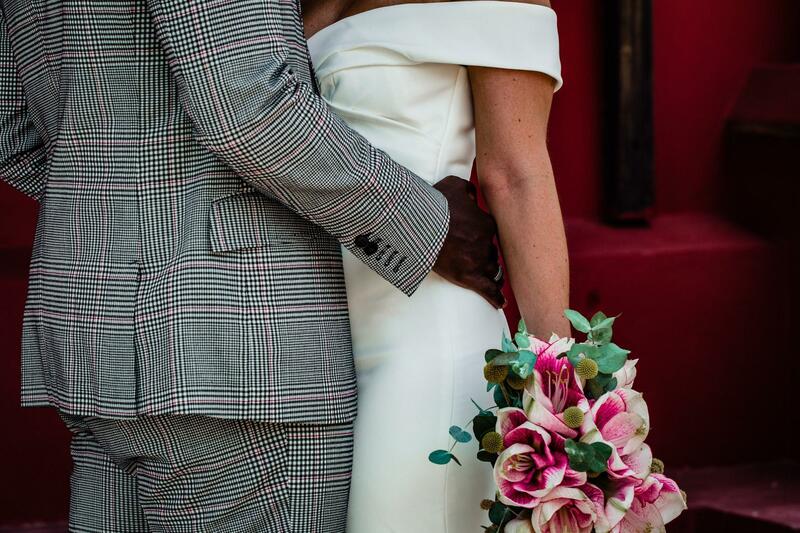 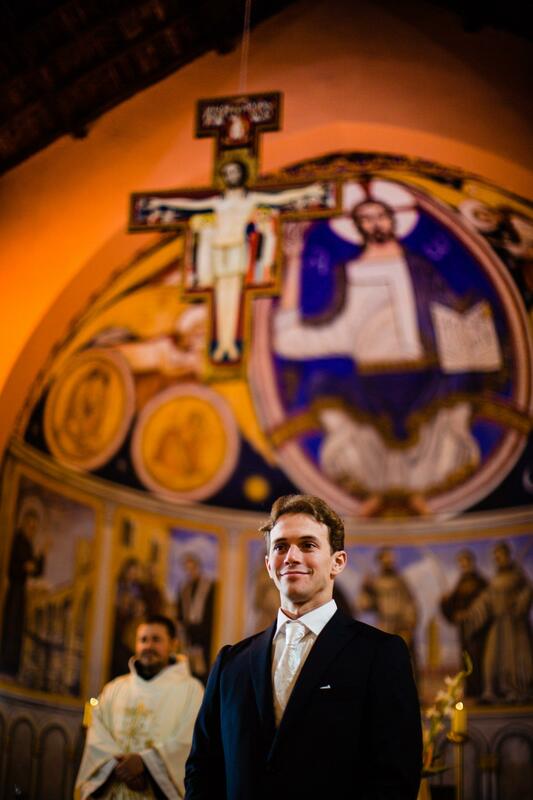 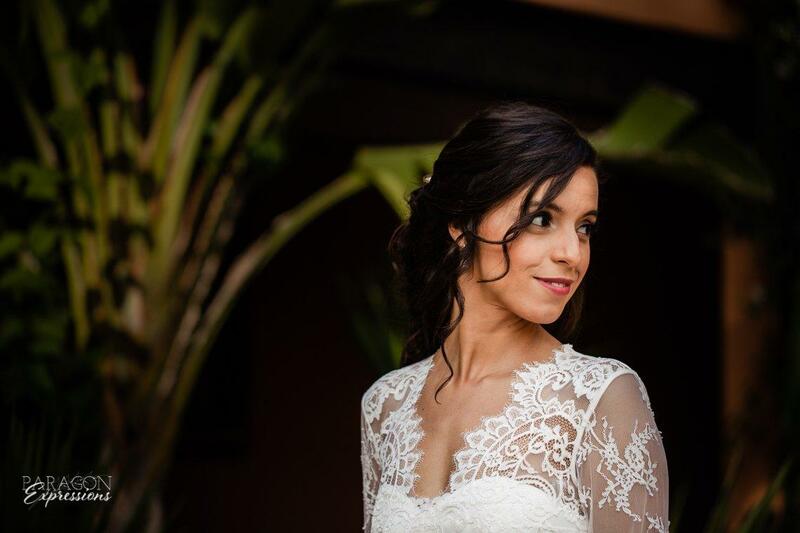 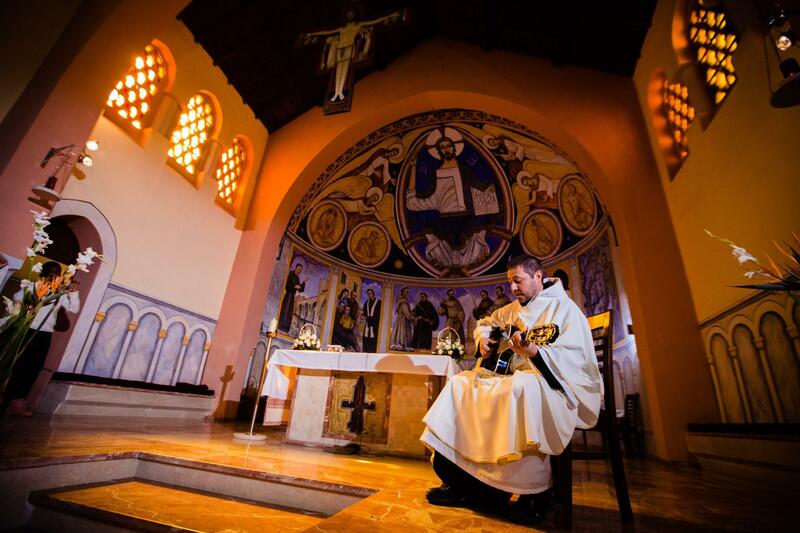 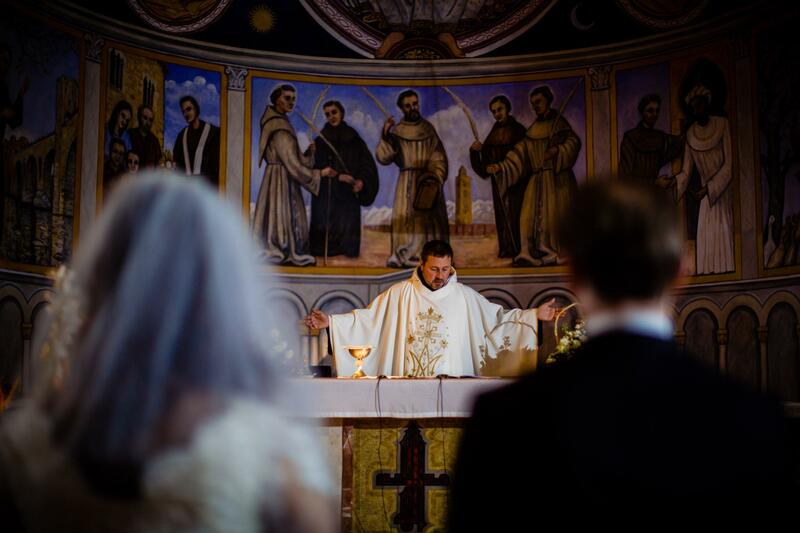 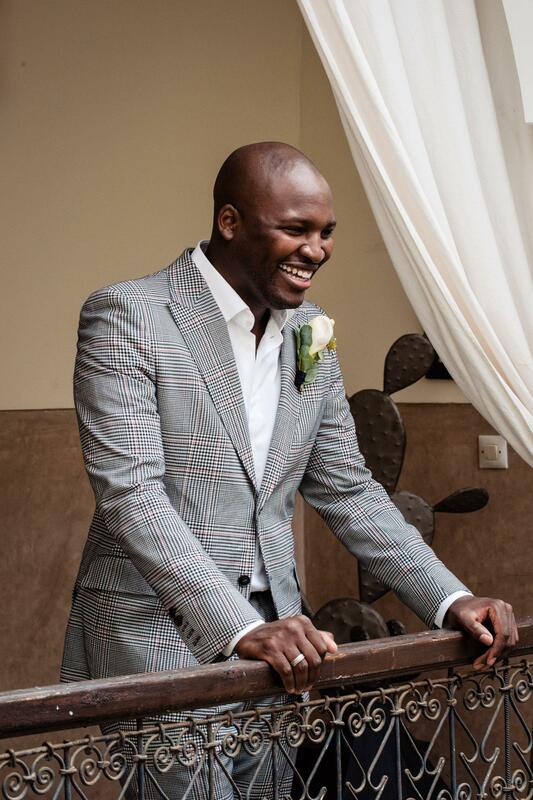 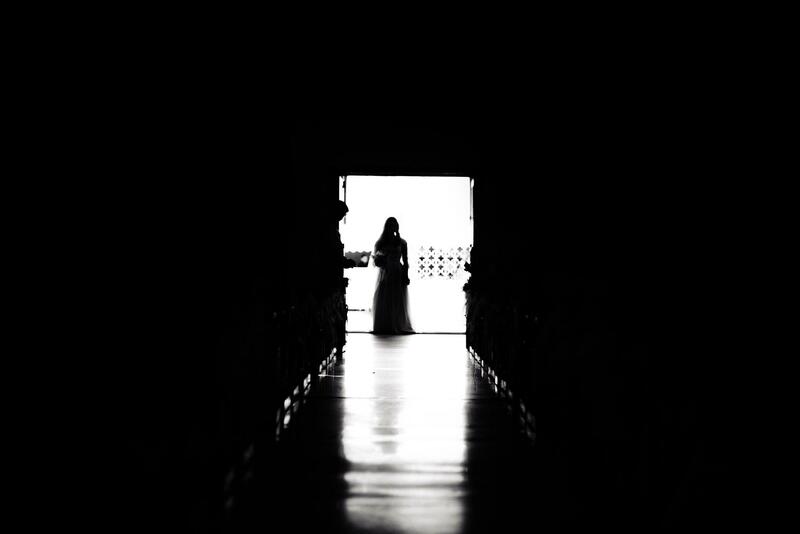 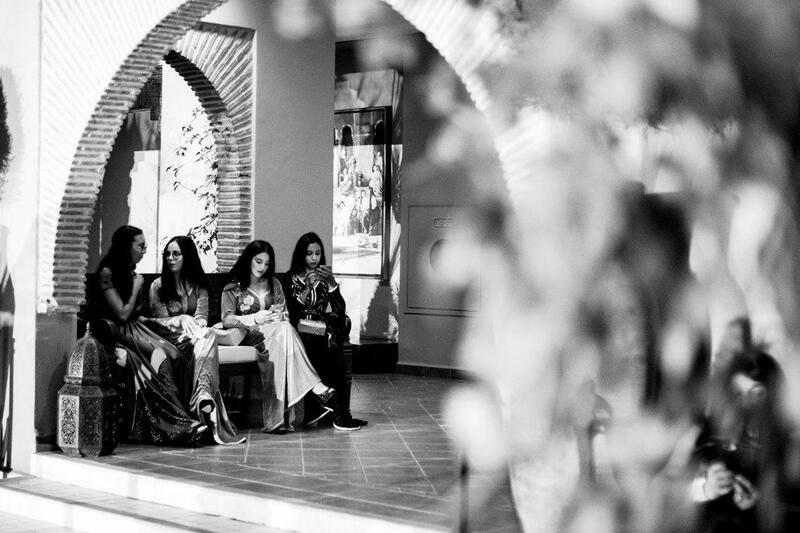 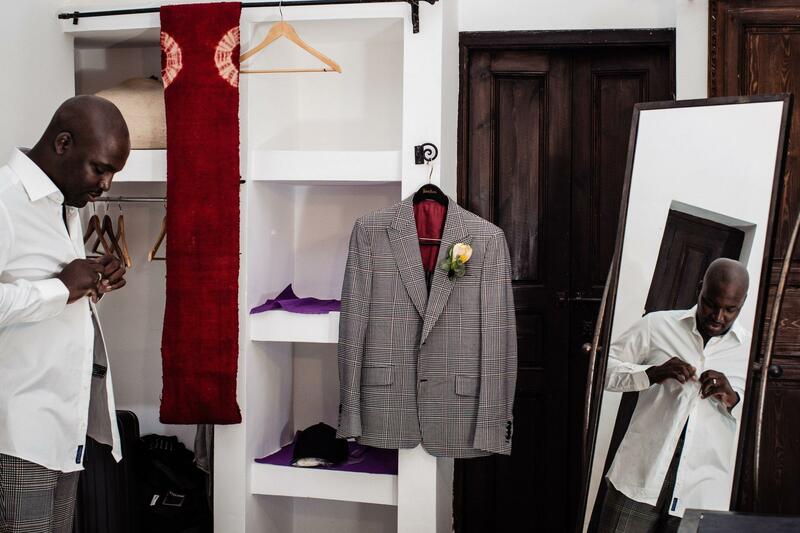 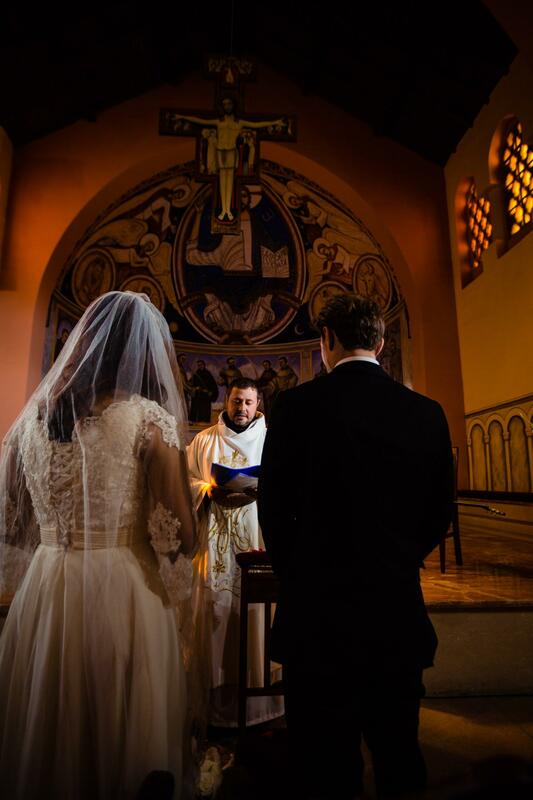 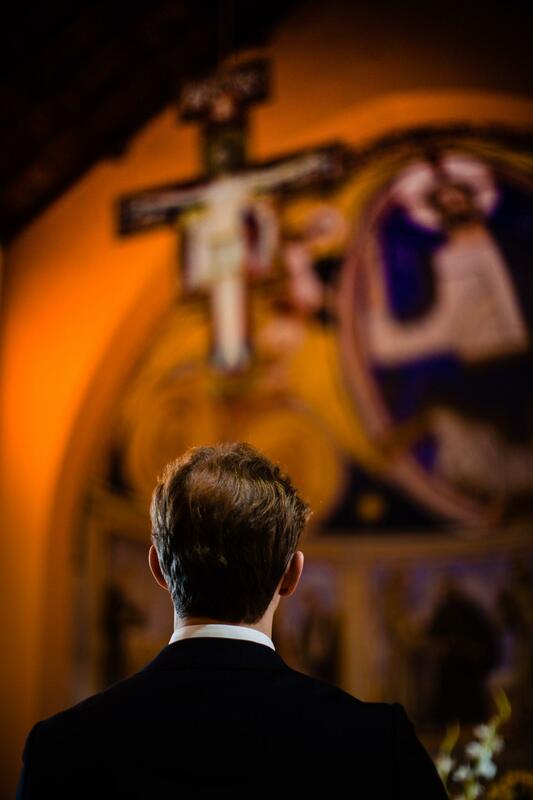 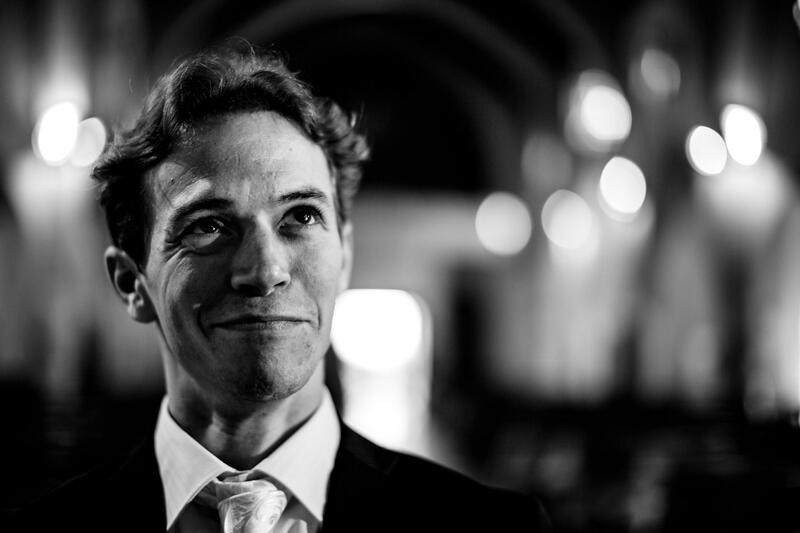 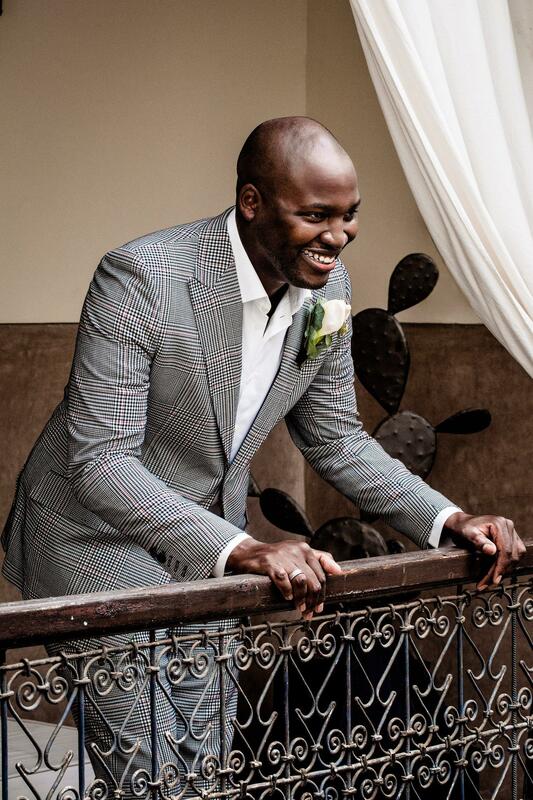 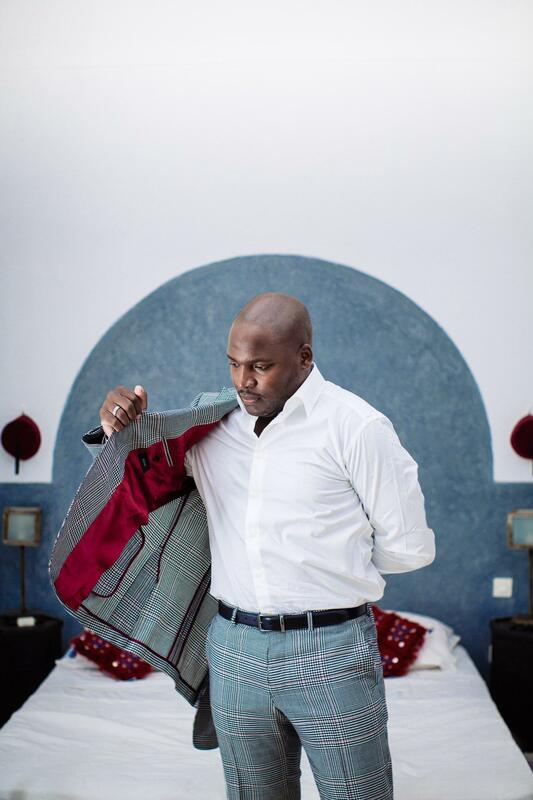 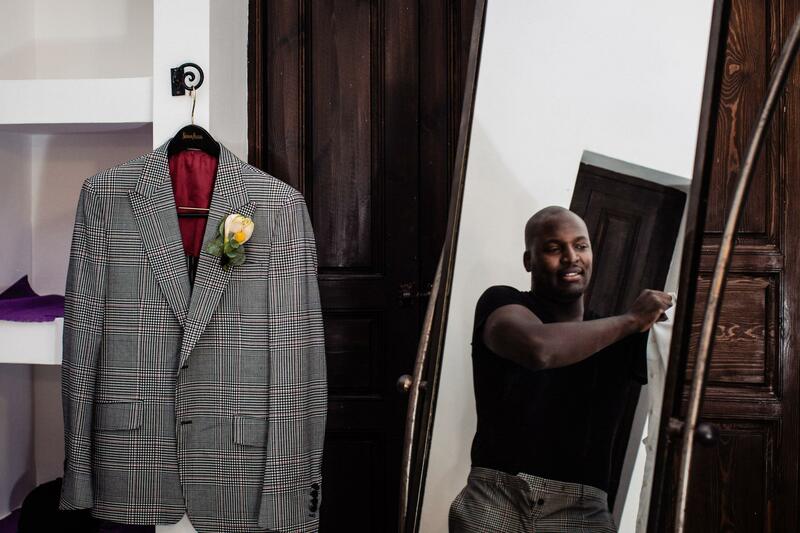 Kevin and Kamille were married at Eglise Des Martyrs De Marrakech. 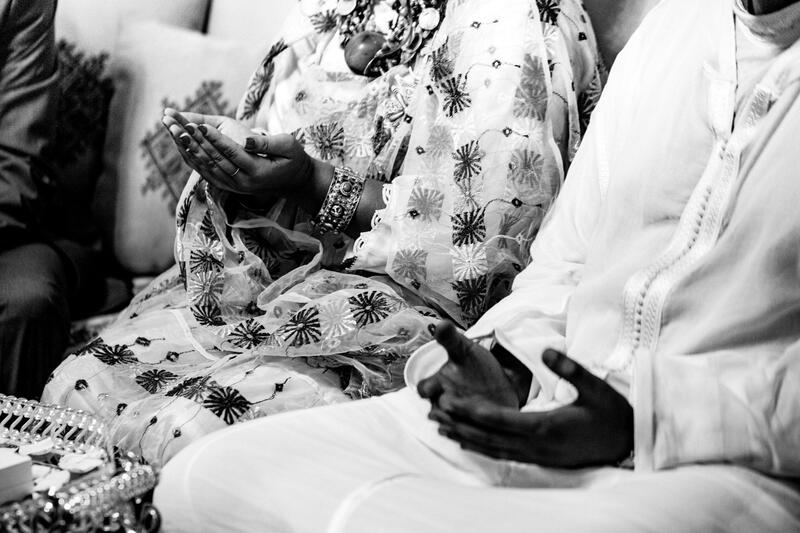 It was an incredibly meaningful ceremony. 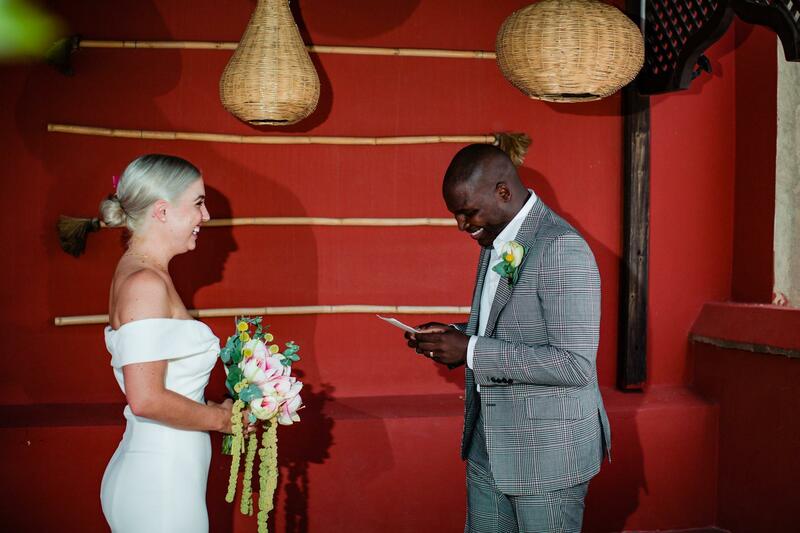 Kevin’s first look at Kamille as she walked down the aisle was just perfect and we loved how Kevin and Kamille took some time during the ceremony to say a few words of their own to each other. 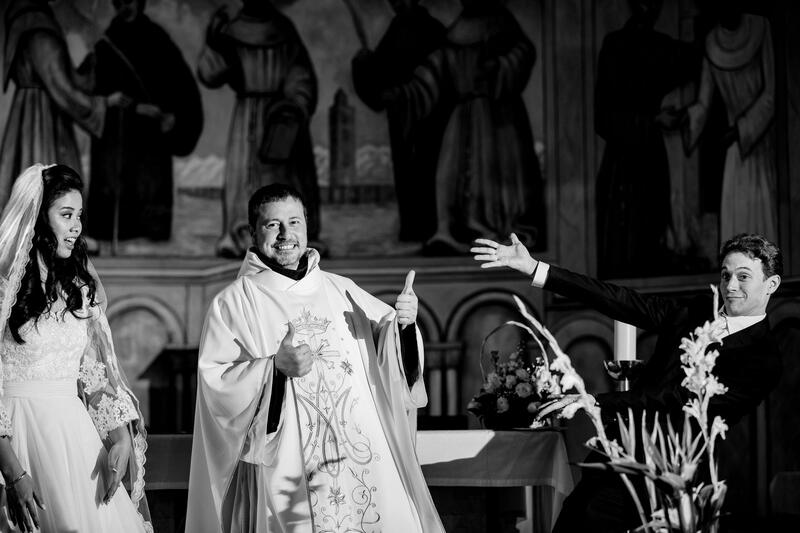 During the ceremony the priest serenaded the bride and groom with a love song, which was a first and such a special touch to the ceremony. 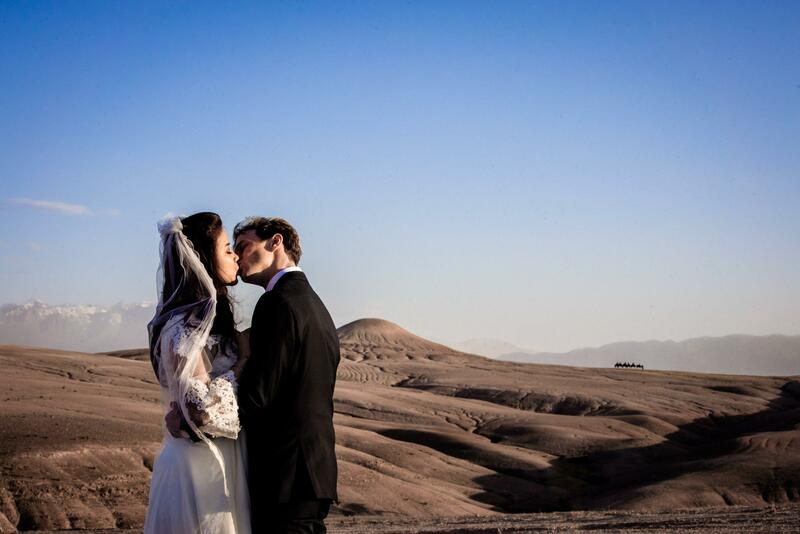 Following the ceremony, we took the newlyweds to the beautiful Agafay desert. 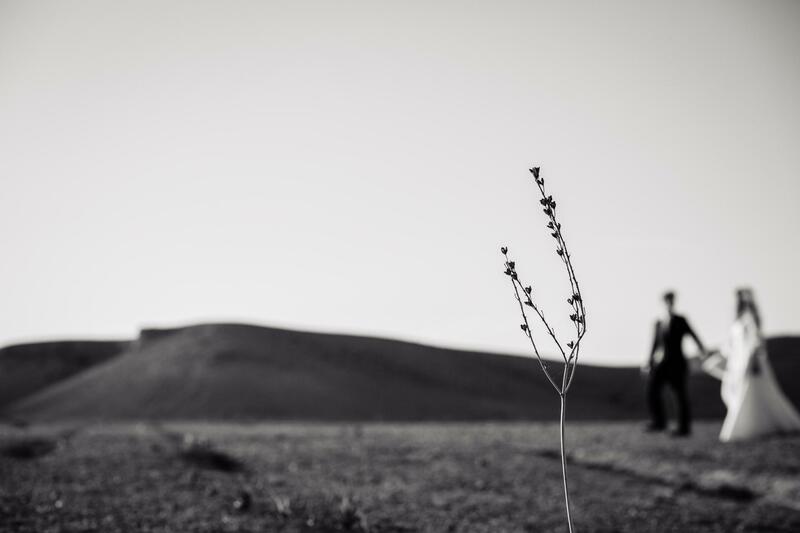 Kamille had shared how they wanted photos in a wilderness sort of location as a symbolic reminder that all they need in life is each other. 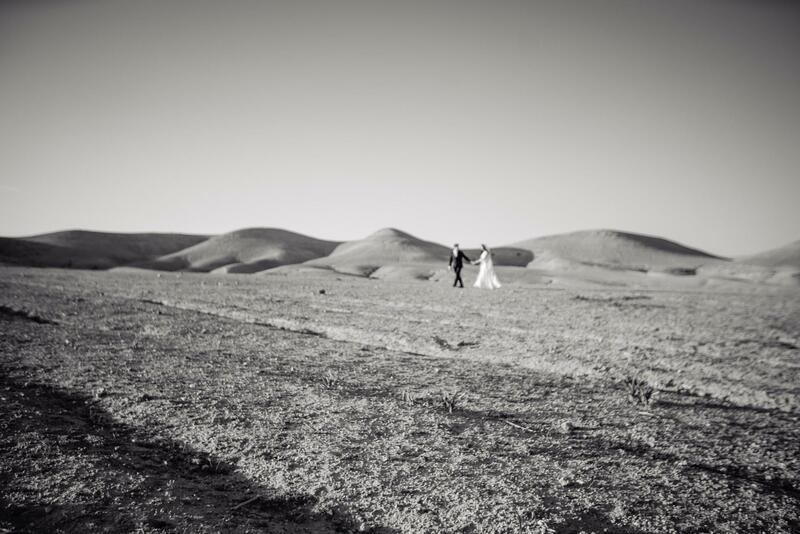 It was a perfect evening, and the snow capped Atlas Mountains were even visible in the background! 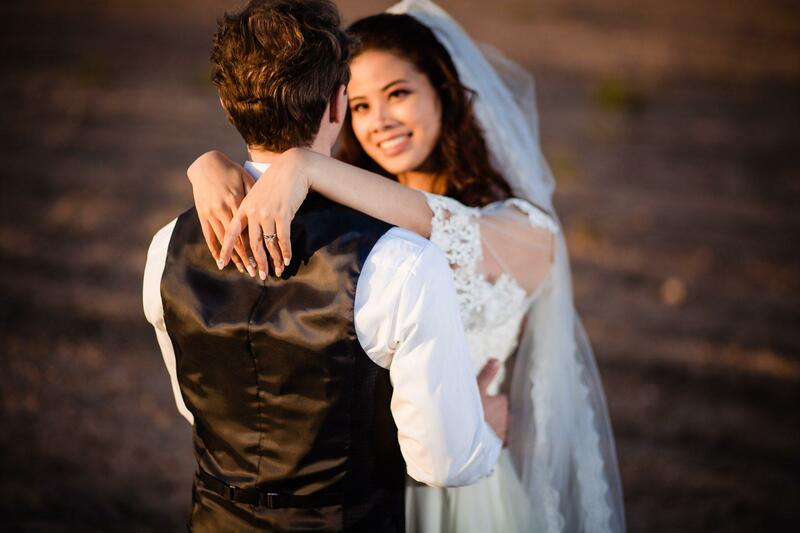 We had so much fun with Kevin and Kamille and love how well they compliment each other. 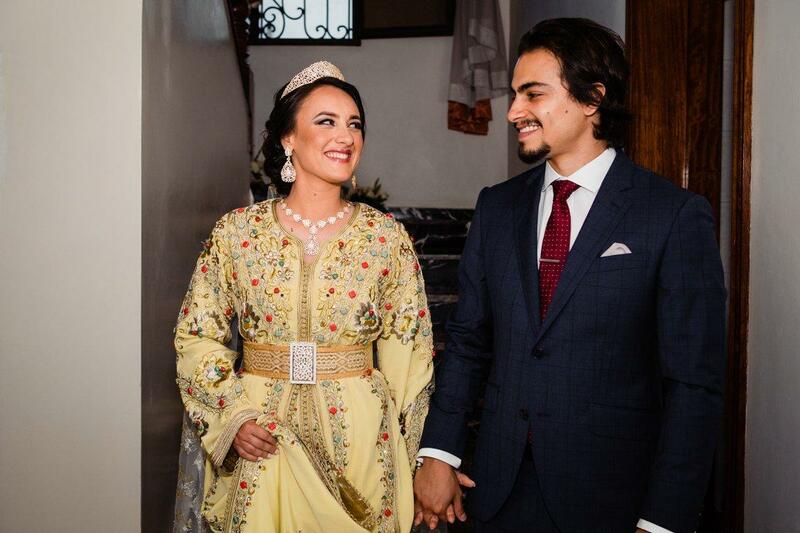 It was an incredibly special and intimate day and we wish them all happiness in their future together – and hope that they come back to Morocco again soon! 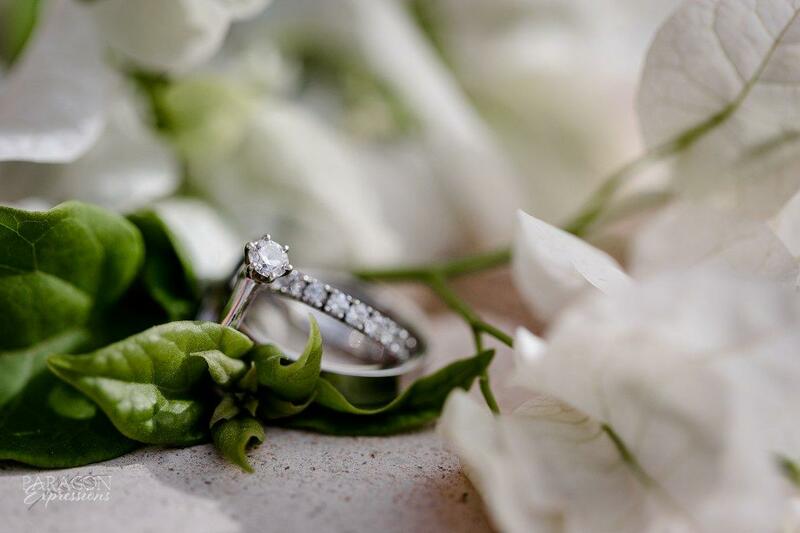 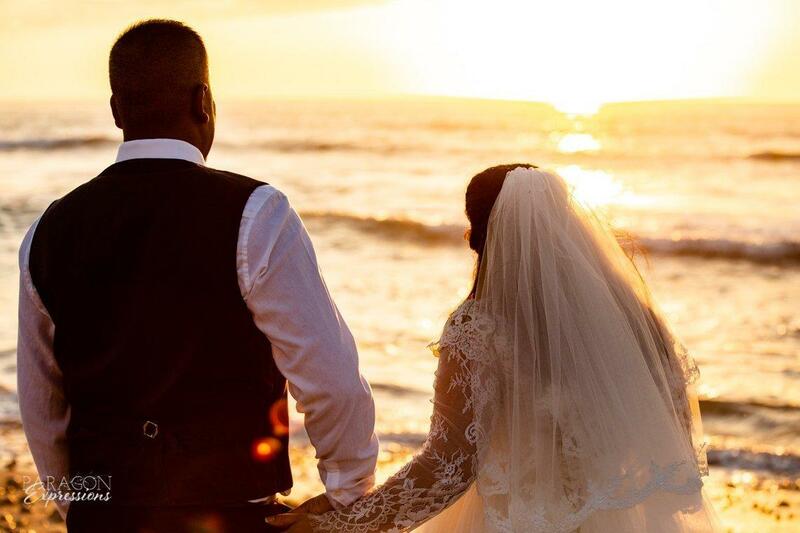 Contact us to book your 2019 wedding! 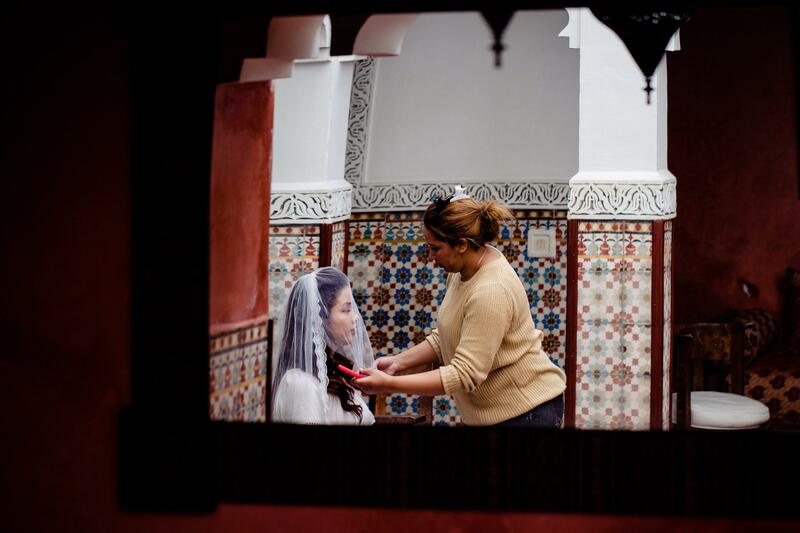 Photographing and filming weddings and newly married couples in Morocco is always an amazing experience. 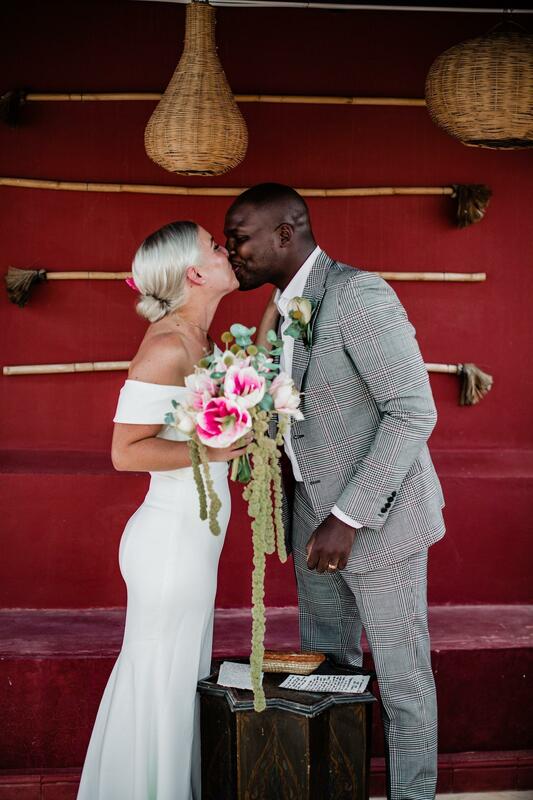 We can only look back on 2018 with an incredible amount of gratefulness that we get to do this for a job. 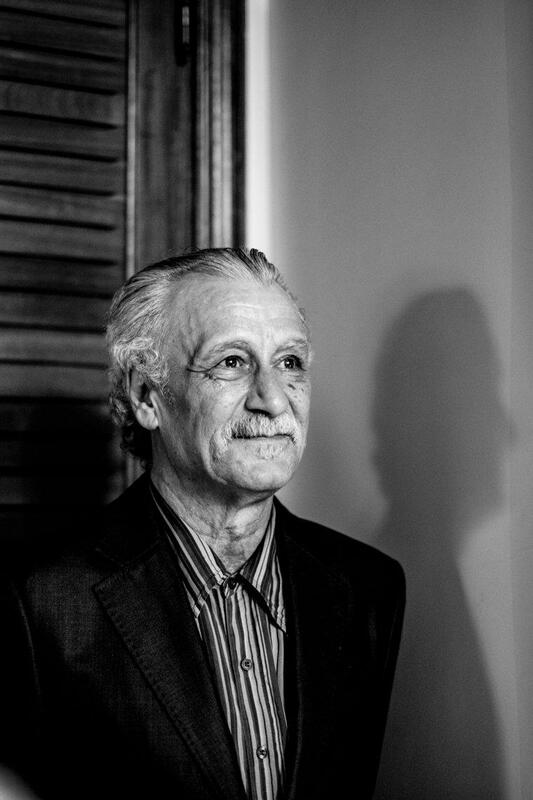 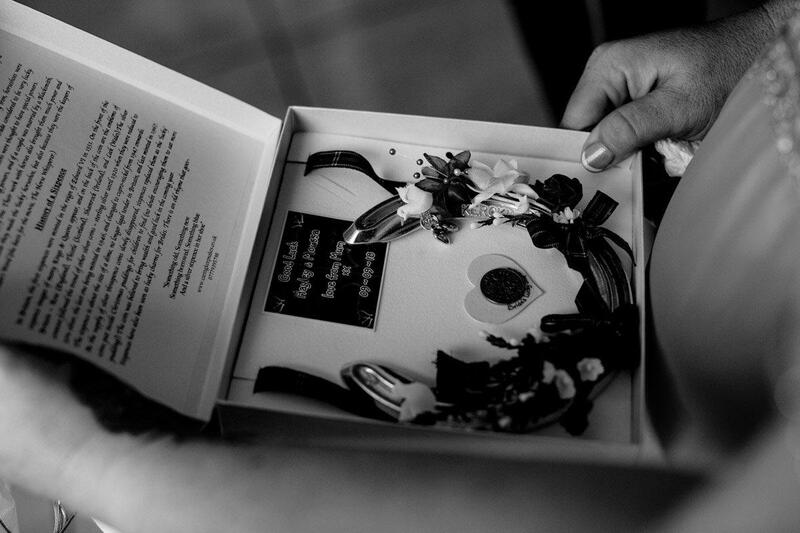 It’s truly a privilege and an honor to photograph what is one of the most important days in someone’s life. 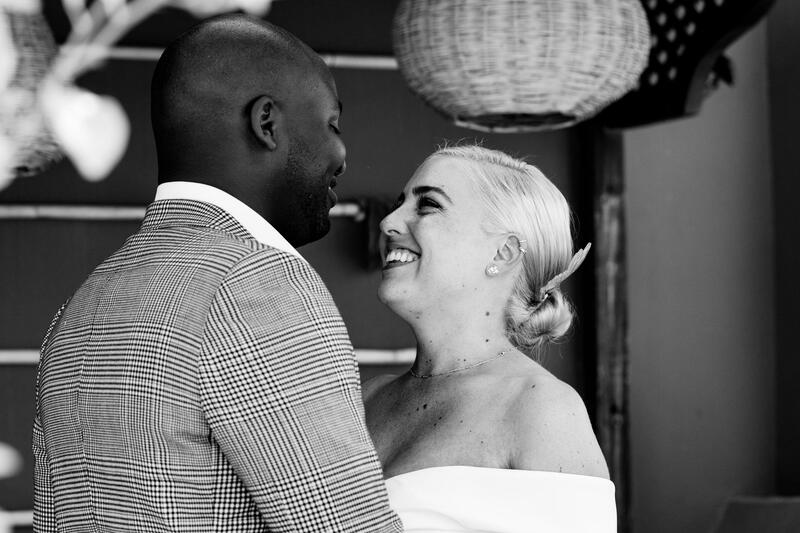 Each couple we photographed in 2018 was special and unique and it was so hard to narrow it down to our favorite photos of 2018! 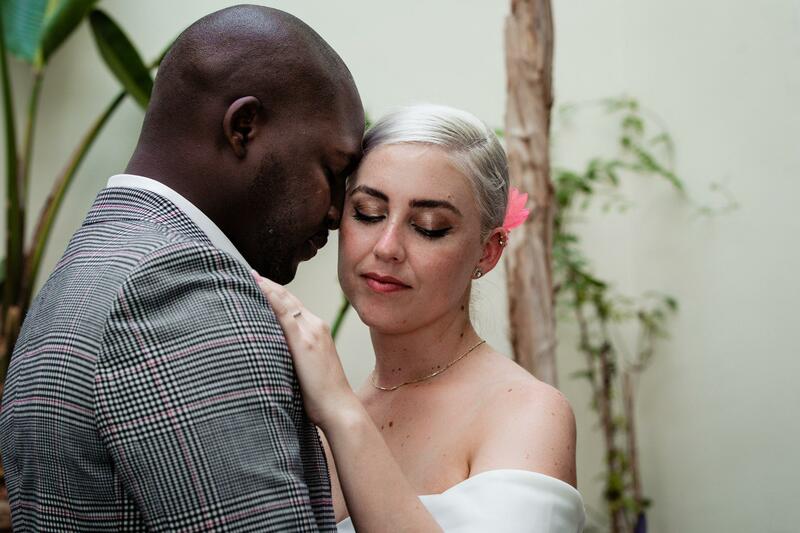 We are grateful for each couple that entrusted us to photograph their special wedding and we hope that these are photos they will be able to pass down to their grandchildren. 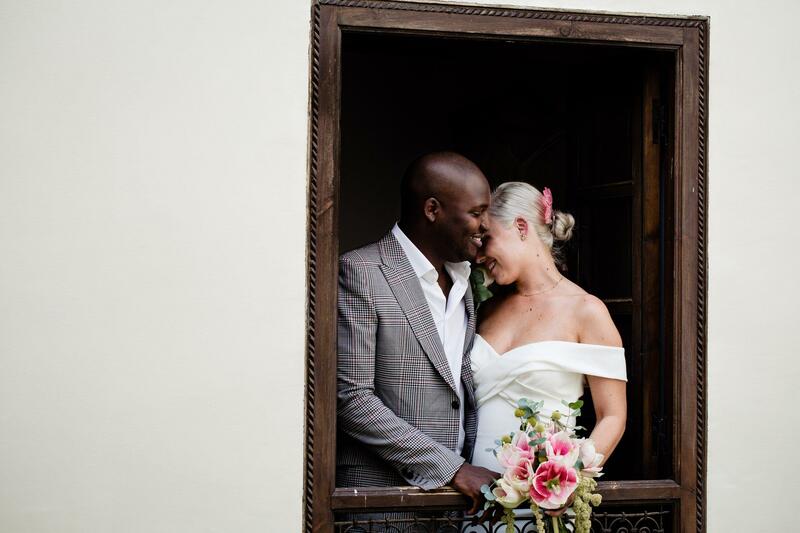 We are already excited for all of the weddings we’ll be photographing in 2019. 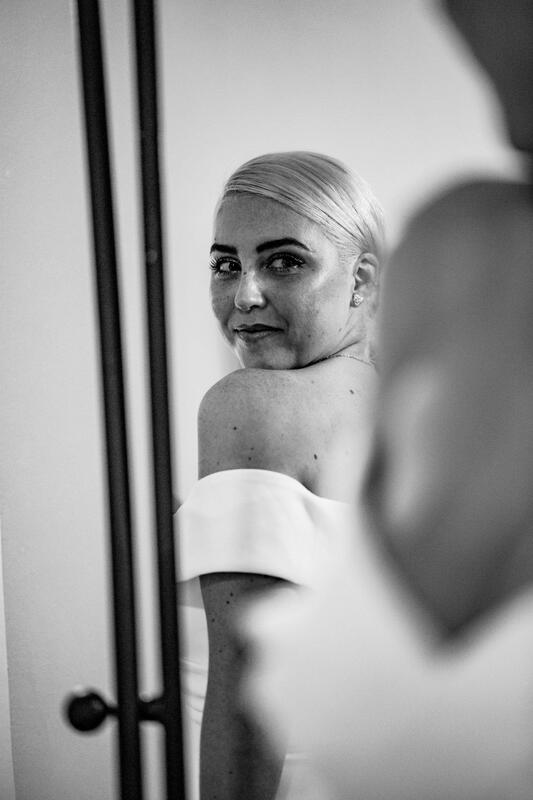 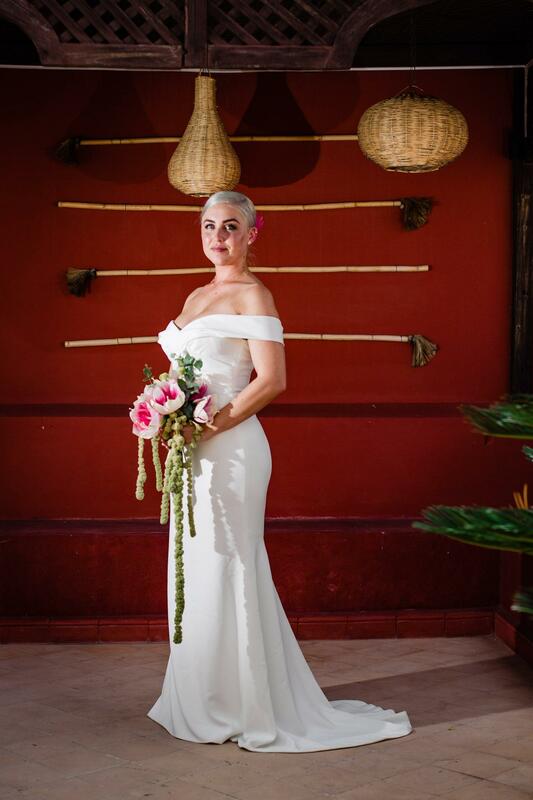 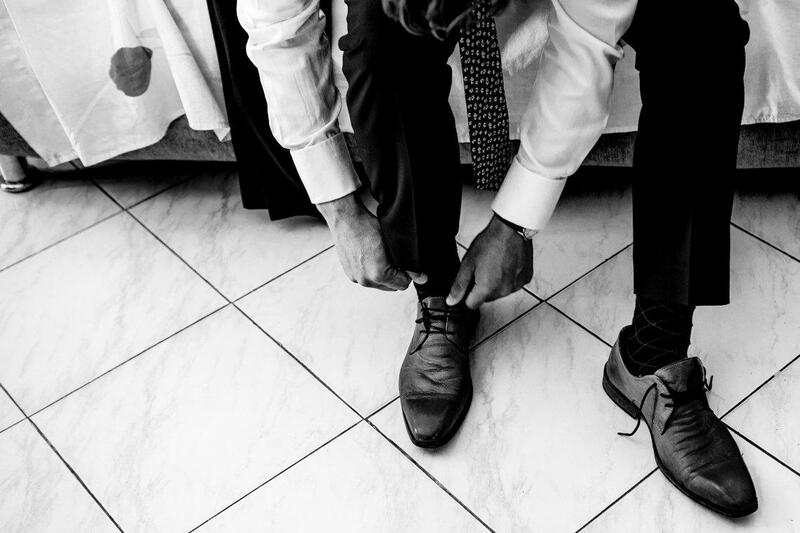 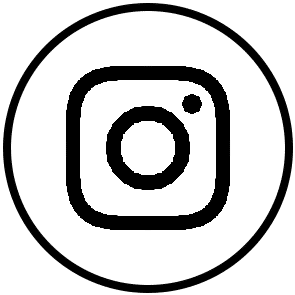 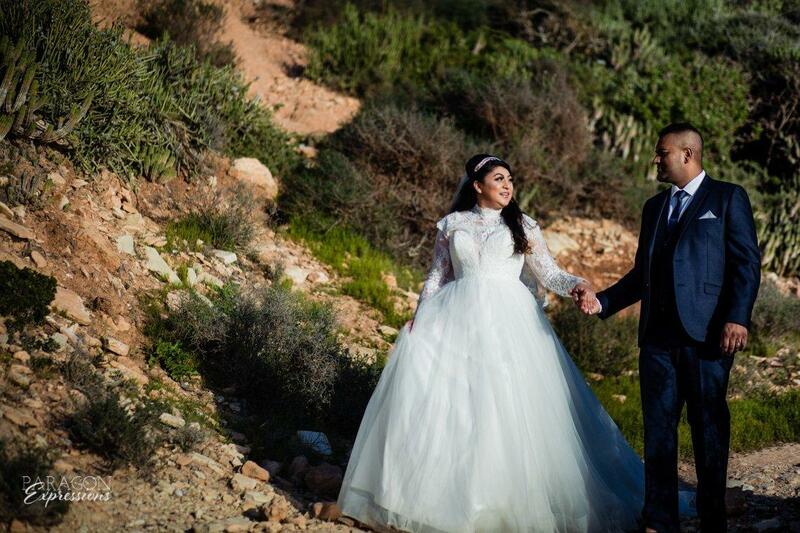 Are you looking for a photographer to photograph your 2019 wedding in Morocco? 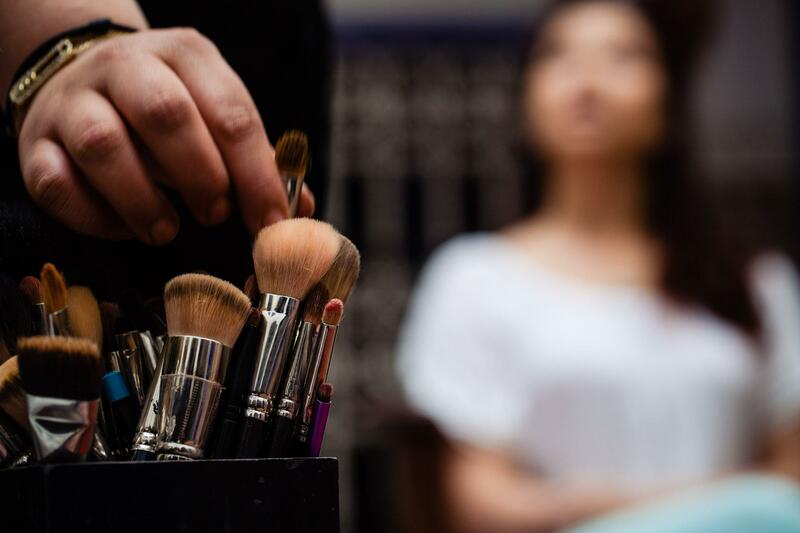 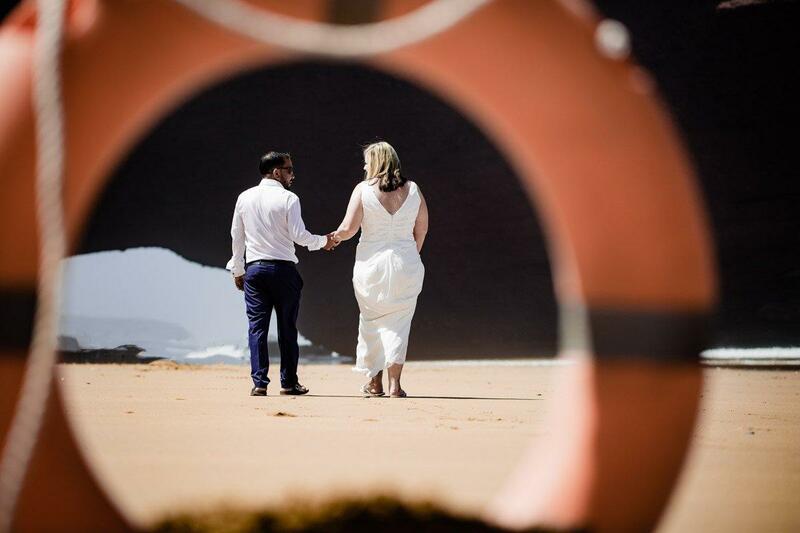 Find out our availability for 2019 here. 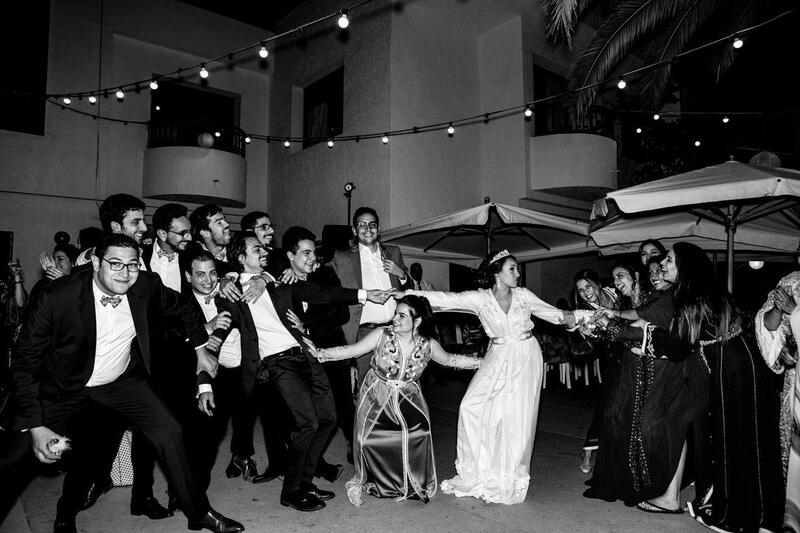 Perfect venue to get a cool group shot! 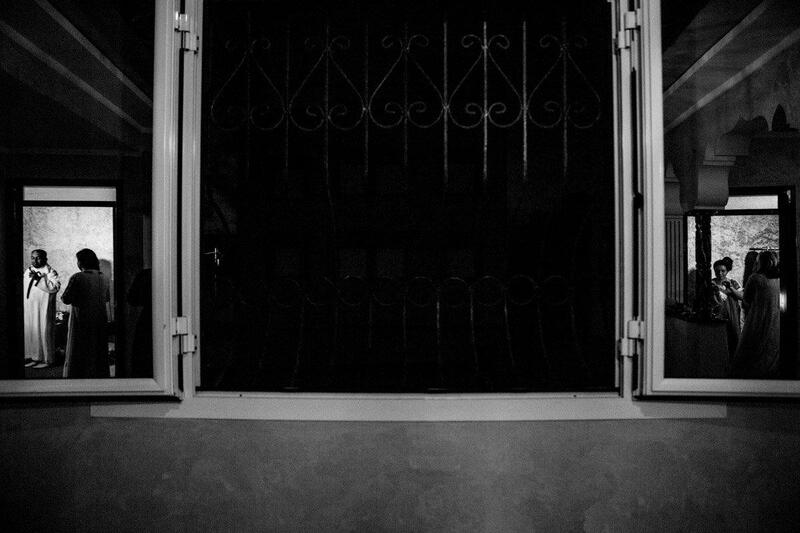 This post is protected. 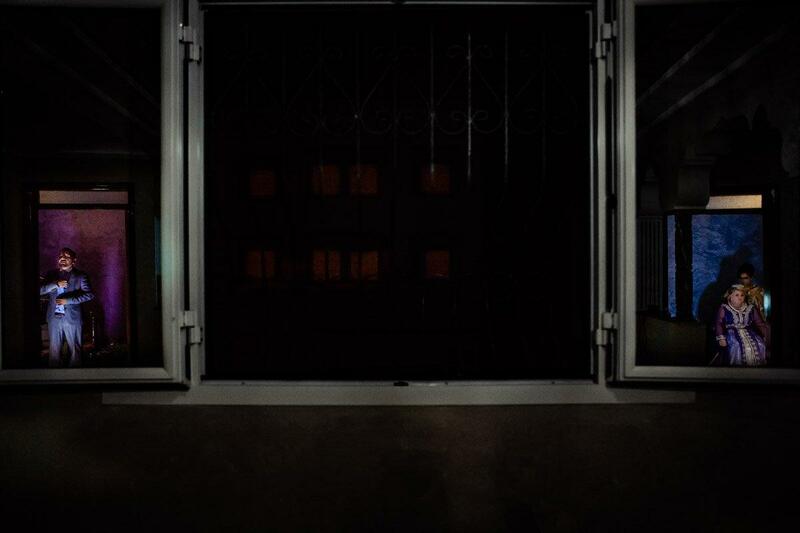 To view it, enter the password below! 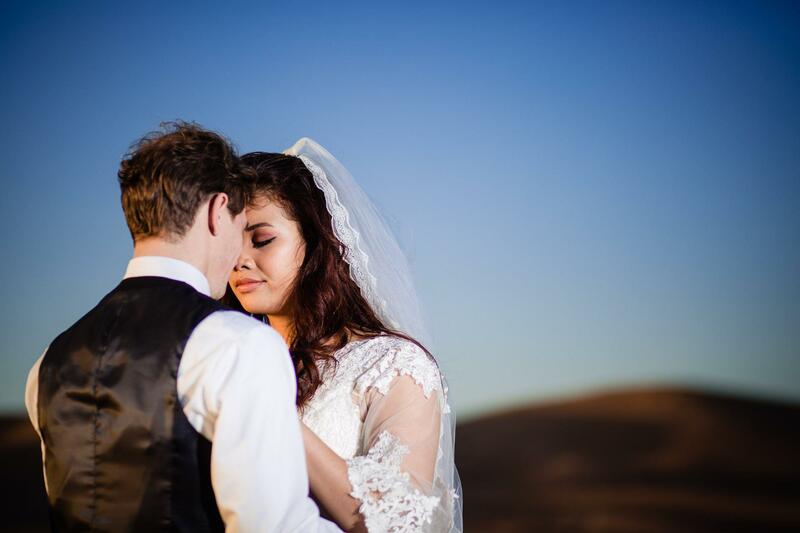 Romantic photoshoots are quite possibly our favorite type of photoshoot. 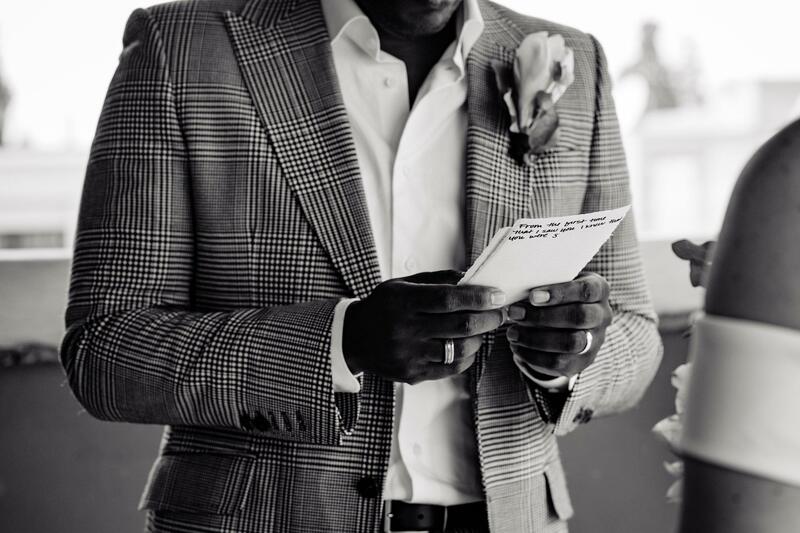 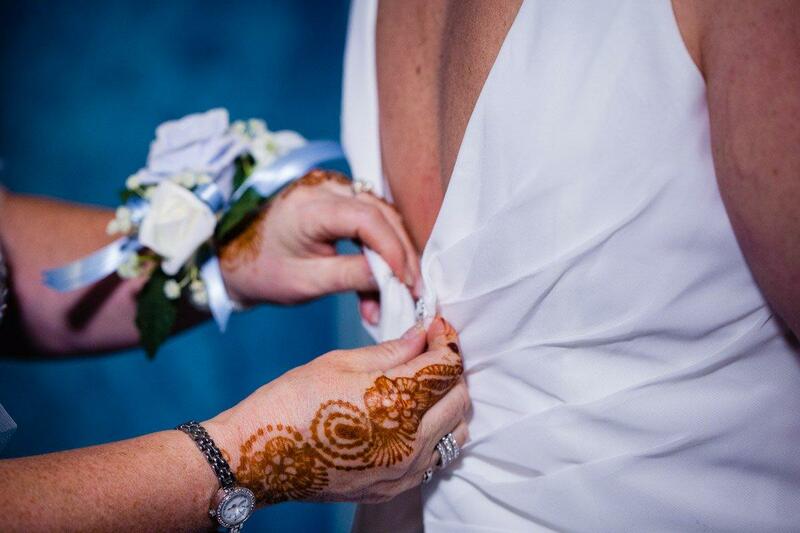 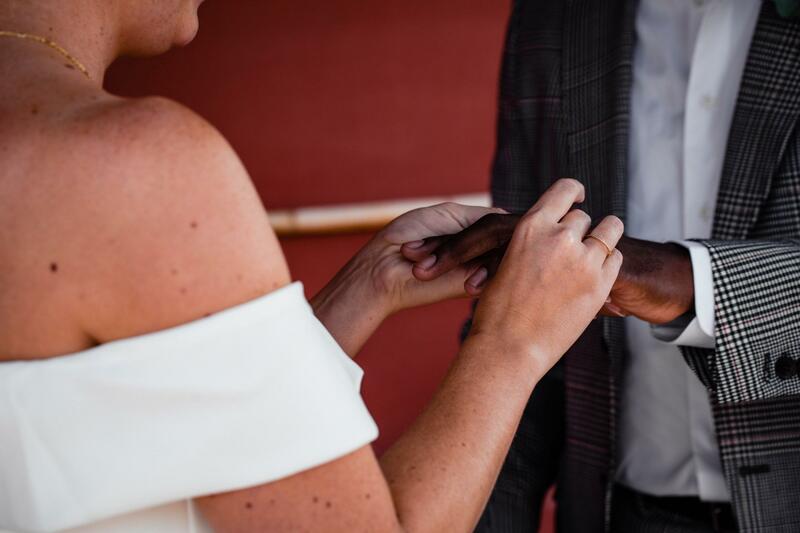 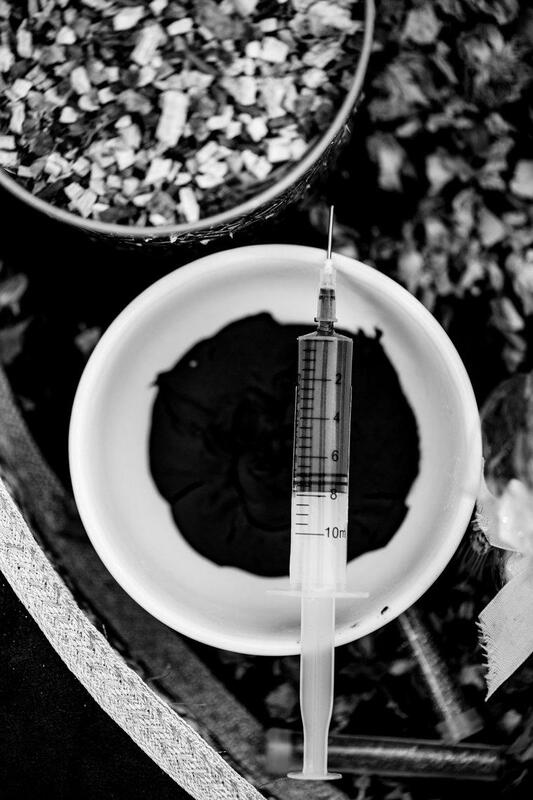 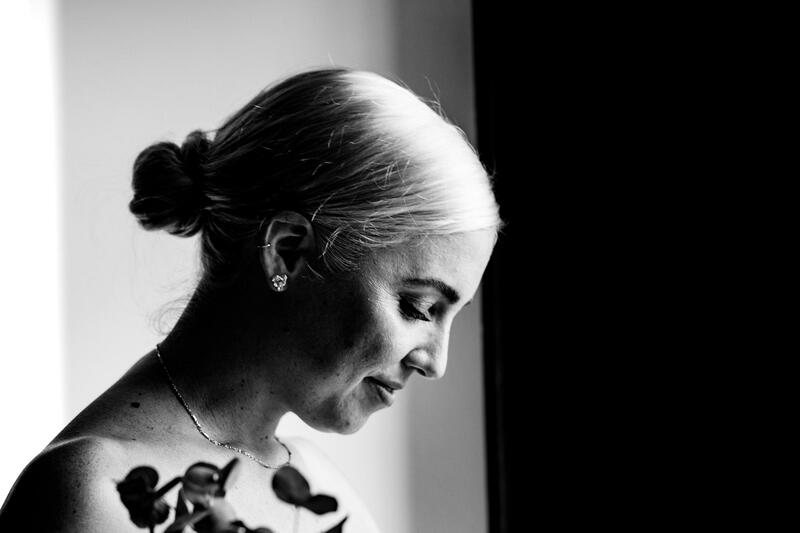 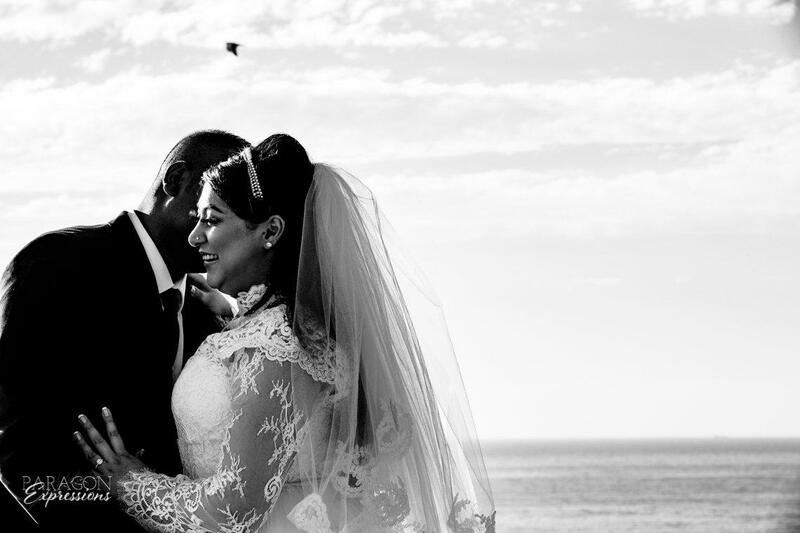 Capturing the love between two people is incredibly special and as a married couple ourselves, we’re passionate about helping others to preserve memories with their loved ones. 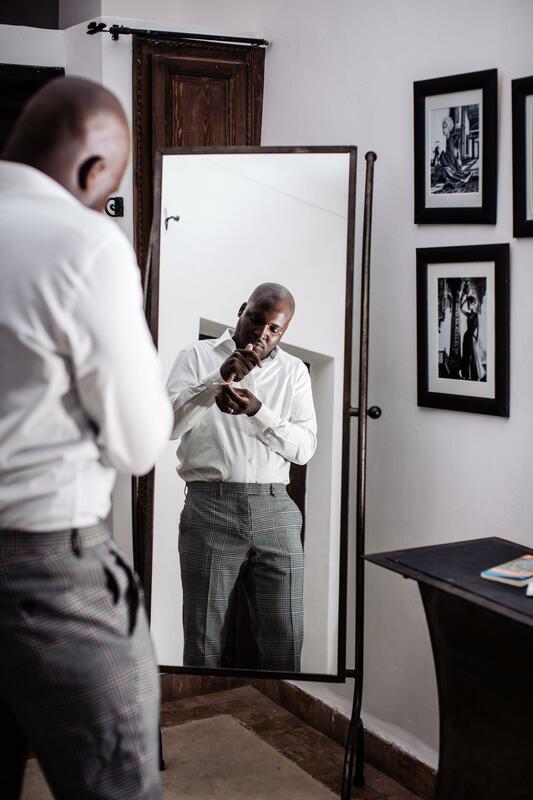 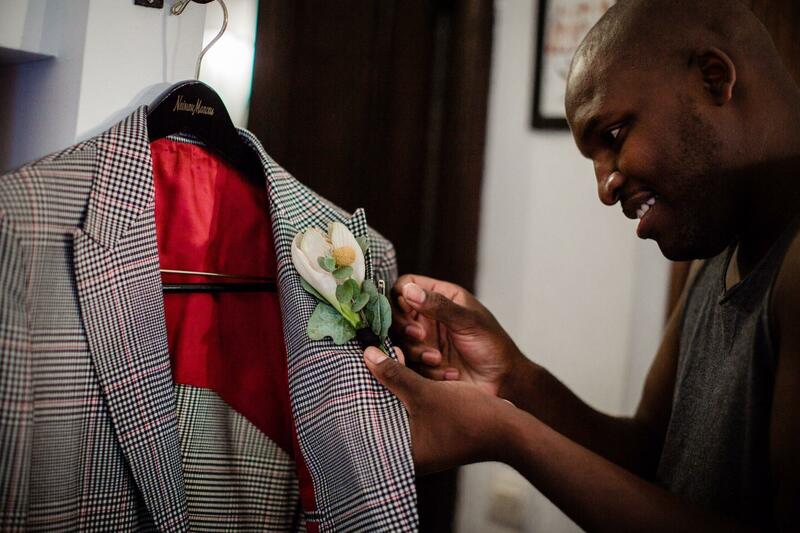 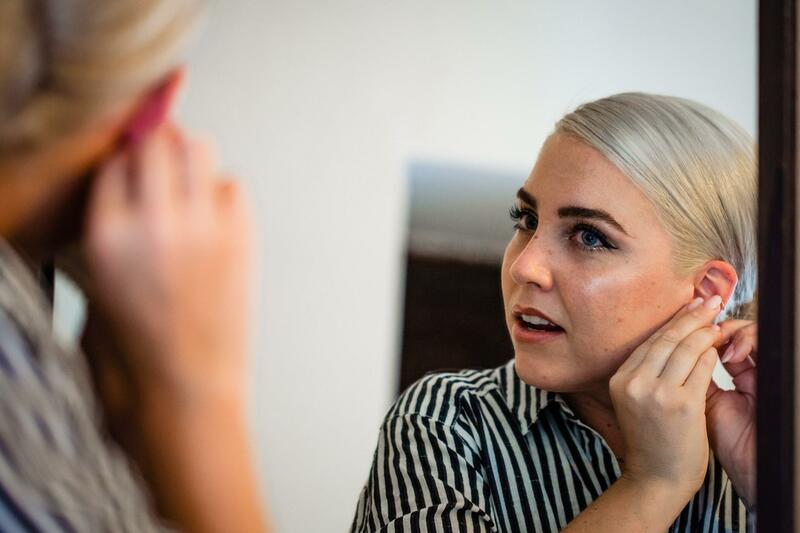 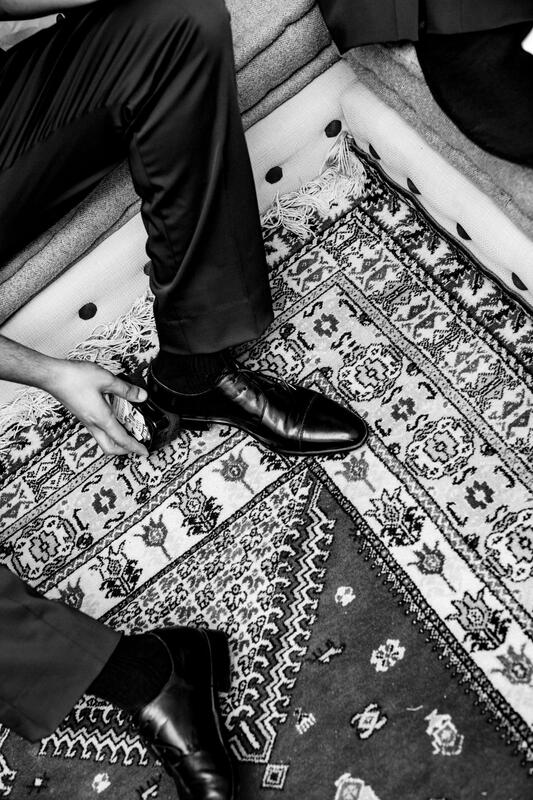 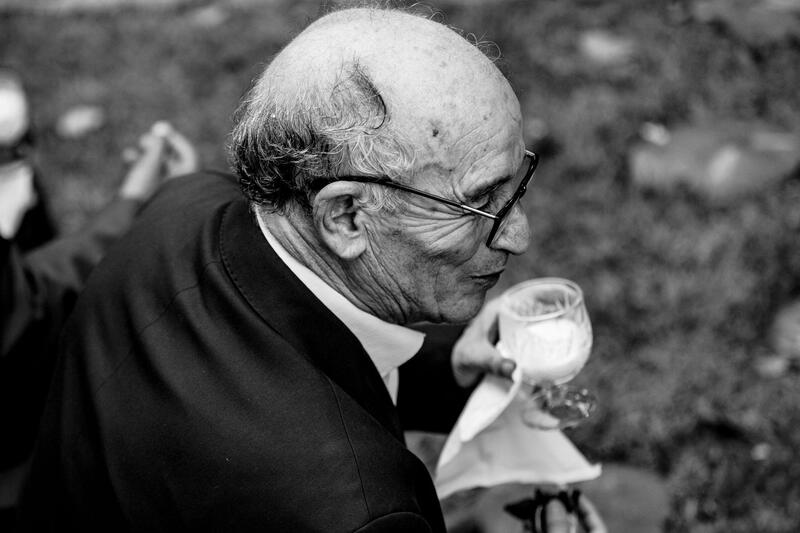 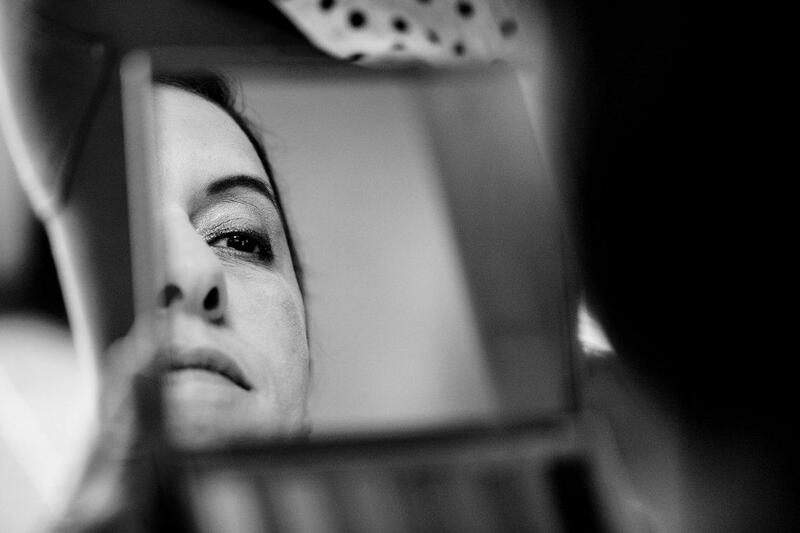 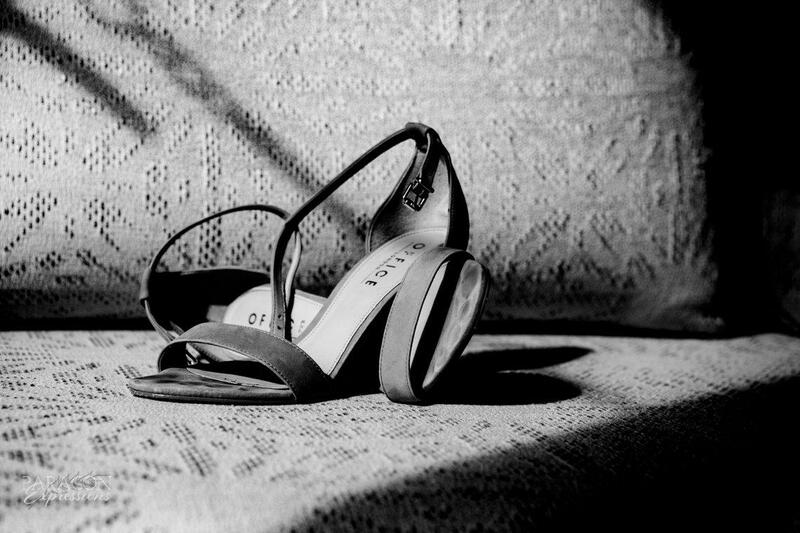 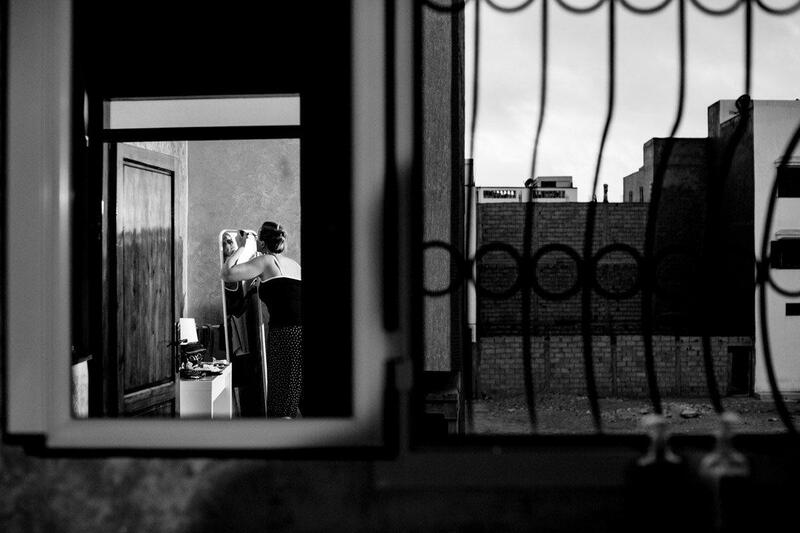 Away from the bustle of a wedding, a romantic photoshoot is relaxed and intimate. 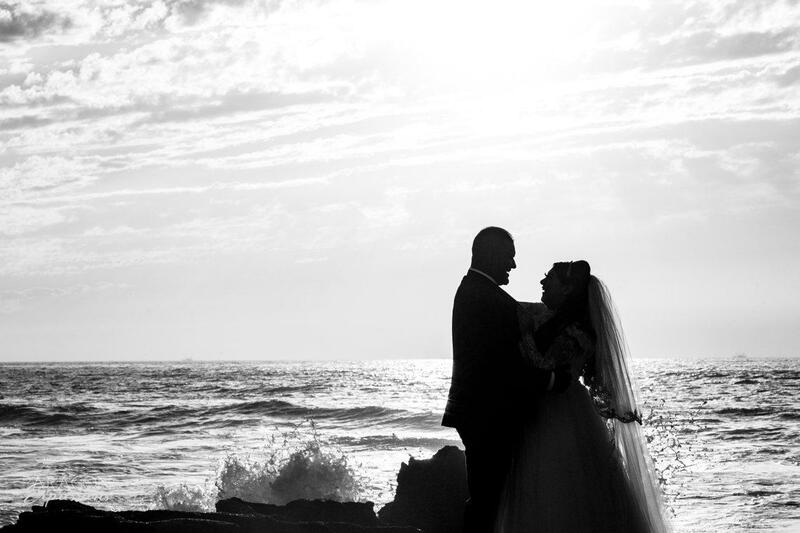 Each one is unique to the couple that we are photographing and we love creating something new each time! 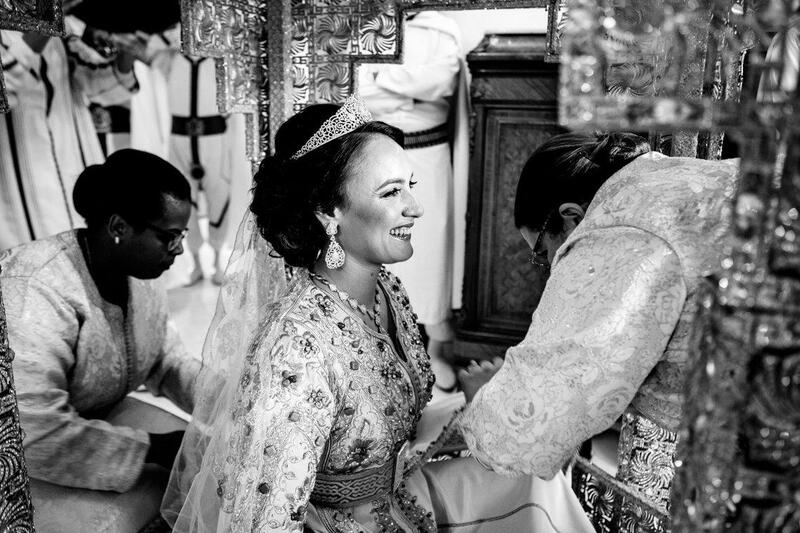 We met up with Habib and Maria while they were on their honeymoon in Agadir. 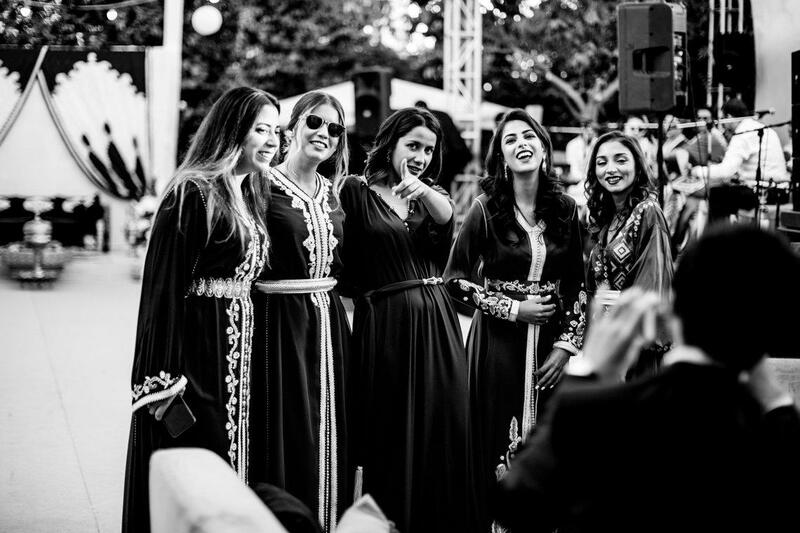 They had escaped the winter cold of the United Kingdom and were enjoying Agadir’s sunny December days. 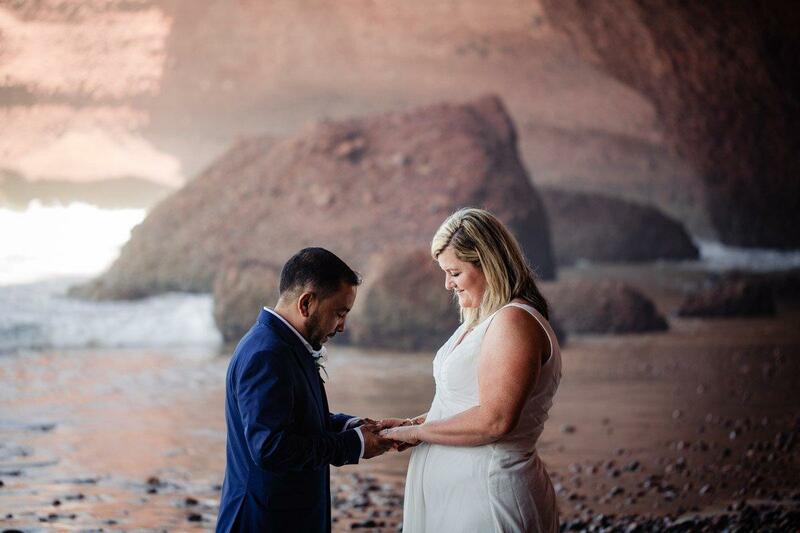 We took them to one of our favorite beach spots along Agadir’s coastline. 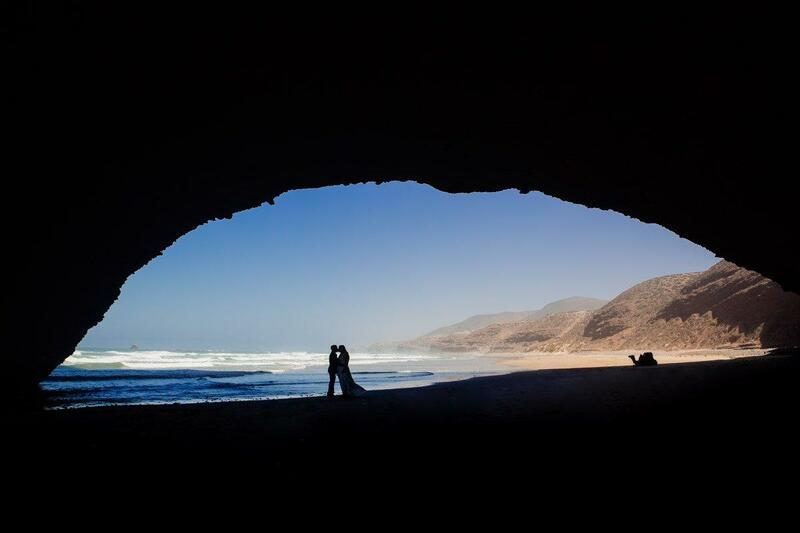 It’s actually the same spot where we had our proposal more than three years ago! 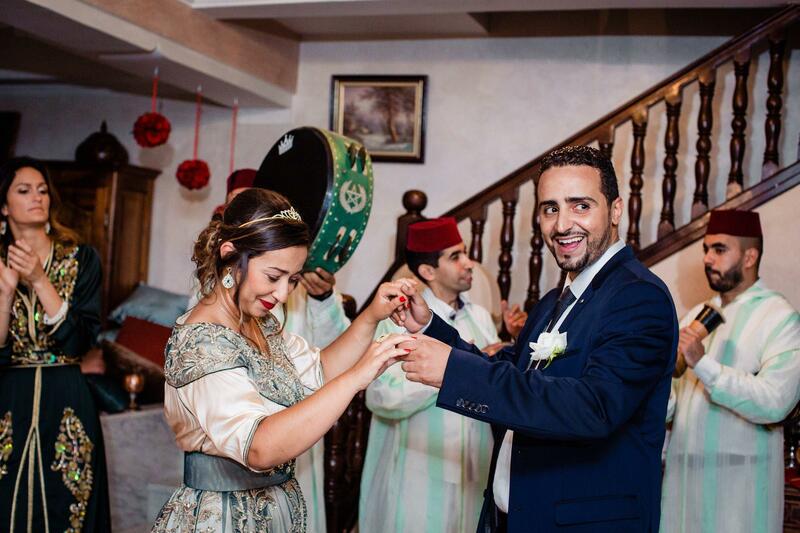 Habib and Maria are the kind of couple that you become instant friends with and we’re hoping that they plan another trip back to Morocco soon! 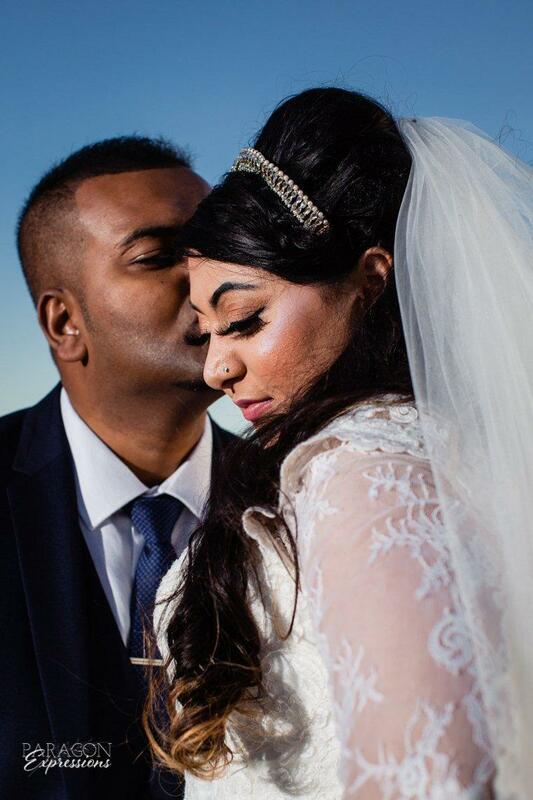 They met years ago at a wedding and had their civil ceremony this year on the 1st of December. 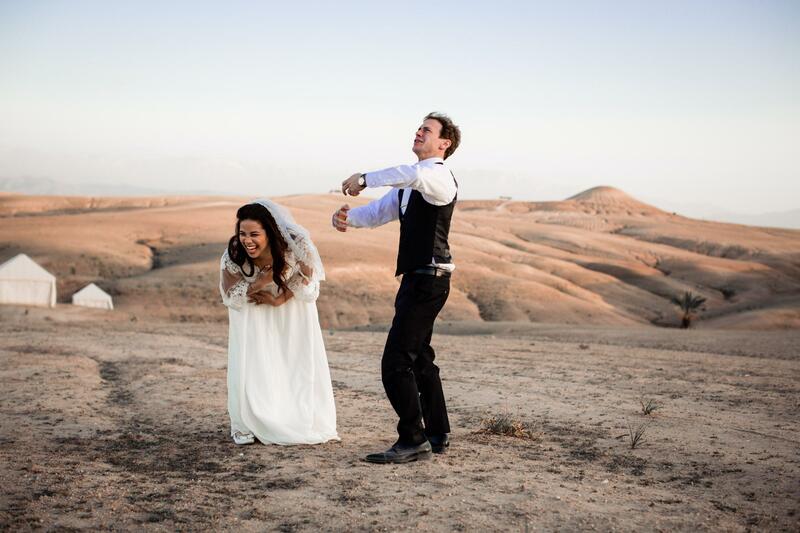 They have been together ten years and have such a deep love for one another and also laugh a lot together! 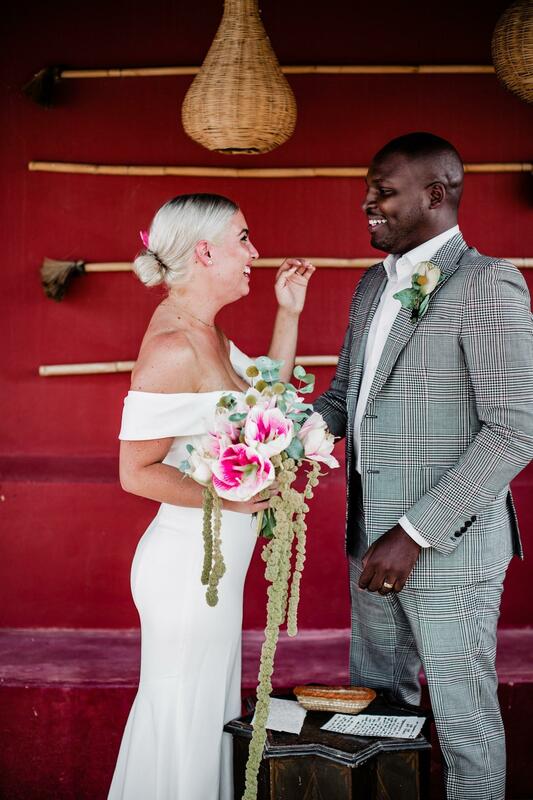 They wore the same attire that they wore for their wedding and they looked amazing! 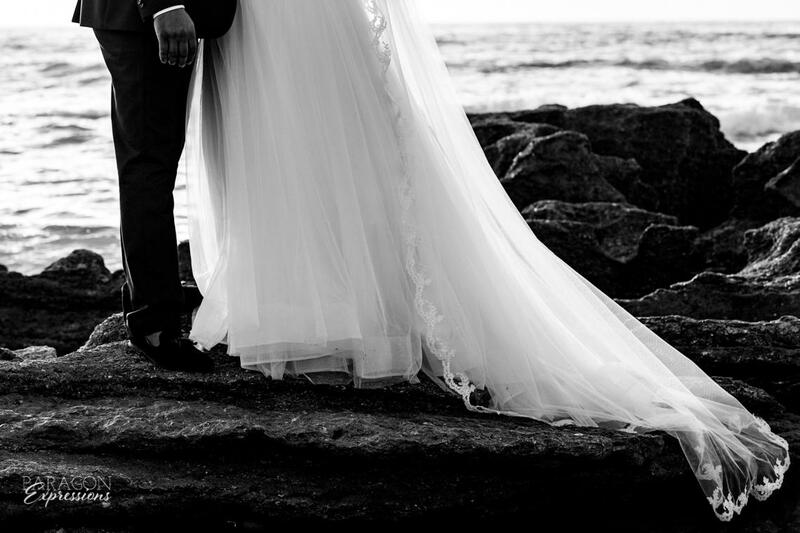 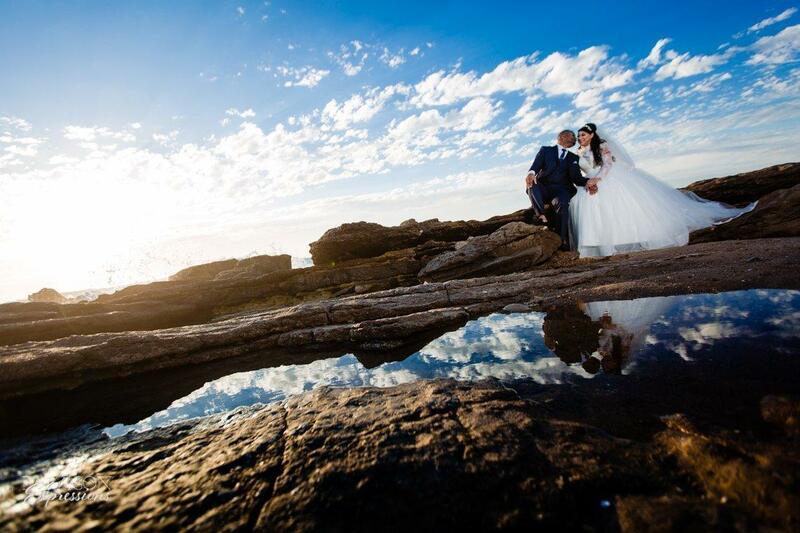 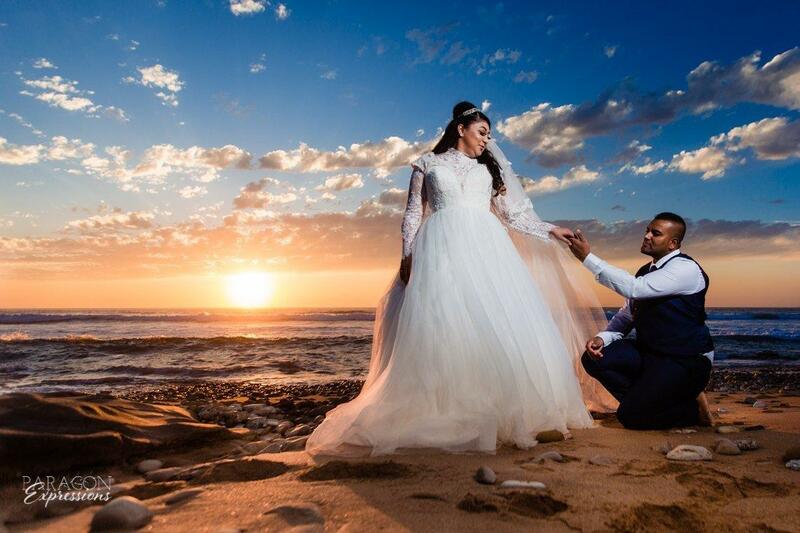 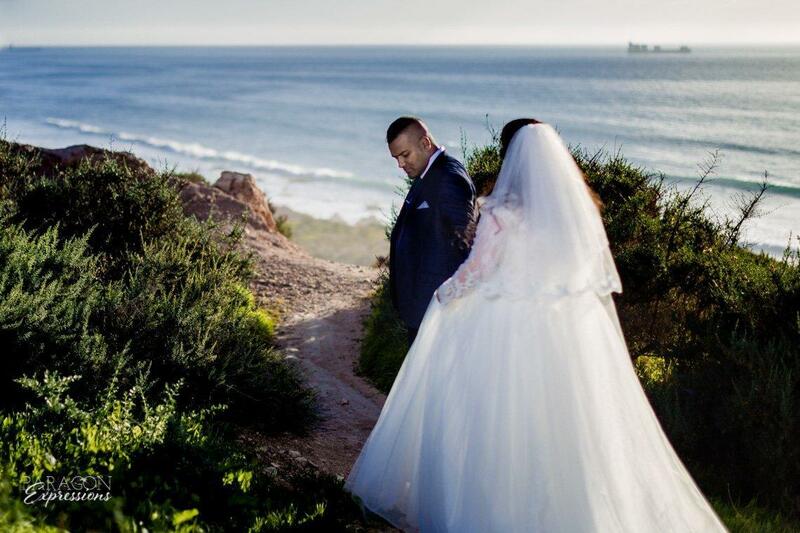 Even in their formal attire, Habib and Maria were up for anything and one of our favorite shots of all time is one we got of them right by the coastline, with the waves crashing in the background and their reflection on the rocks. 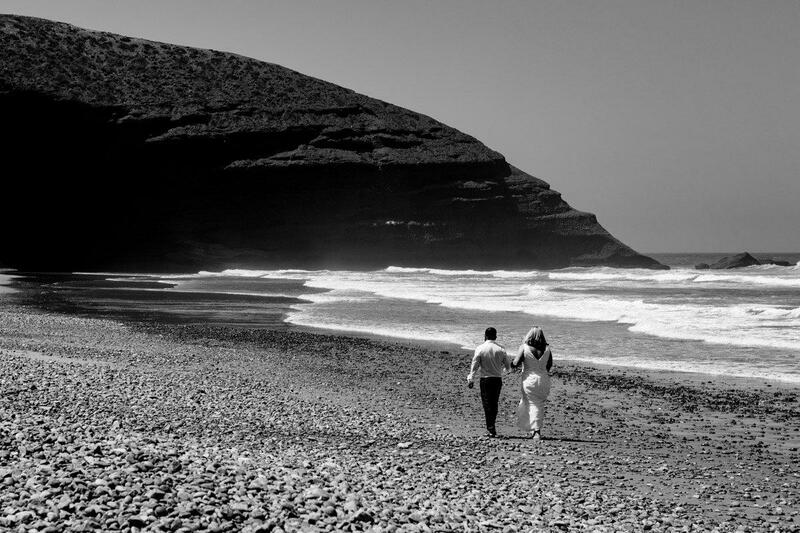 It was a perfect evening for an Agadir beach photoshoot. 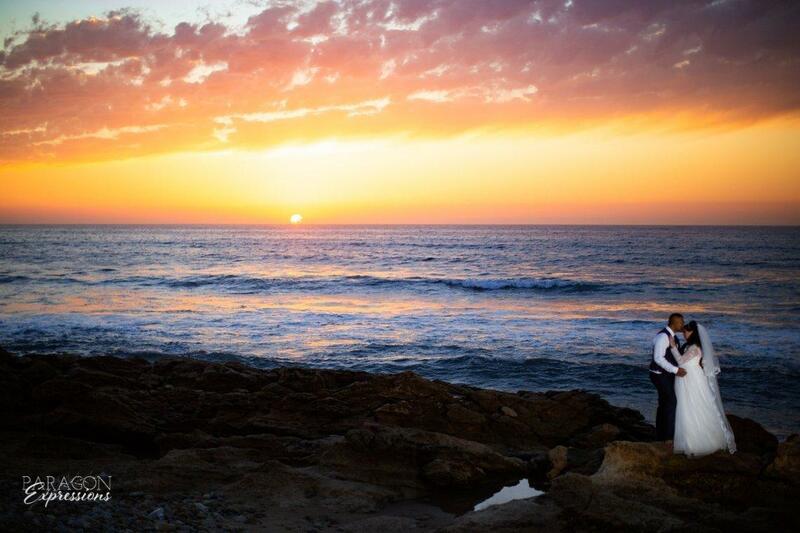 Our time with them ended with one of the best sunsets we’ve seen in Agadir. 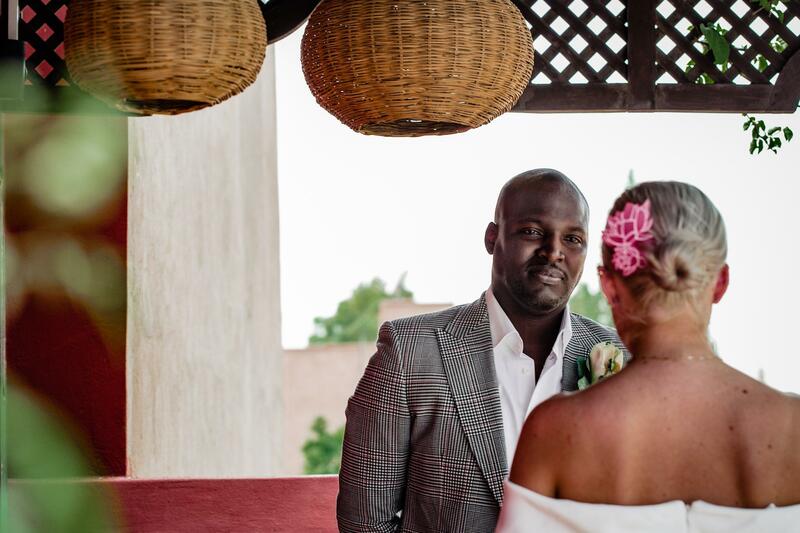 It was such a joy capturing some post wedding photos for them and we hope that these photos help to preserve memories of their honeymoon in Agadir and of this season in their relationship. 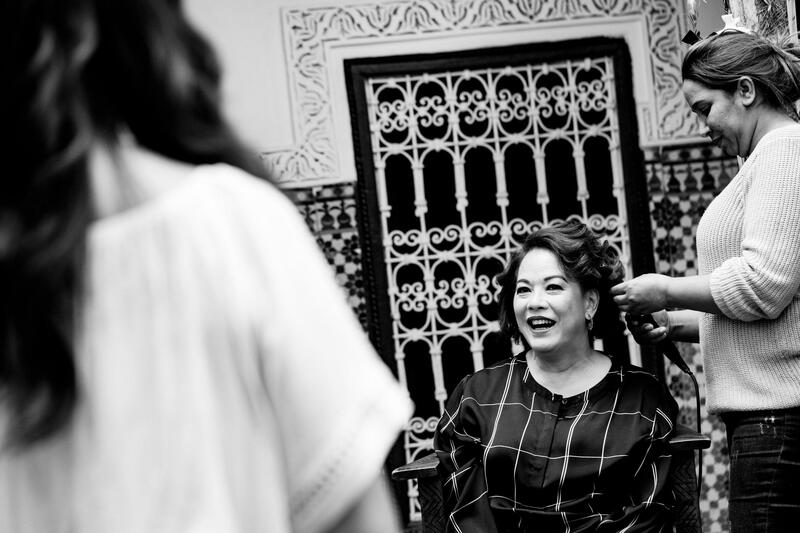 In October, we had the pleasure of doing the wedding photography and video for a wedding at Tikida Golf Palace in Agadir. 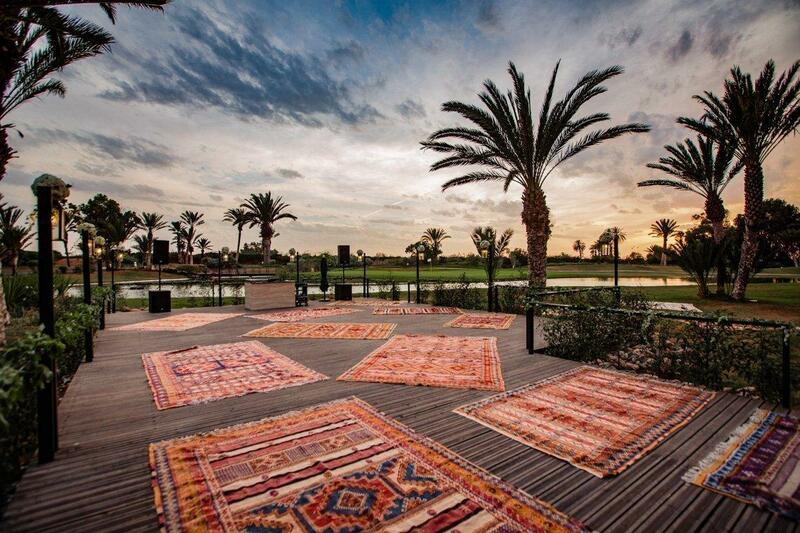 The Tikida Golf Palace in Agadir is a beautiful wedding venue and a photographer’s dream when it comes to photography locations. 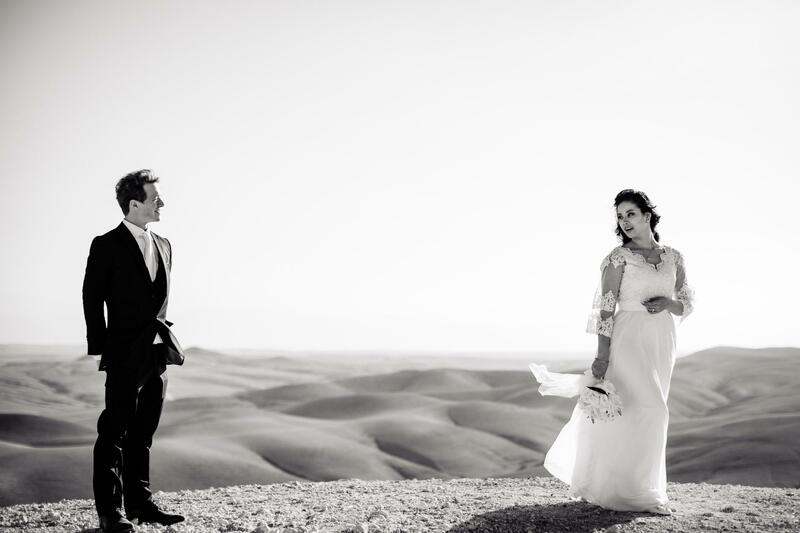 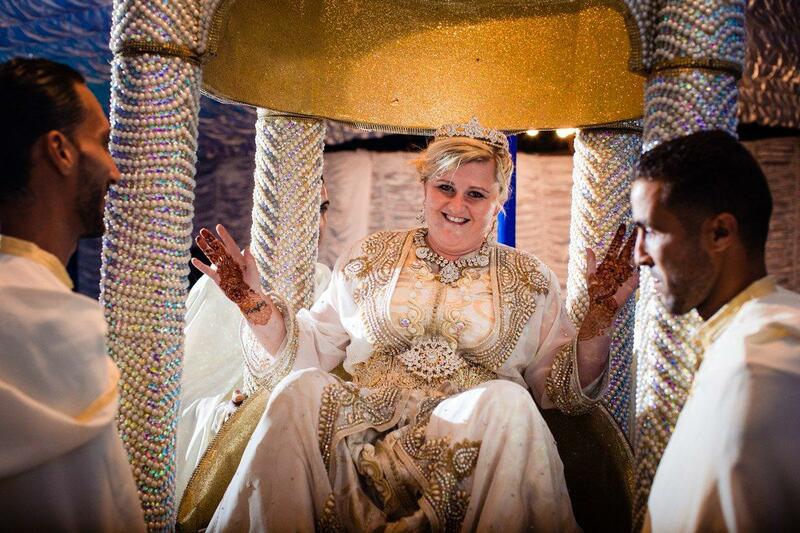 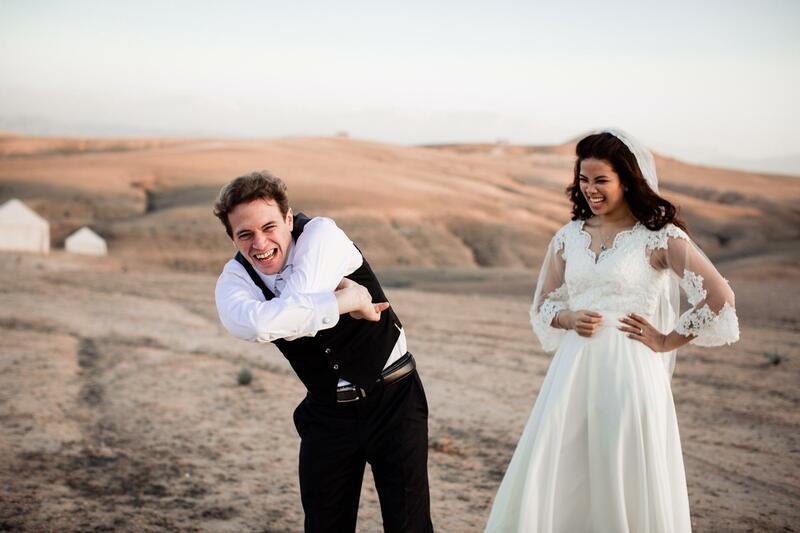 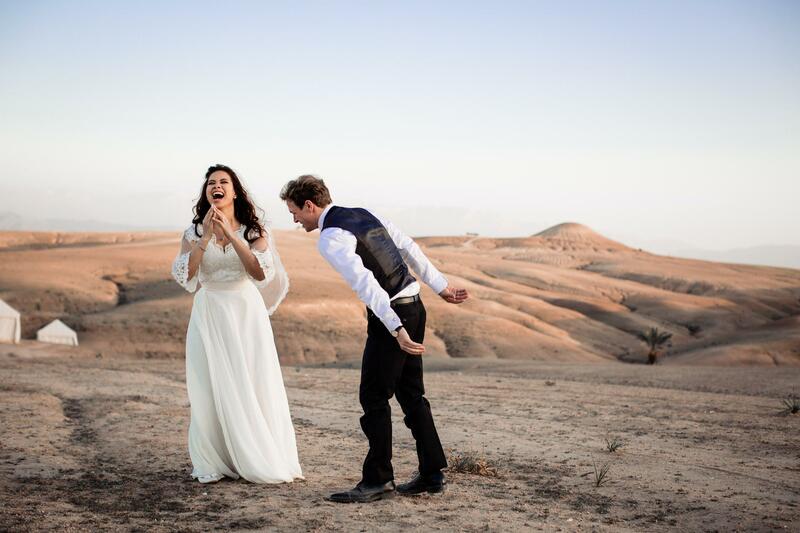 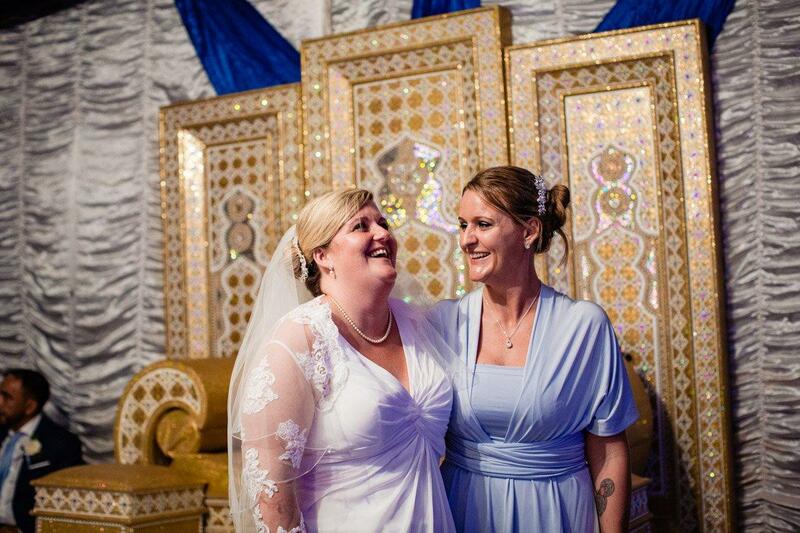 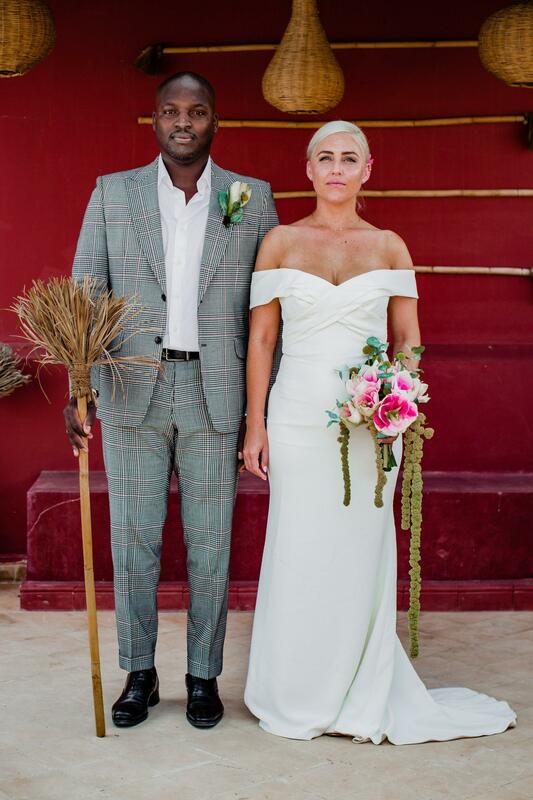 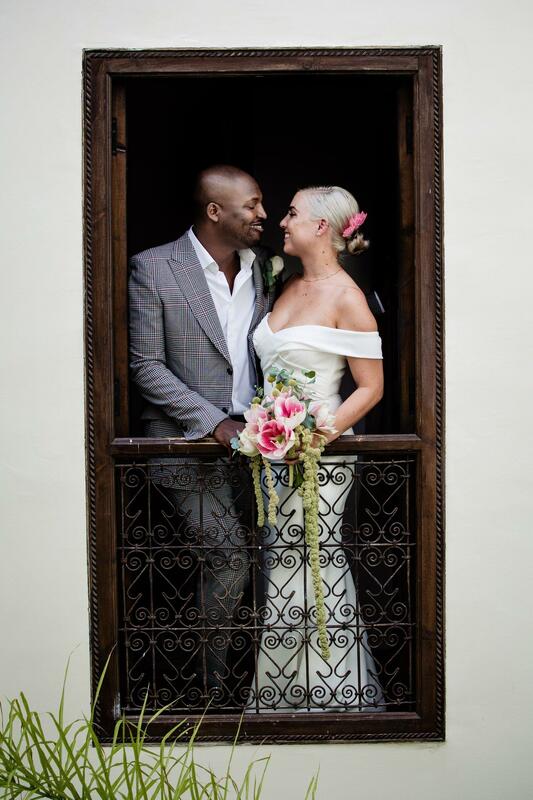 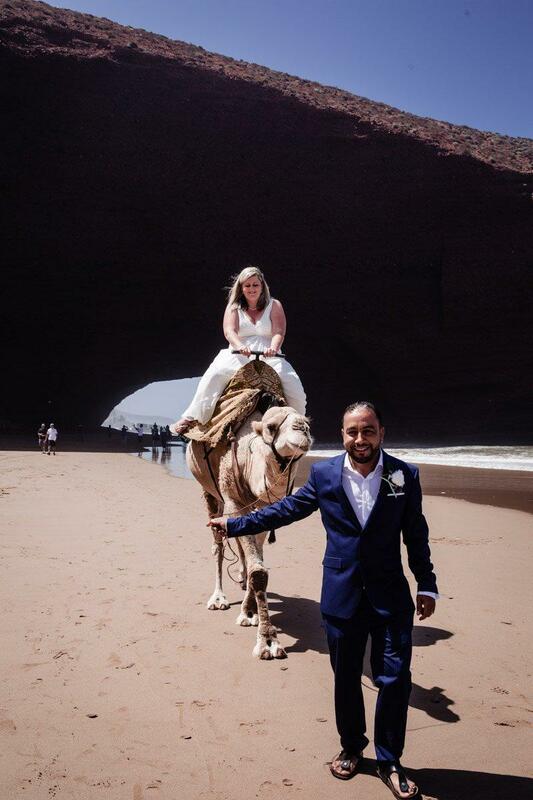 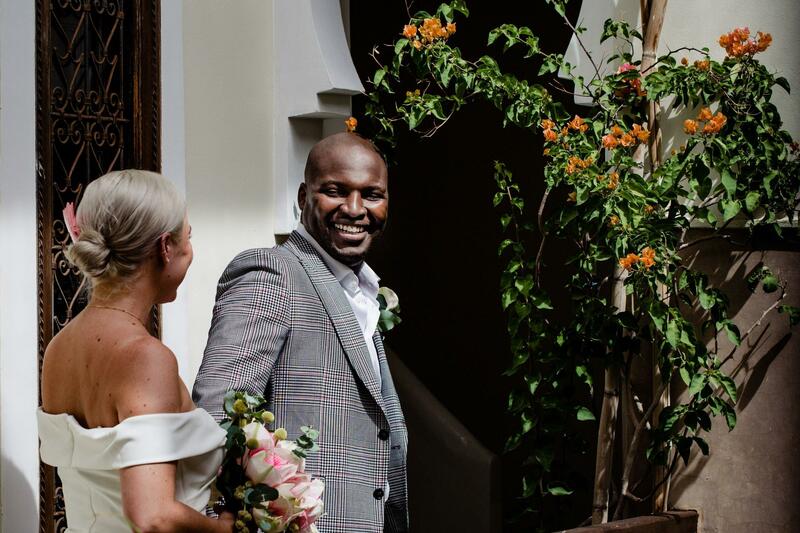 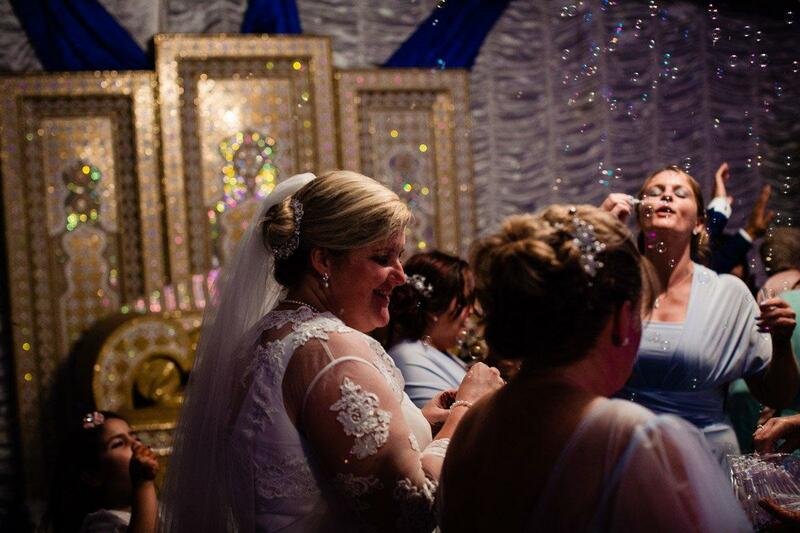 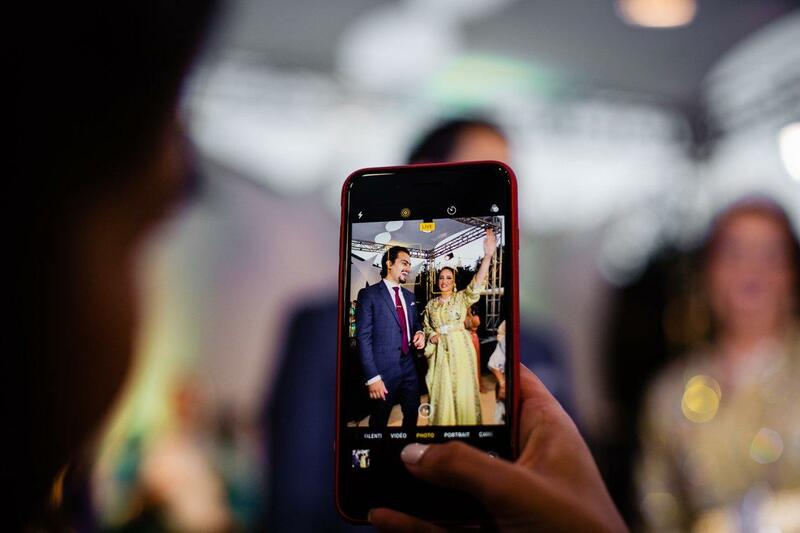 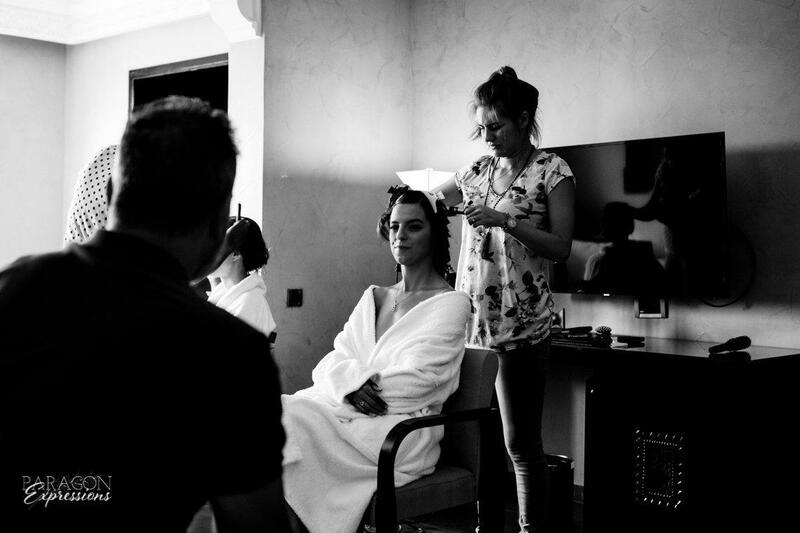 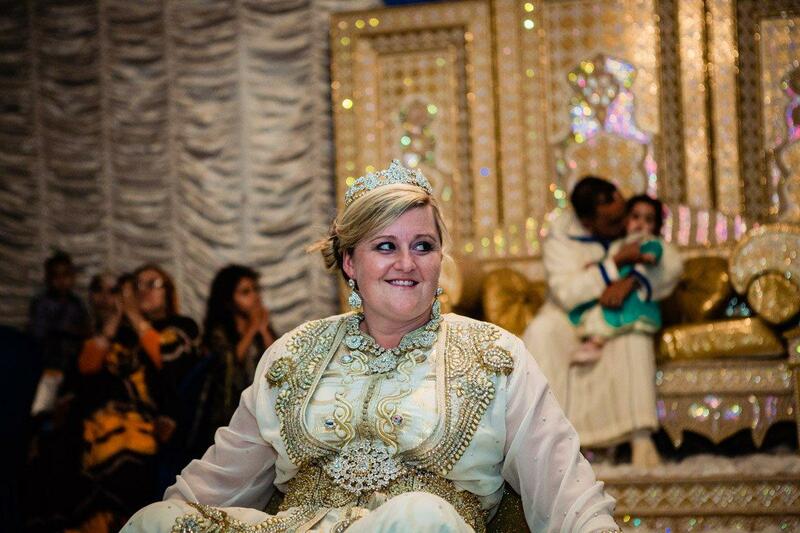 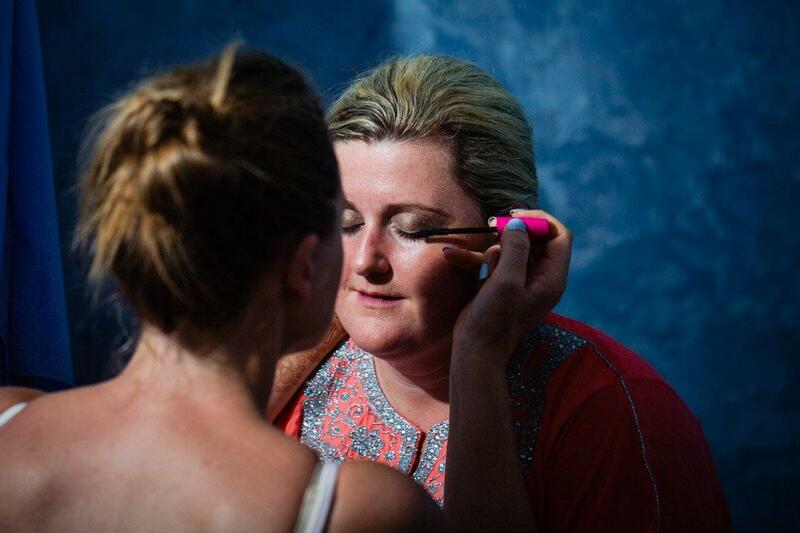 The bride and groom, Sean and Sarah traveled from their home in London to have their wedding celebration in Agadir. 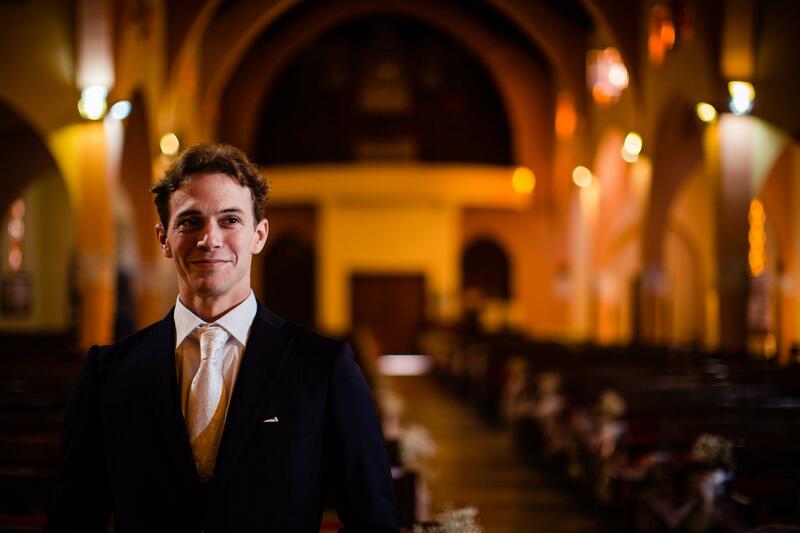 Sean spent much of his life in Hong Kong, but has lived all over the world. 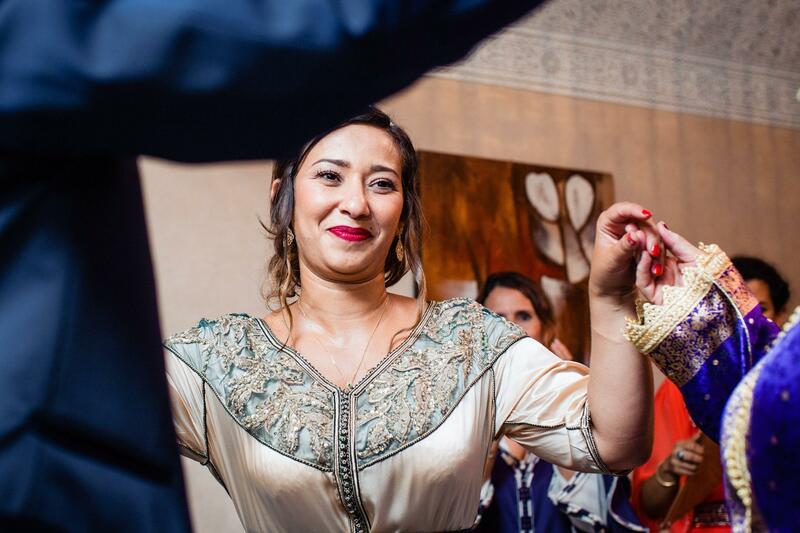 Sarah is from Morocco, but grew up in France, which is where she and Sean met a few years ago. 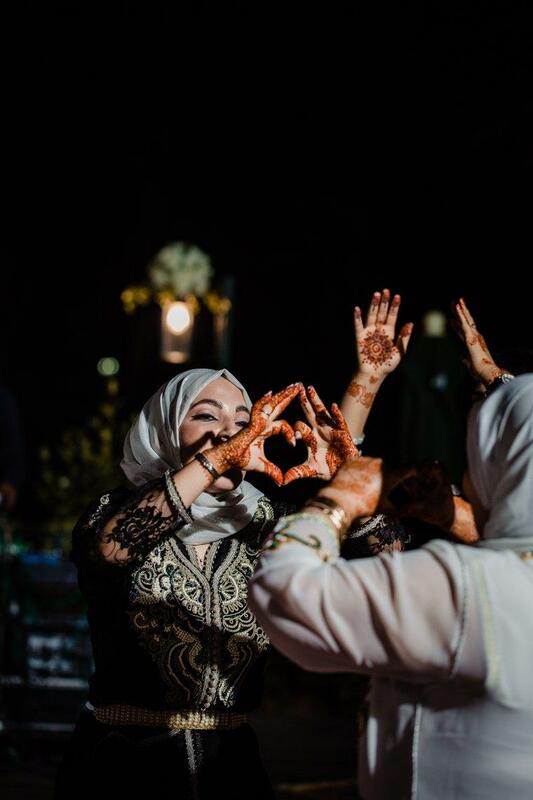 With so many places they’ve called home, they had friends and family travel in from all over to celebrate with them! 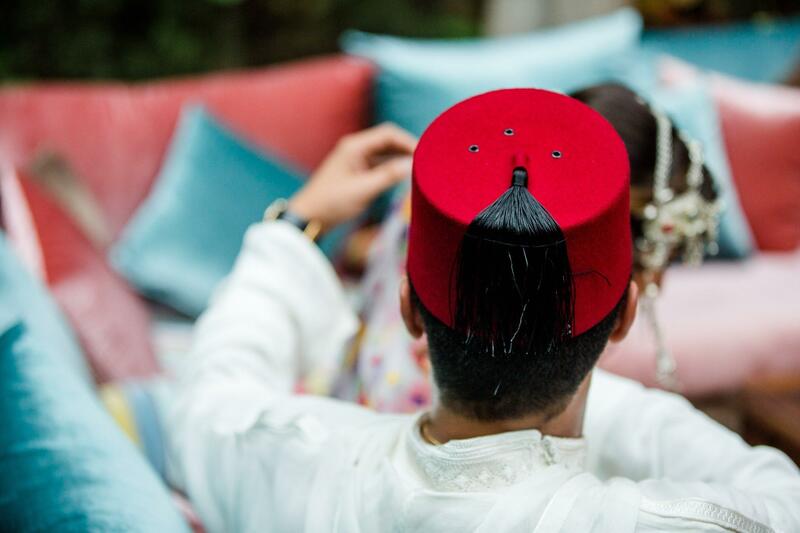 A week before their wedding in Agadir, they held a small ceremony in London where they were officially married. 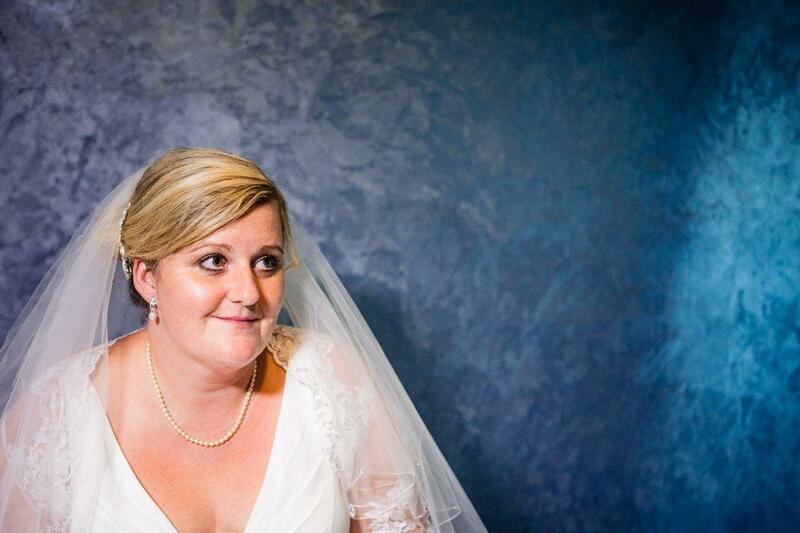 Pauline at Brooklyn Mama’s did Sarah’s hair and makeup and she looked stunning! 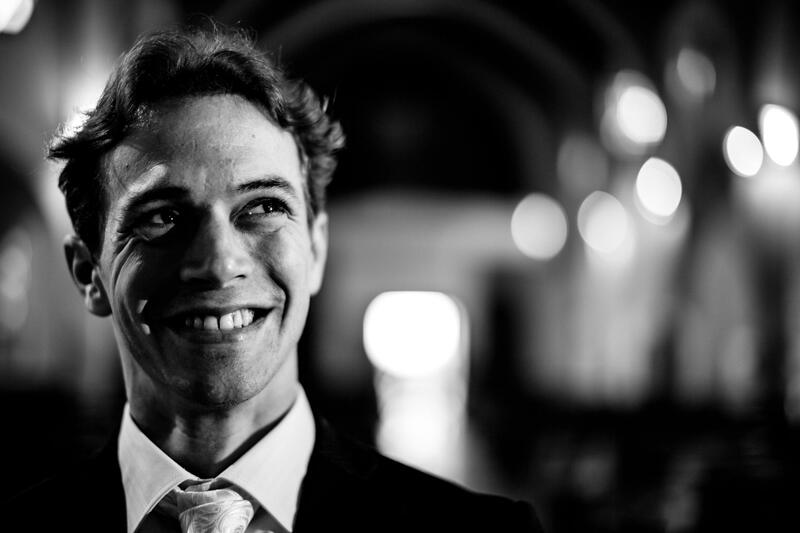 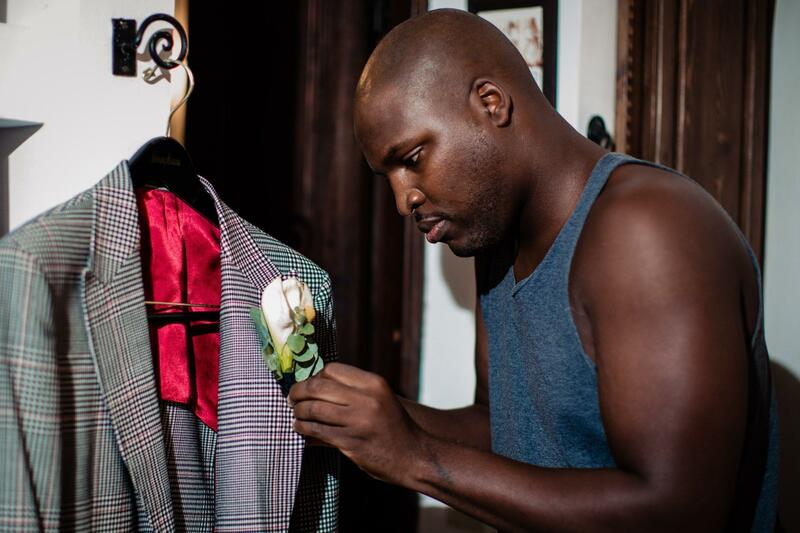 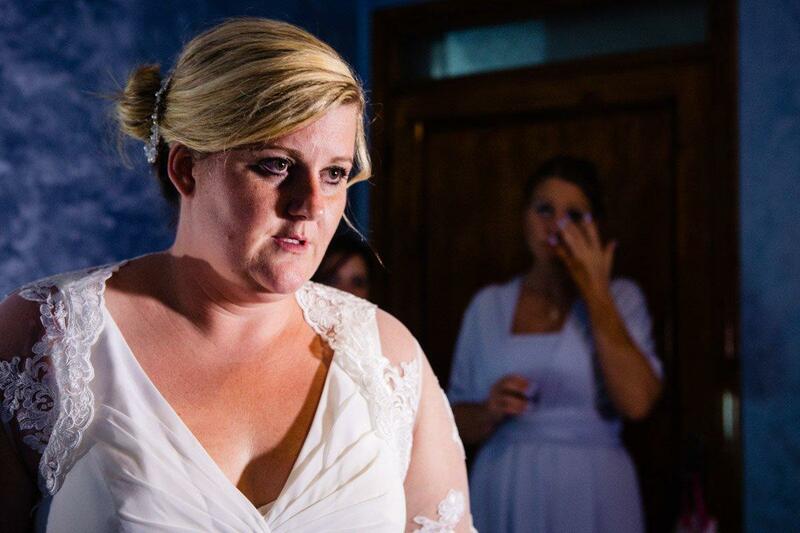 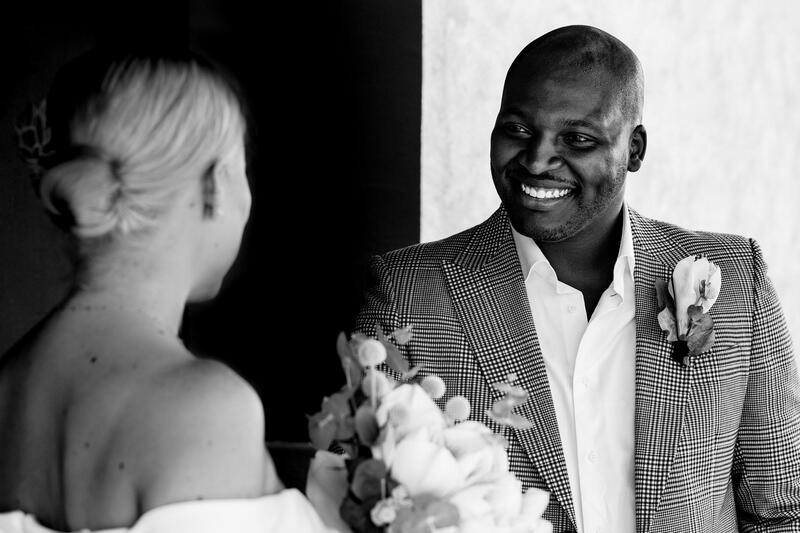 We loved Sean’s expression when he first saw Sarah in her wedding gown! 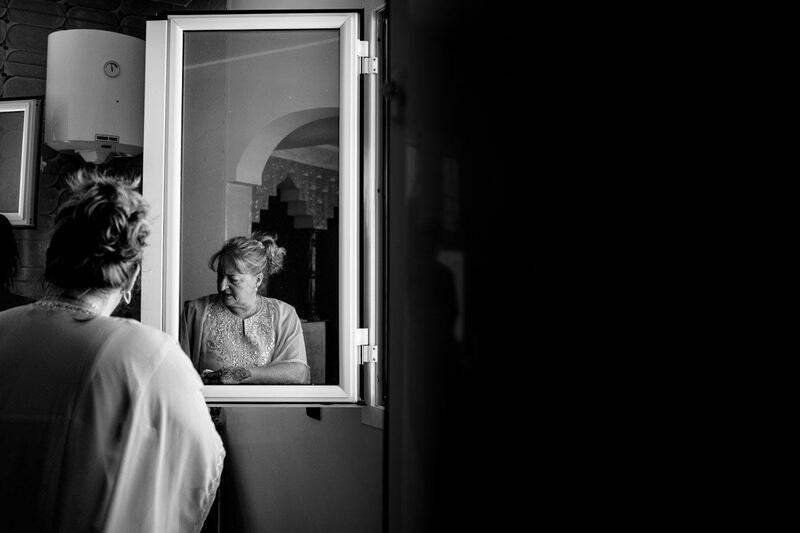 Before the wedding started, we were able to do private photoshoot with Sarah and Sean, followed by some family photos. 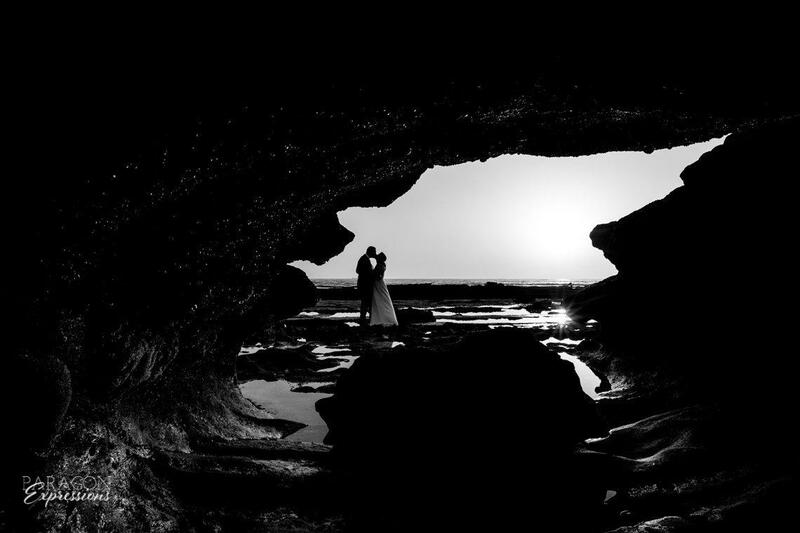 We love when clients plan for these photos before their wedding so we can get some beautiful photos before it gets dark. 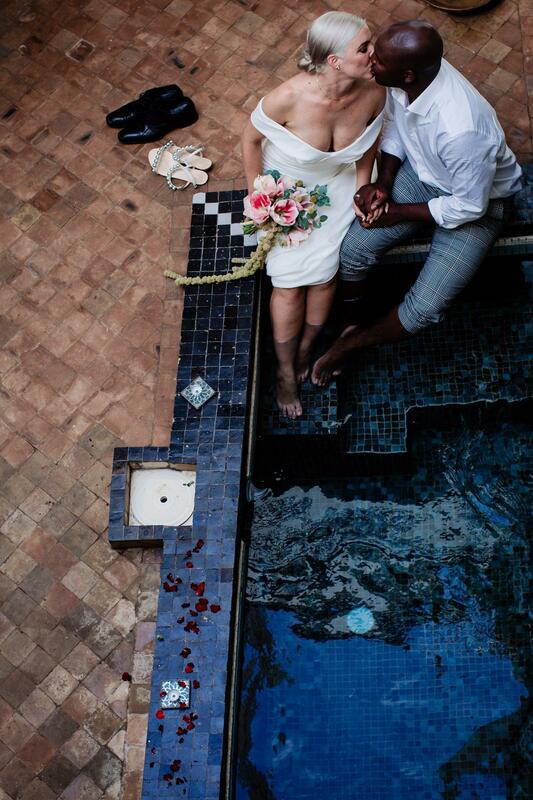 The wedding started with a cocktail hour around the pool. 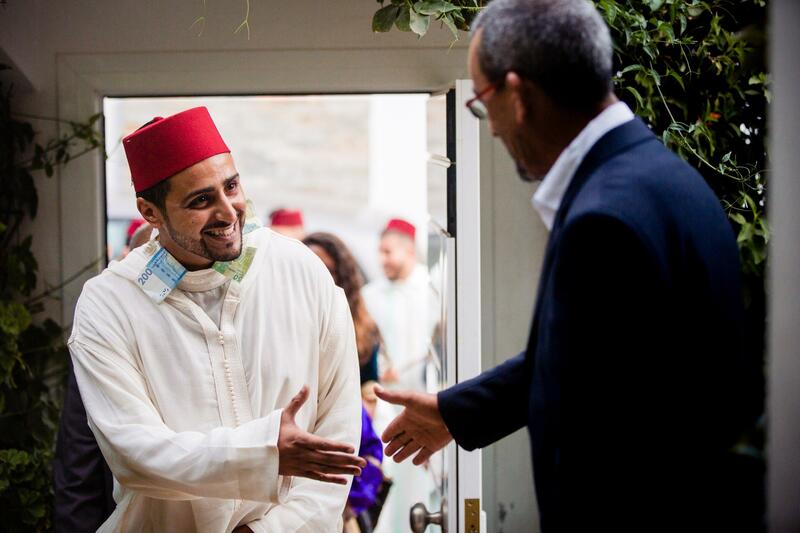 It was a great opportunity for guests to mingle and enjoy the beautiful evening. 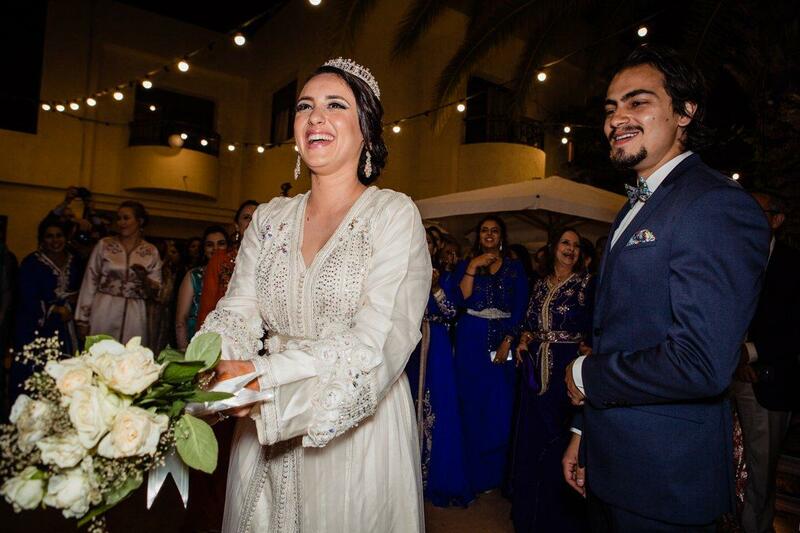 After the sunset, Sarah changed into a traditional takchita and she and Sean made their entrances in an amaria and mida. 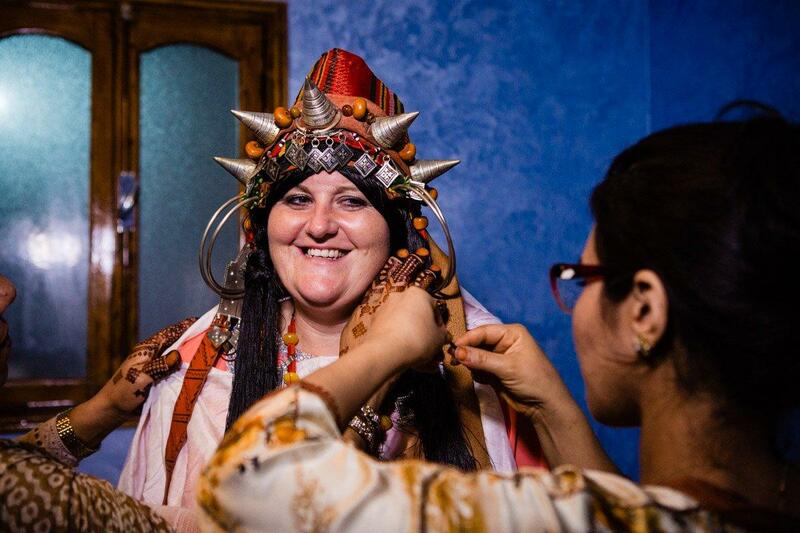 Sarah then changed into another takchita for the meal, which included tajine and seafood pastilla. 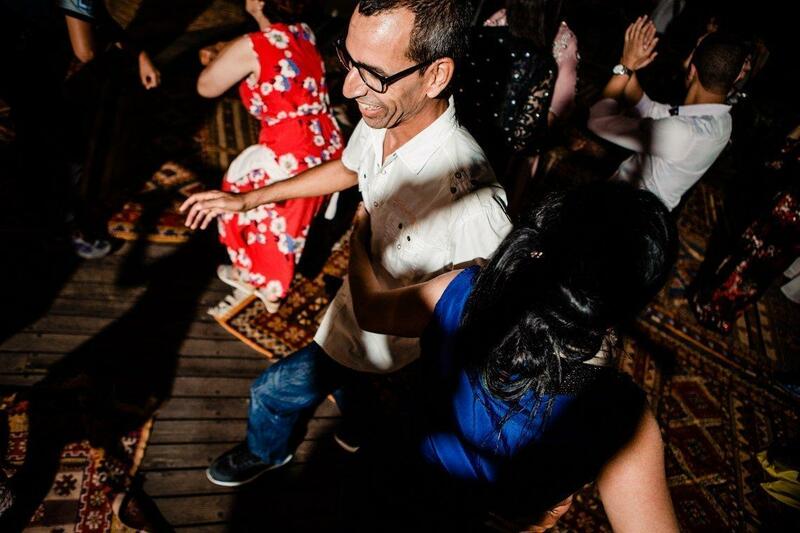 Following the meal there was dancing on Tikida’s outdoor terrace. 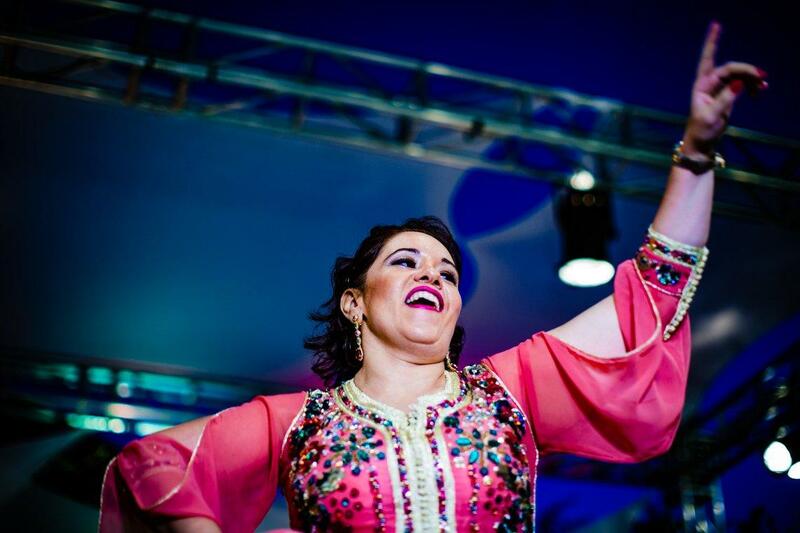 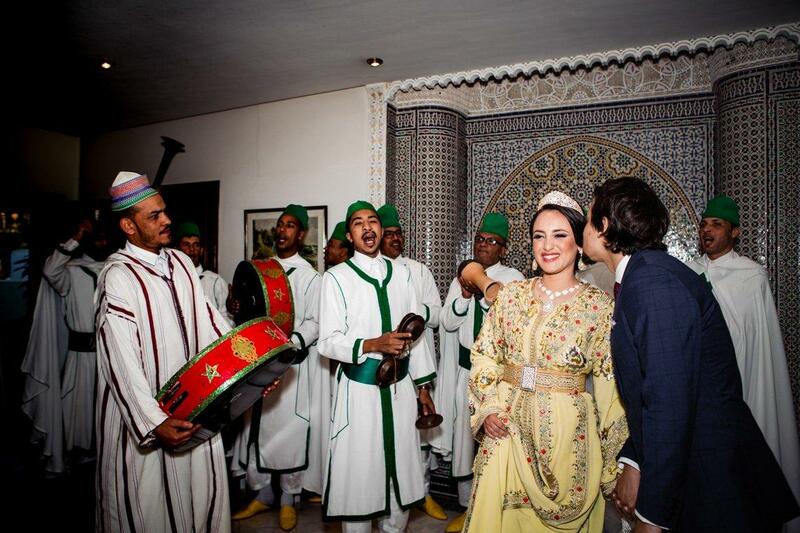 There was a mix of traditional Moroccan music and popular international songs. 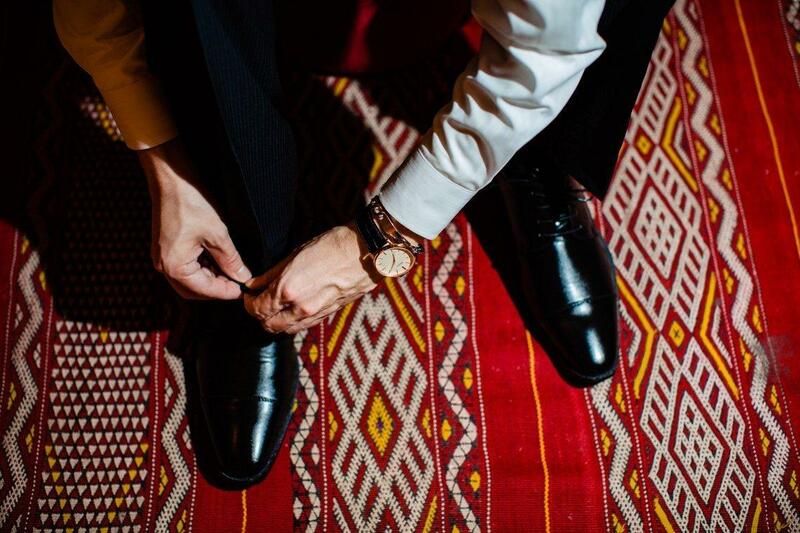 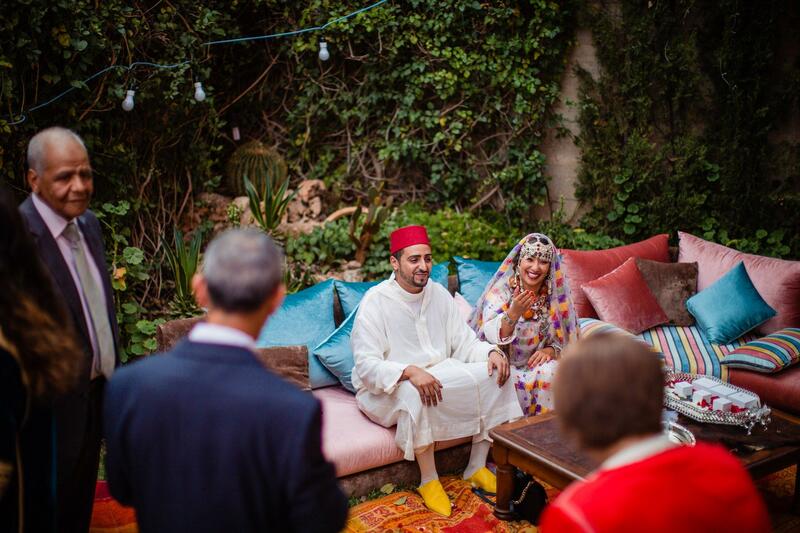 We love how Sarah and Sean created a wedding that included many of the Moroccan traditions but also mixed with some western style traditions. 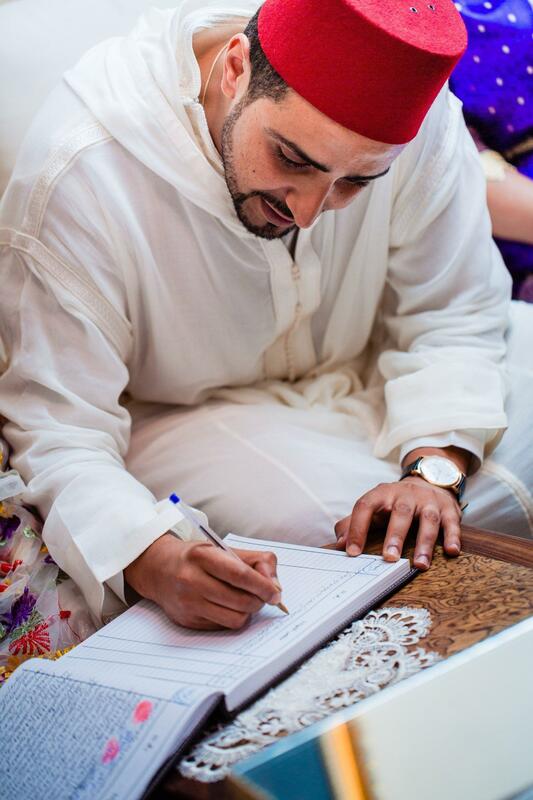 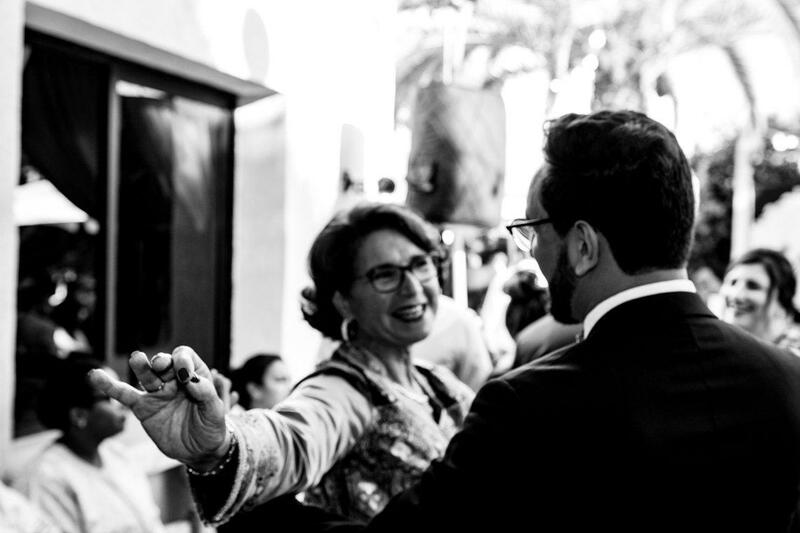 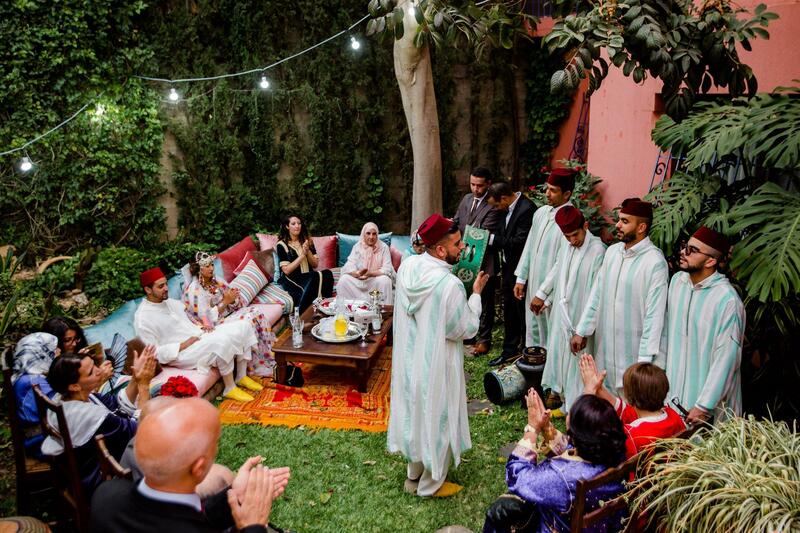 The wedding felt relaxed and intimate, guests from outside of Morocco were able to enjoy and experience many Moroccan wedding traditions. 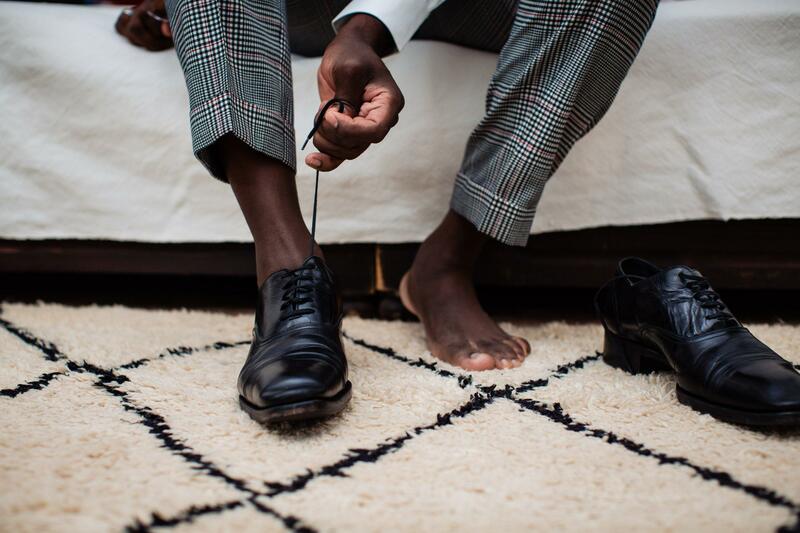 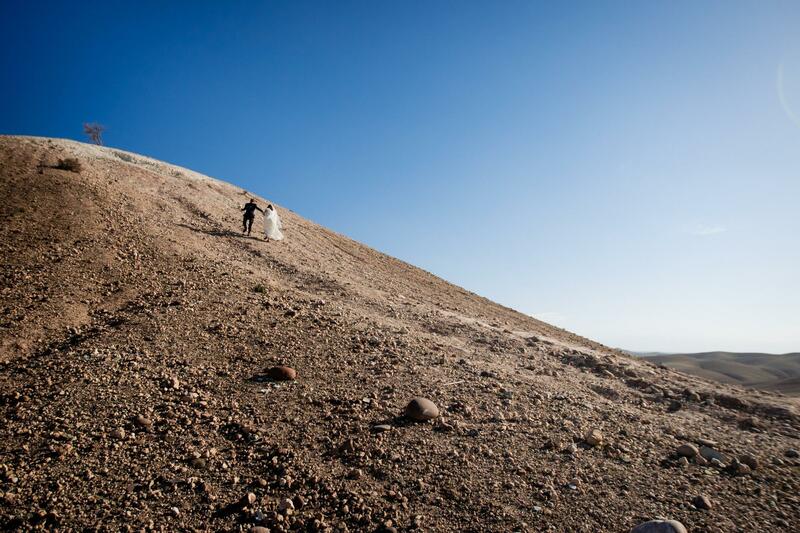 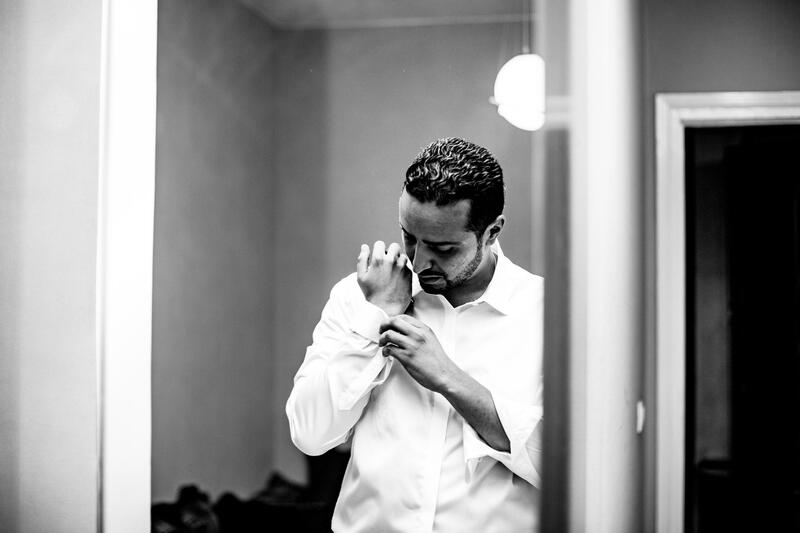 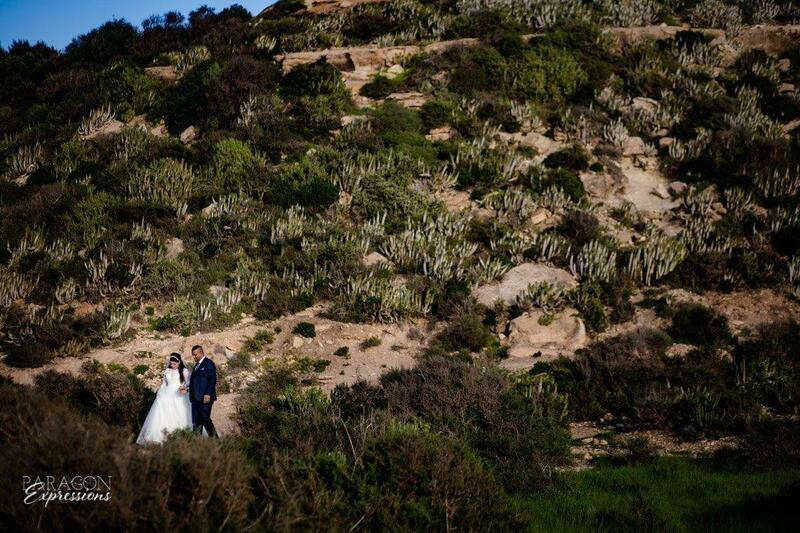 We thoroughly enjoyed getting to know Sean and Sarah and capturing their Agadir wedding! 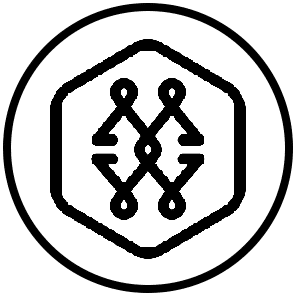 *Names have been changed to protect our clients privacy. 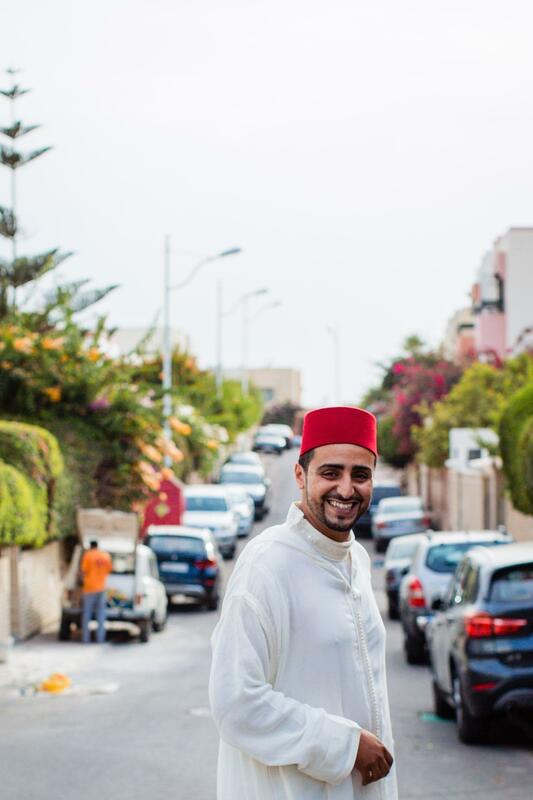 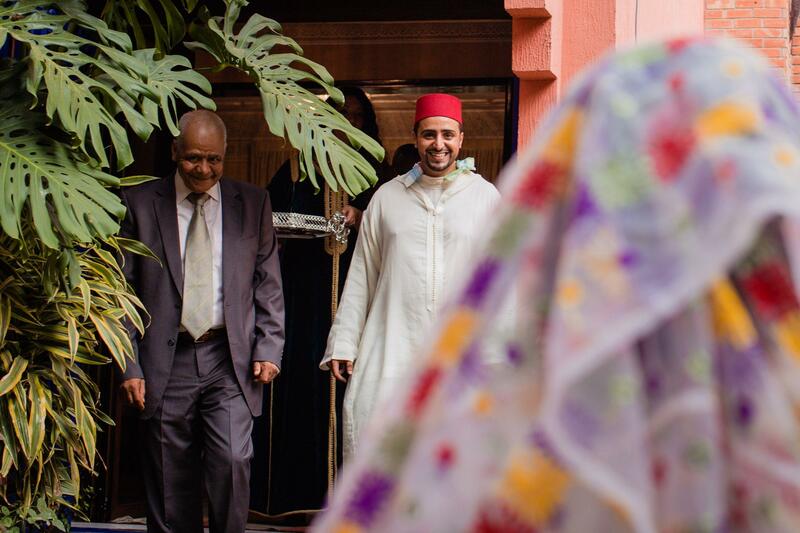 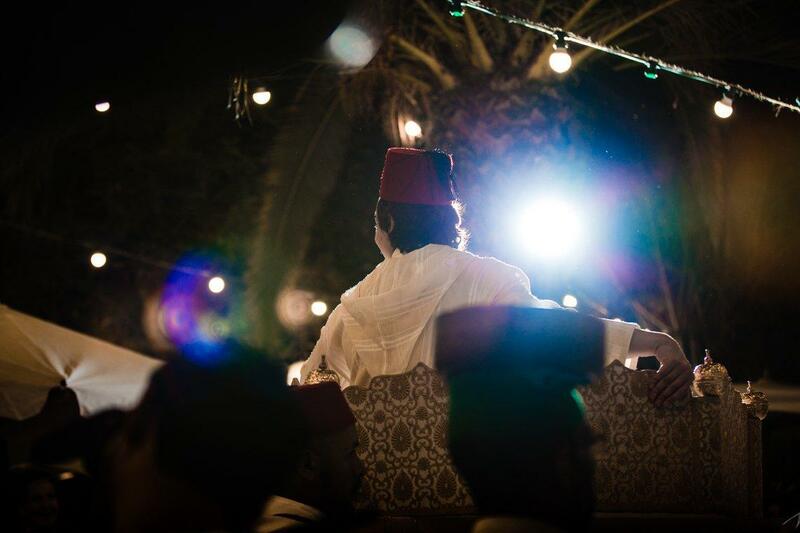 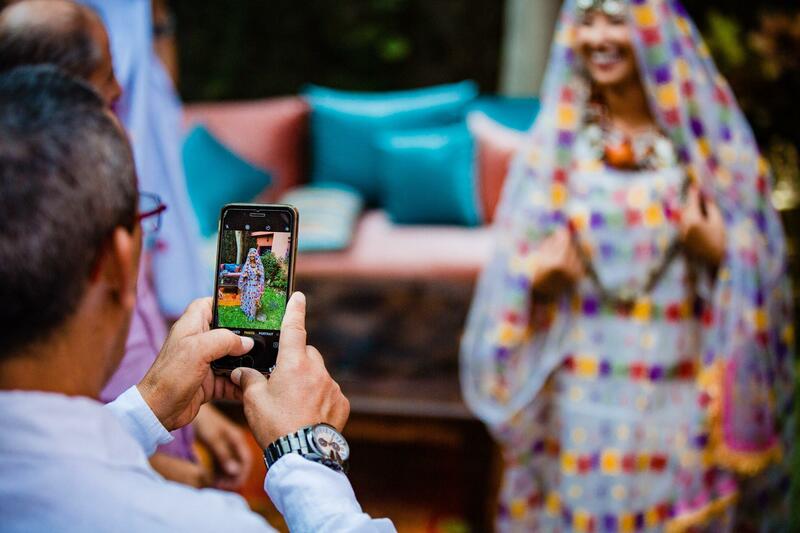 We loved doing the wedding photography and video for a traditional Moroccan wedding in Sidi Ifni. 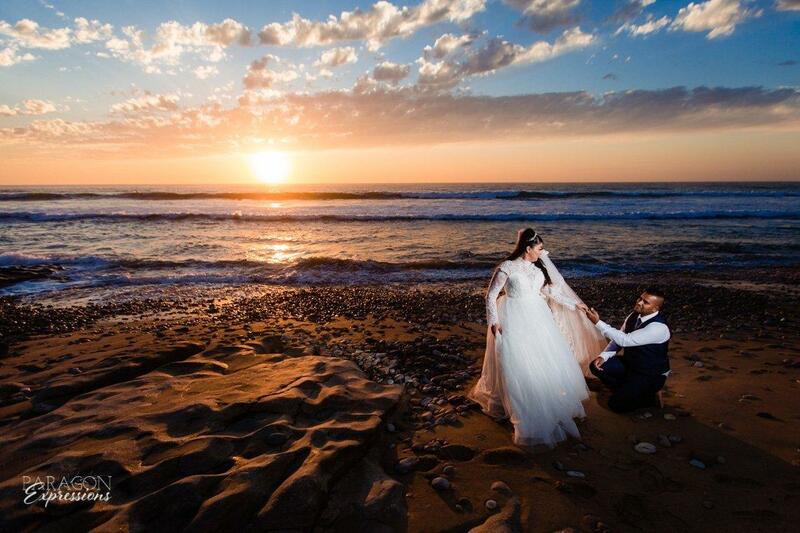 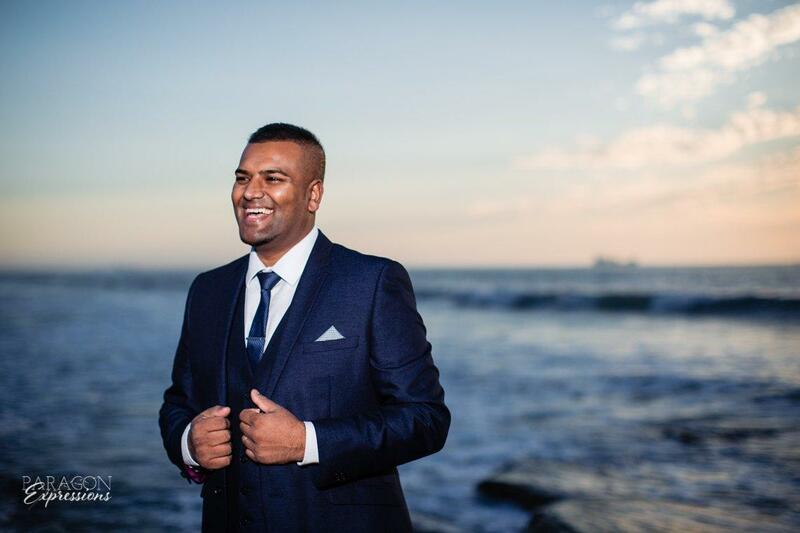 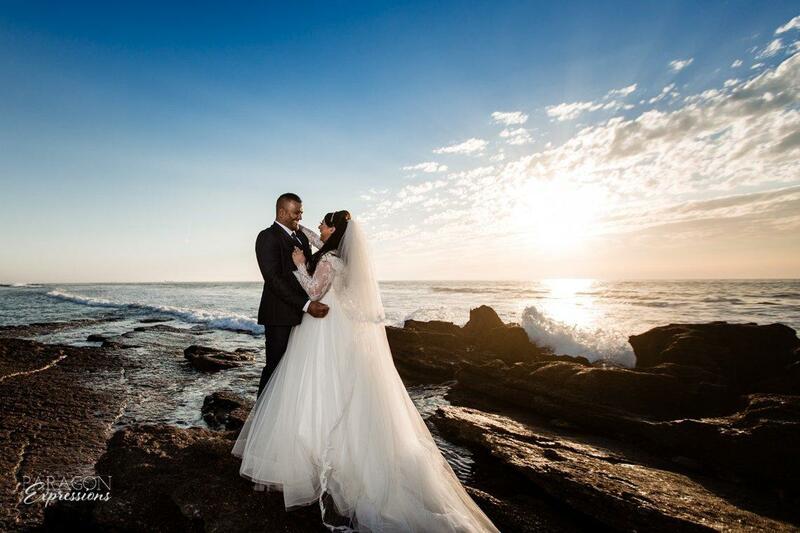 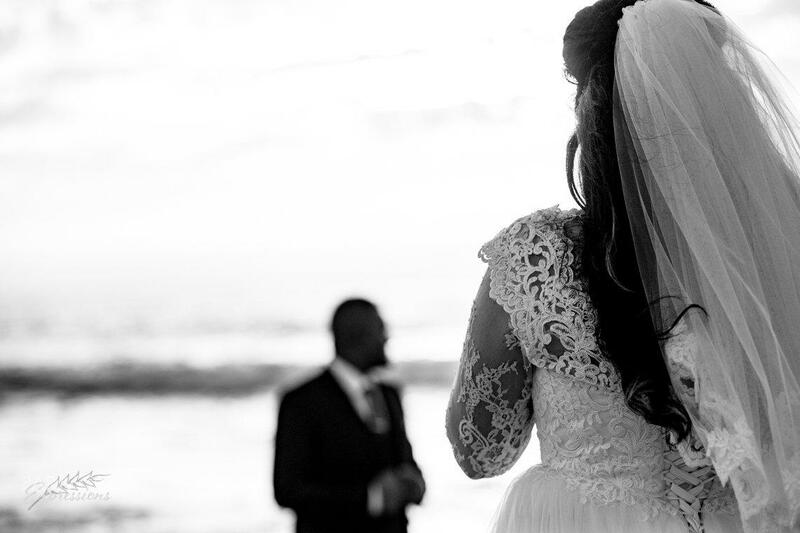 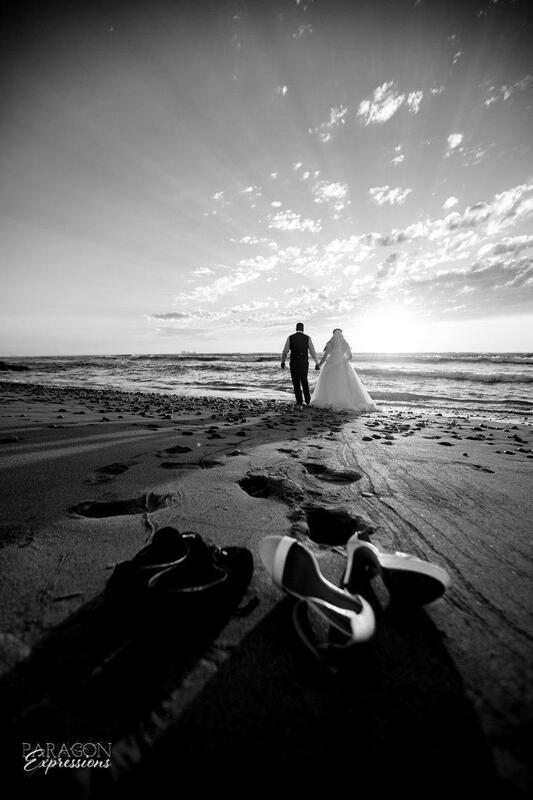 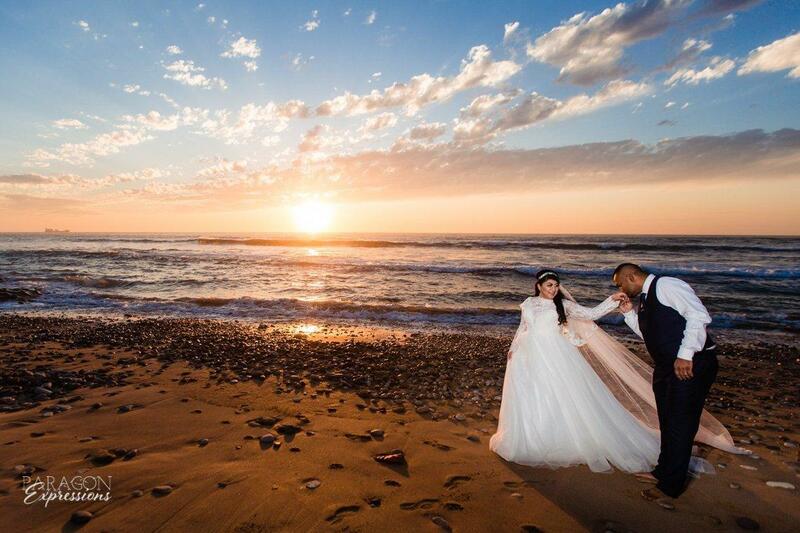 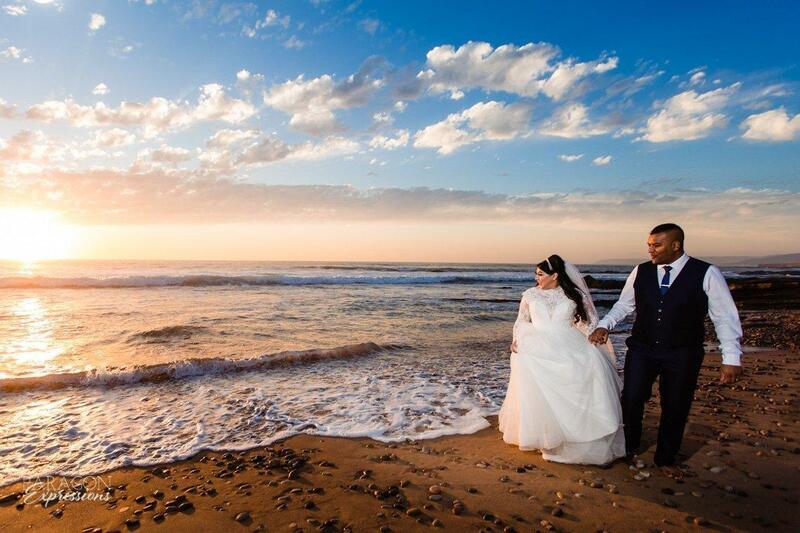 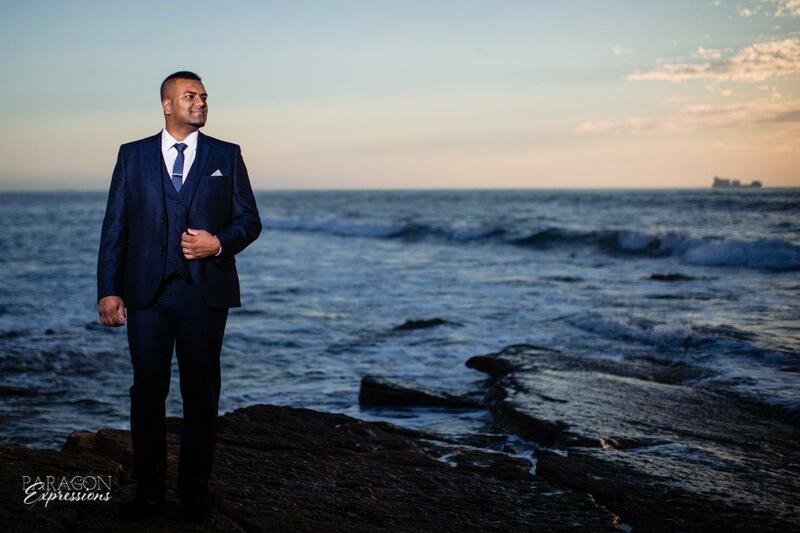 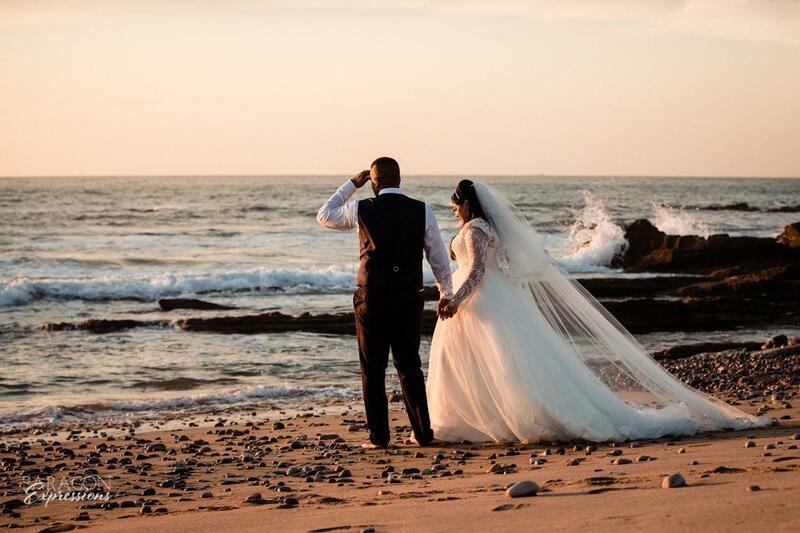 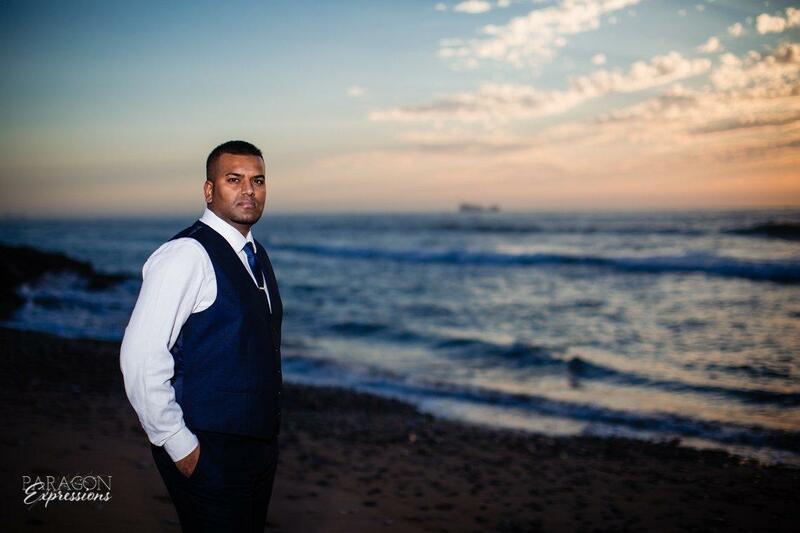 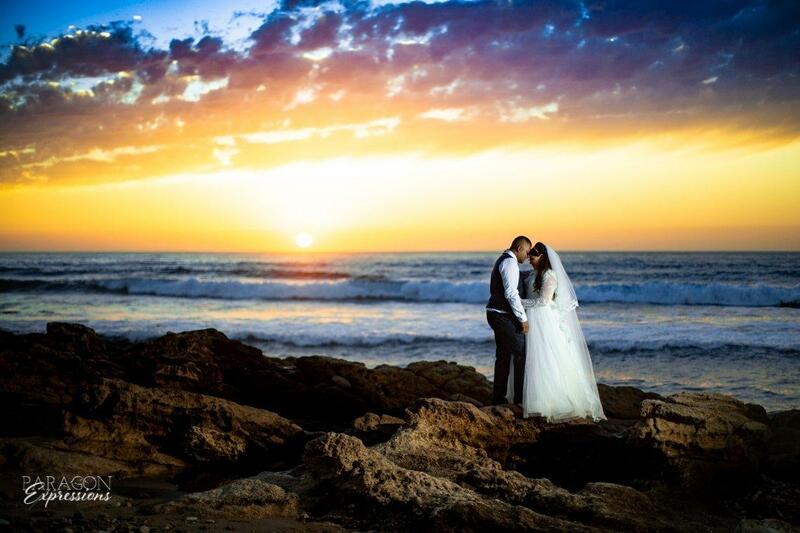 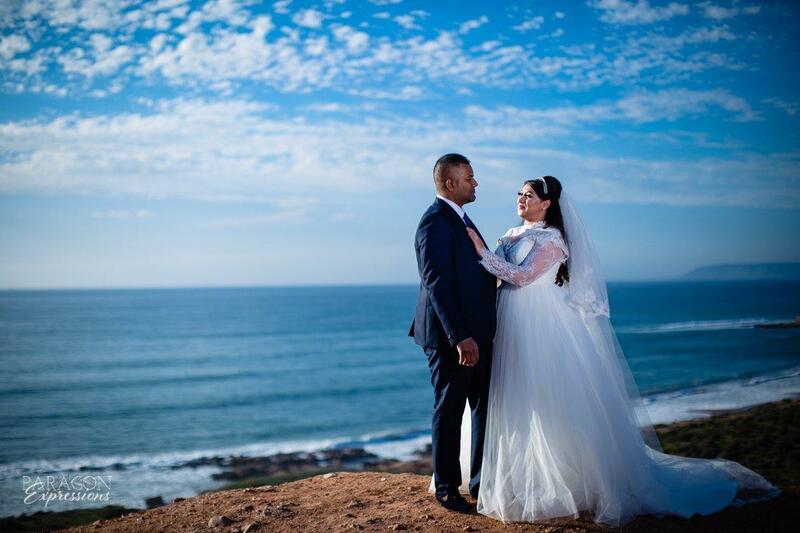 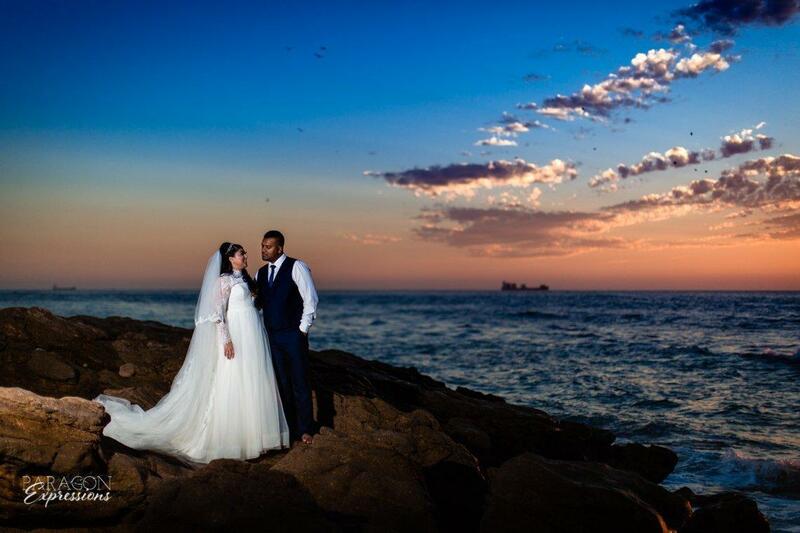 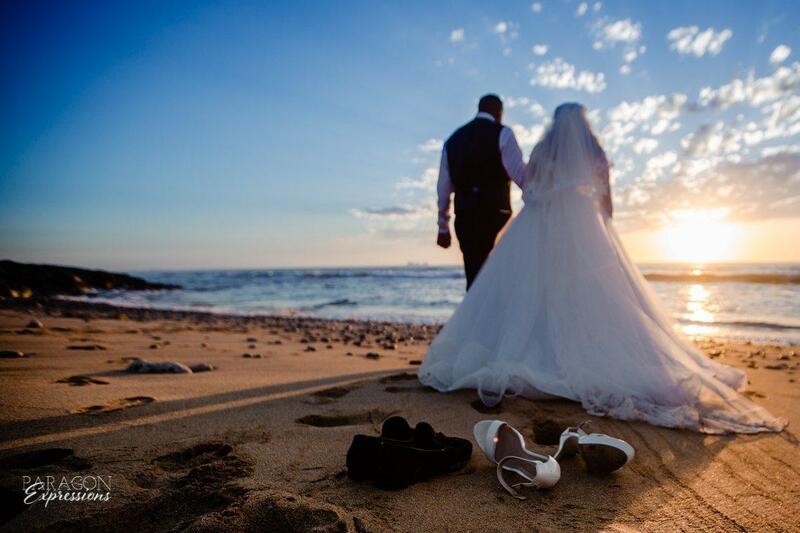 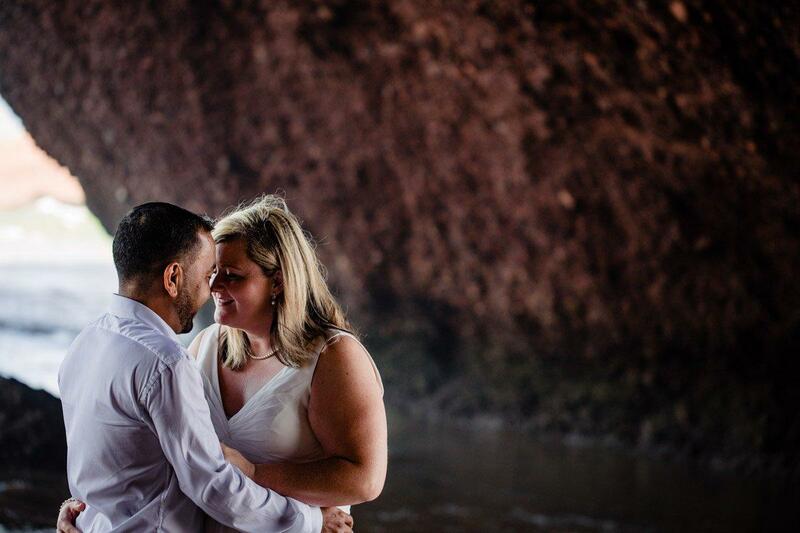 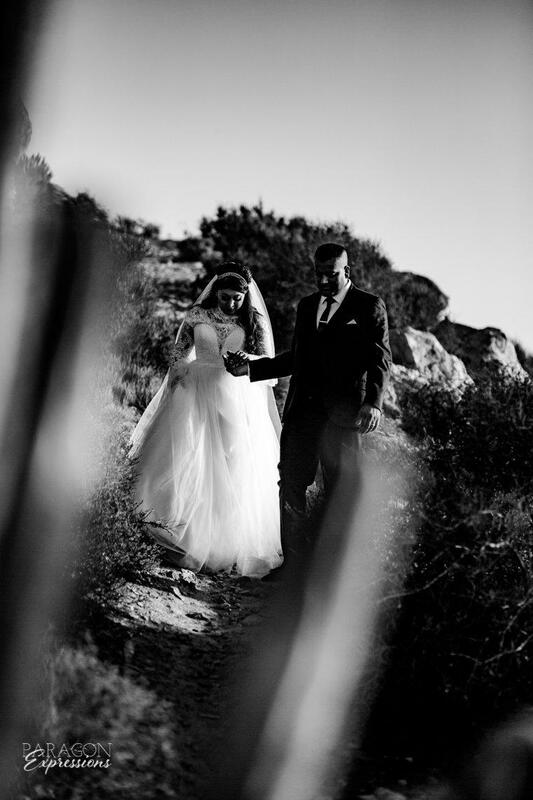 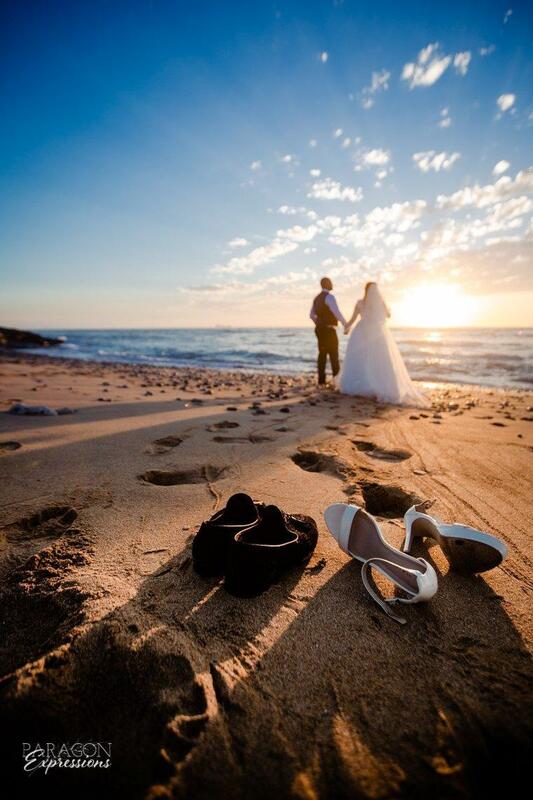 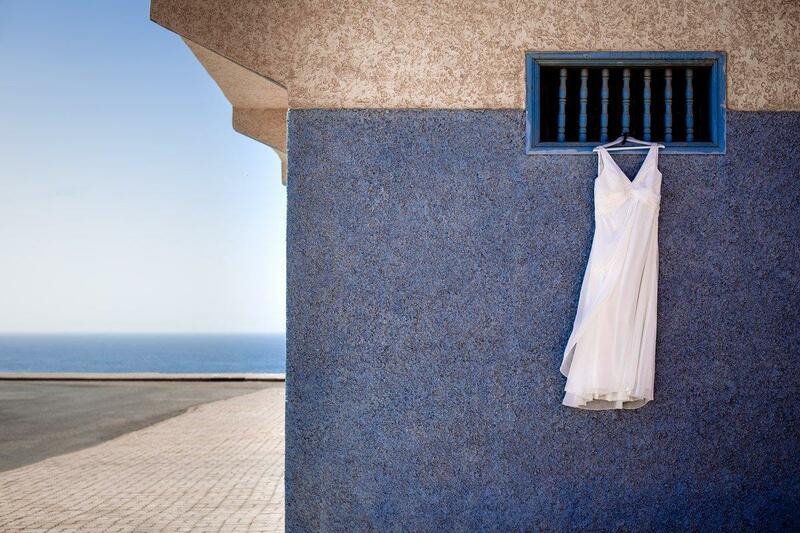 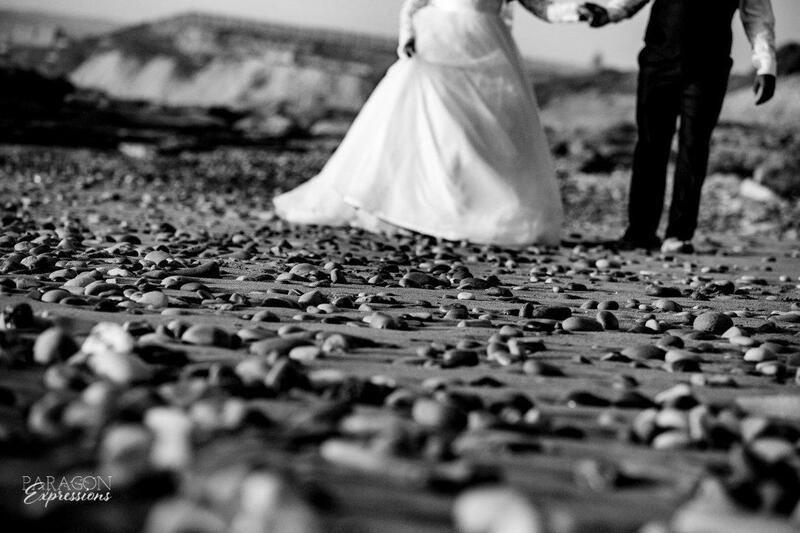 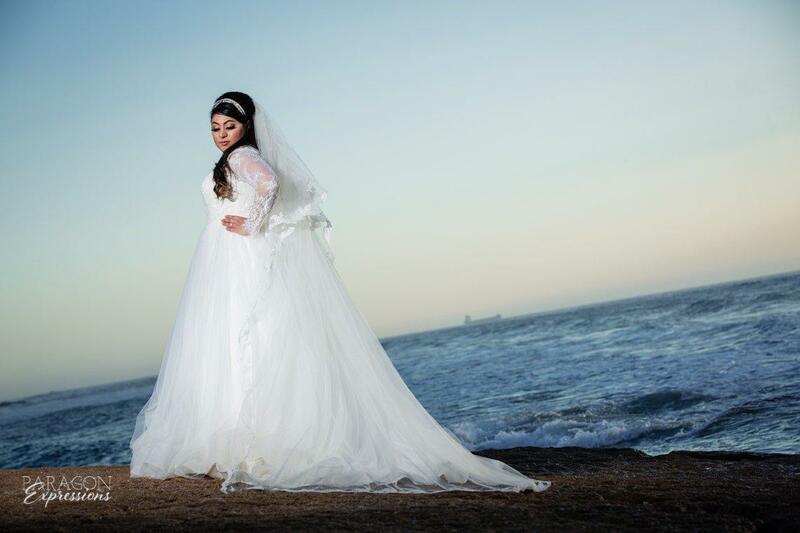 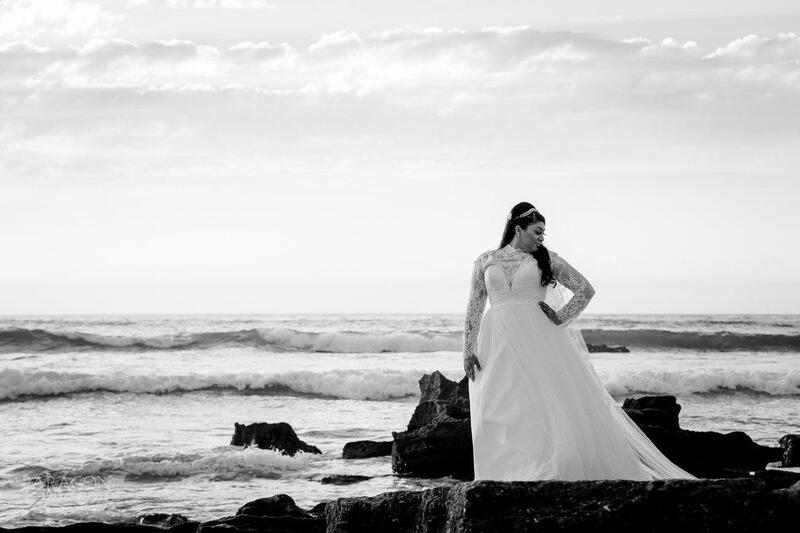 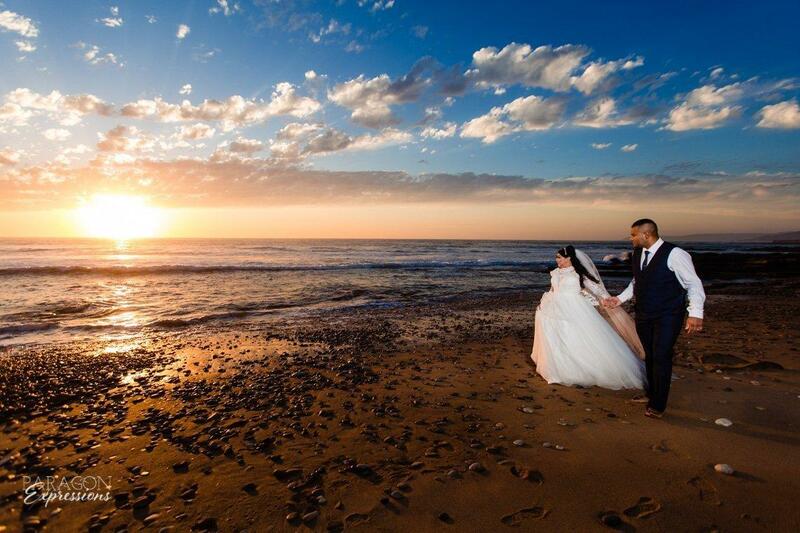 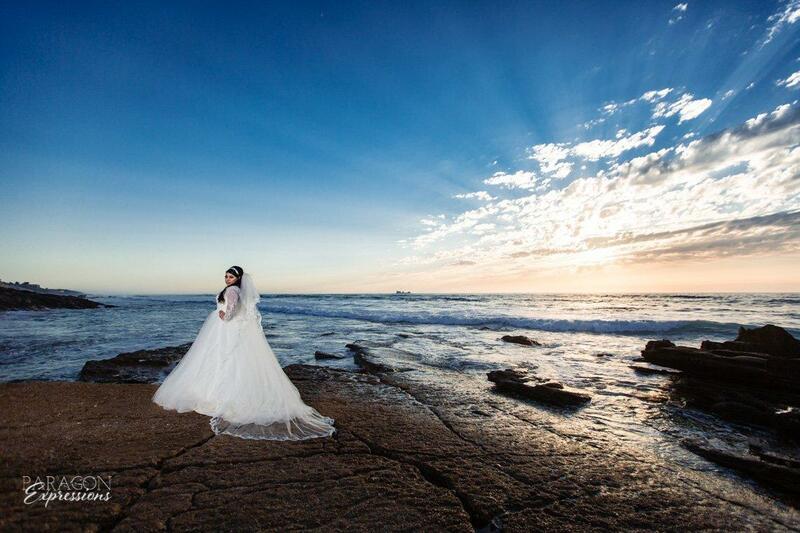 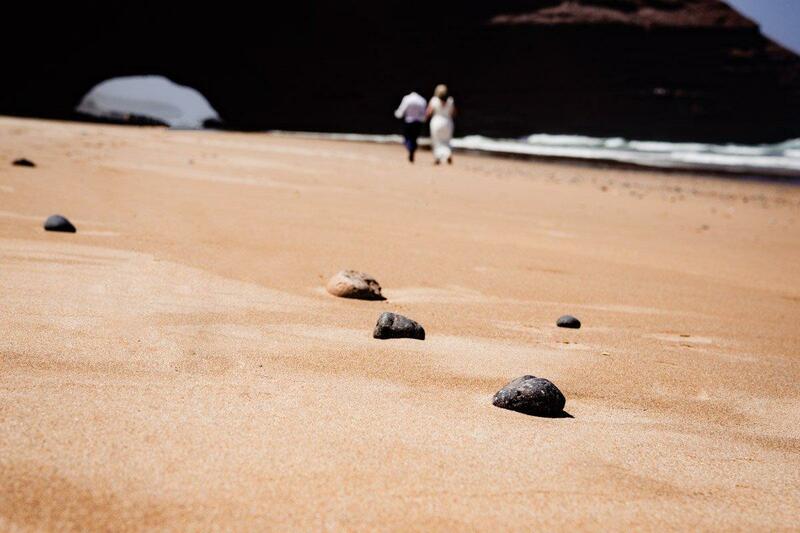 Moussa and Hayley’s wedding took place on a gorgeous September day on Sidi Ifni’s beautiful coastline. 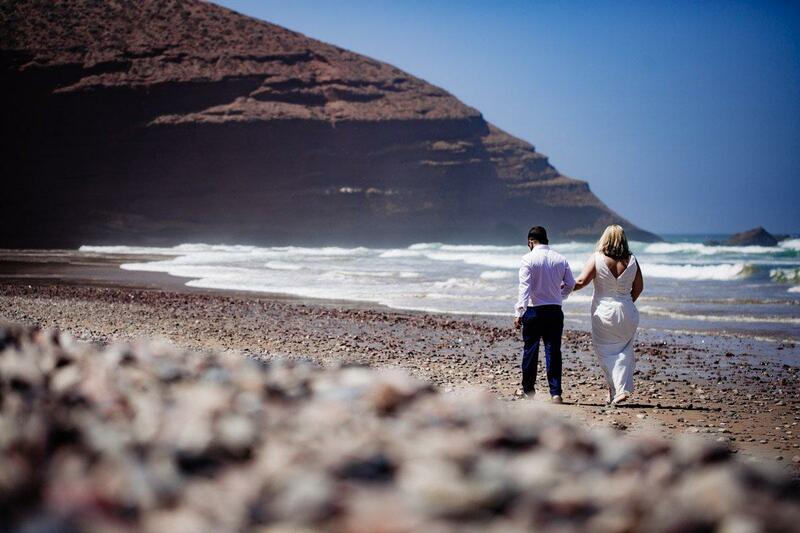 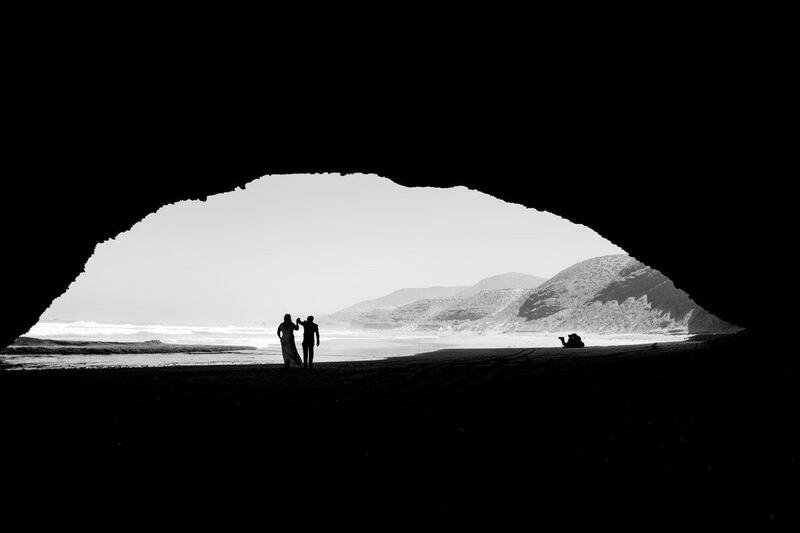 These two met on the Canary Islands, where they are also living. 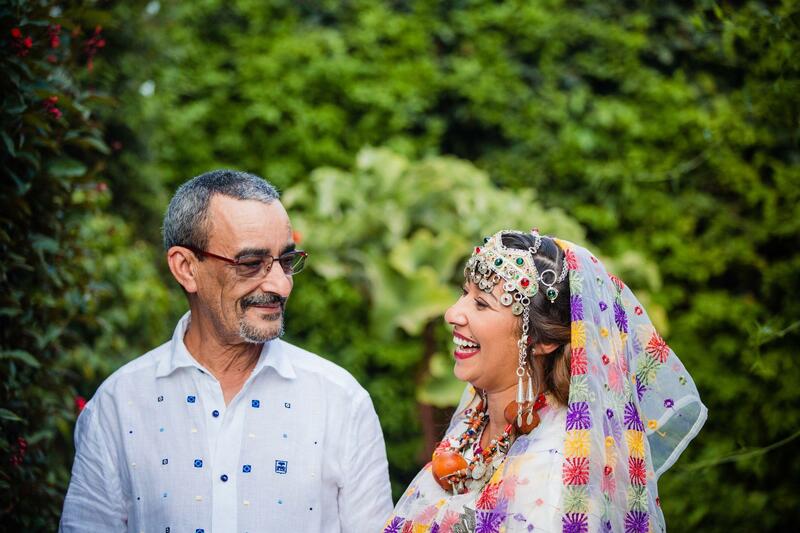 Moussa is from Morocco, the wedding was at his home in Sidi Ifni, and Hayley is from Scotland. 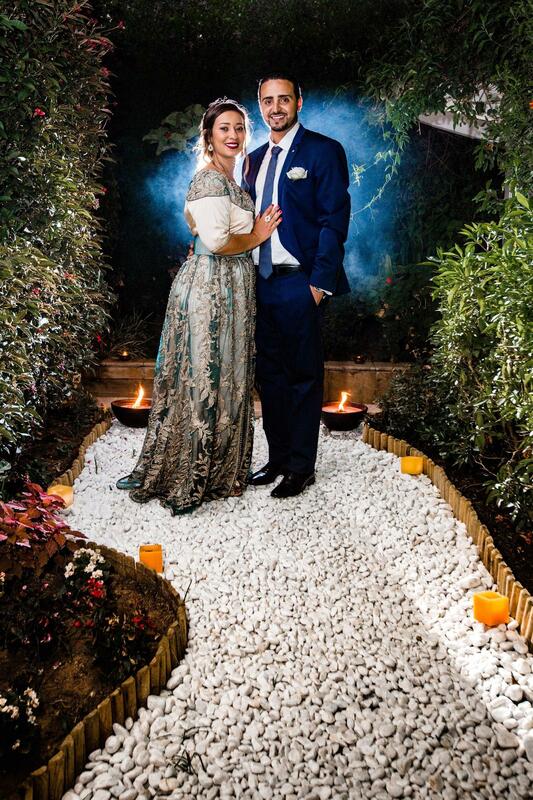 We love how they incorporated lots of elements from their home cultures and made their wedding uniquely theirs. 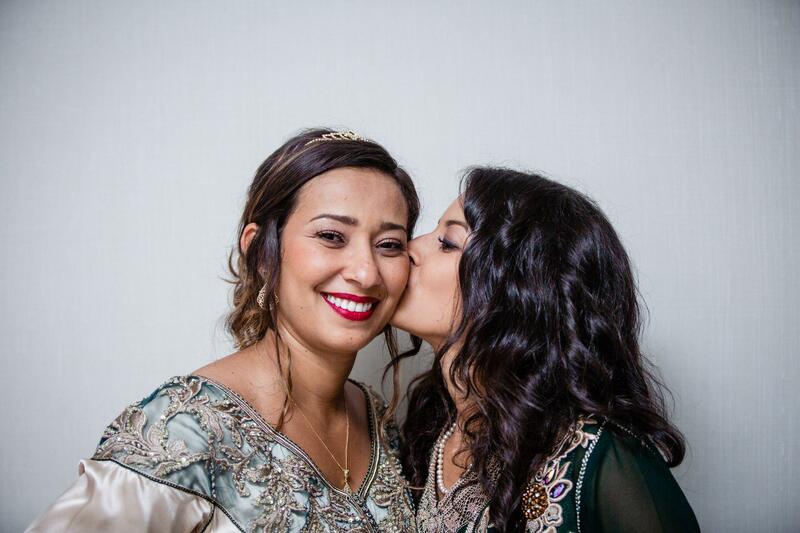 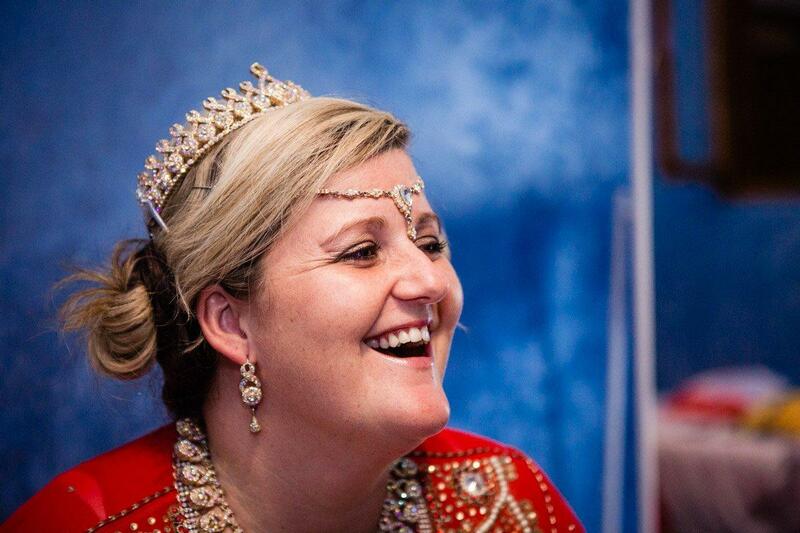 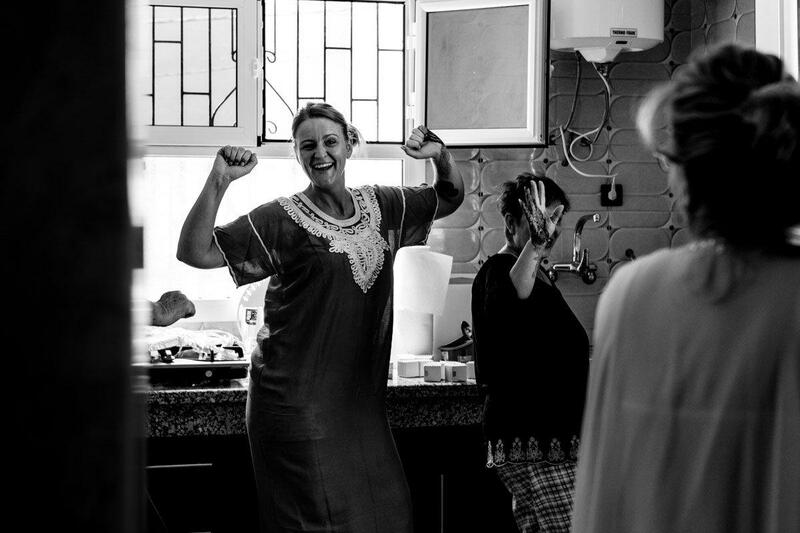 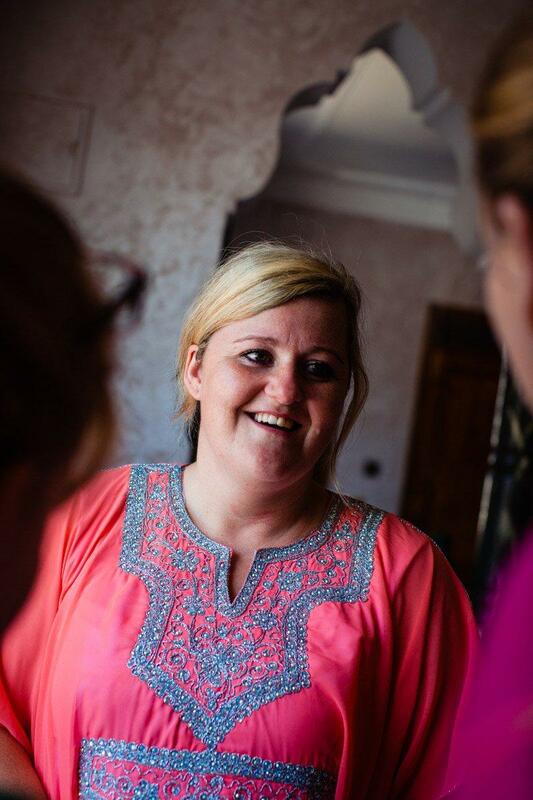 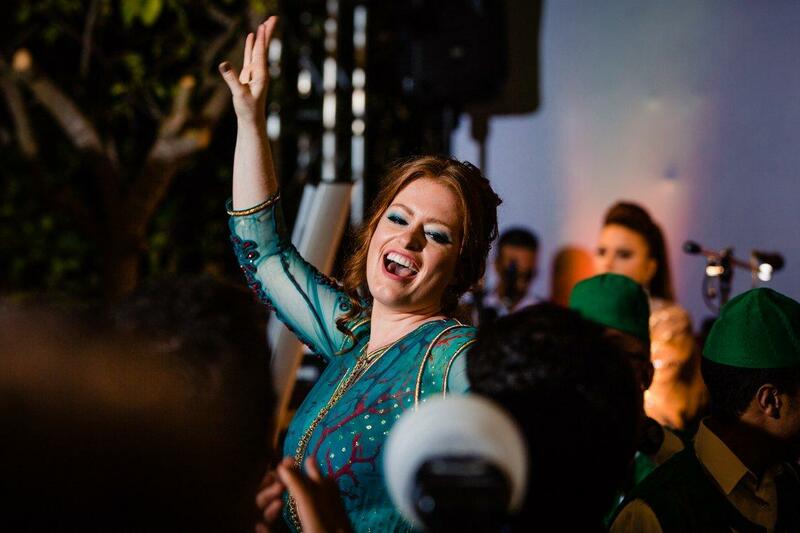 Hayley’s mother and close friends traveled to Morocco to celebrate along Moussa’s family and friends. 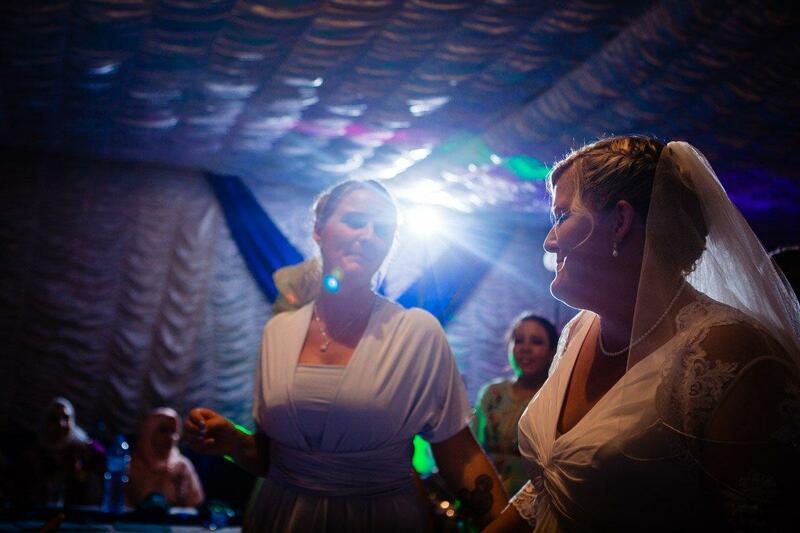 There was much dancing and laughter leading up to wedding and it carried on throughout the night. 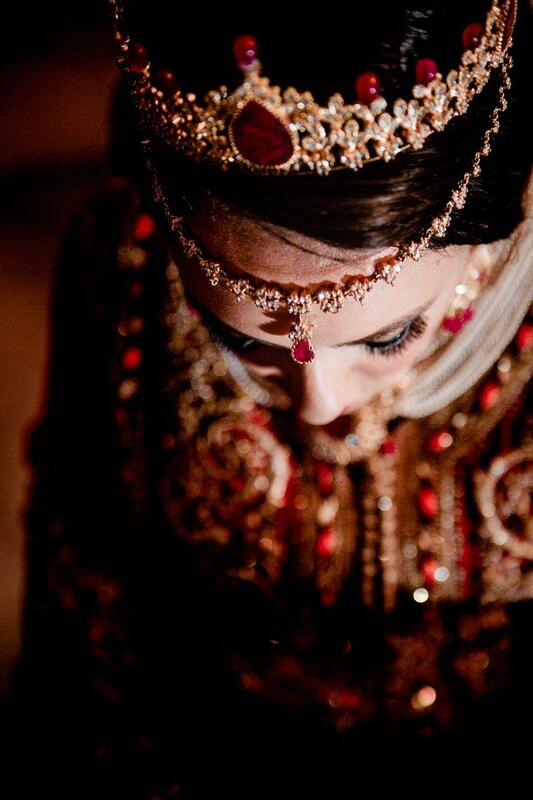 Hayley wore four traditional takchitas and a white wedding gown. 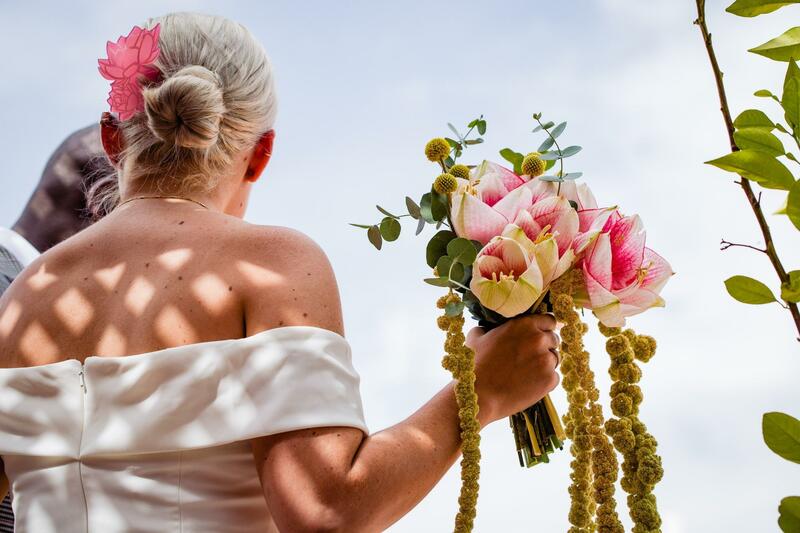 Hayley made her final entrance in her white wedding gown with her mother accompanying her to a bagpipe rendition of Amazing Grace. 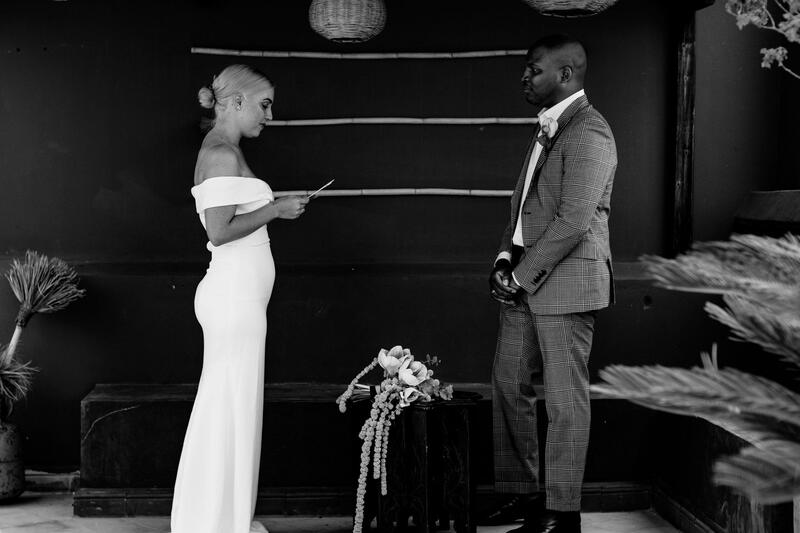 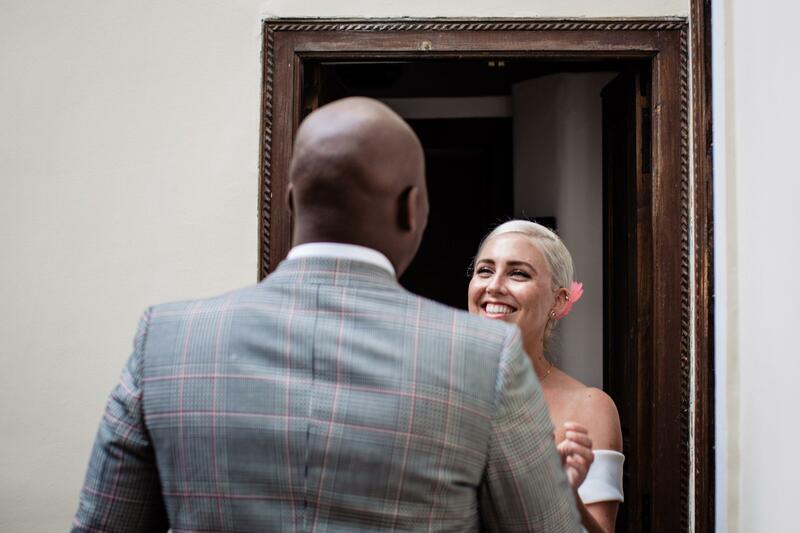 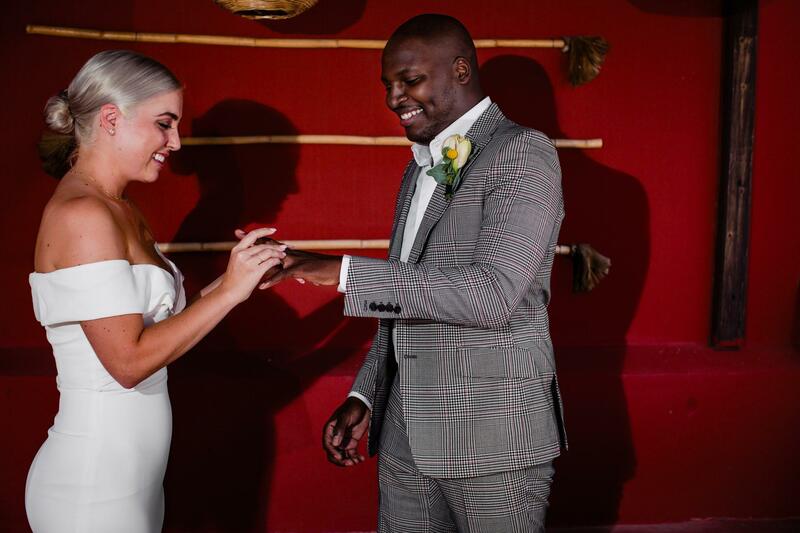 There were many happy tears as Hayley and Moussa exchanged rings and then had their first dance together. 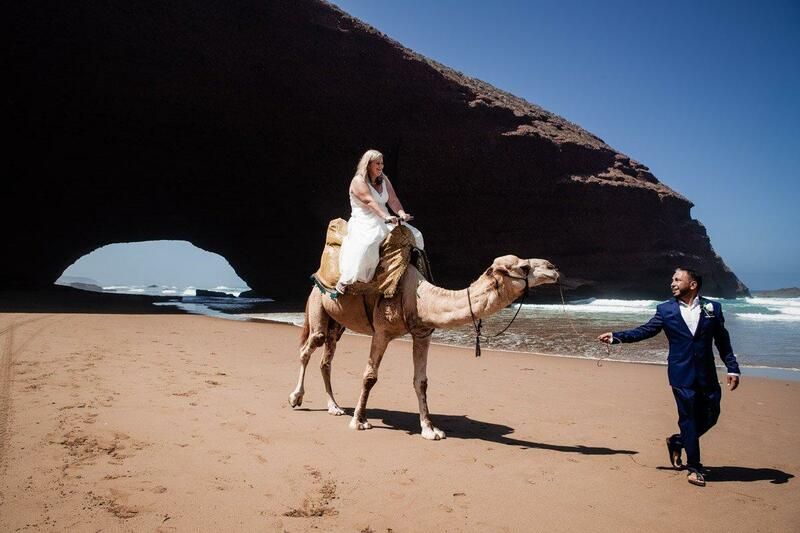 The morning after Moussa and Hayley’s Sidi Ifni wedding, we did a romantic photoshoot with them on Legzira beach. 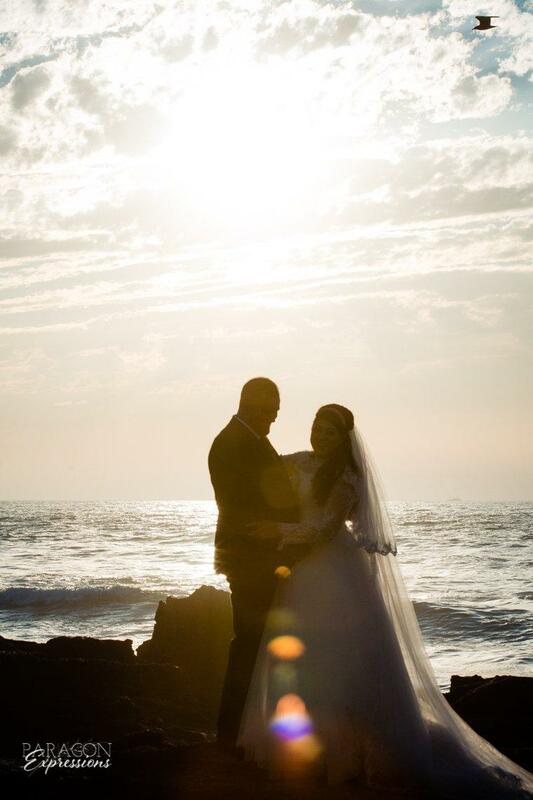 It was a beautiful morning and we loved getting some photos of just the two of them. 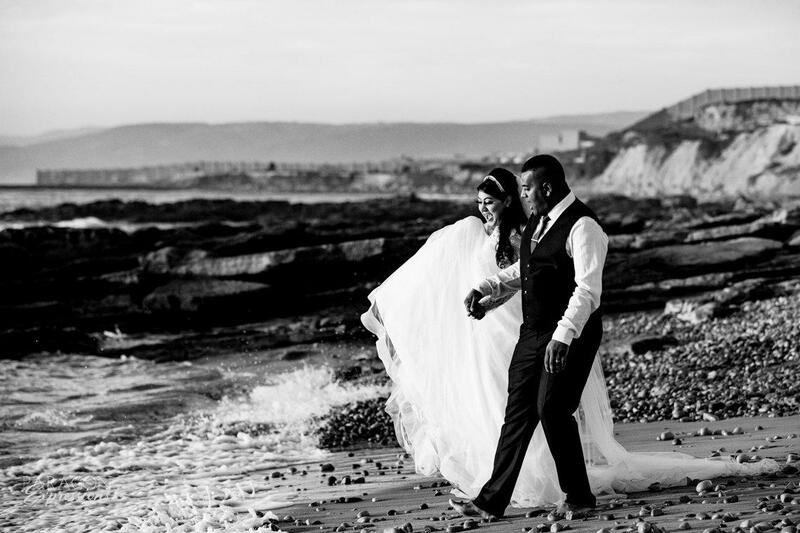 For the beach photoshoot, Hayley wore her white wedding gown and Moussa wore his suite. 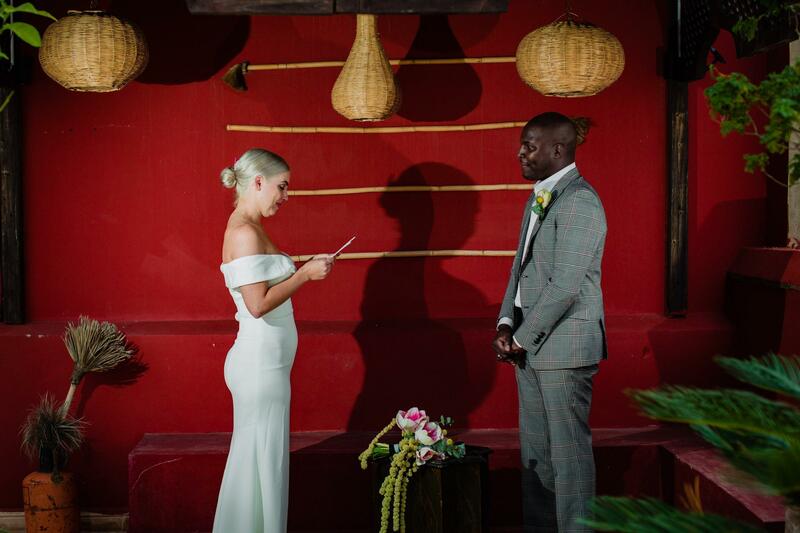 Legzira’s remaining arch is the perfect backdrop for photos and we especially love the silhouette shots of them under the arch. 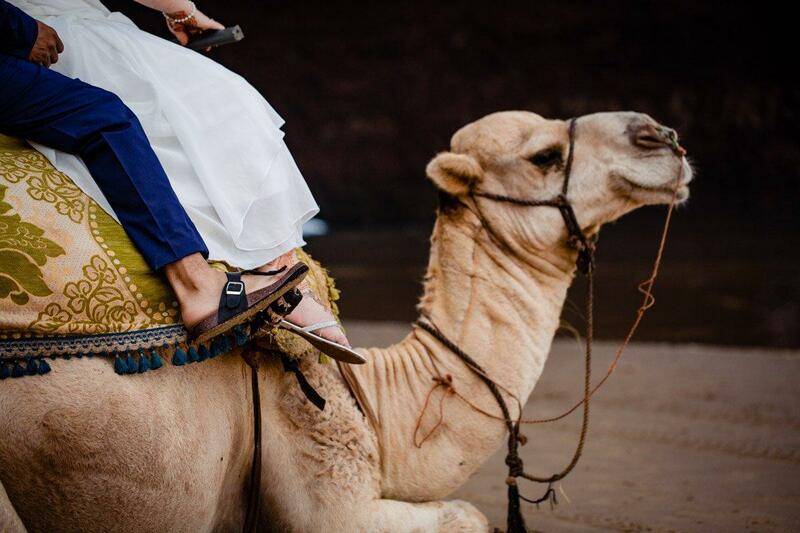 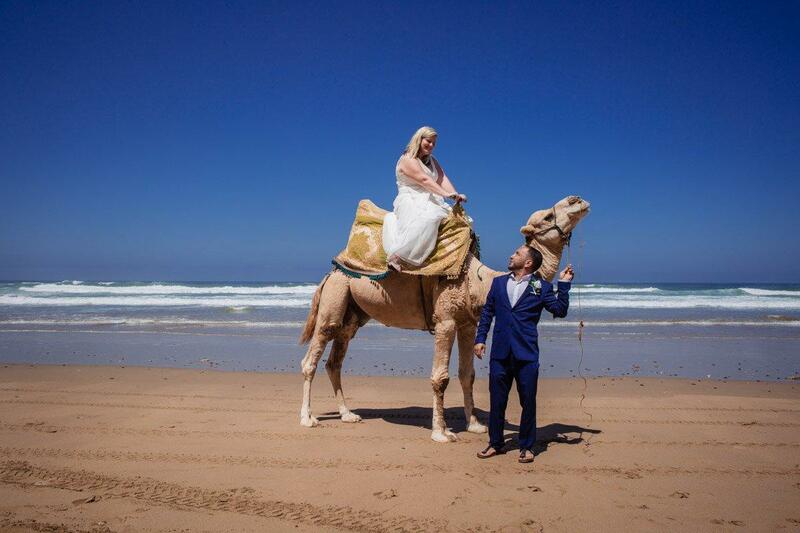 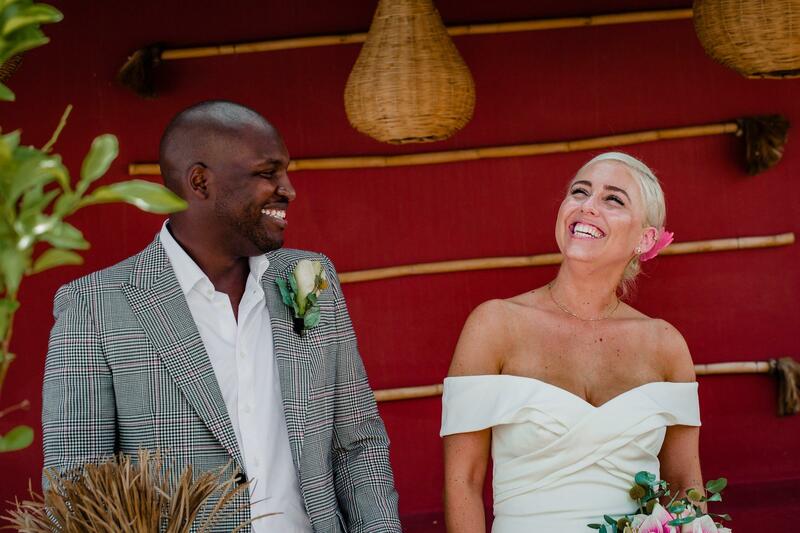 We shifted gears from romantic shots to some shots that really reflect Moussa and Hayley’s adventurous side as they opted to take a camel ride down the beach! 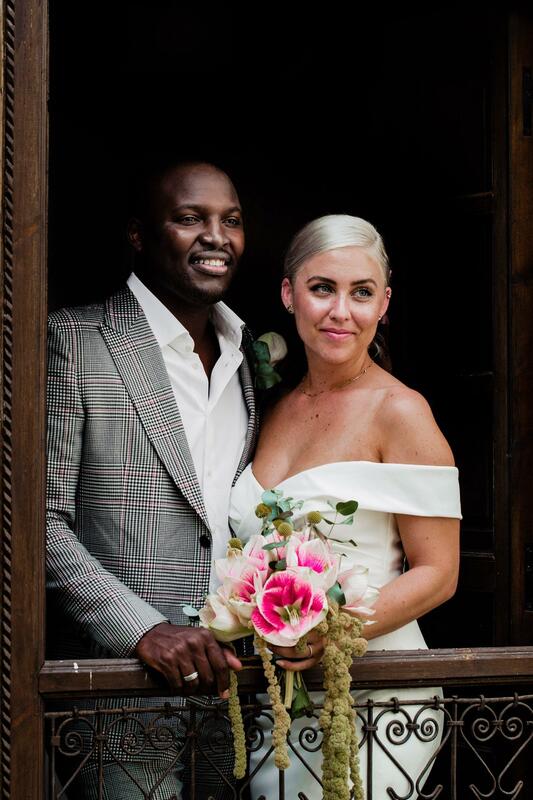 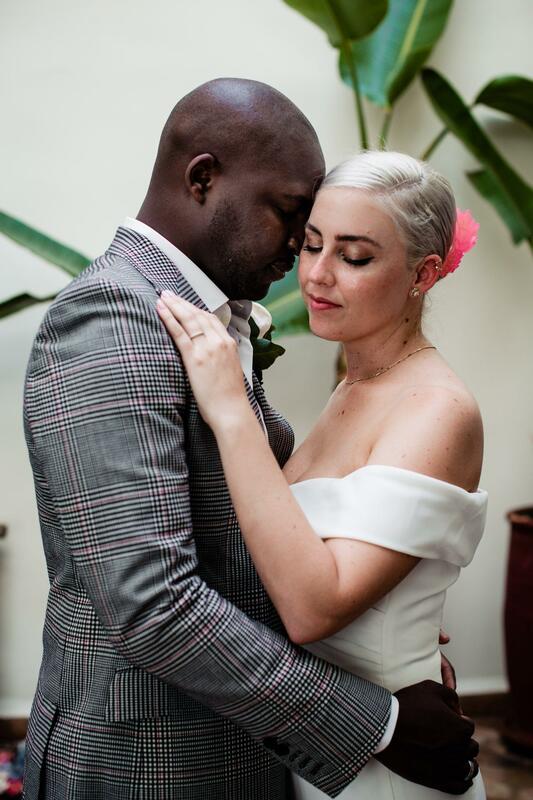 We had so much fun with Moussa and Hayley and it is so clear how well they compliment each other! 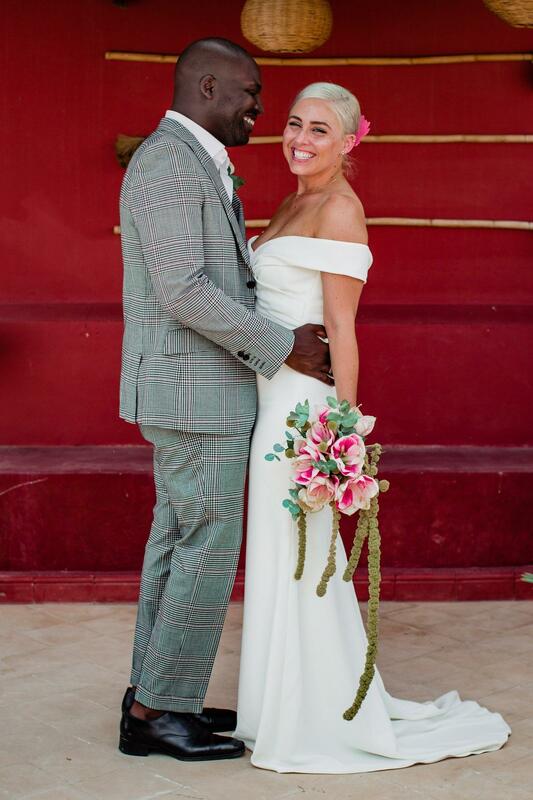 We wish them all happiness in their marriage! 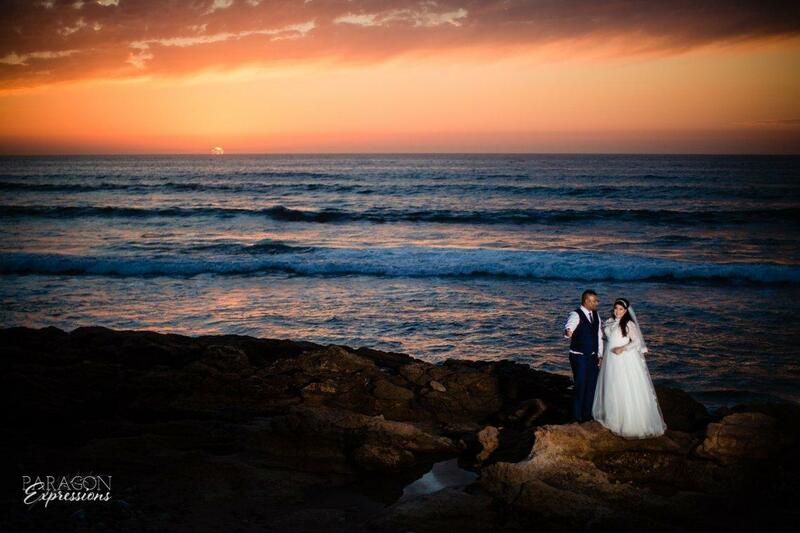 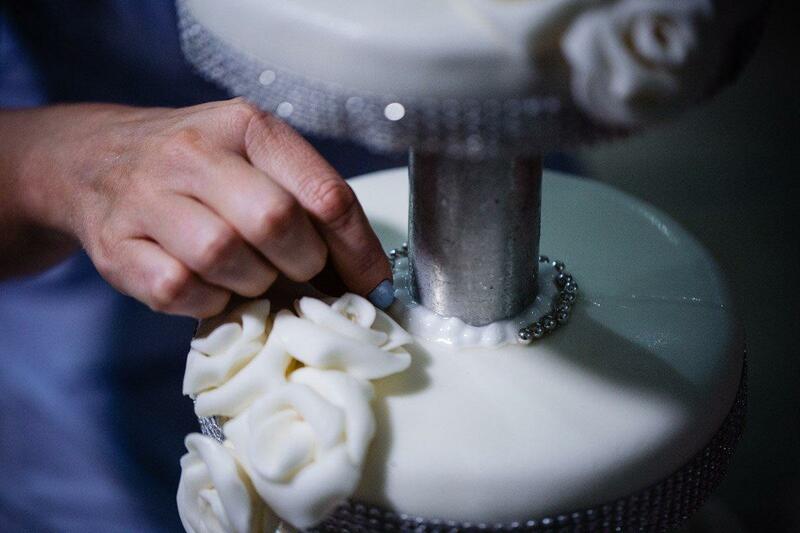 It was an incredibly special day and honor for us to do the wedding photography and video for this Sidi Ifni wedding. 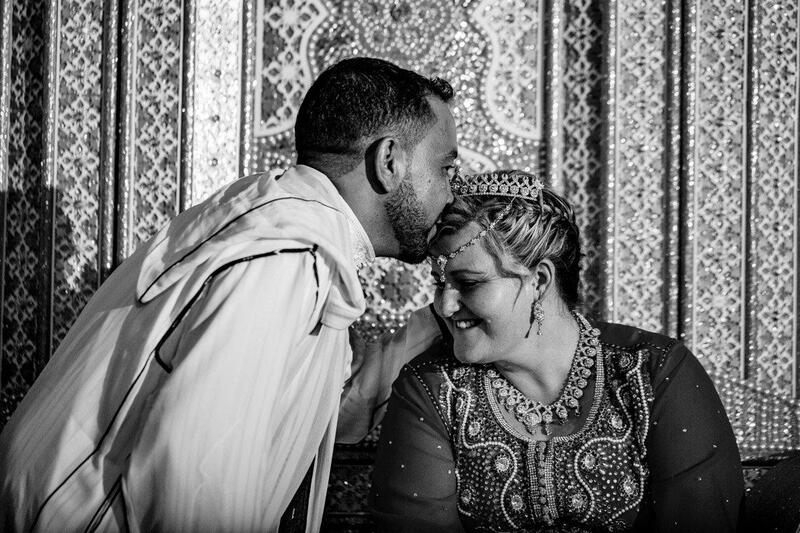 Elope in Marrakech – It was an honor to do the elopement photography in Marrakech at a private riad where Kevin and Sarah promised each other forever. 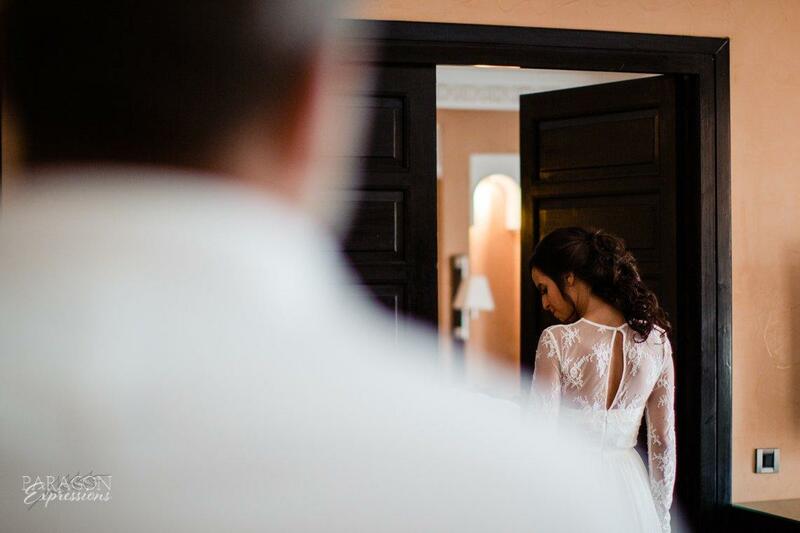 The excitement and anticipation they had for their first look is one of our favorites to date! 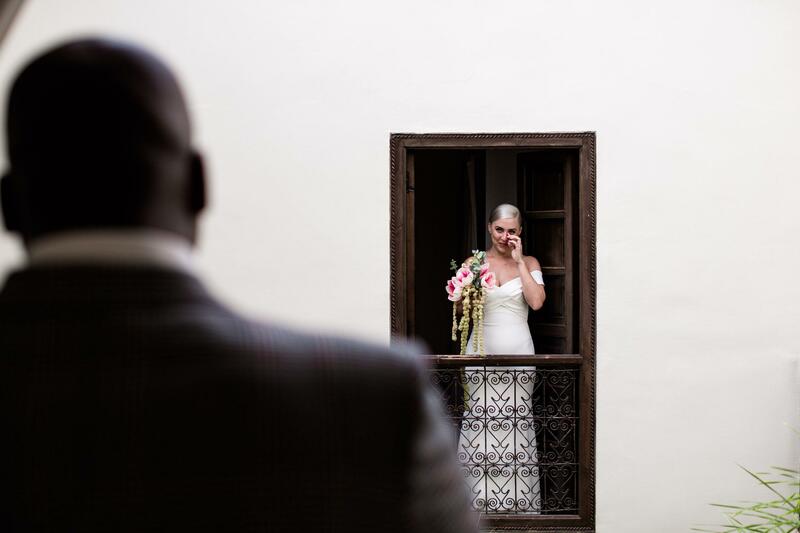 Like out of a scene from a movie, Kevin stood on one end of the balcony, while across from him Sarah opened up one of the floor length windows. 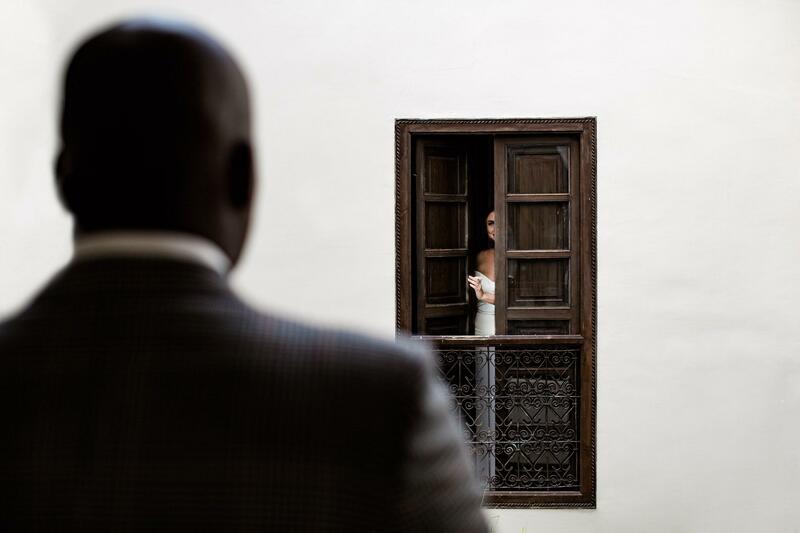 For their first look, Sarah surprised Kevin with the song from Romeo and Juliet, “Kissing you”. 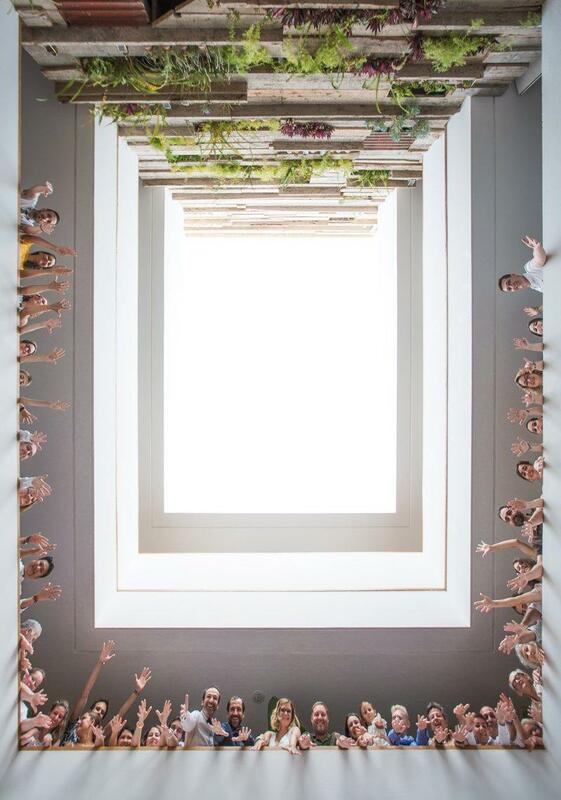 Could there be a more perfect song for a balcony entrance?! 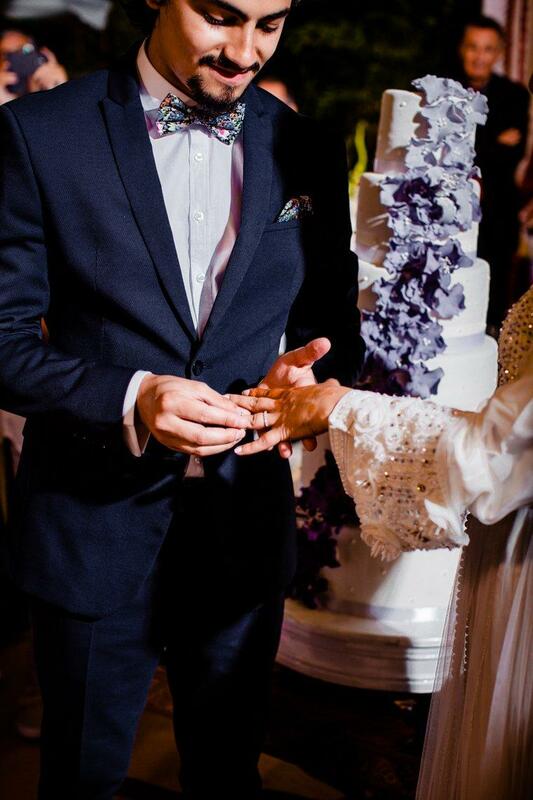 And the expression on Kevin’s face when he first saw Sarah was just so full of emotion and awe. 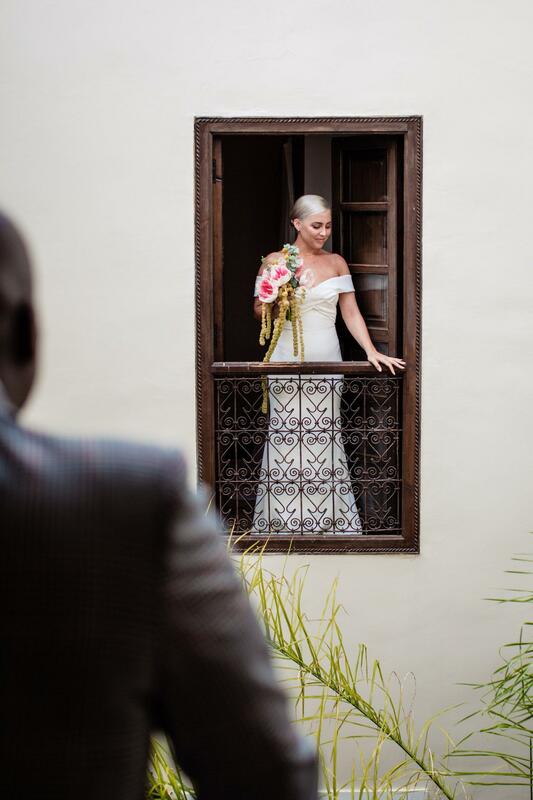 After their first look, they went up to the roof where they exchanged the vows they had each written for each other. 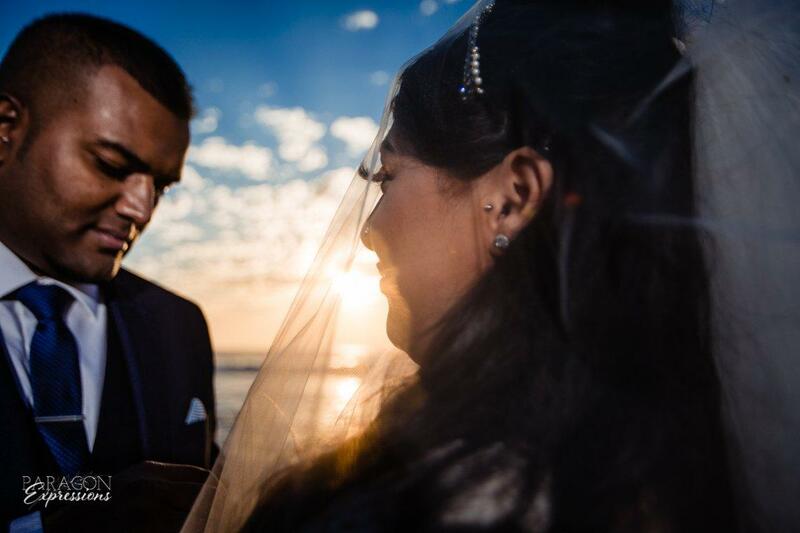 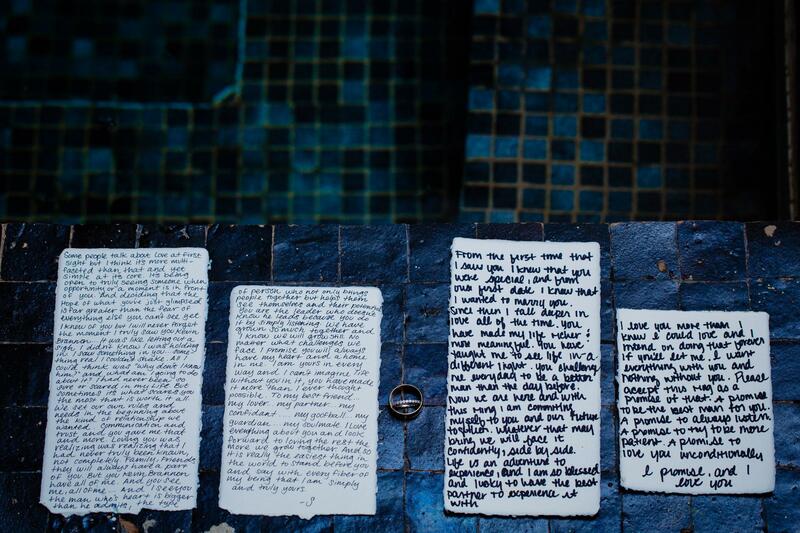 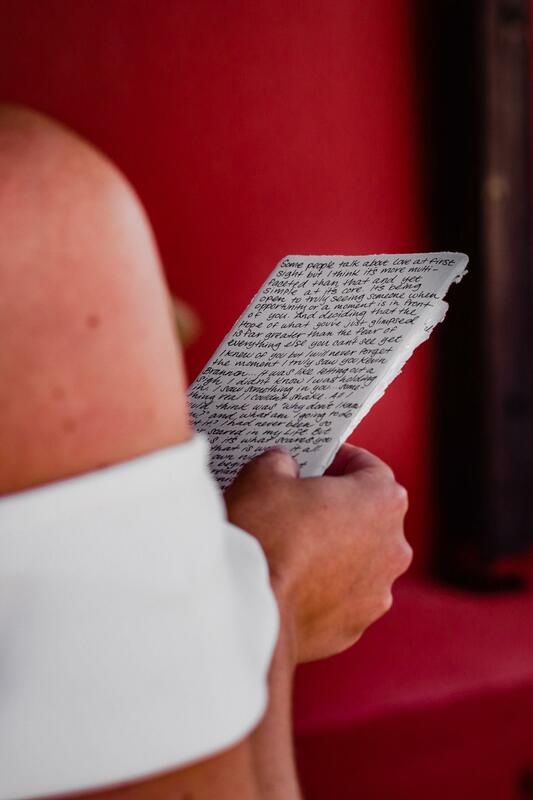 Quite honestly, they were some of the most meaningful vows we’ve heard. 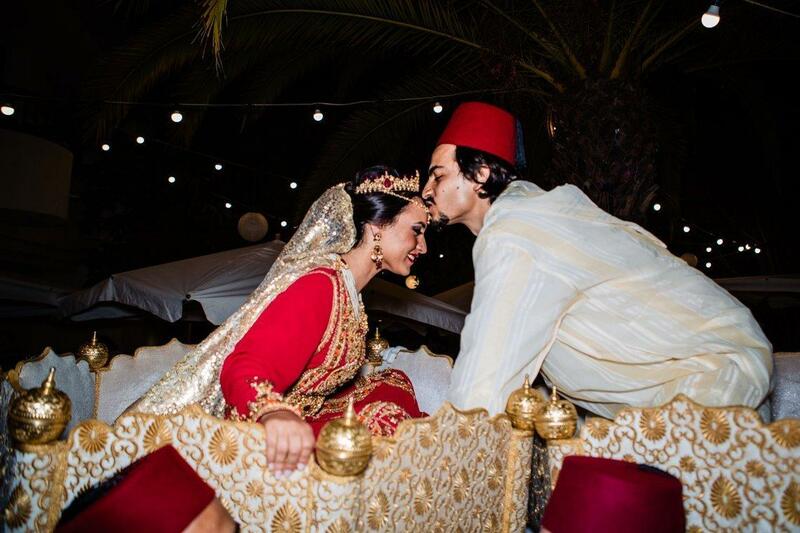 With palm trees and quintessential Marrakech rooftops in the background, a soundtrack played of songs that are special to both of them and their relationship. 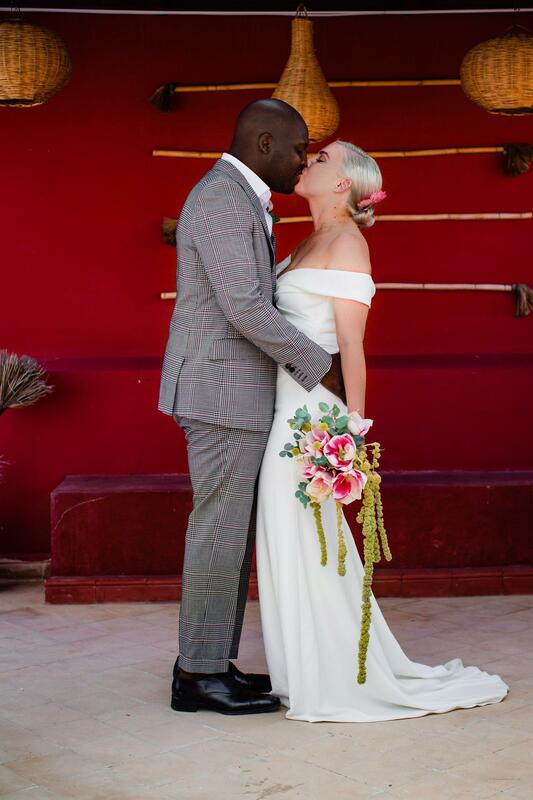 At the end of their ceremony, they jumped over a broom together, which is an African American tradition dating back to the 19th century. 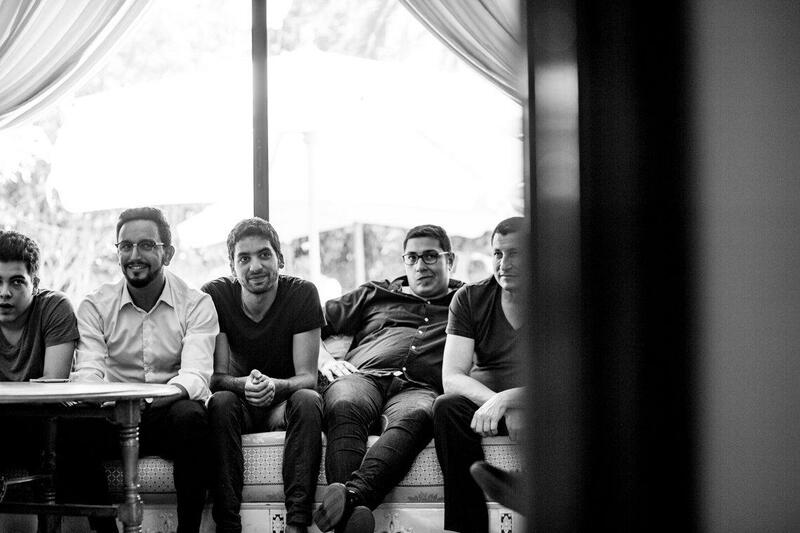 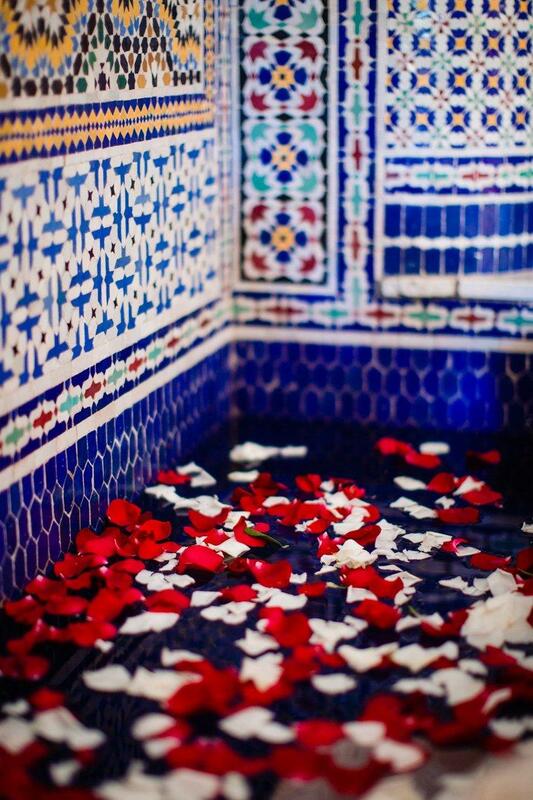 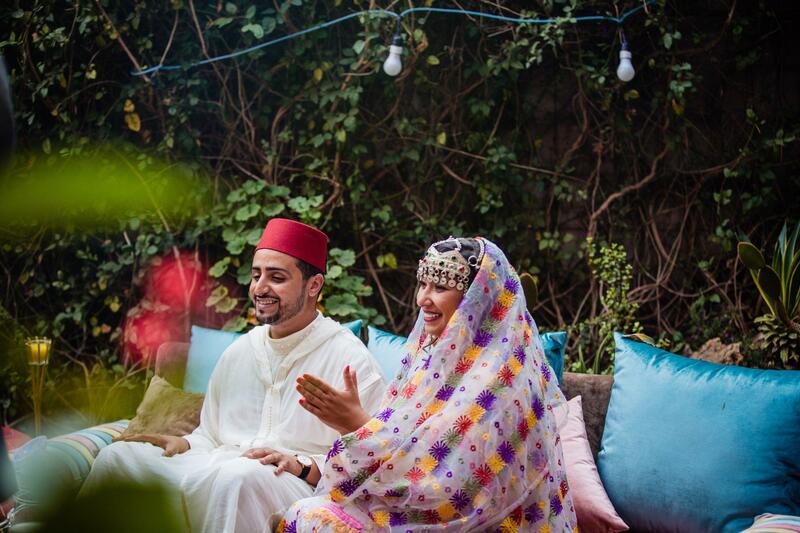 After the elopement we did a romantic photoshoot in their private riad. 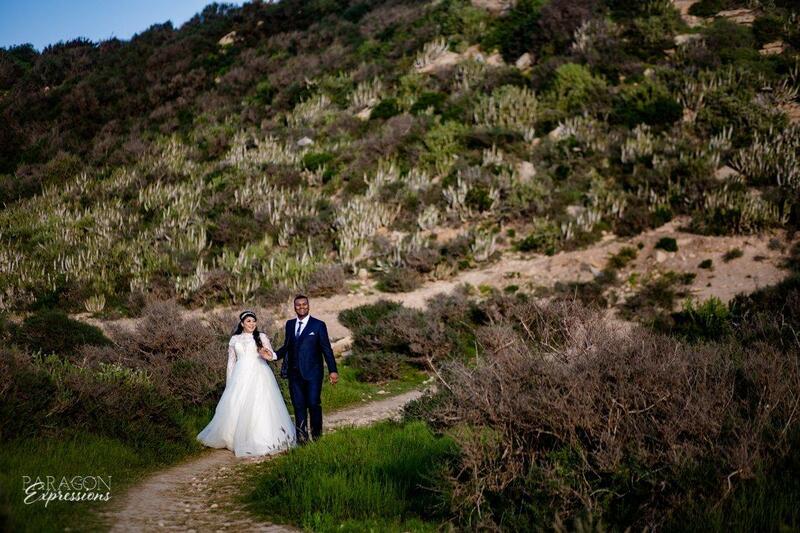 We love photographing elopements in Morocco, as there are so many beautiful private locations perfect for an intimate ceremony. 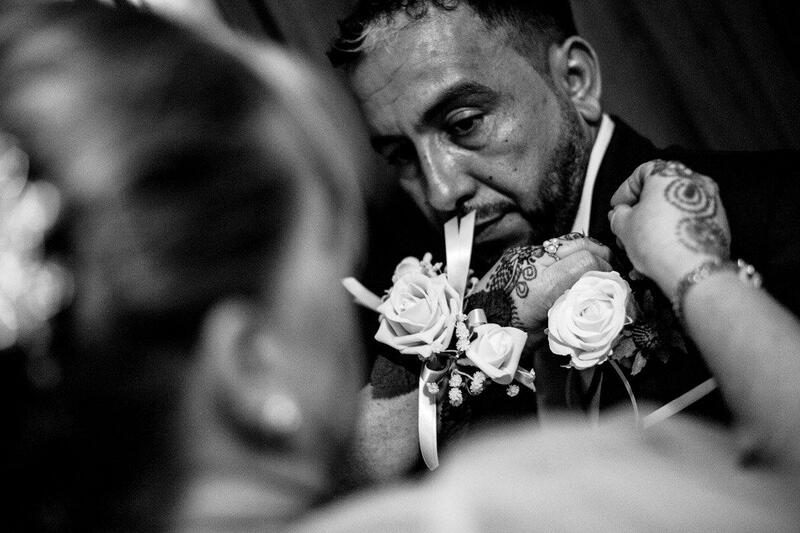 It was a tremendous honor to photograph such a significant day in their story together. 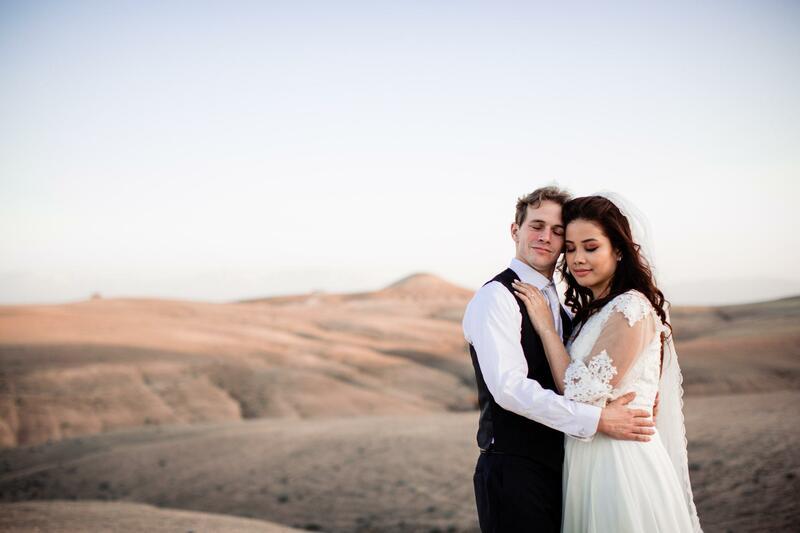 We loved getting to know them and found them to be the most genuine and kind couple. 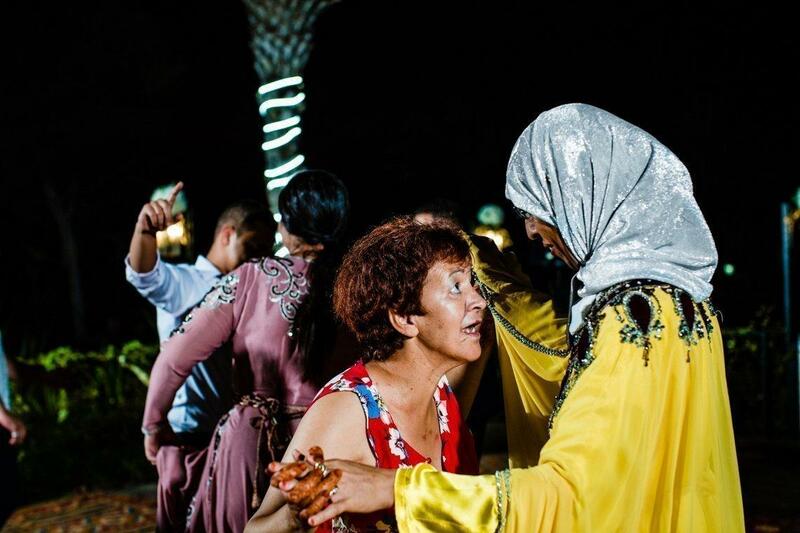 The love that they have each other has deep roots and is the kind that impacts those around them. 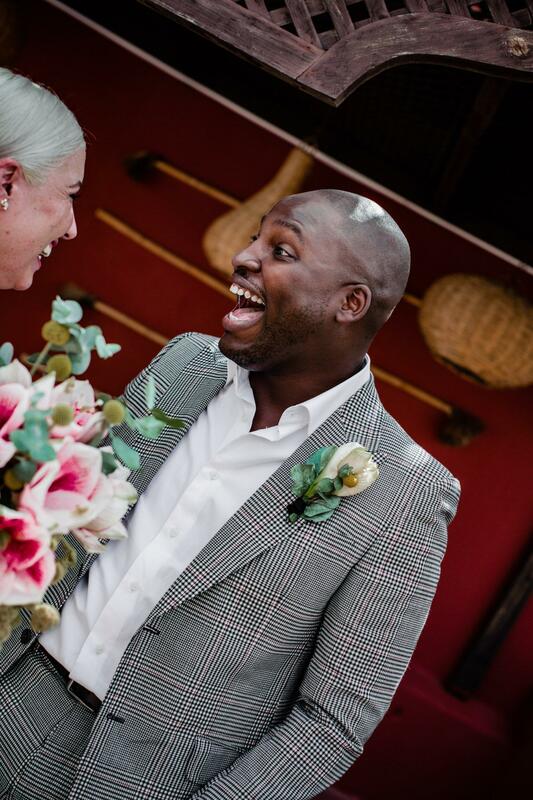 Everytime we look through their photos we find ourselves just grinning. 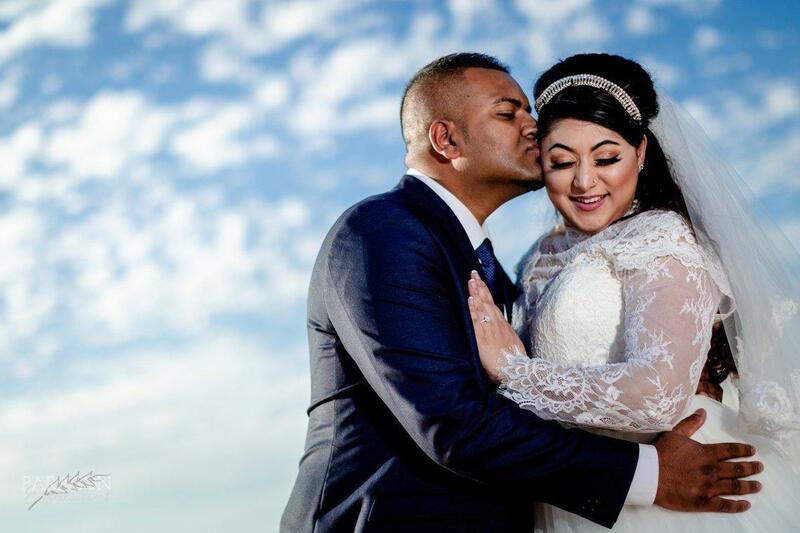 Capturing love stories has to be one of the best jobs! 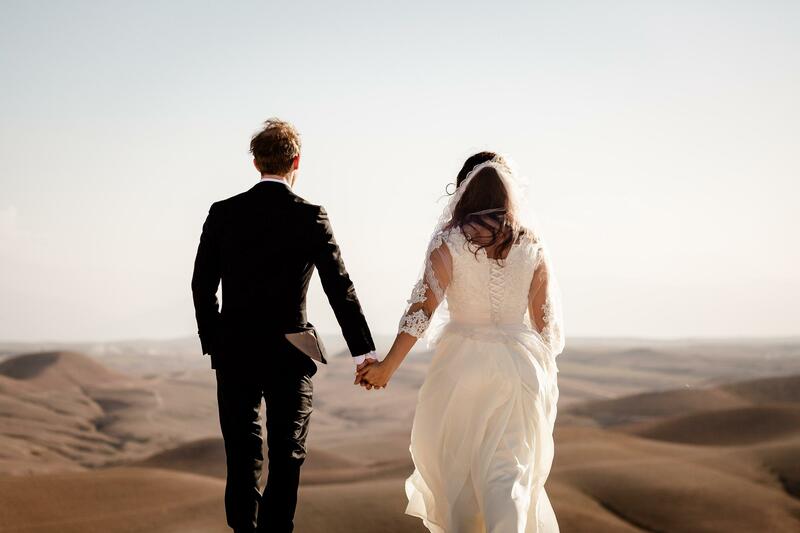 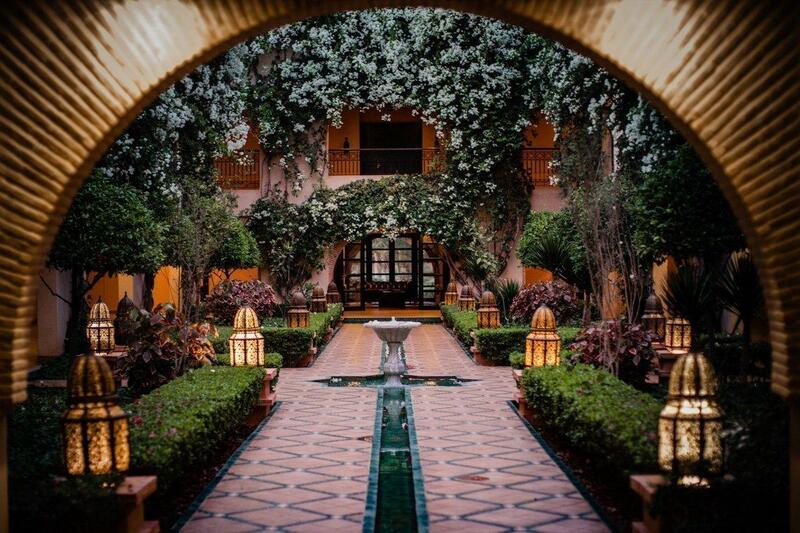 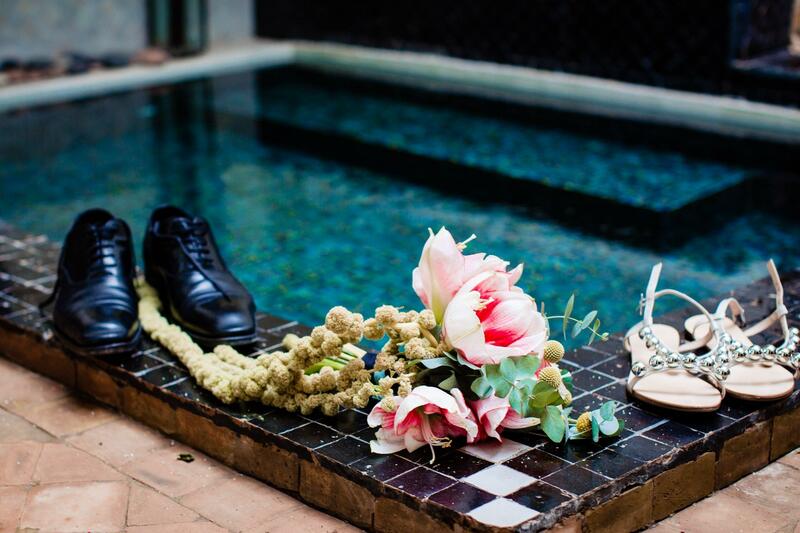 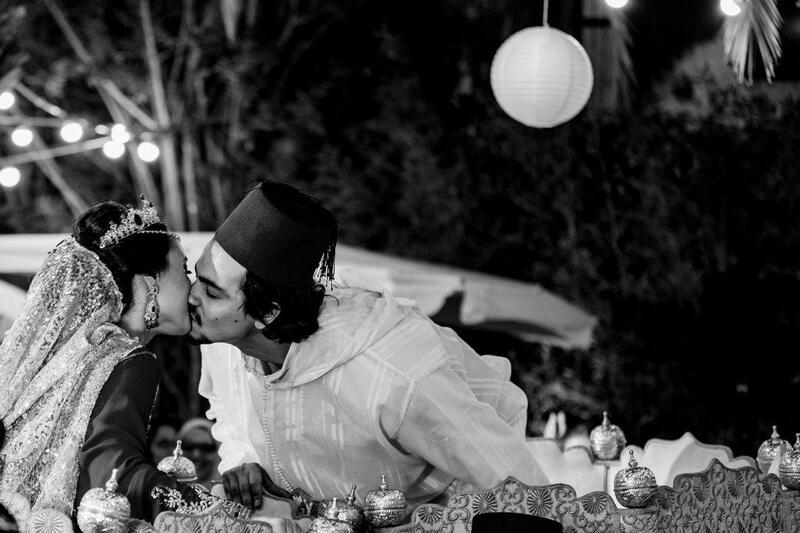 Are you to planning to elope in Marrakech? 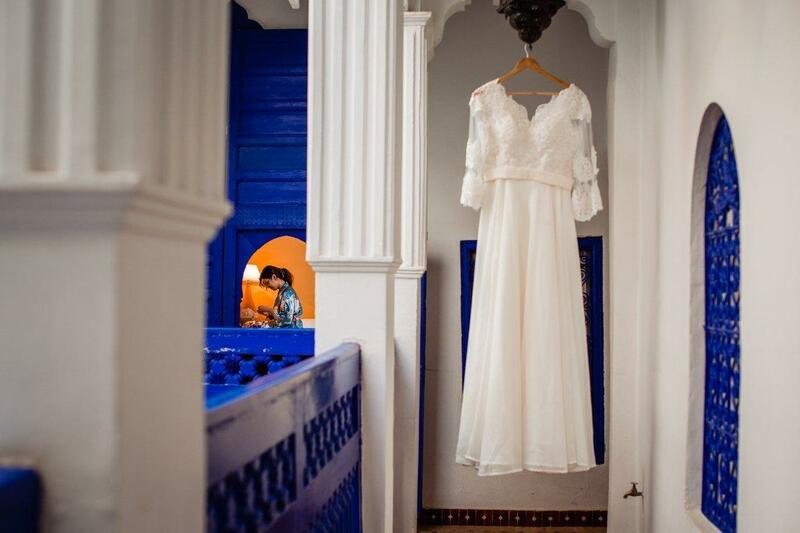 We’d love to be your Morocco elopement photographer! 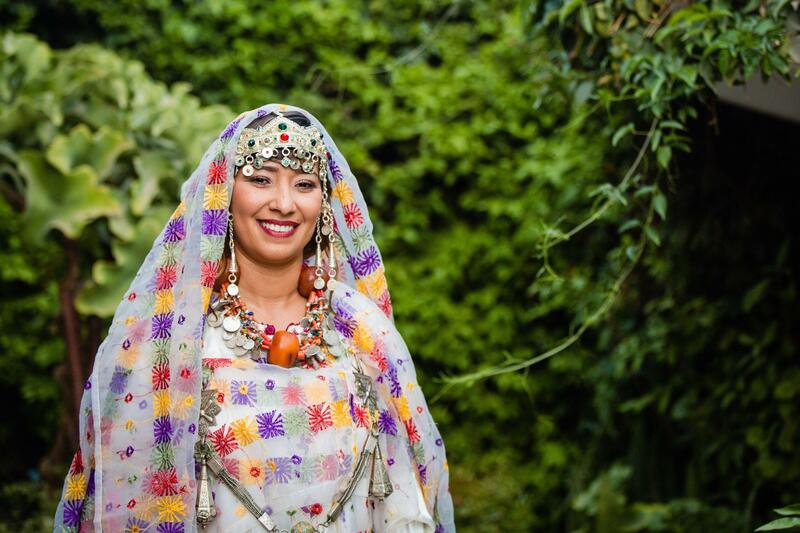 We recently had the privilege of photographing our first Berber wedding in a village near Taliouine. 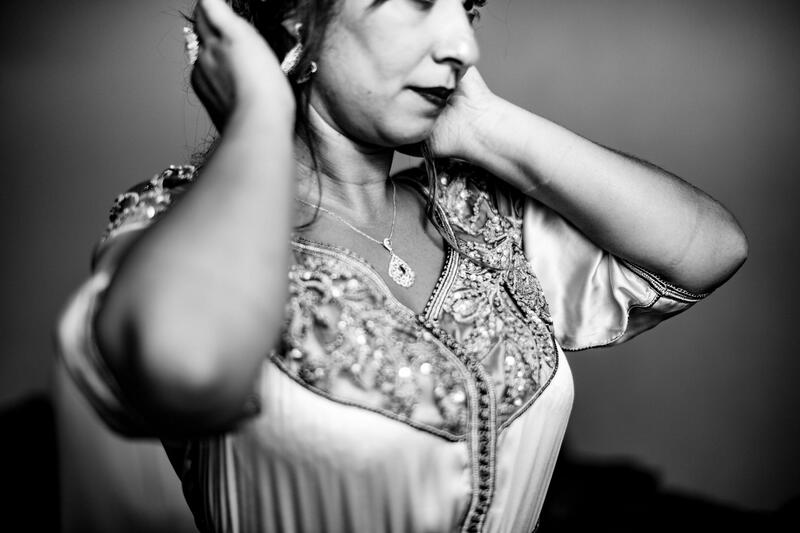 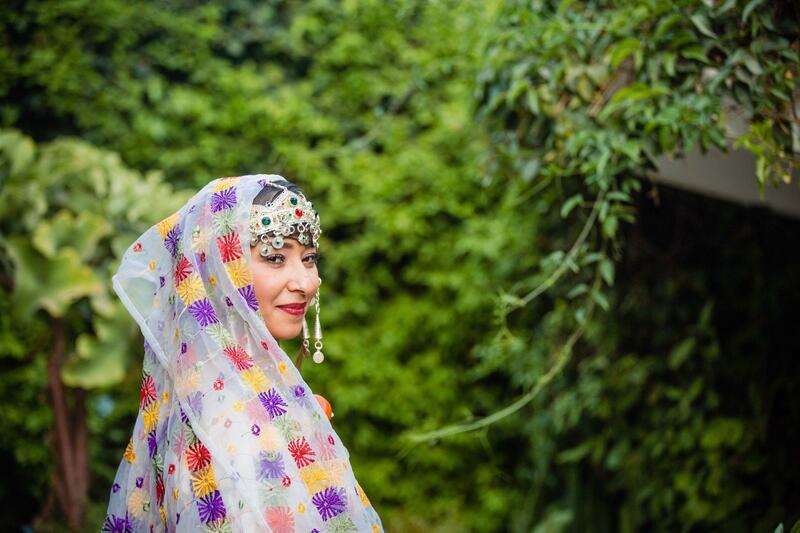 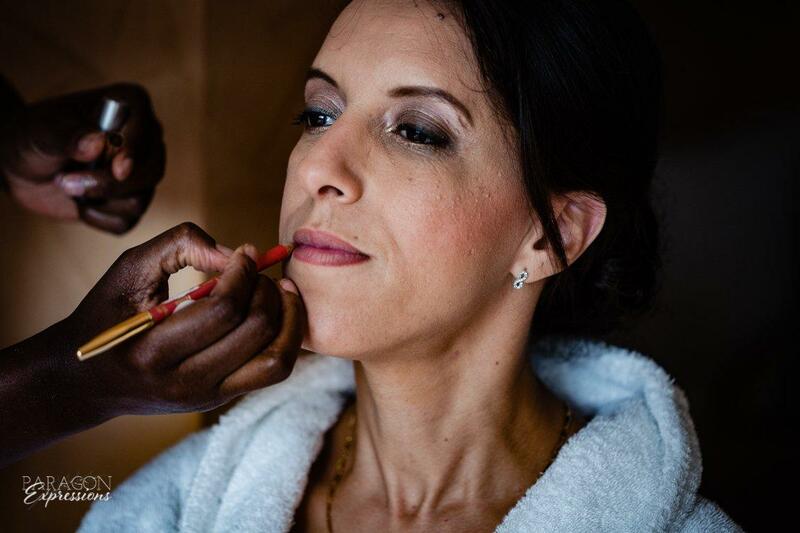 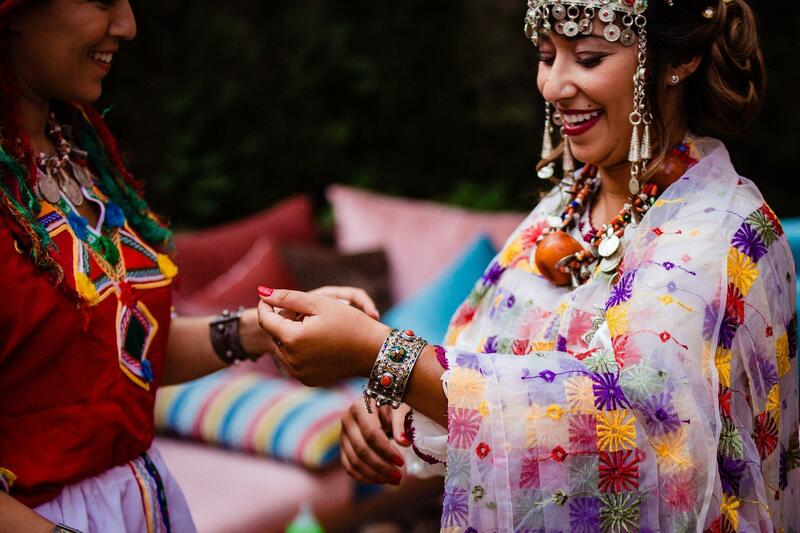 We were excited when the bride, Fatima, contacted us a few months ago about photographing her traditional Berber wedding. 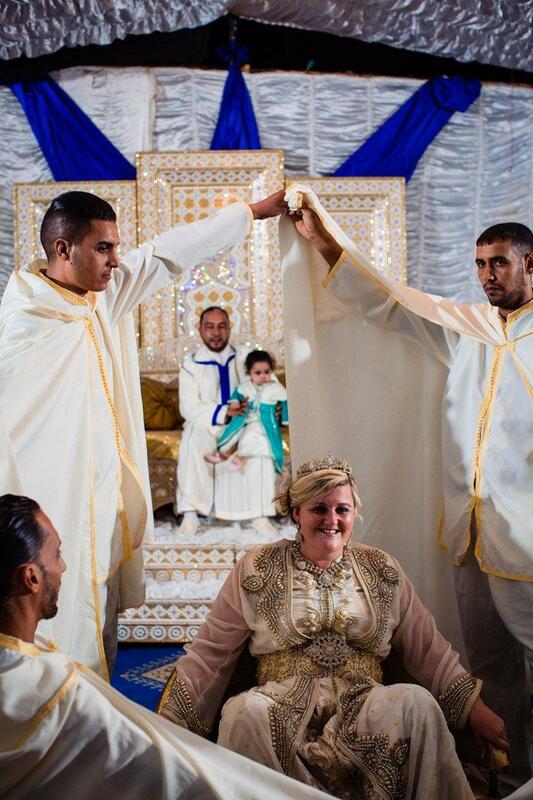 Because the wedding had some female only customs and traditions, she requested a professional female photographer. 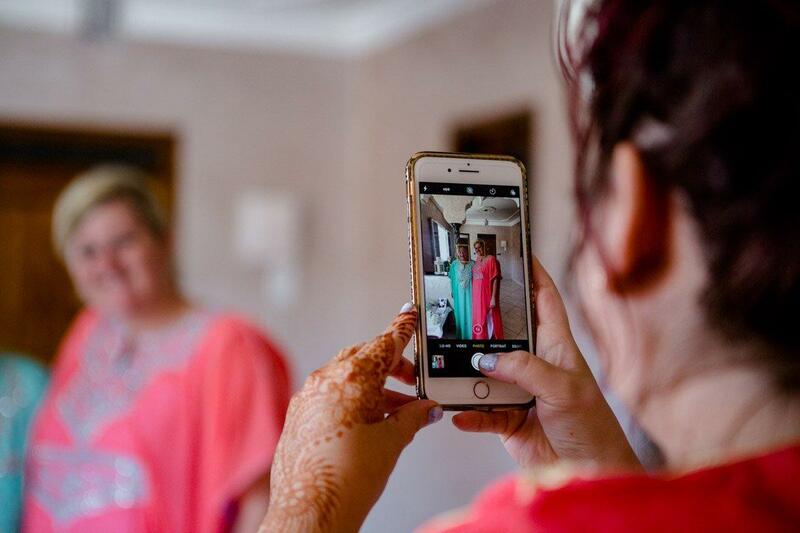 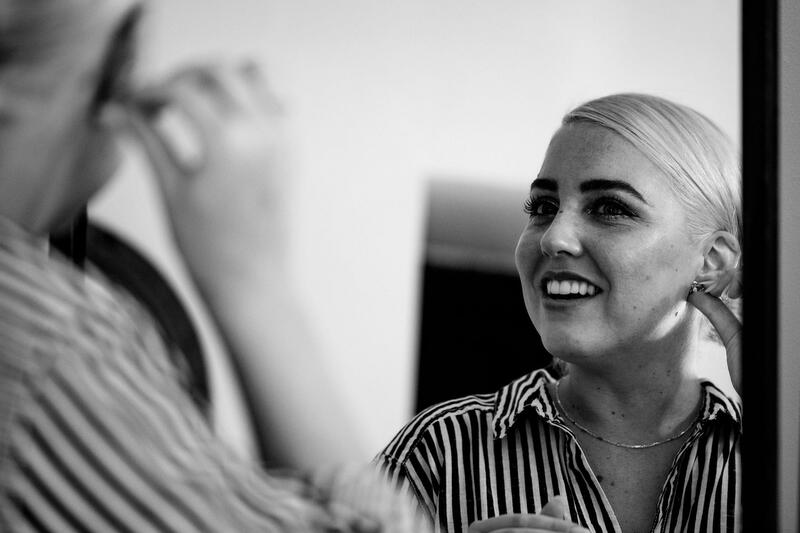 We love that our team includes a professional female photographer and hope to add more females to our photography team in the future! 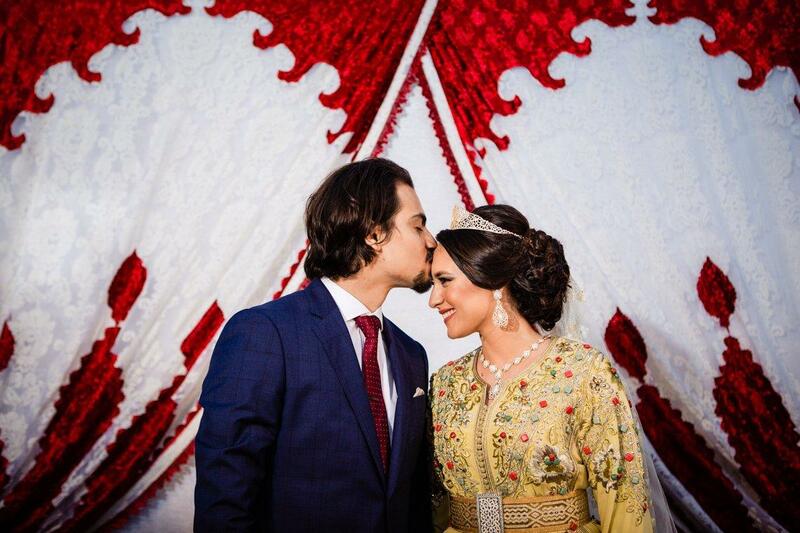 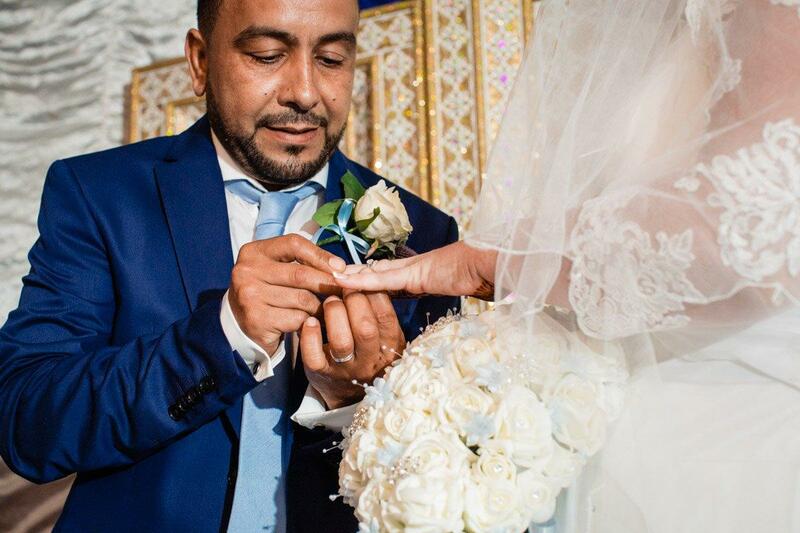 Both of Fatima and her husband, Abdullah’s, families are from this village, though the bride grew up in the Netherlands and the groom grew up in Marrakech. 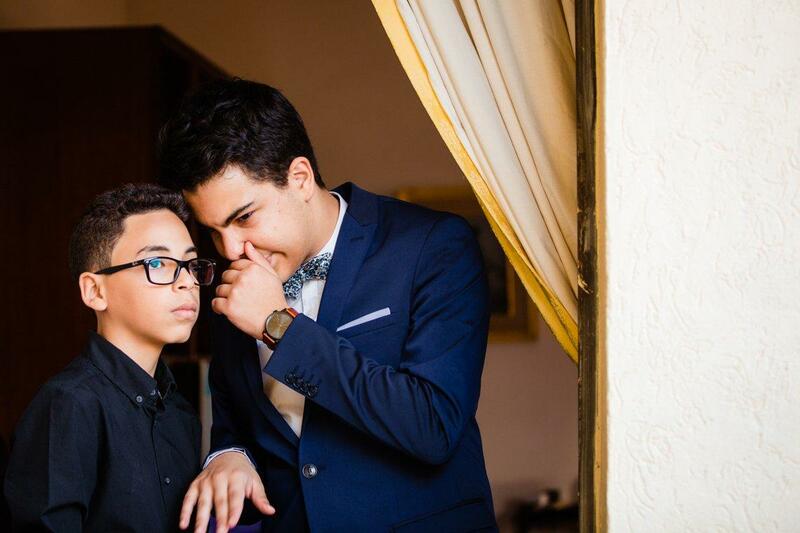 Because their fathers are from the same village, they have grown up knowing each other. 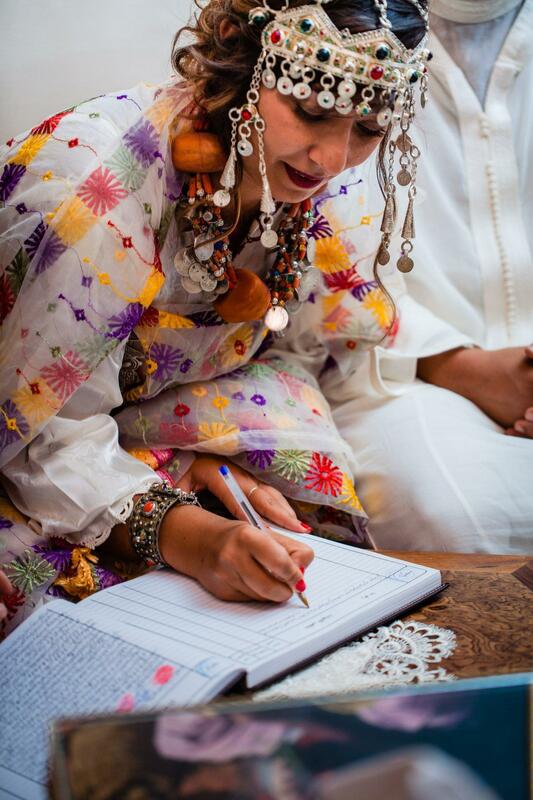 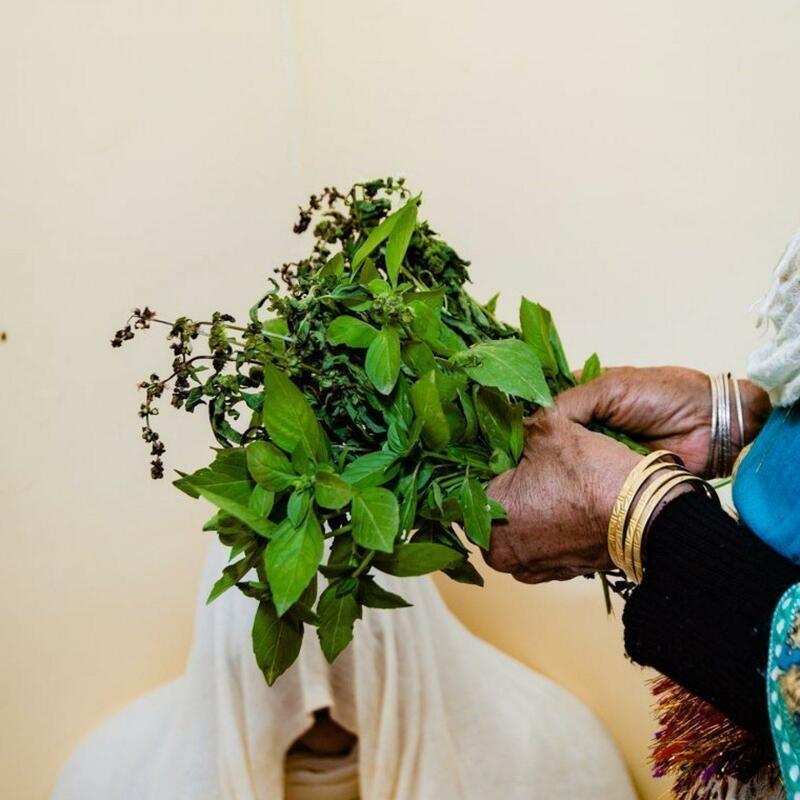 We love Fatima’s passion for the traditions of her village and her desire to help preserve those traditions. 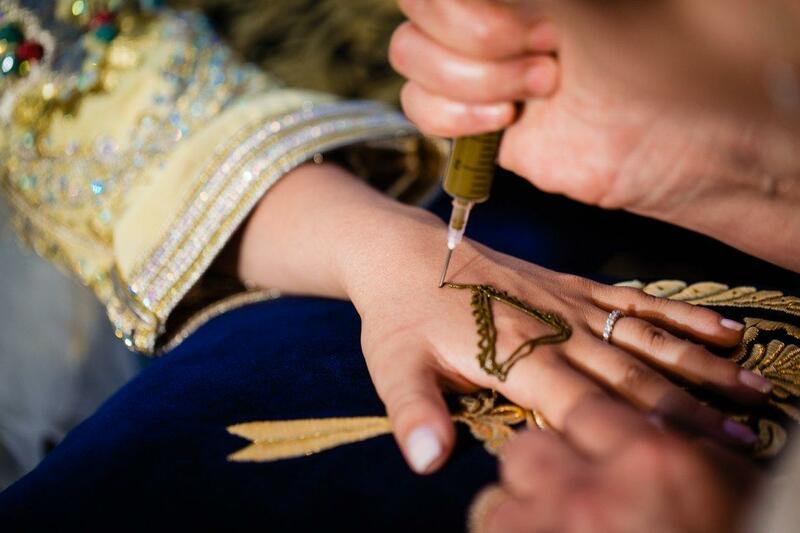 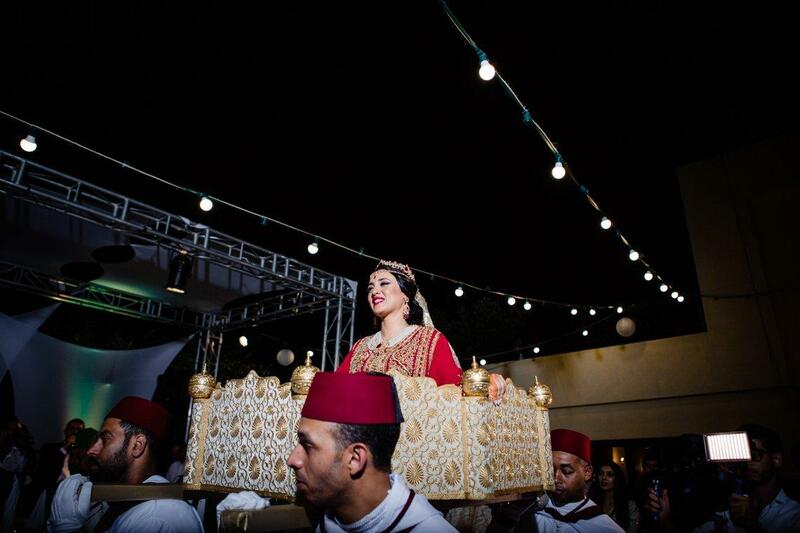 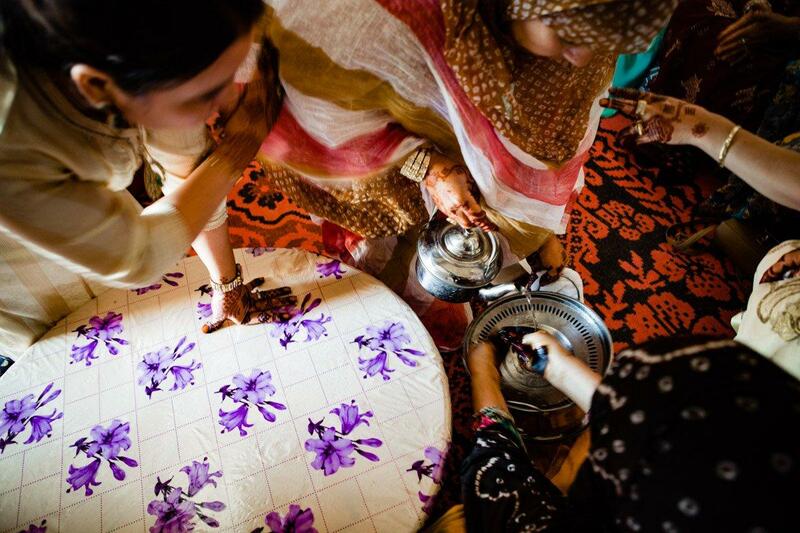 More and more, Moroccans are opting for more modern weddings and these special Berber traditions are being lost. 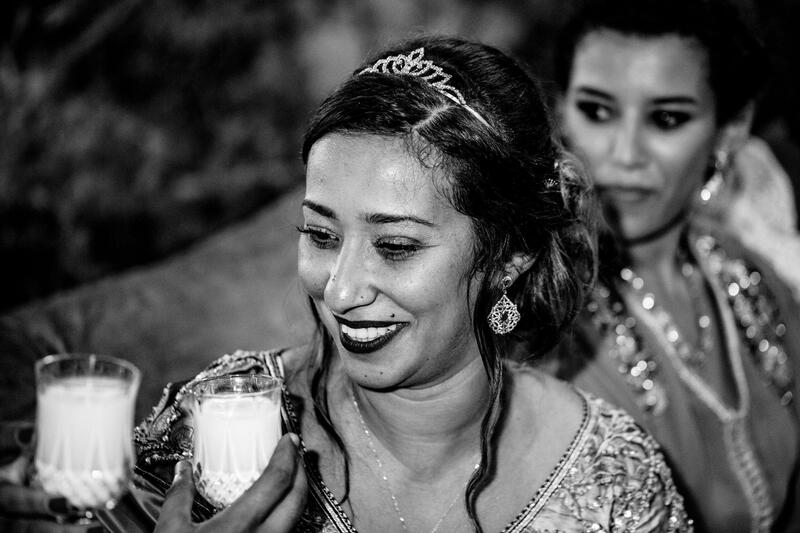 The wedding actually took place over five days and we drove up from Agadir to photograph the final day of the wedding. 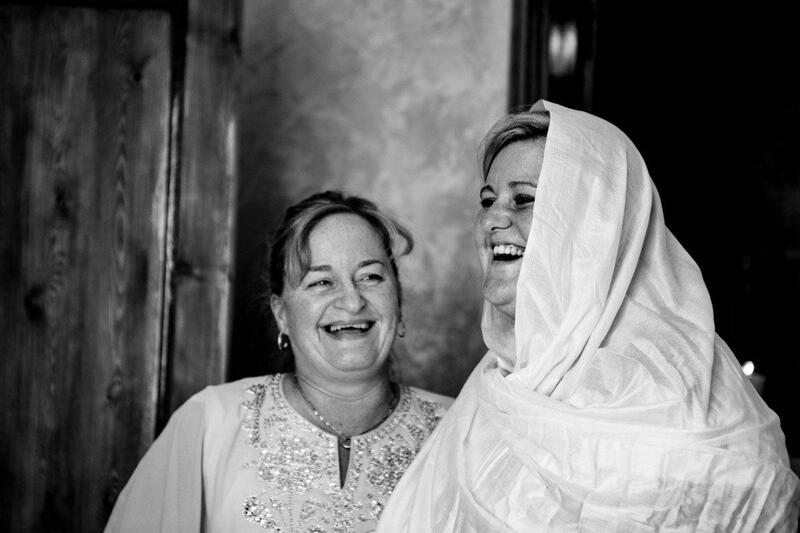 Upon arrival, we received the warmest welcome and spent some time visiting with Fatima and her family at the family home. 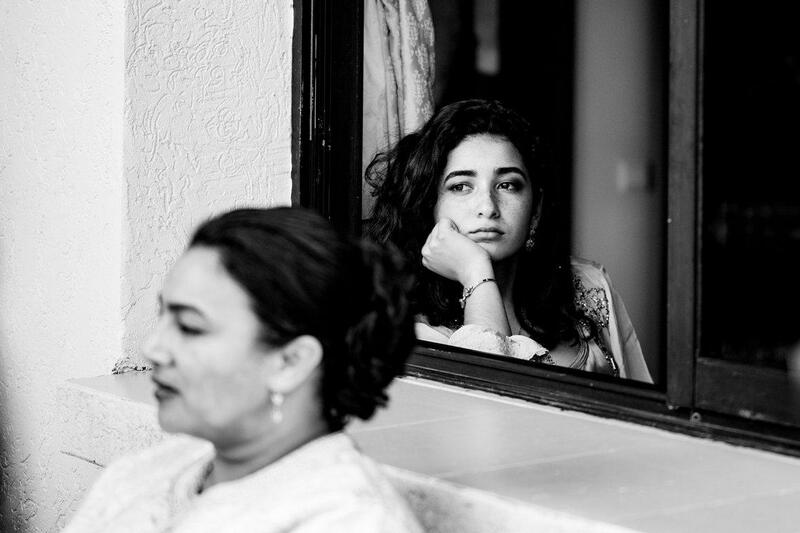 With the whole extended family gathered together, it was a great opportunity to take some family portraits and some candid shots. 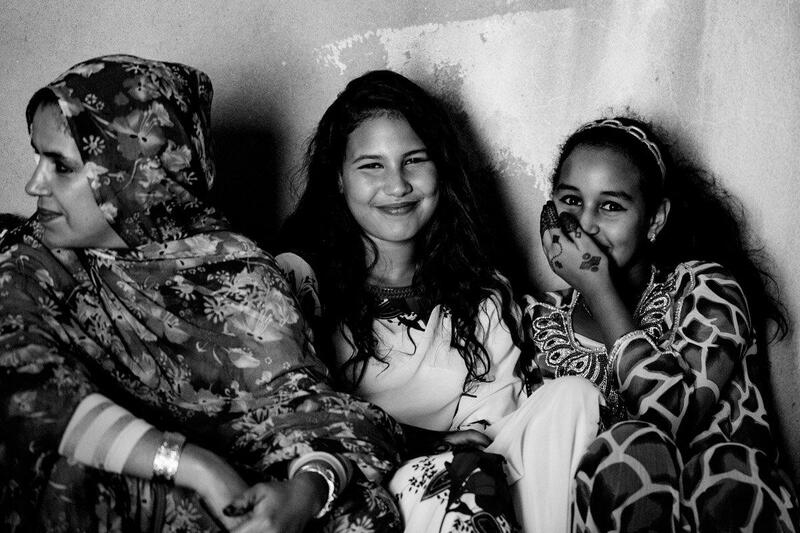 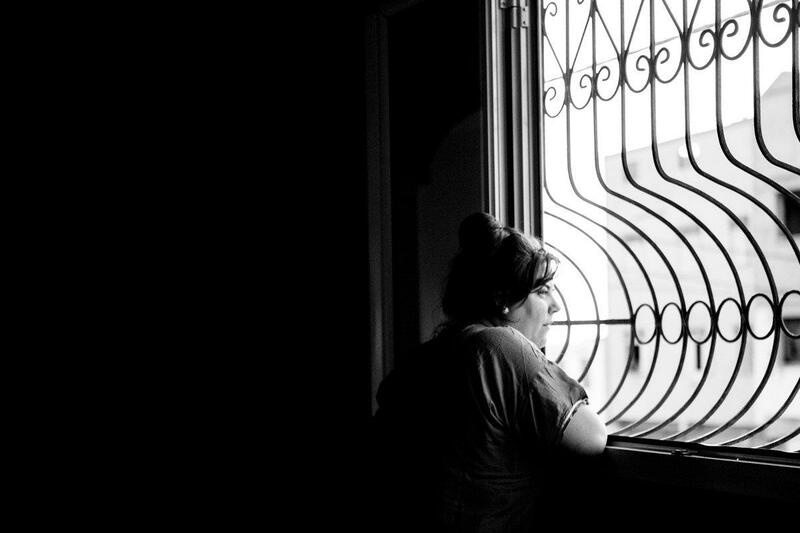 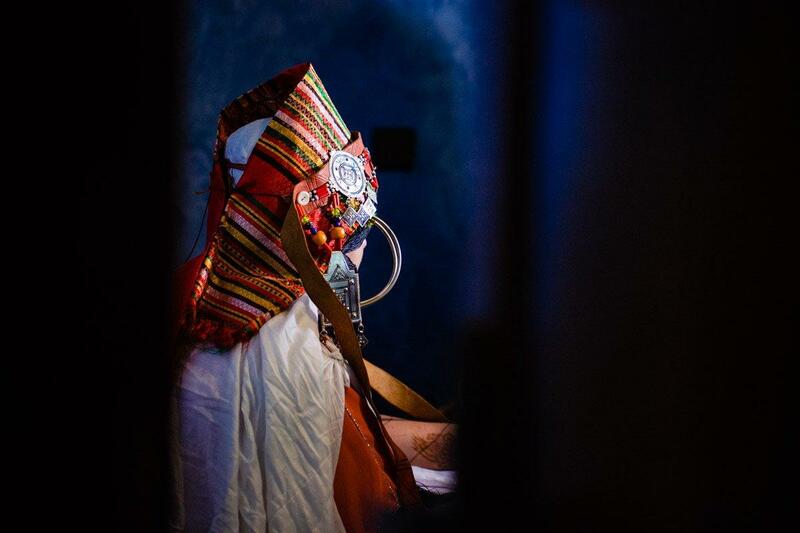 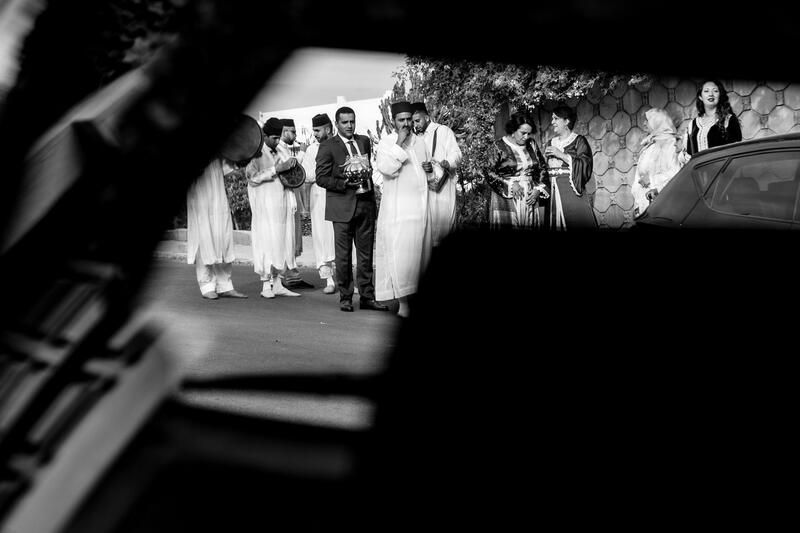 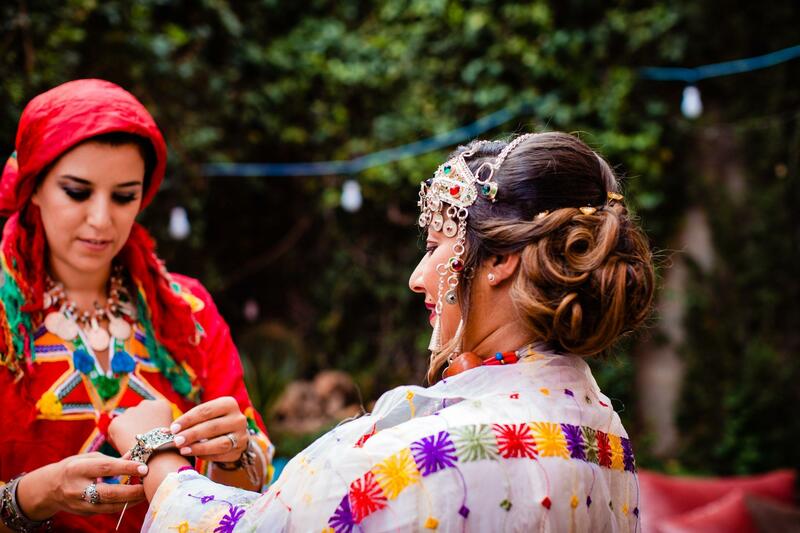 As the time neared for the wedding festivities to begin again, the men left for the home of Abdullah’s family and the women stayed and changed into traditional Amazigh outfits. 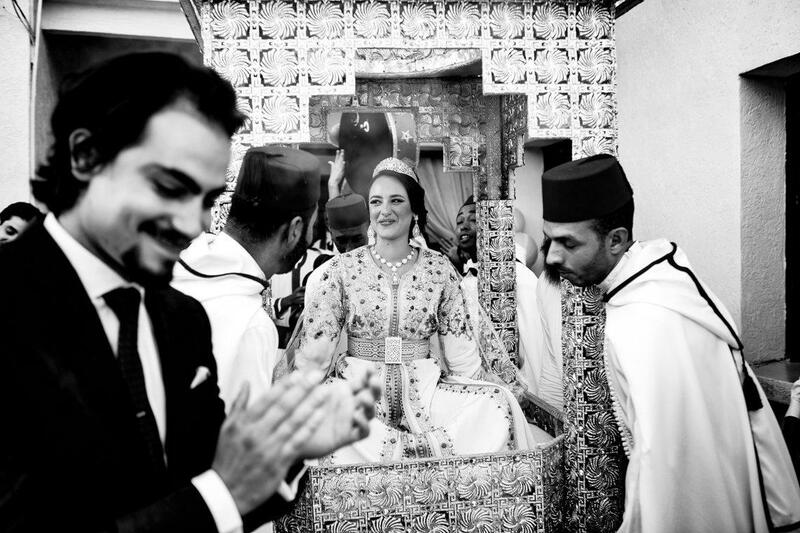 Later on Fatima made her entrance at the home of the groom’s family and the entire village came out to celebrate. 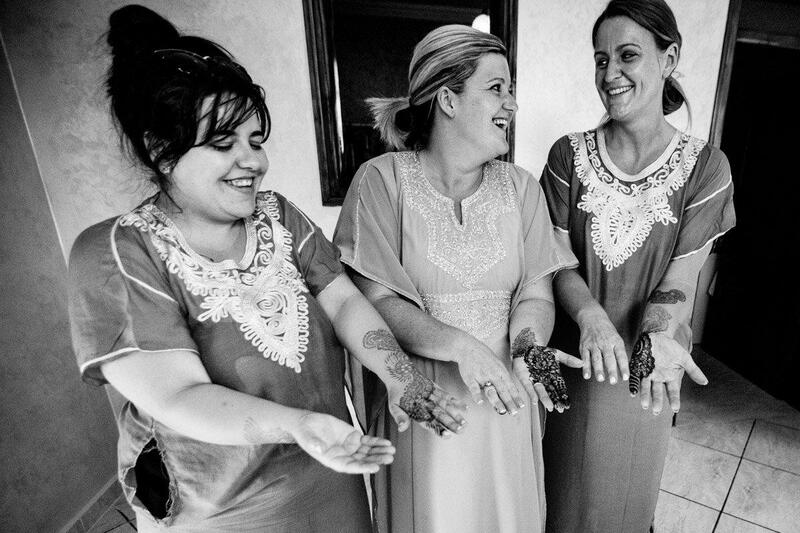 We love that weddings in this village are celebrated by all. 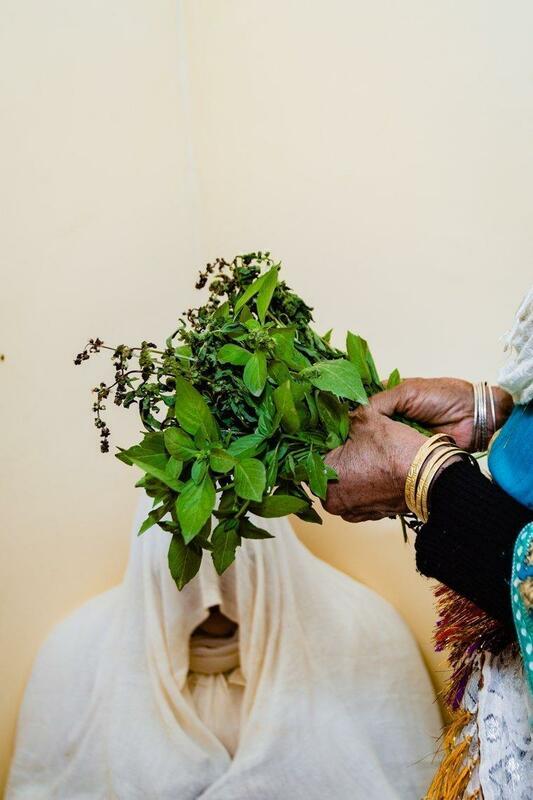 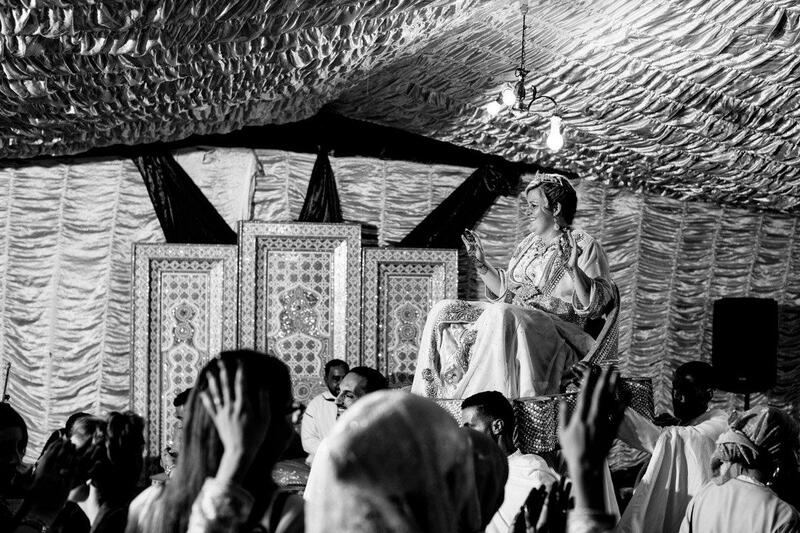 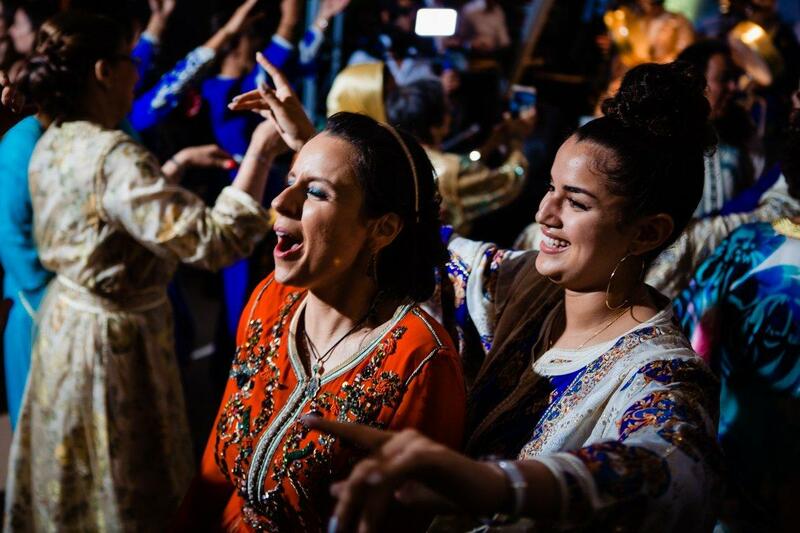 For the next few hours Fatima and her female relatives and friends celebrated with many Berber traditions, each one held special significance and have been passed through many generations. 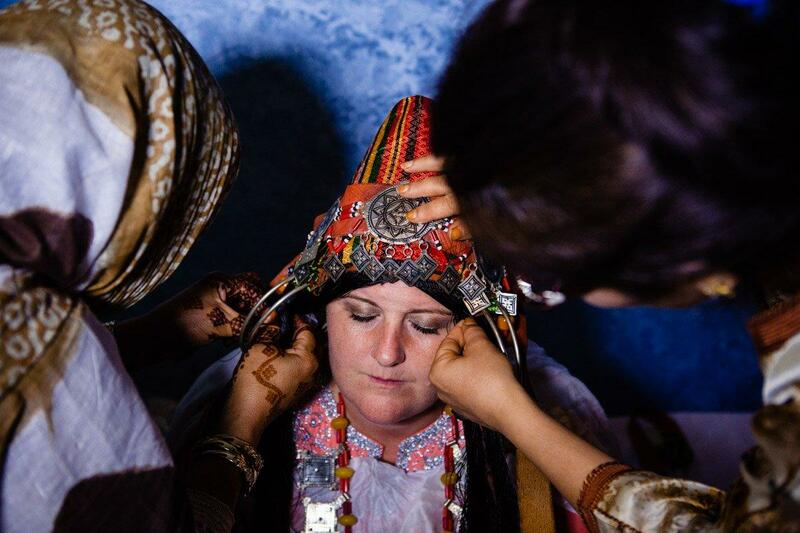 Some of the customs are only specific to this village. 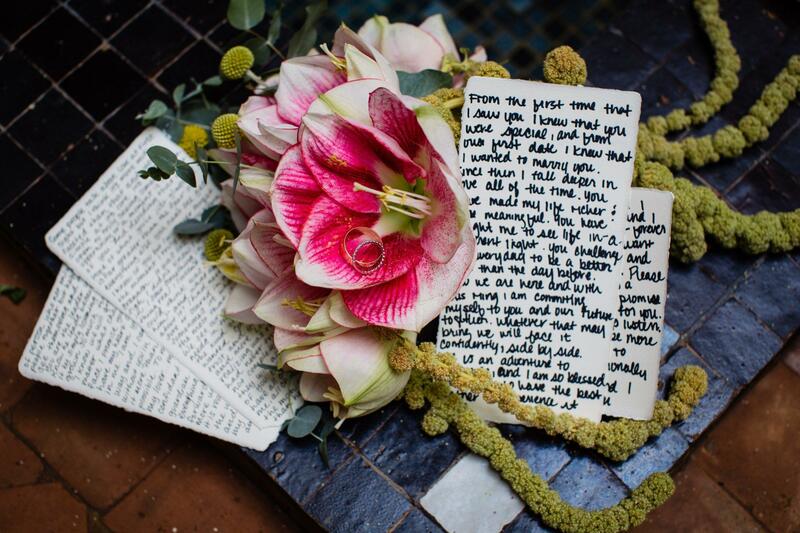 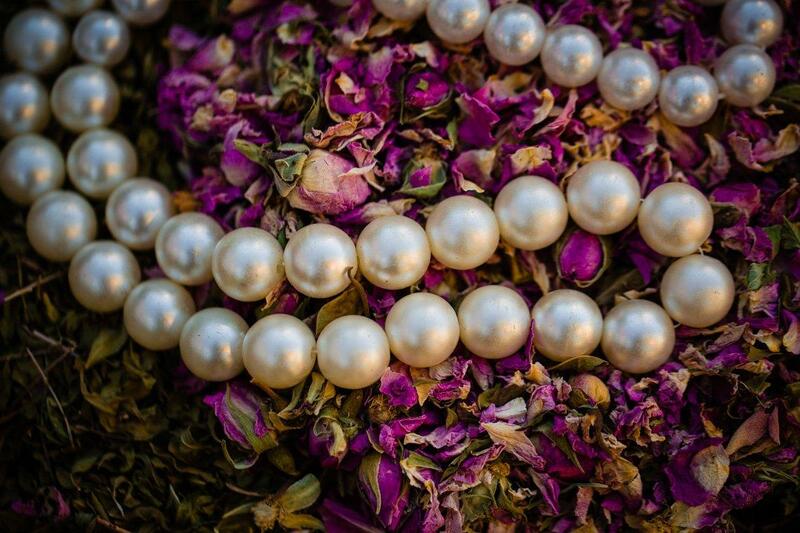 At the beginning of the wedding week, a special potpourri is made for the bride. 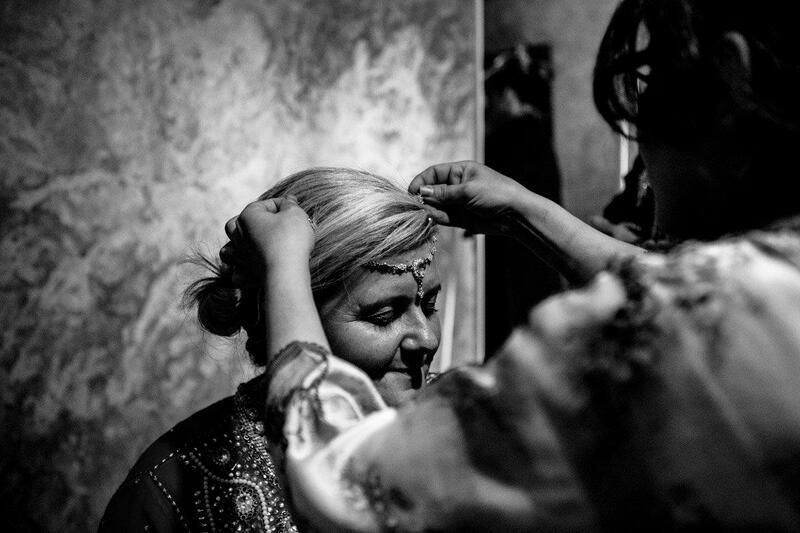 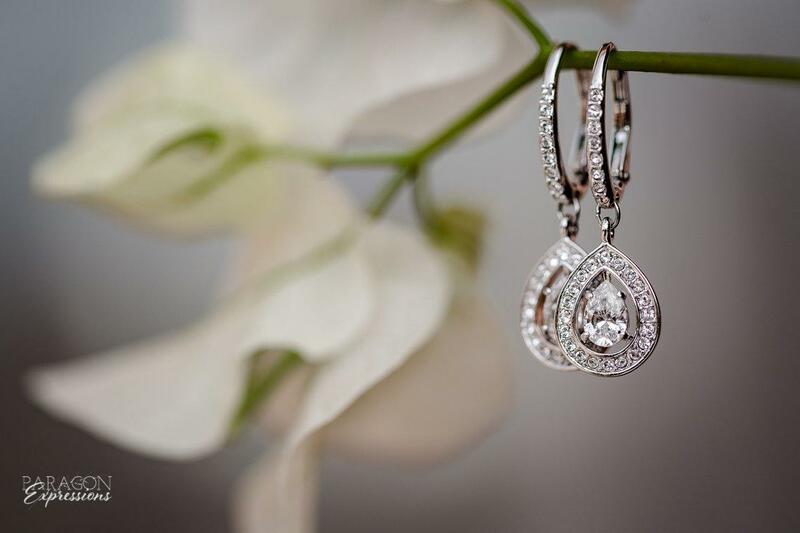 The bride wears around her neck a small pouch of salt and amulet to ward away evil spirits. 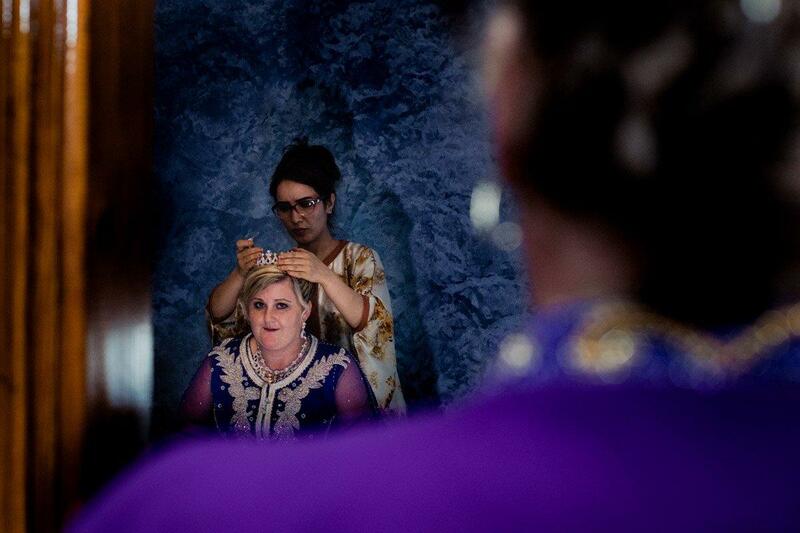 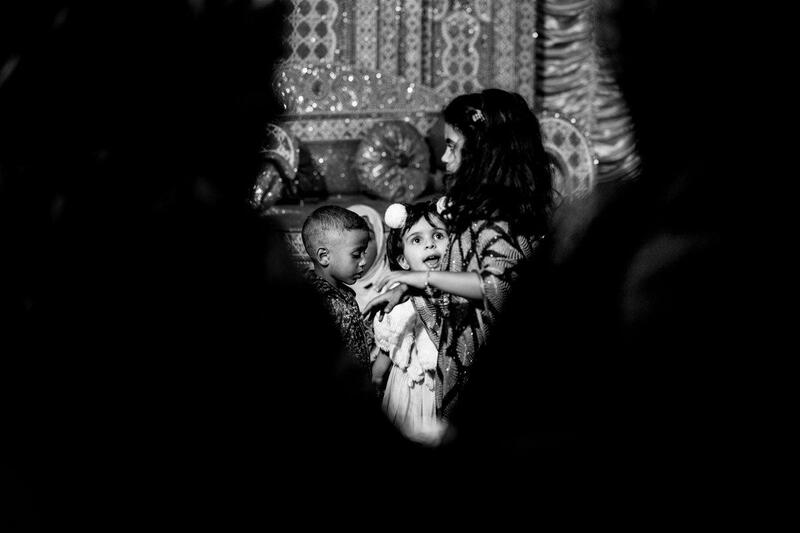 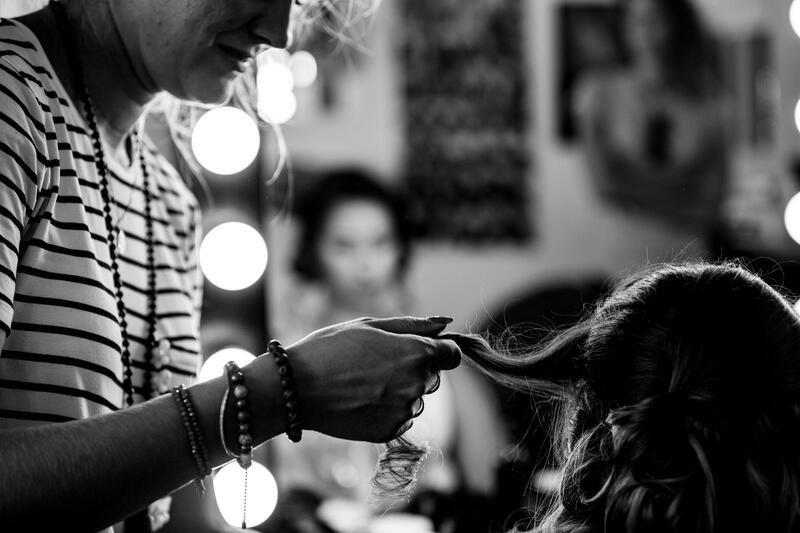 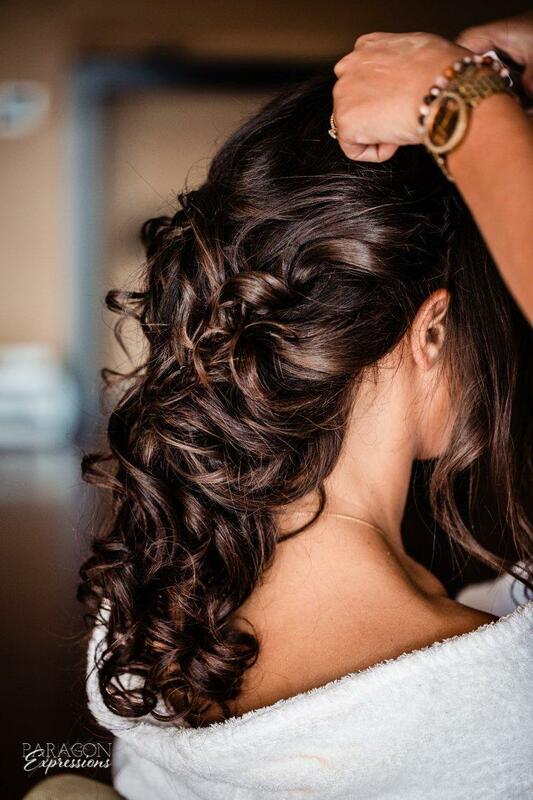 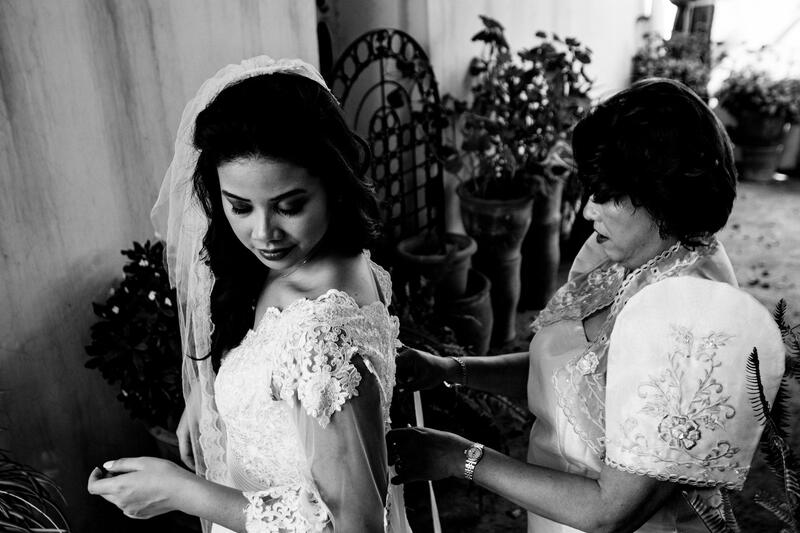 One of the rituals involves the special braiding of the bride’s hair. 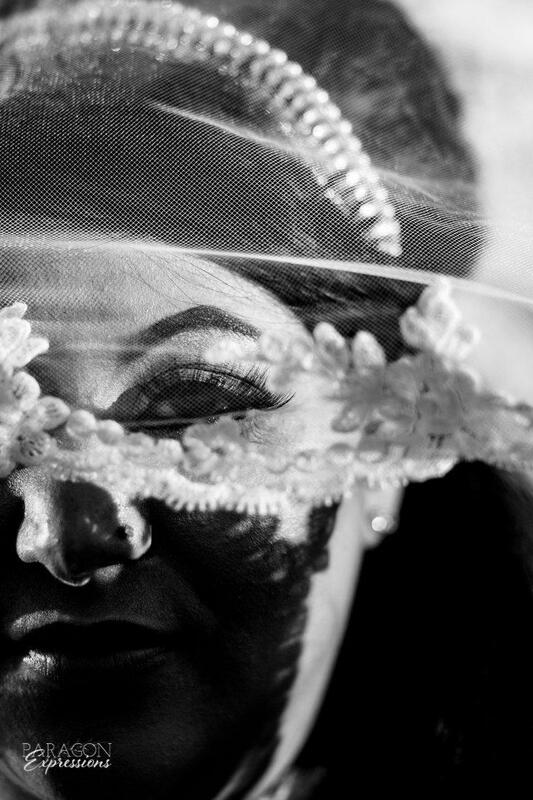 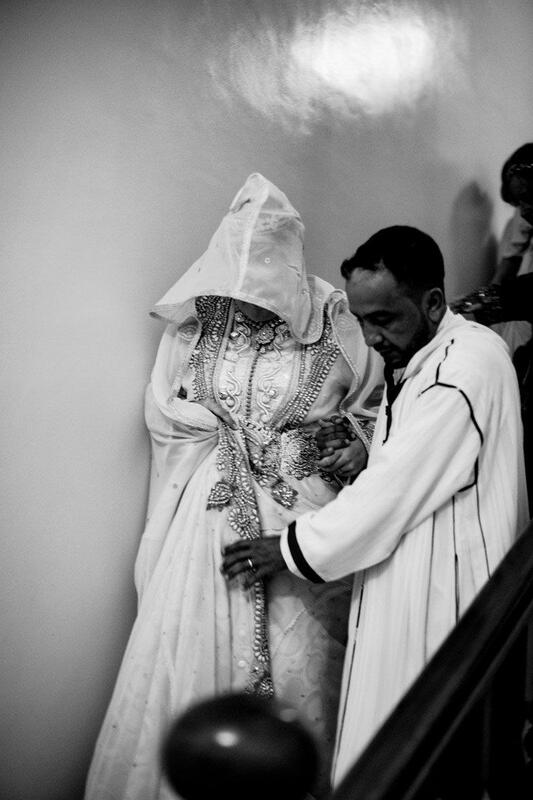 In the Chleuh/amazigh tradition the bride is covered so her beauty won’t go ‘away’. 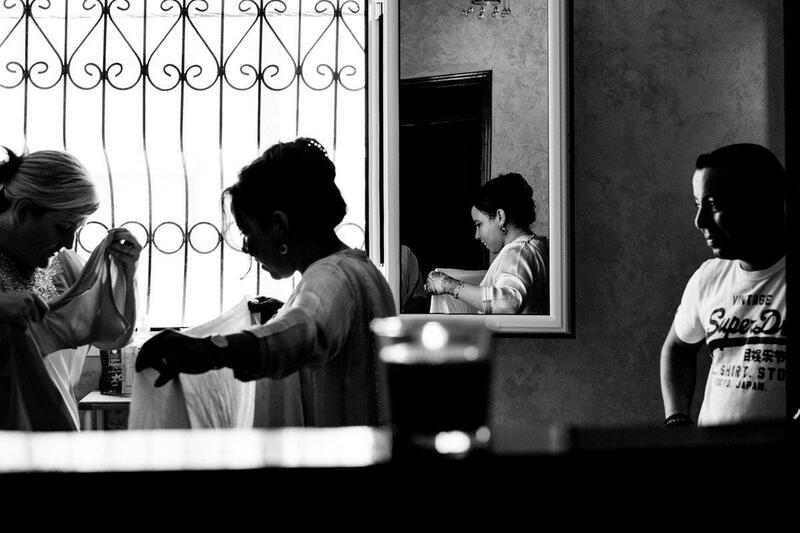 An unmarried boy (relative) cuts a piece of hair that symbolize cutting a ‘tawenza’, an old tradition where only married women wear a tawenza (bangs). 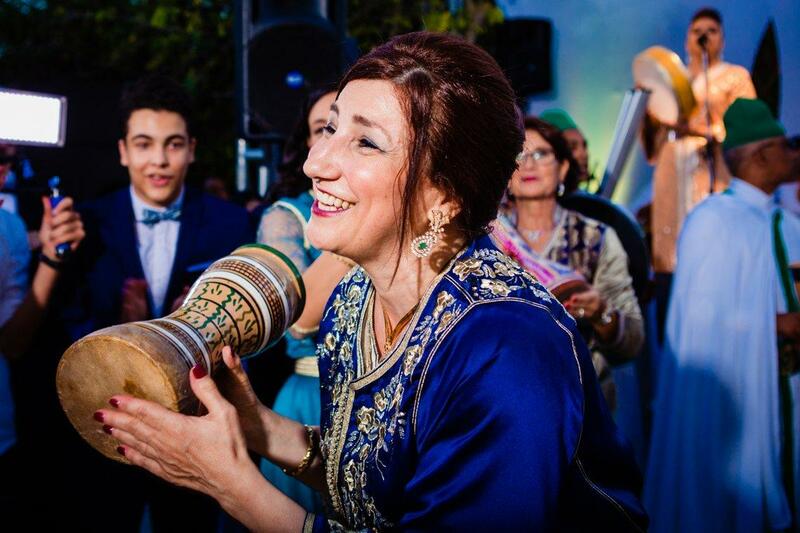 In addition to these customs there is also dancing, singing, and of course, lots of delicious food – including tafarnout! 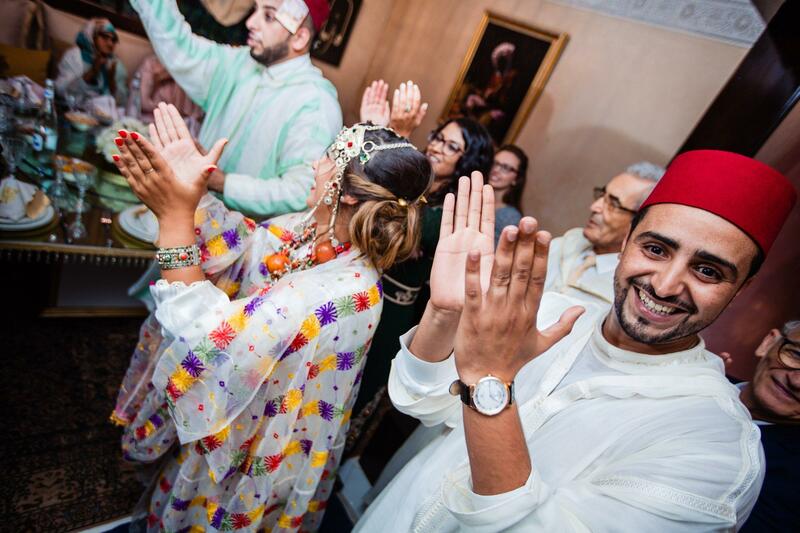 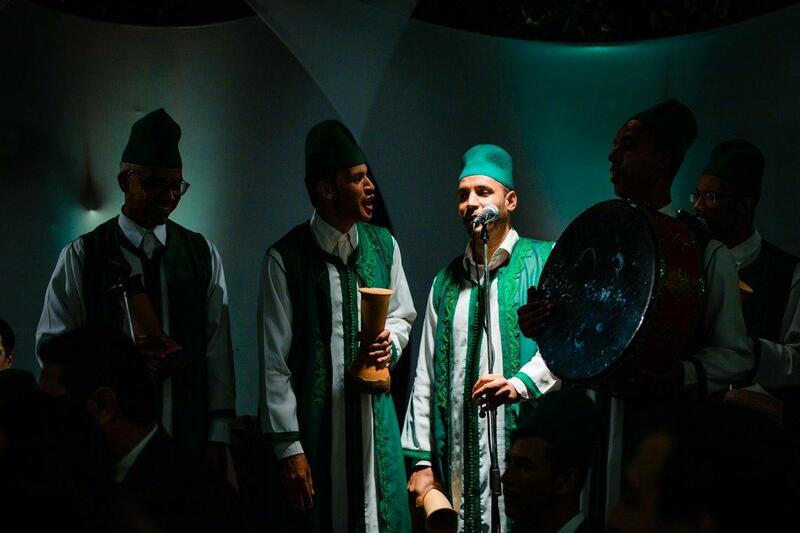 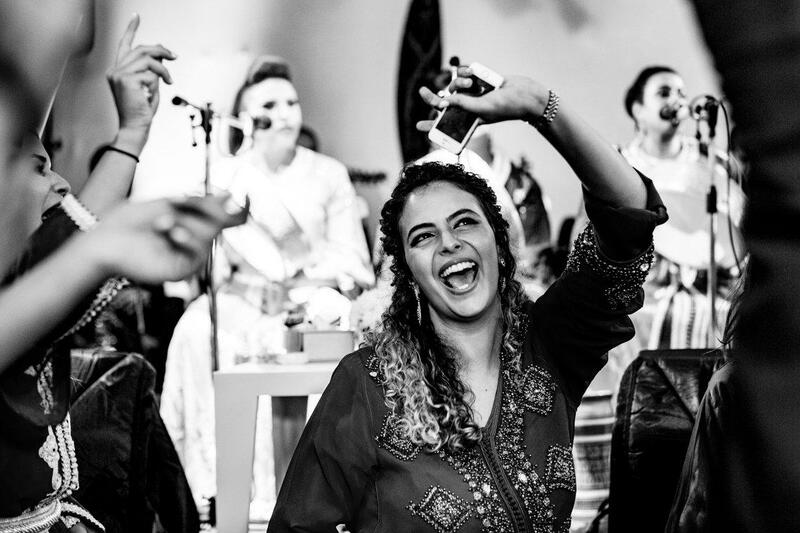 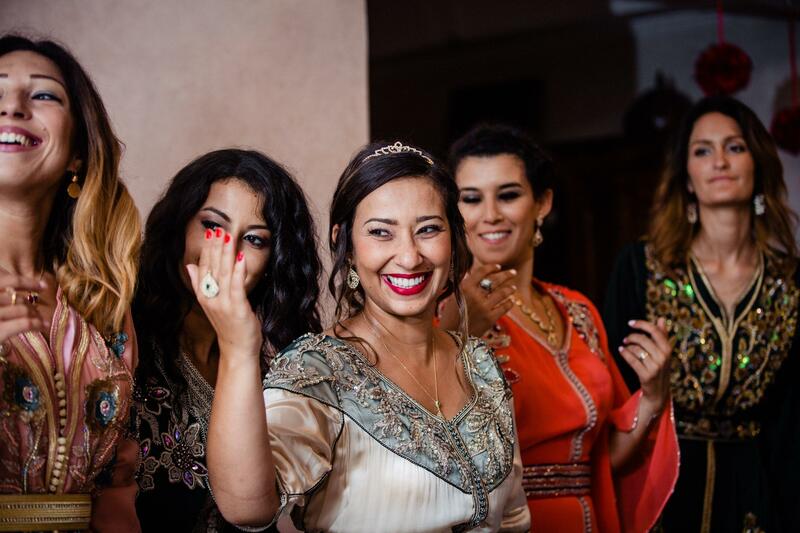 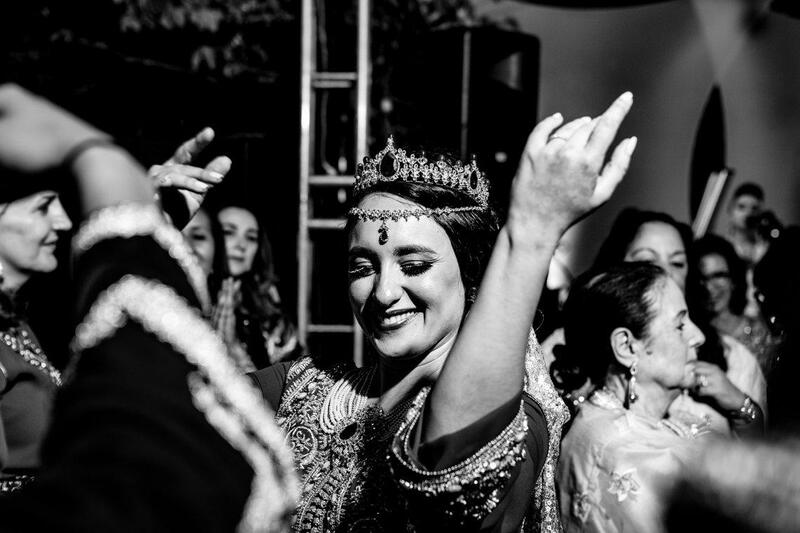 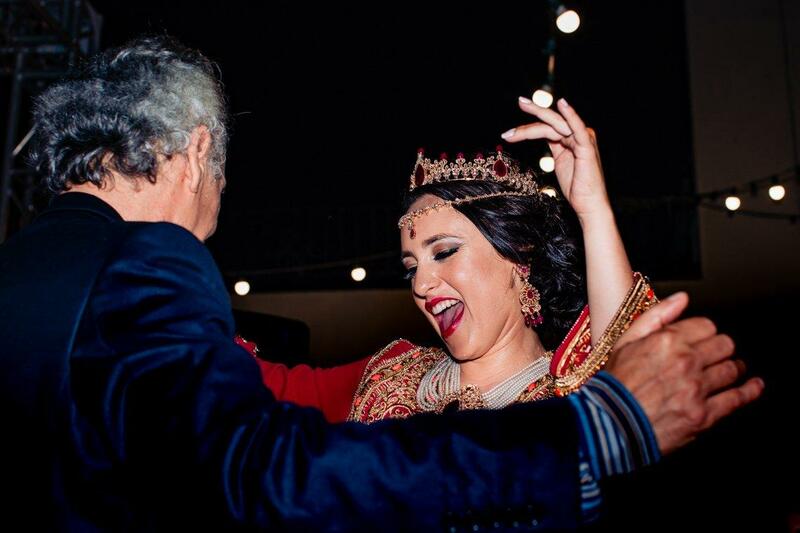 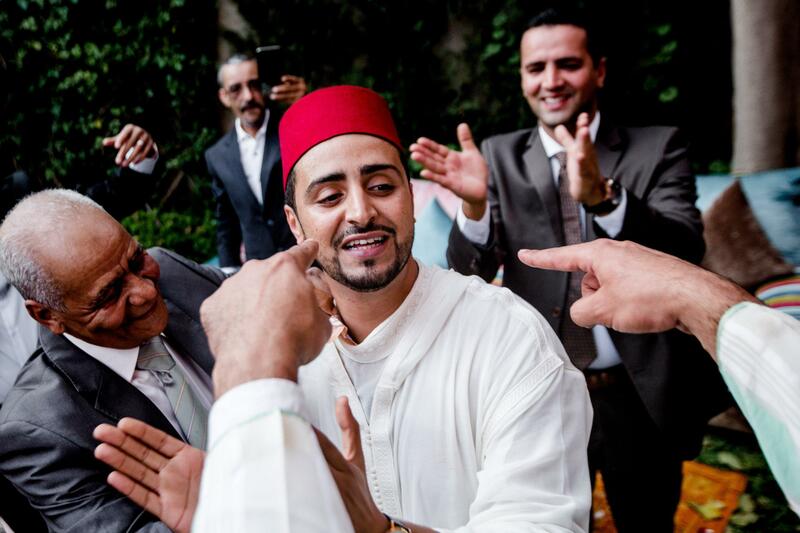 As the women celebrated first at the bride’s home and then in a room at groom’s family home, other wedding guests and the male relatives, including the groom, enjoyed a meal together followed by special entertainment from an Amazigh band and dancers. 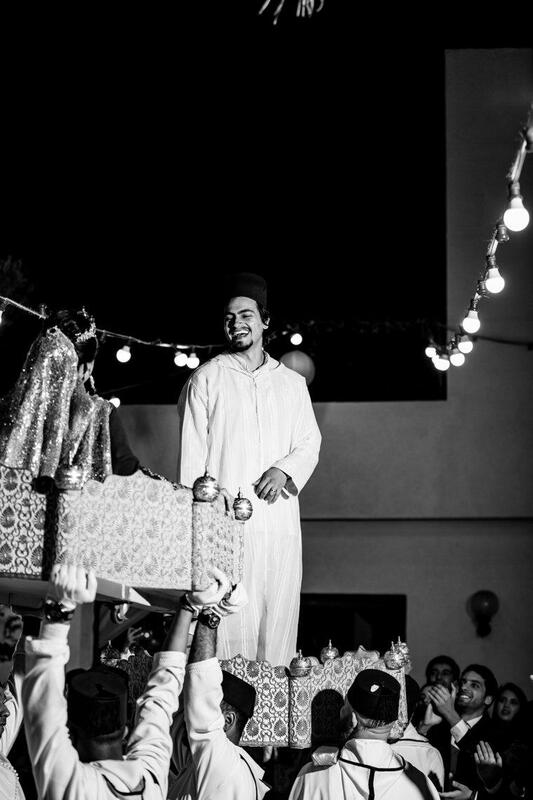 It was a rich celebration and it was an honor to capture such an event. 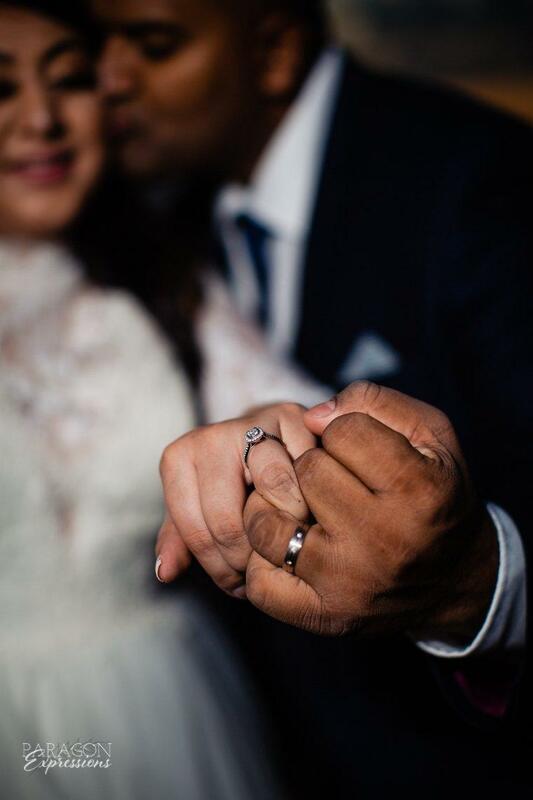 After doing an engagement photoshoot with Mehdi and Narjiss, we were even more excited to photograph their Drib Sdak a few days later. 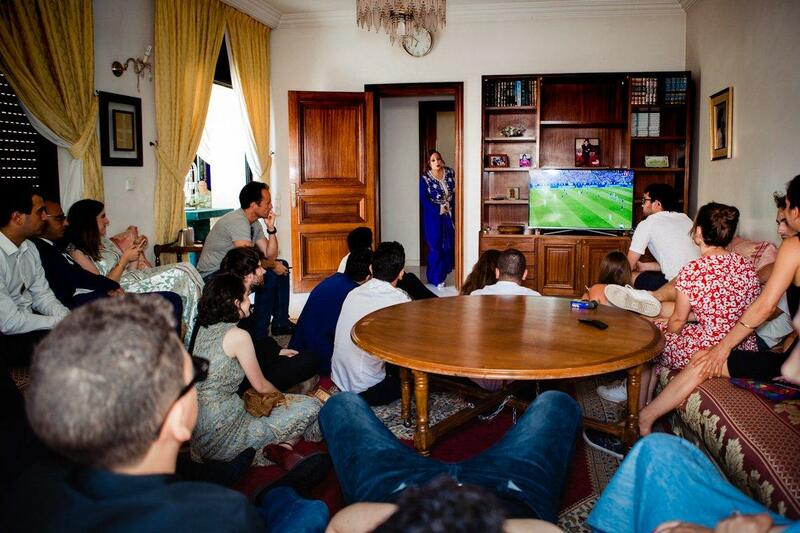 Their Drib Sdak took place at the home of Narjiss’ parents in Agadir. 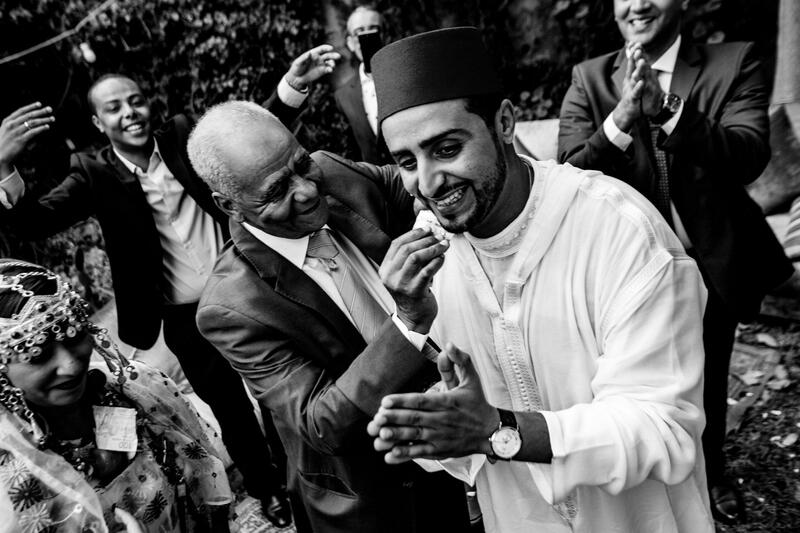 Mehdi’s family traveled down from Casablanca and other family members came in from France and Tunisia. 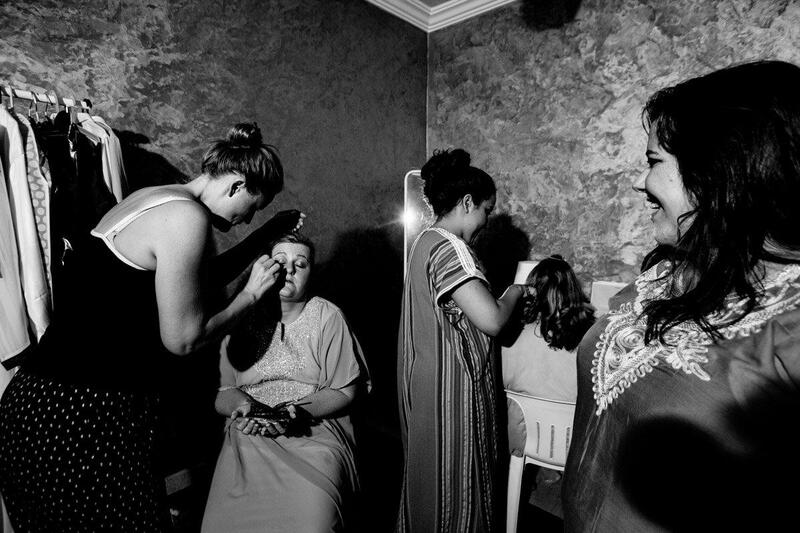 Narjiss had her hair and makeup done by Pauline at Brooklyn Mama’s and then headed back to her parents house to finish getting ready. 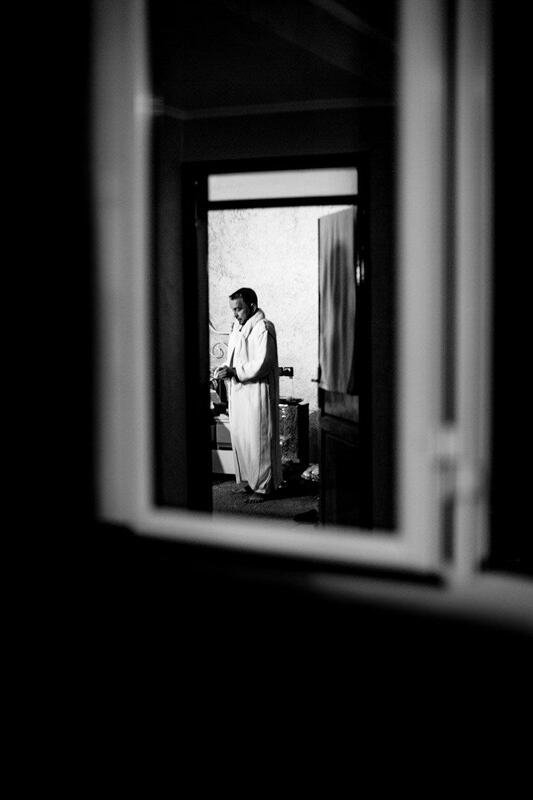 Mehdi got ready with his family and then they all arrived at Narjiss’ parents home. 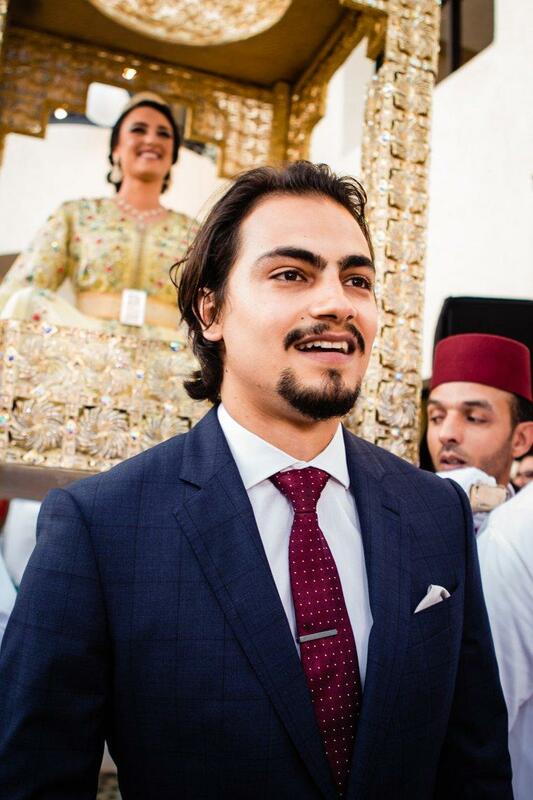 As is customary, Mehdi’s family accompanied him to the house with gifts and singing and Narjiss’ family was outside to welcome and greet them. 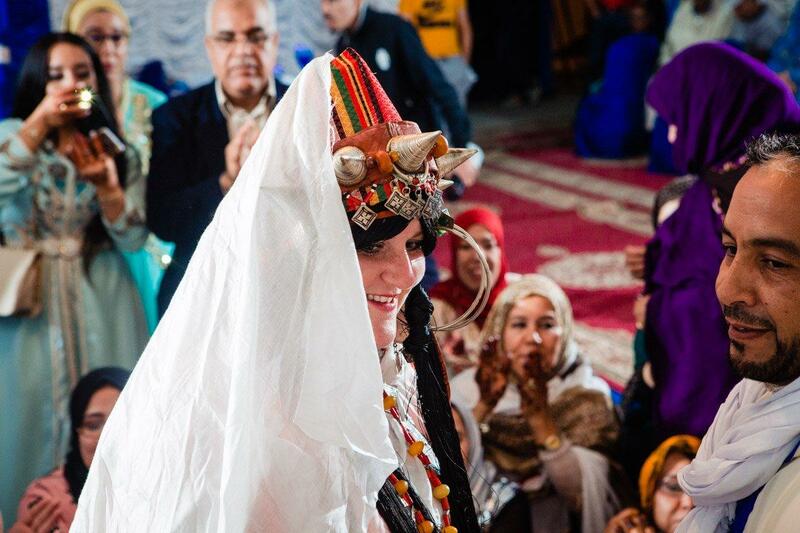 Inside Narjiss waited, in a beautiful, traditional Amazigh attire. 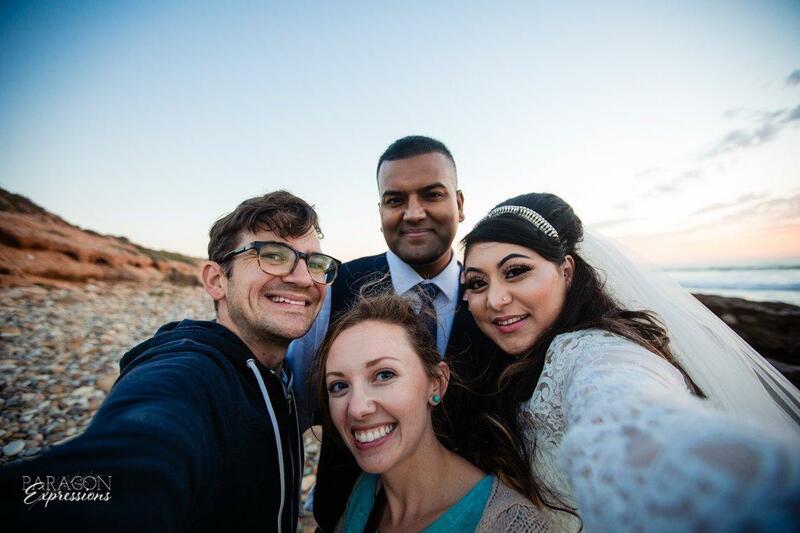 The look on Narjiss and Mehdi’s faces when they first saw each other was priceless. 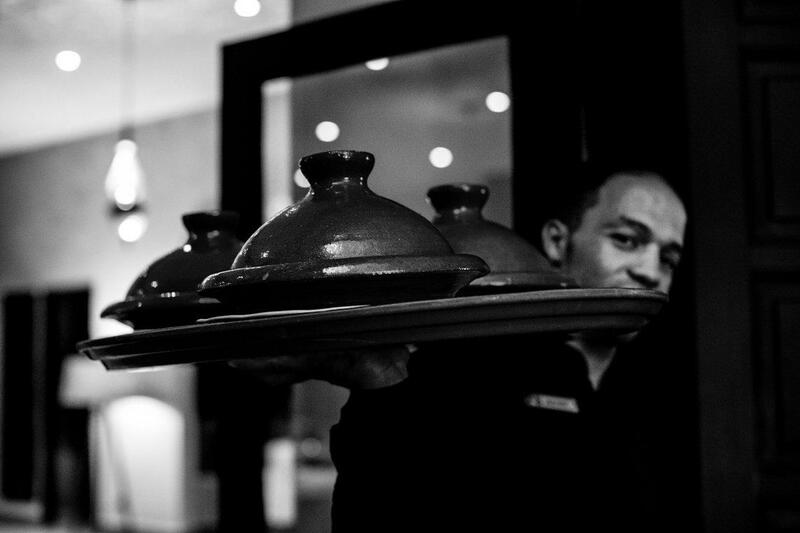 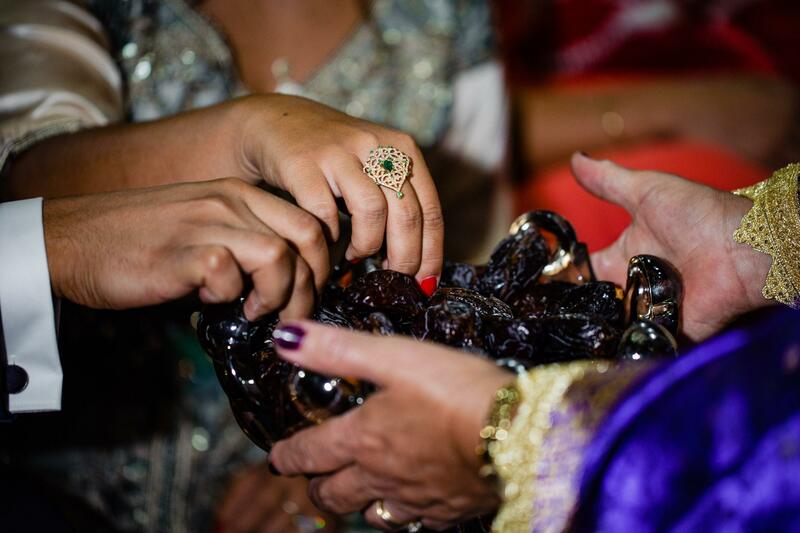 As is tradition in Morocco, dates and milk were passed around, which are said to bring good luck and fertility. 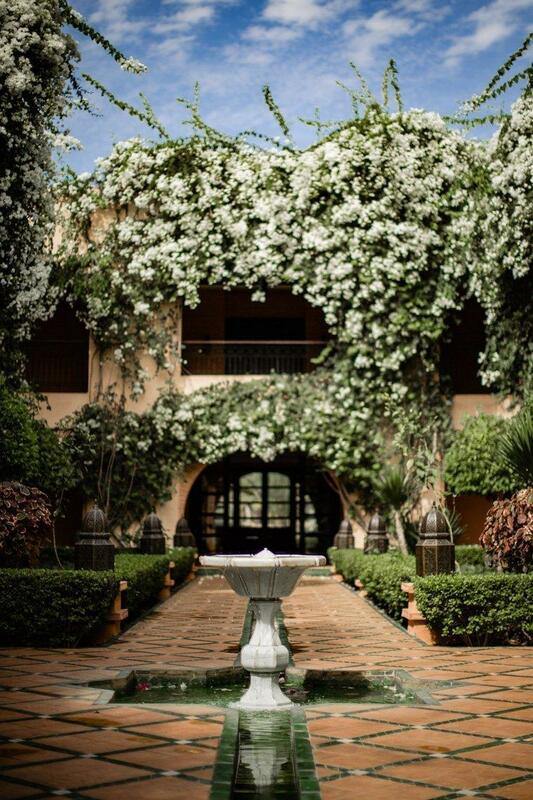 The first part of the Sdak was held outside in the beautiful garden. 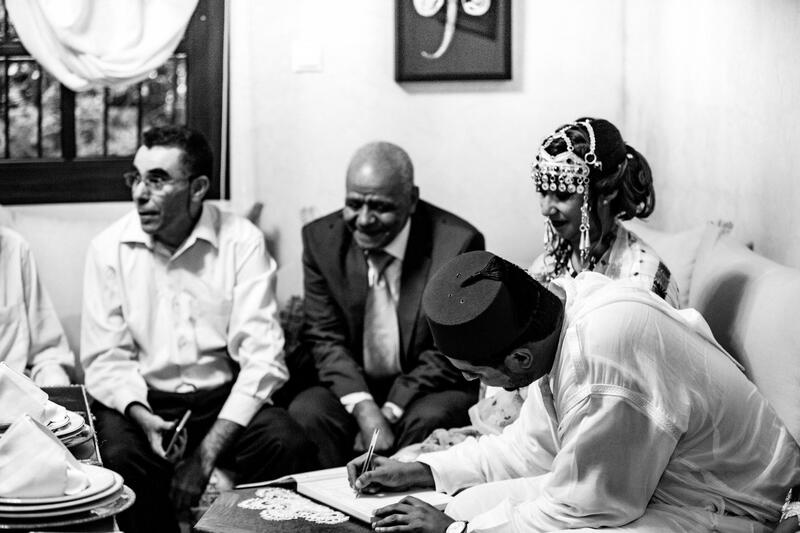 Halfway through the ceremony, where the official marriage contract is signed with the Adoul (Moroccan notary) and witnesses, we were surprised by a quick rain shower. 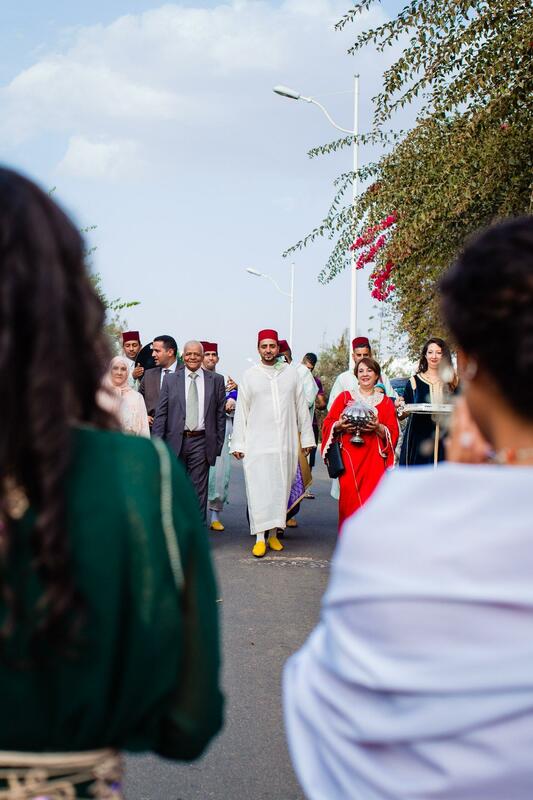 Everyone rushed indoors and the ceremony continued uninterrupted there. 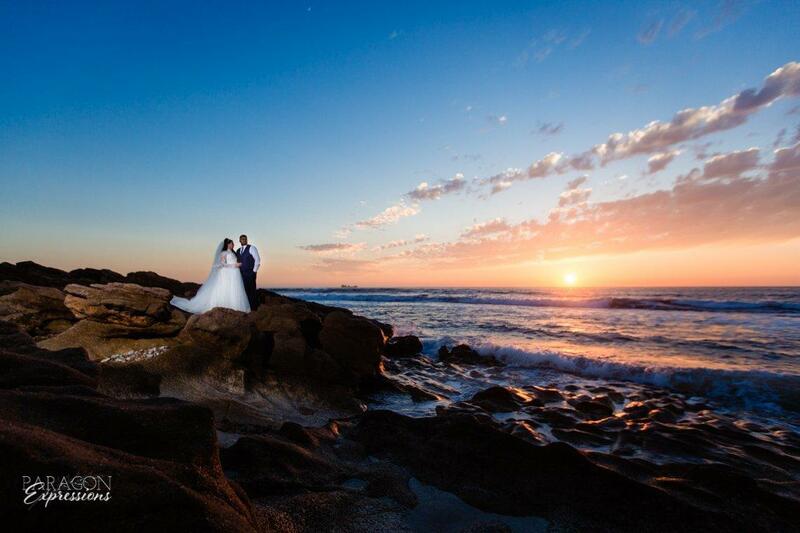 They say rain is good luck on a wedding day! 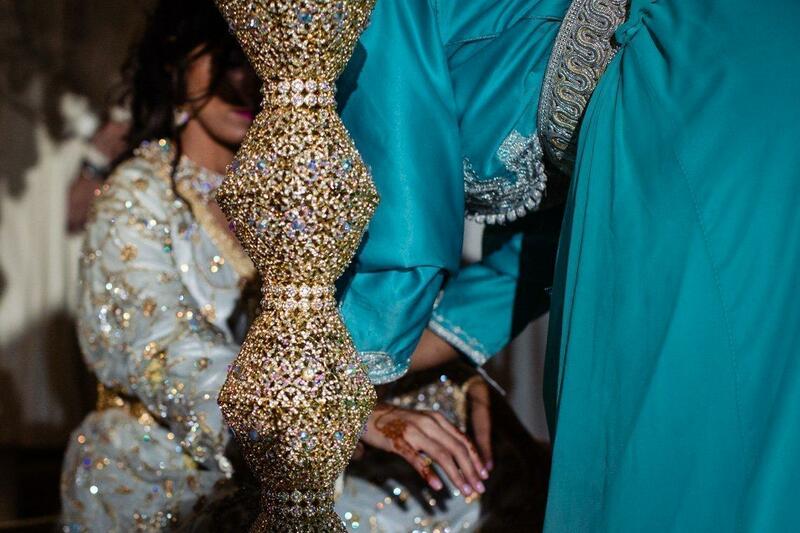 After the ceremony, there was tea, sweets, and dancing. 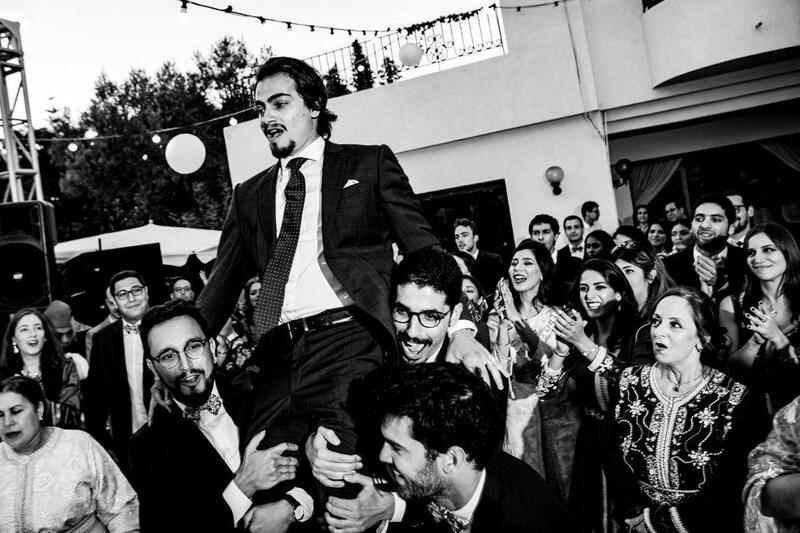 Everyone was excited to celebrate! 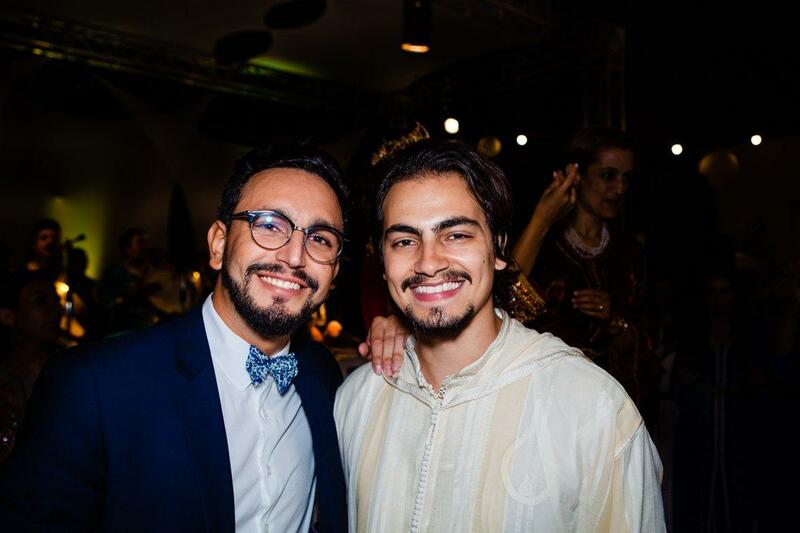 Narjiss and Mehdi then went and changed into different outfits for the second half of the evening. 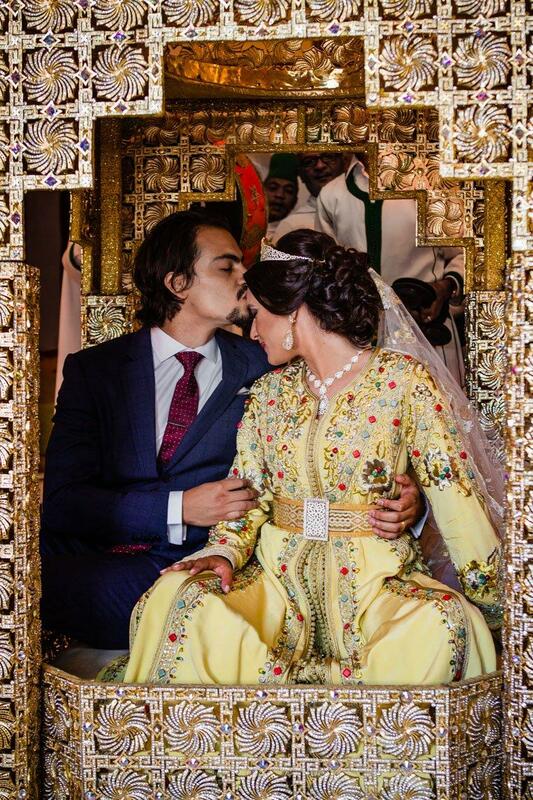 Narjiss wore a beautiful kaftan and Mehdi a suit. 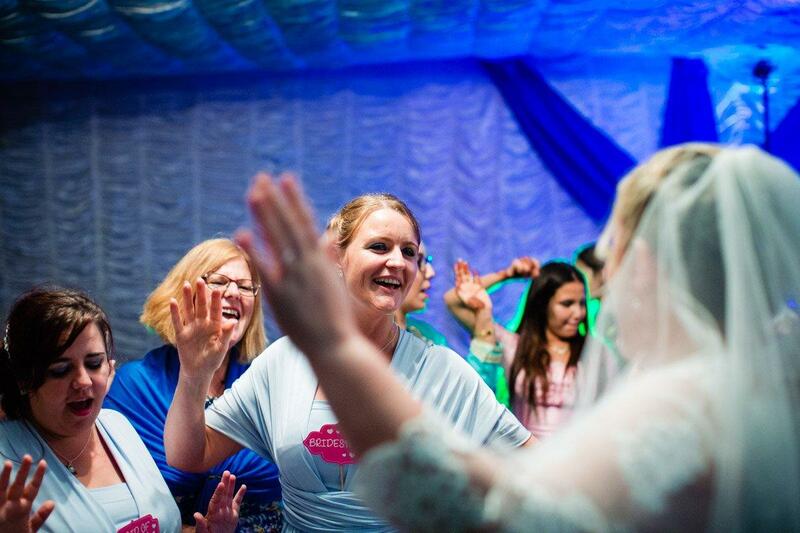 And then it was time for more dancing – because really, is it a celebration without dancing?! 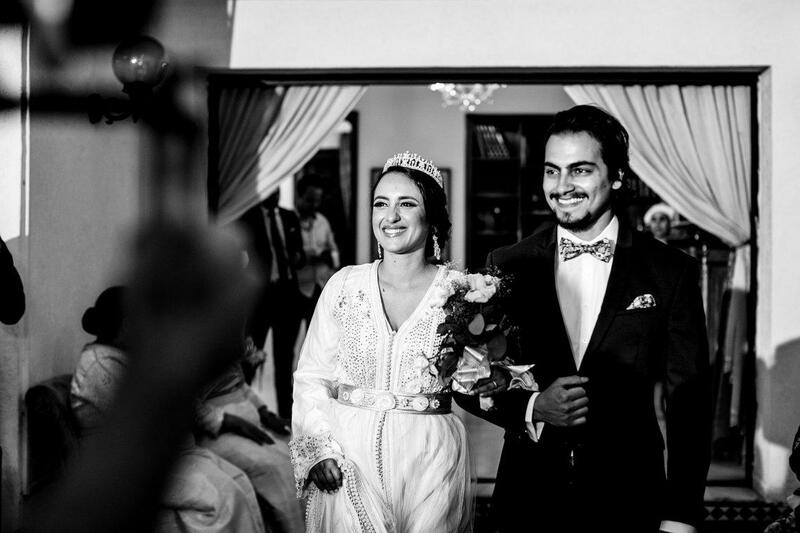 Later on, everyone went back outside for family portraits and Mehdi and Narjiss exchanged wedding rings. 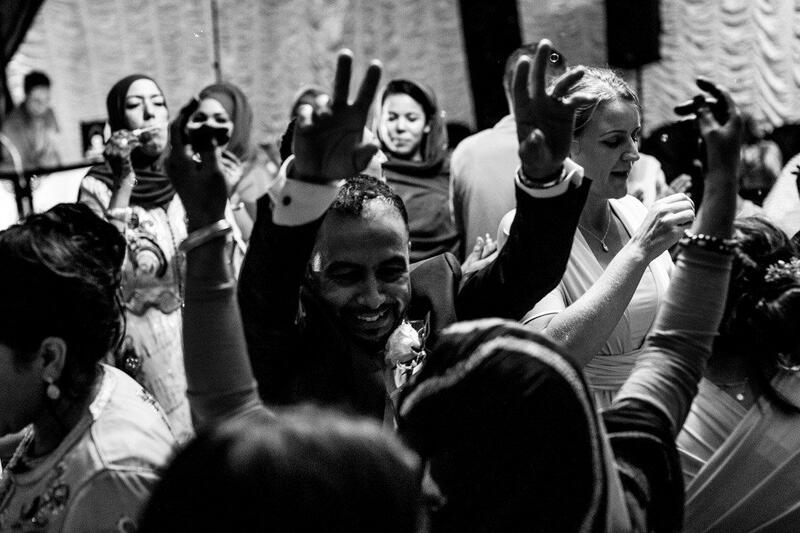 We loved the intimate feel of this Drib Sdak and being able to capture the joy and excitement of Mehdi and Narjiss’ marriage! 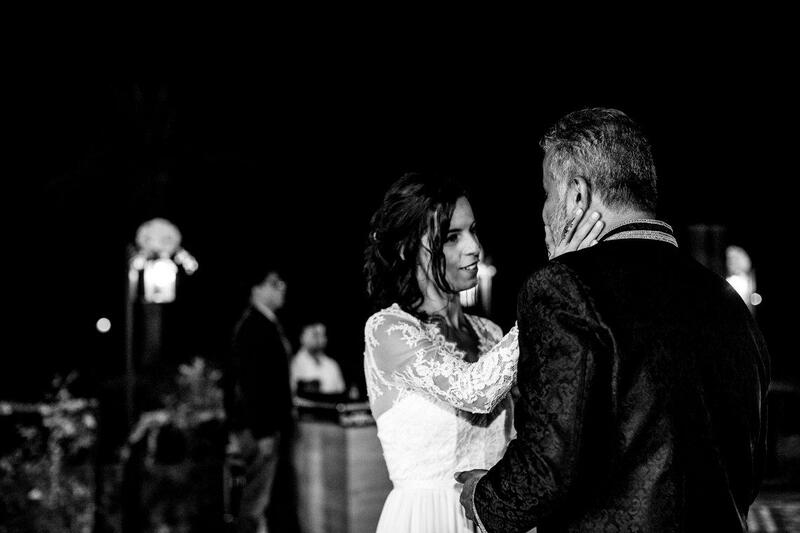 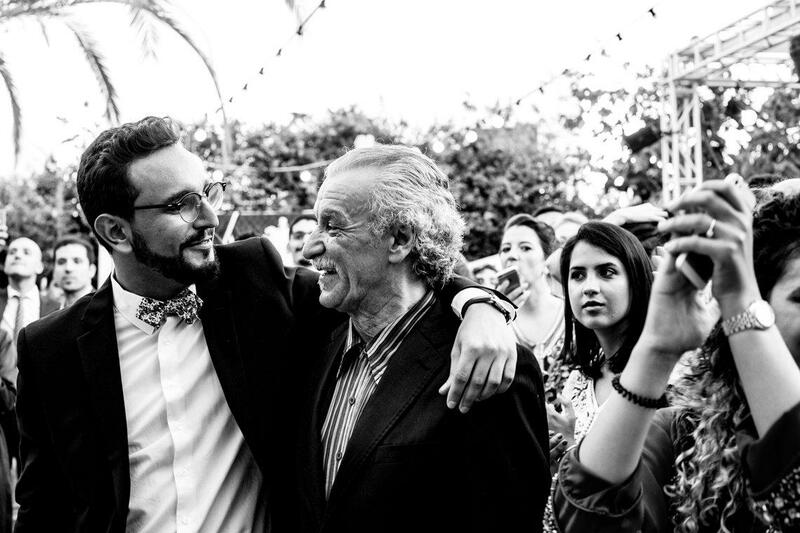 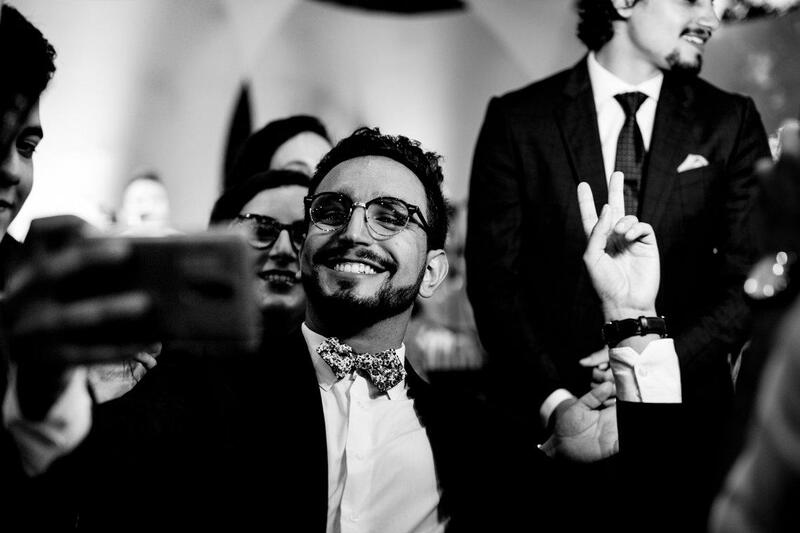 There were so many special moments during this night and we were honored to capture them. 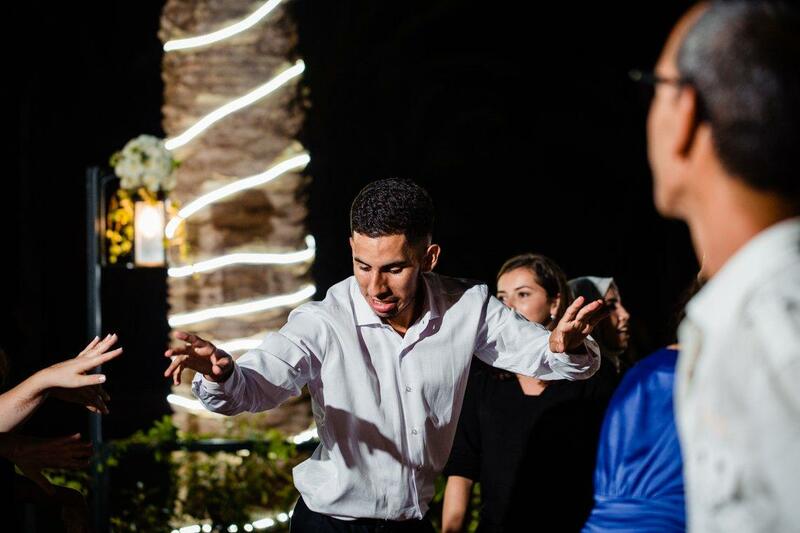 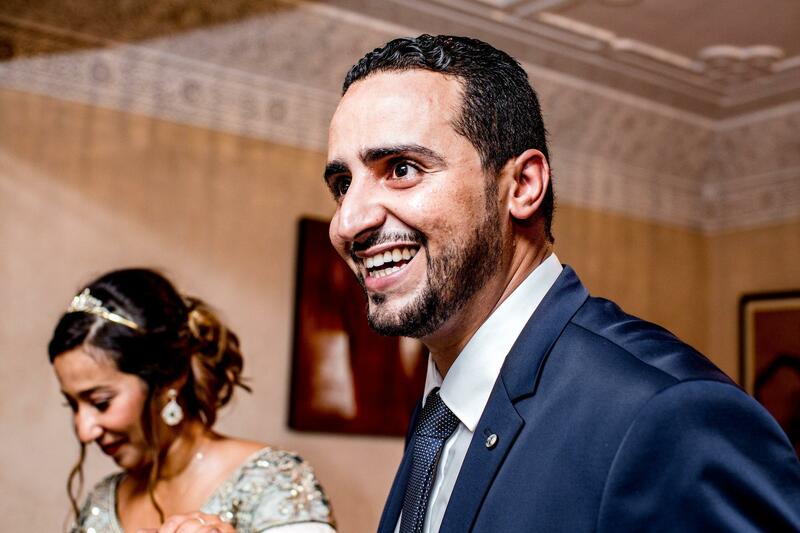 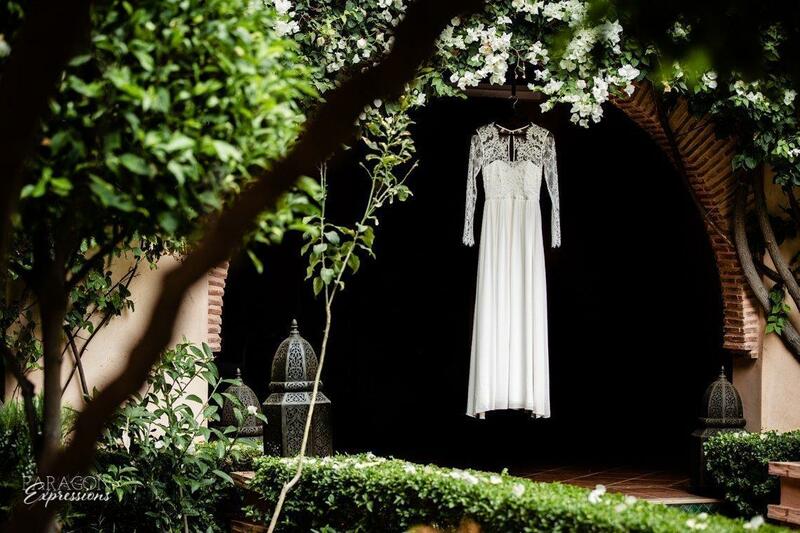 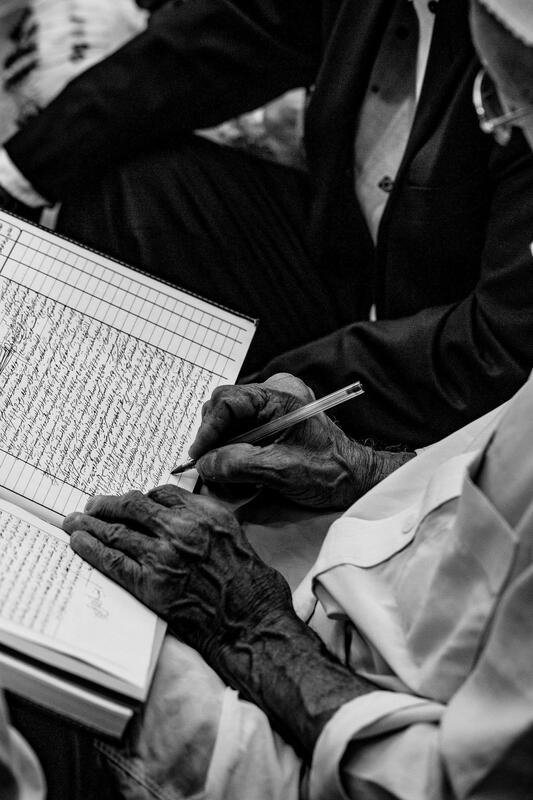 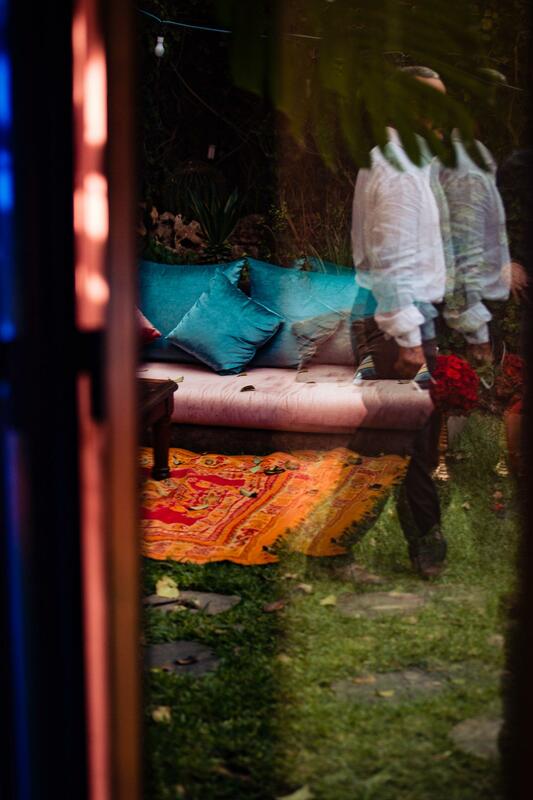 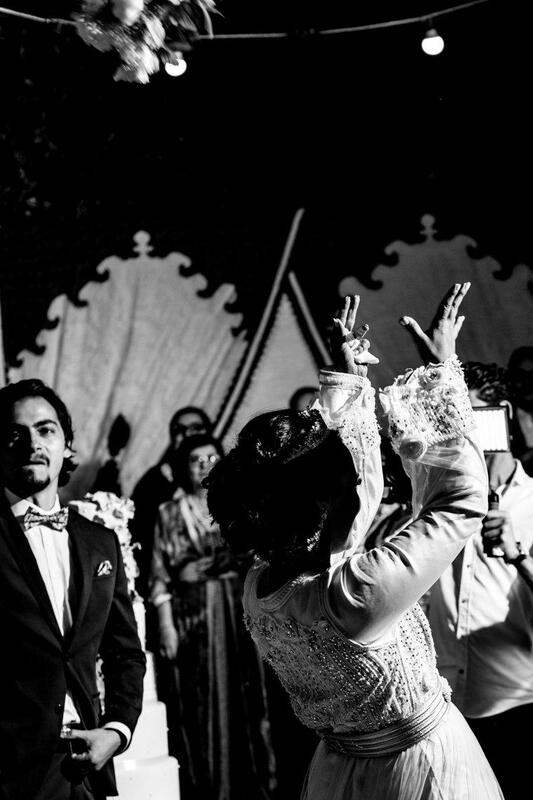 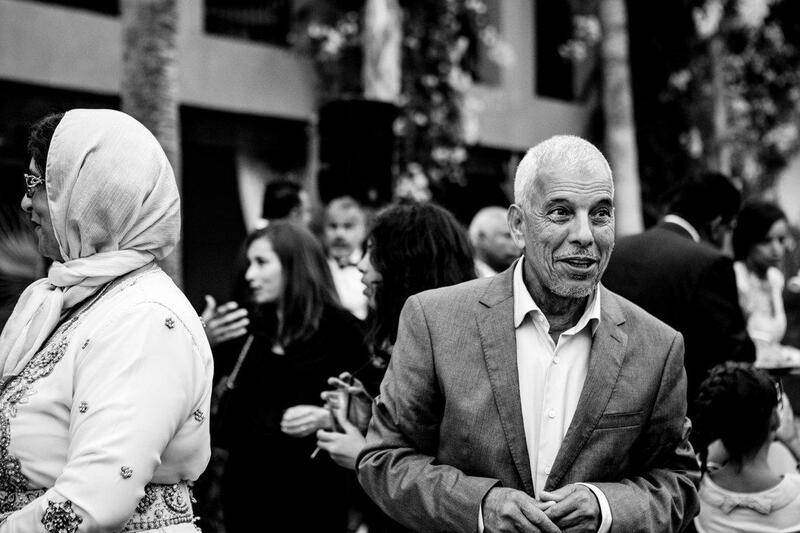 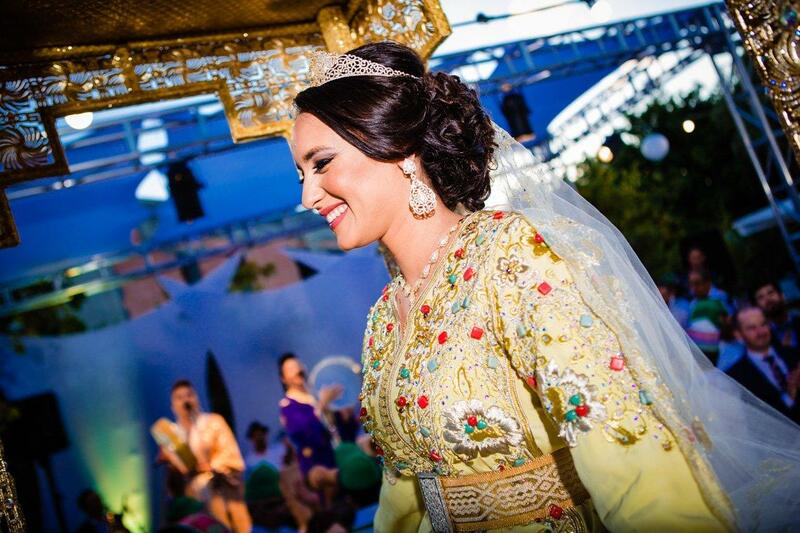 Yassine and Yasmina’s Rabat wedding took place in the beautiful garden of a villa. 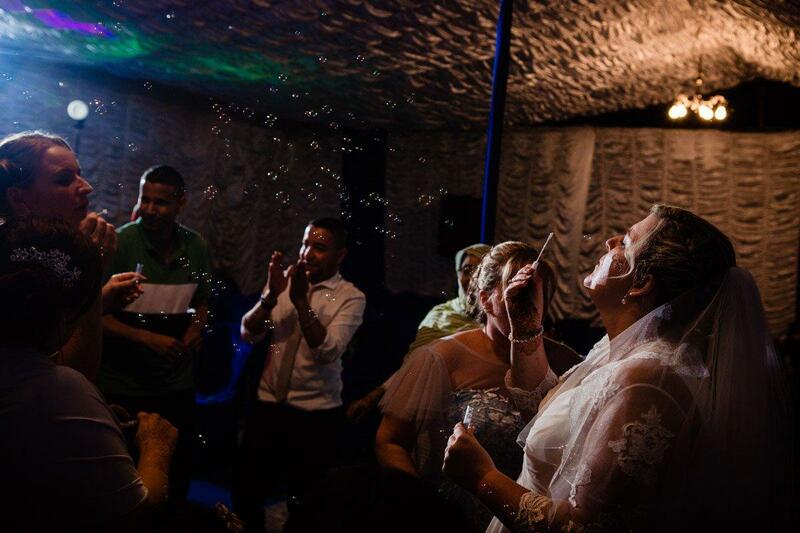 With lights and lanterns strung across, it was absolutely magical. 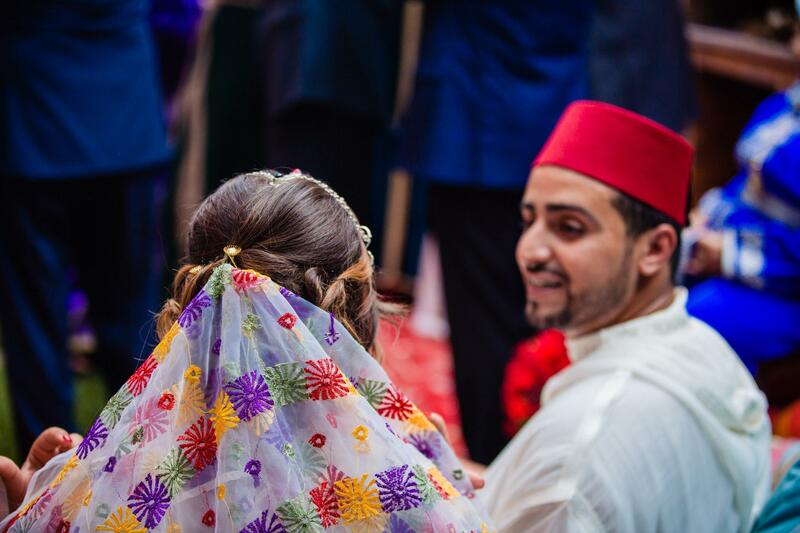 Yassine and Yasmina first met as children at Yasmina’s cousin’s house. 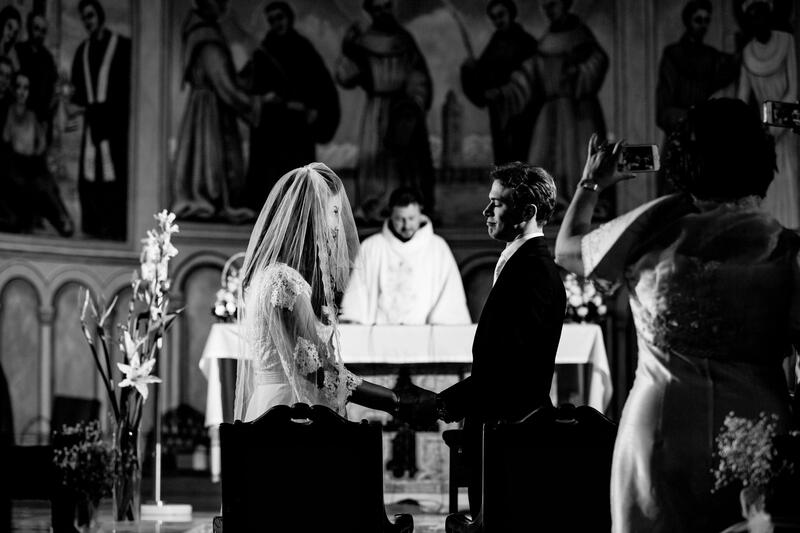 Ten years ago, they reconnected at a wedding and the sparks flew between them. 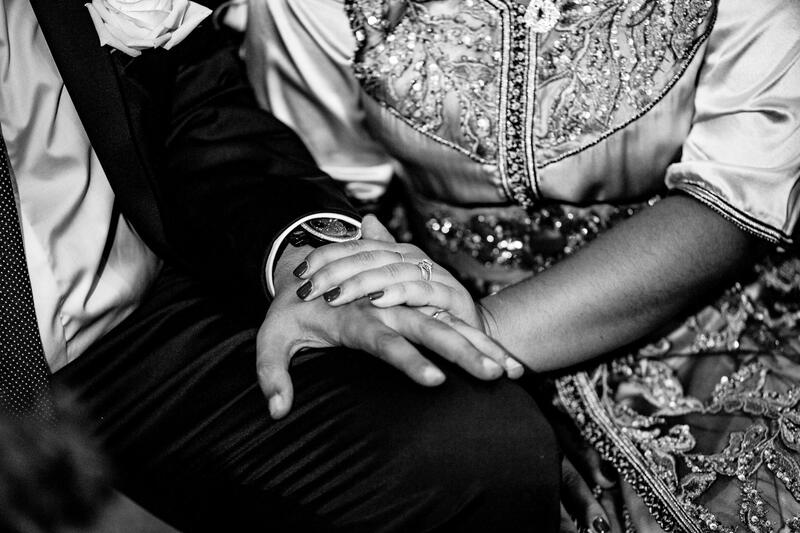 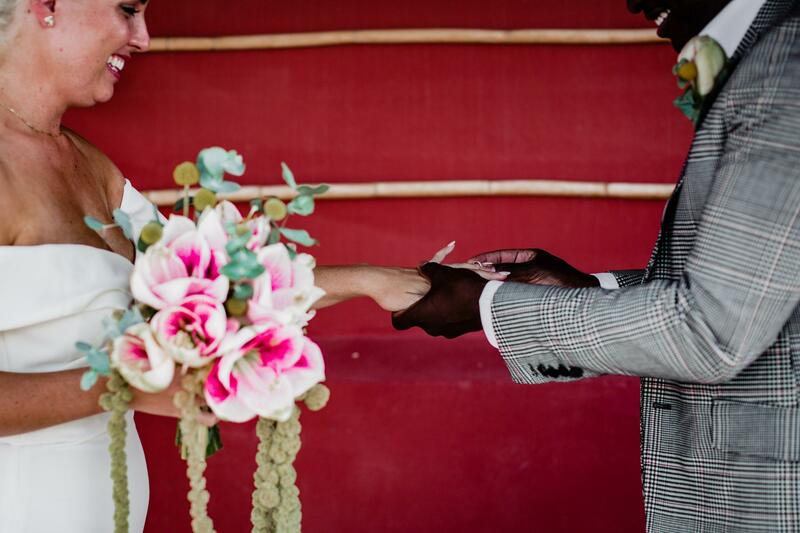 When they both moved abroad they kept in touch, and years later decided to get married. 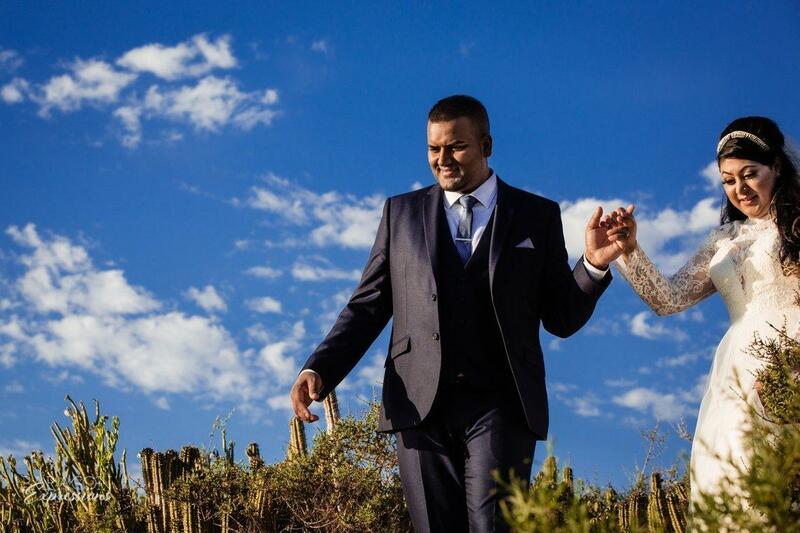 Their wedding happened to fall on the same day as the World Cup final. 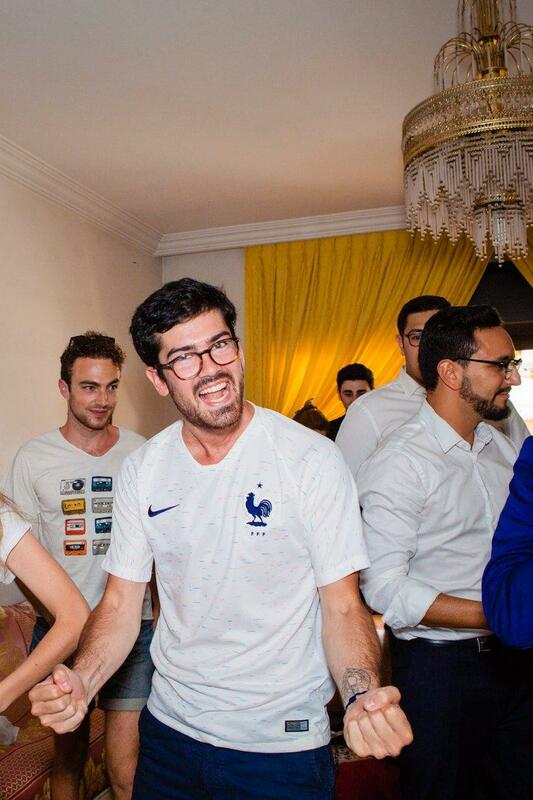 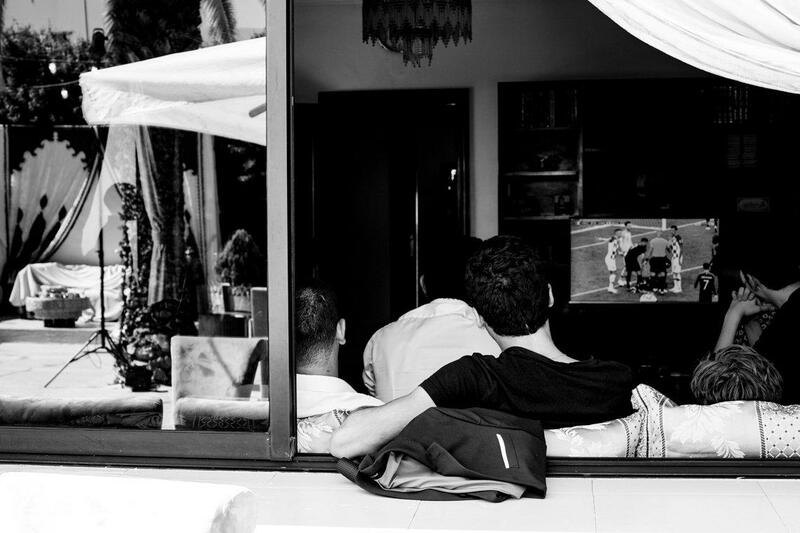 In the hours leading up to the wedding, close friends and family could be found gathered around a TV and there was much celebrating over France’s victory. 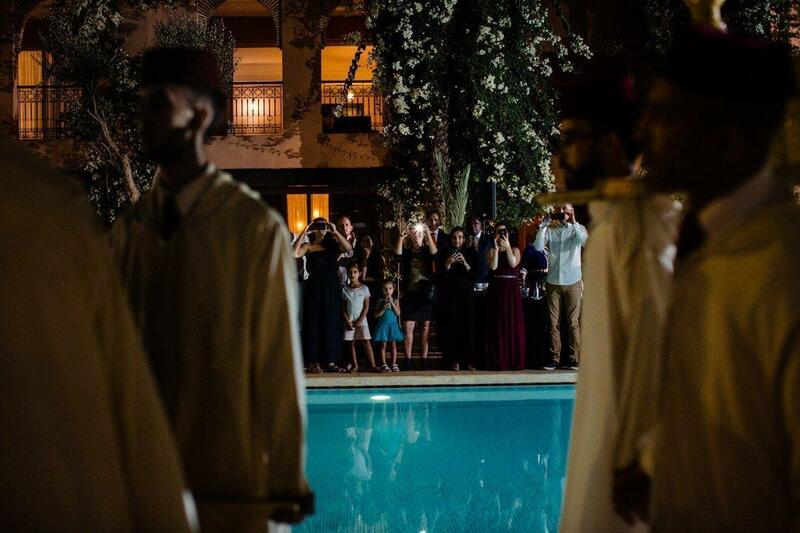 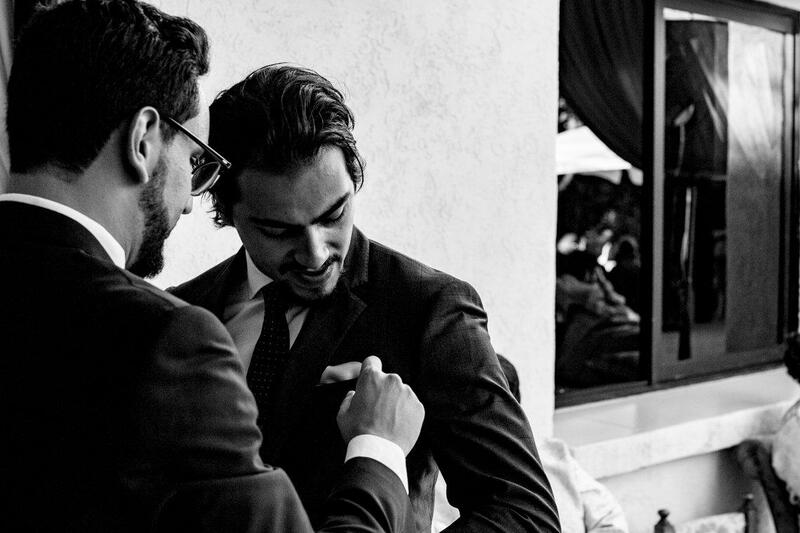 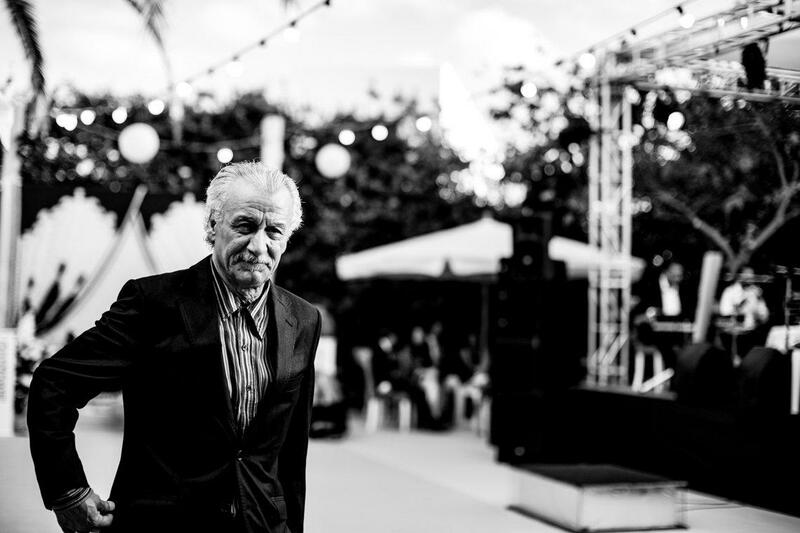 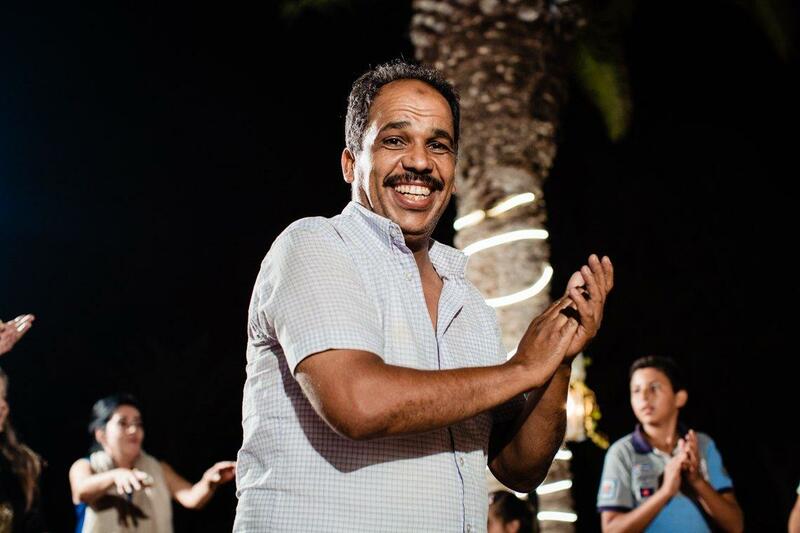 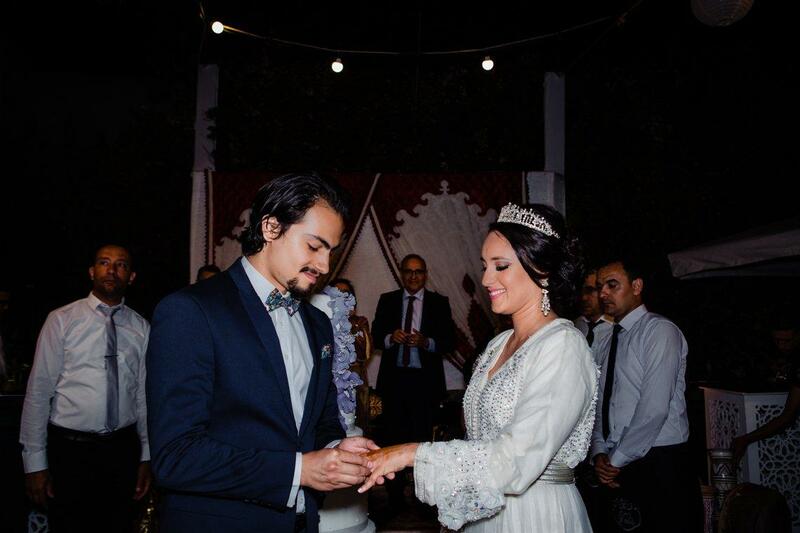 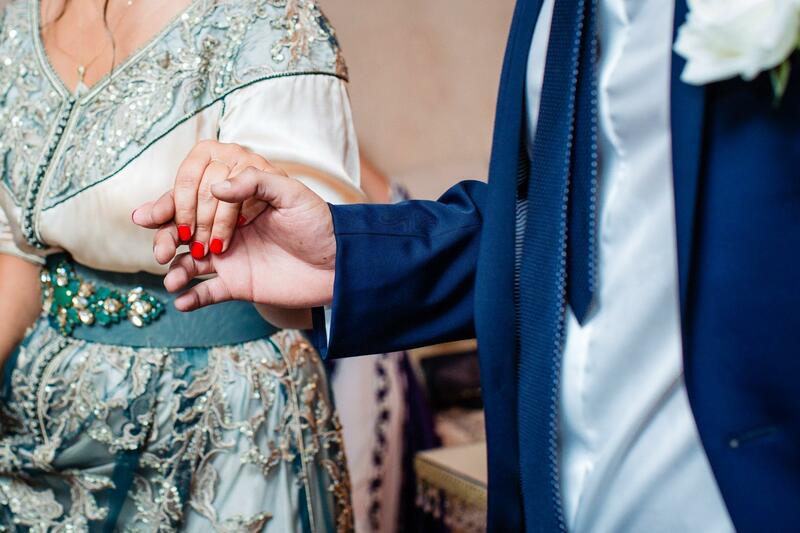 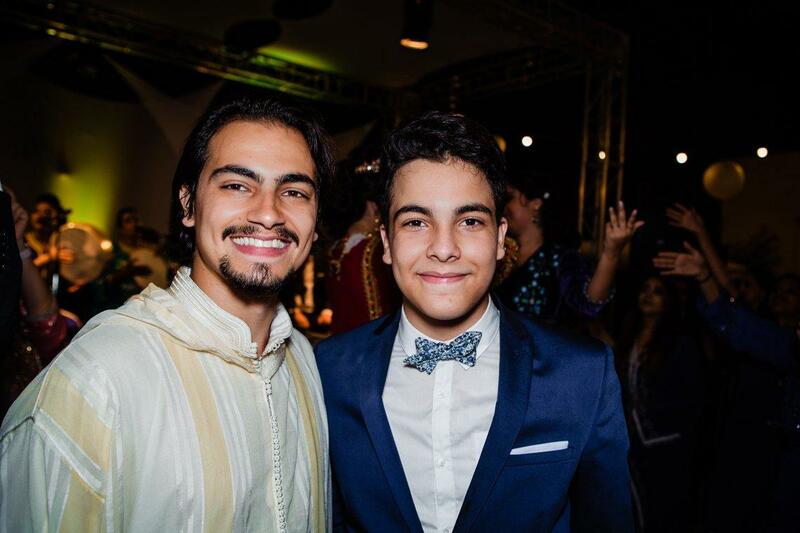 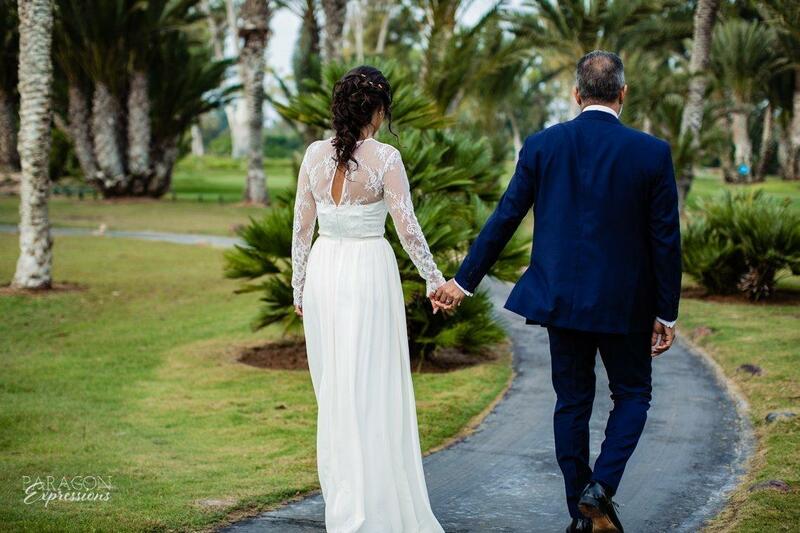 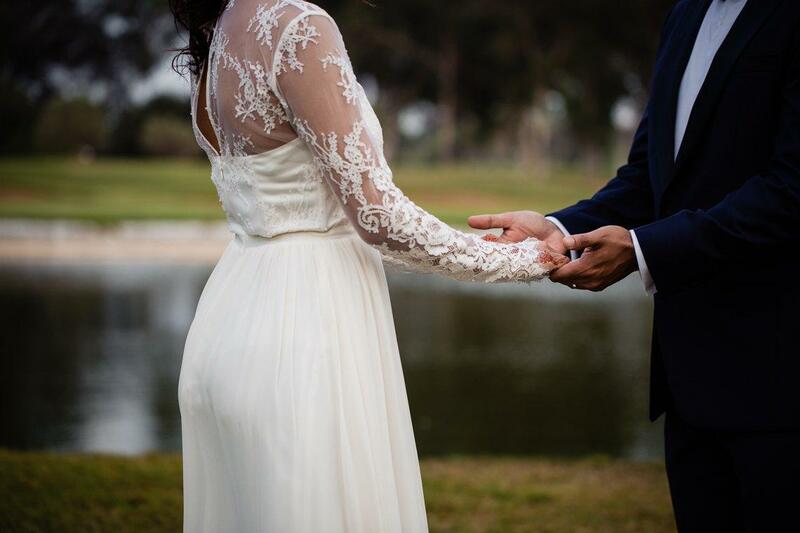 The villa belonged to Yassines grandparents, who he was very close to, and the setting gave the wedding a more intimate feel and as guests arrived they were warmly greeted by Yassine and Yasmina’s family. 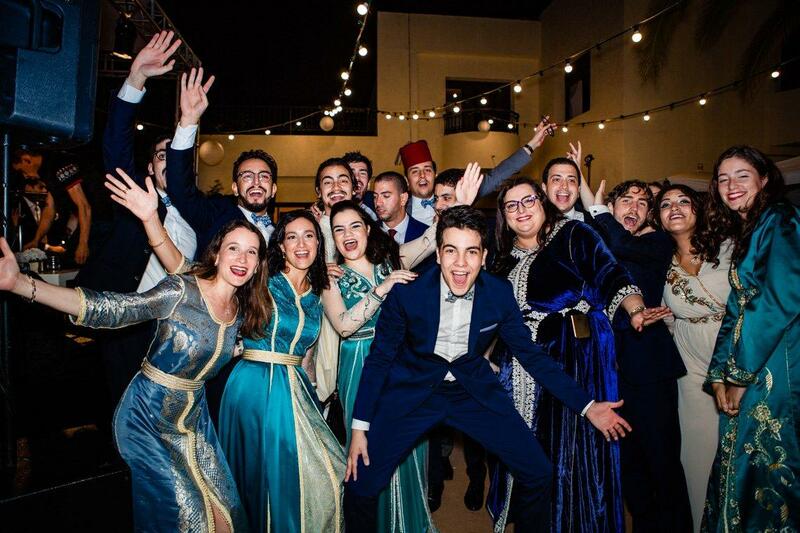 Friends and family arrived from all over, including Canada and France. 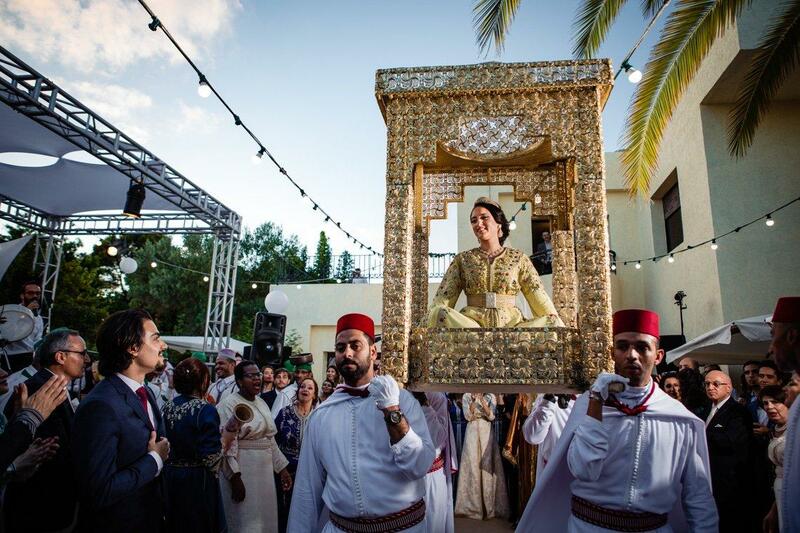 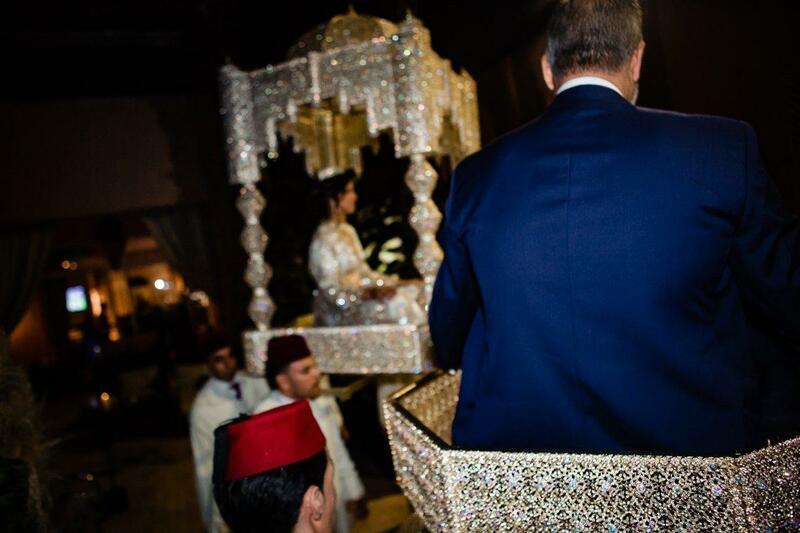 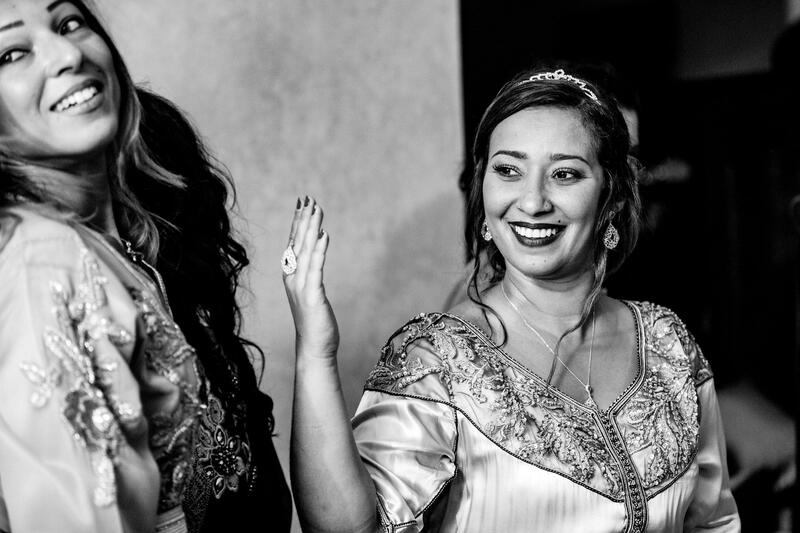 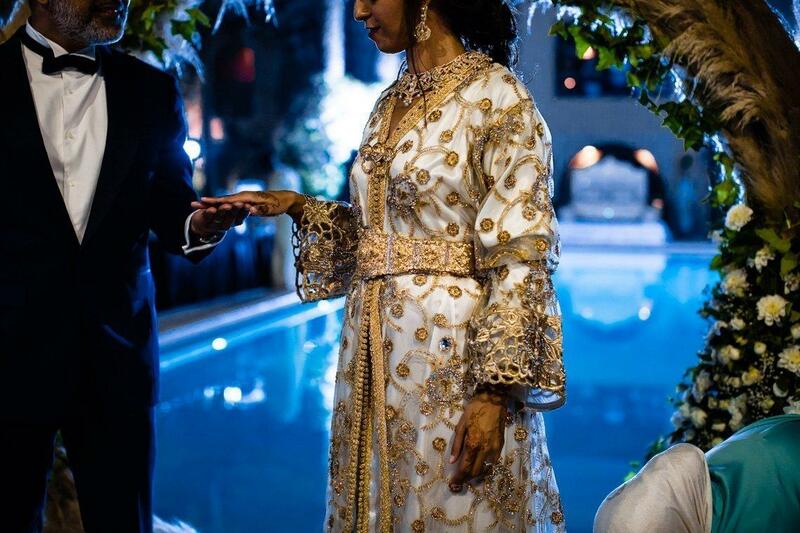 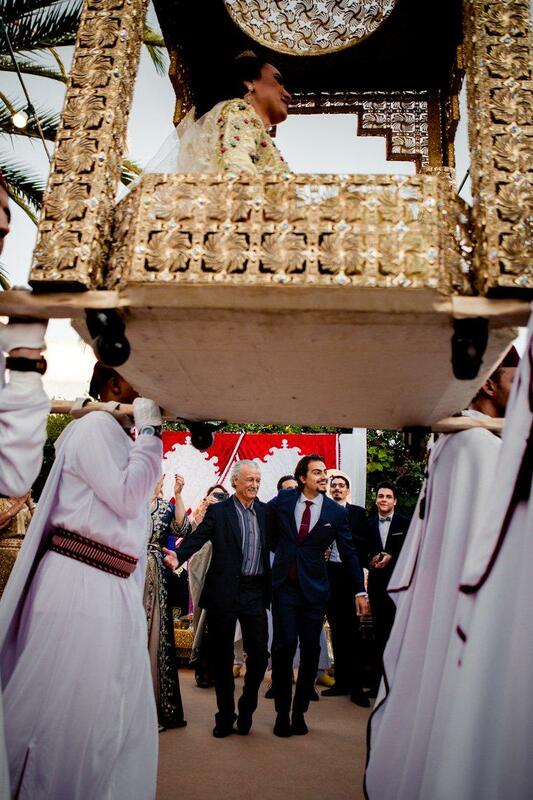 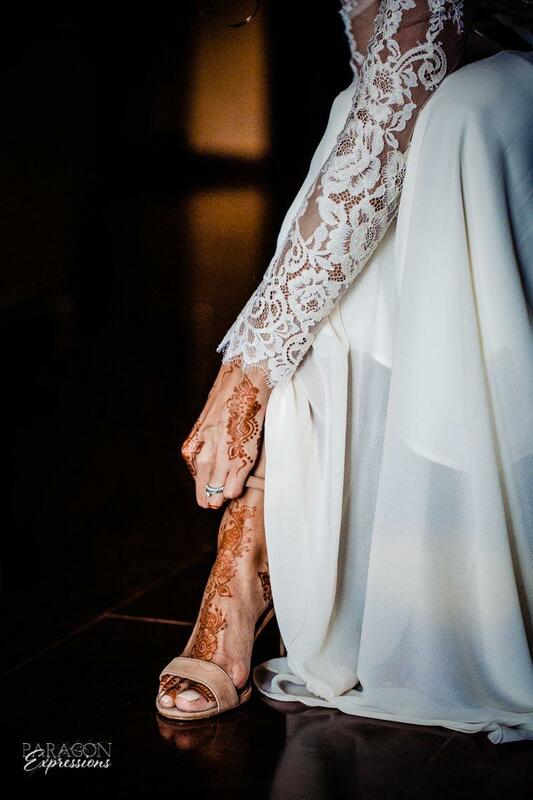 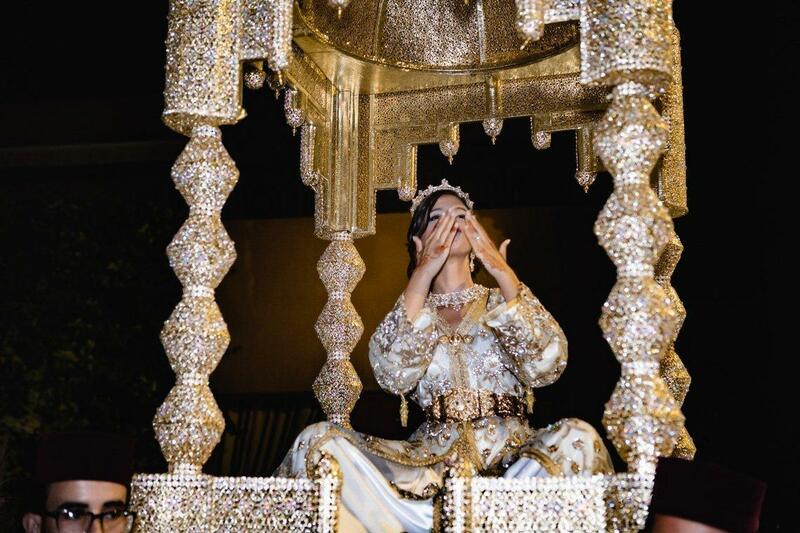 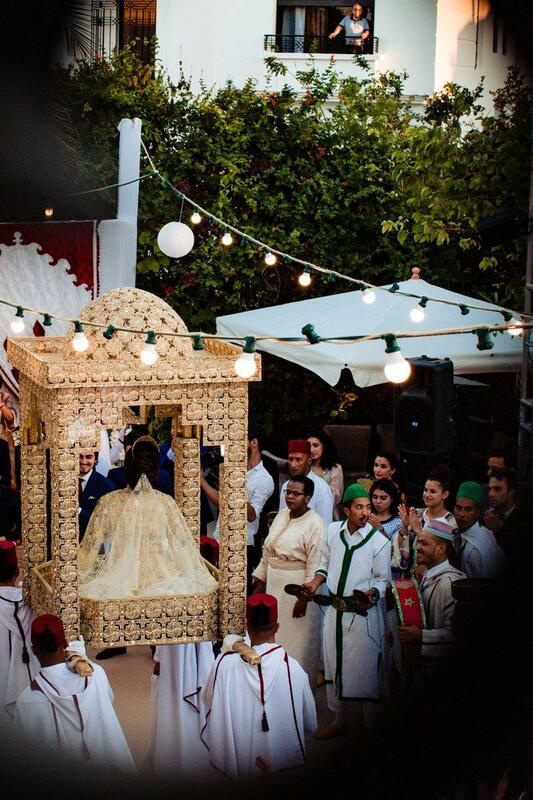 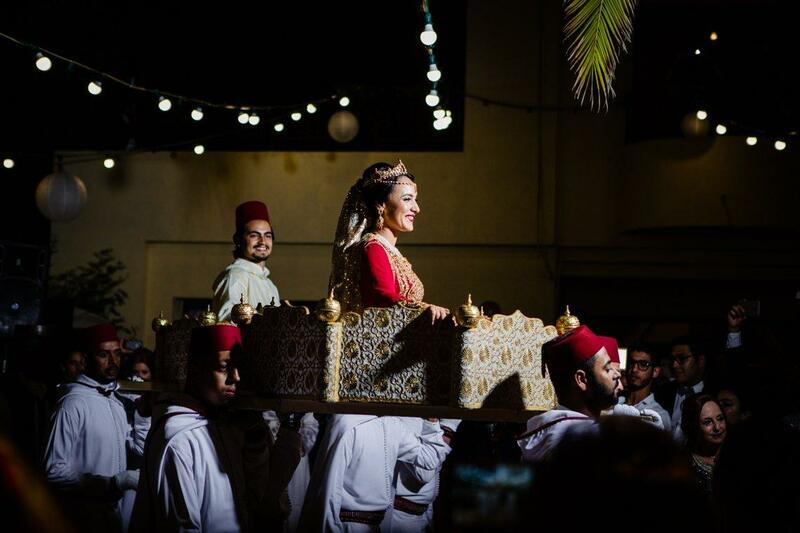 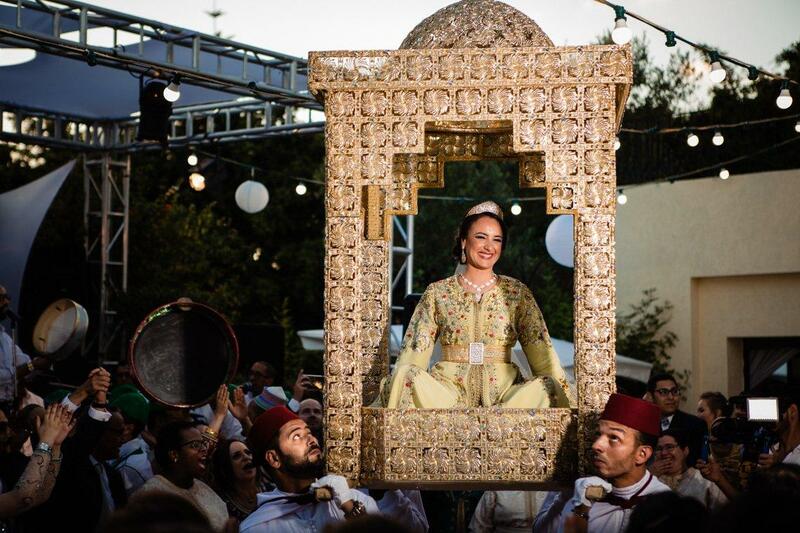 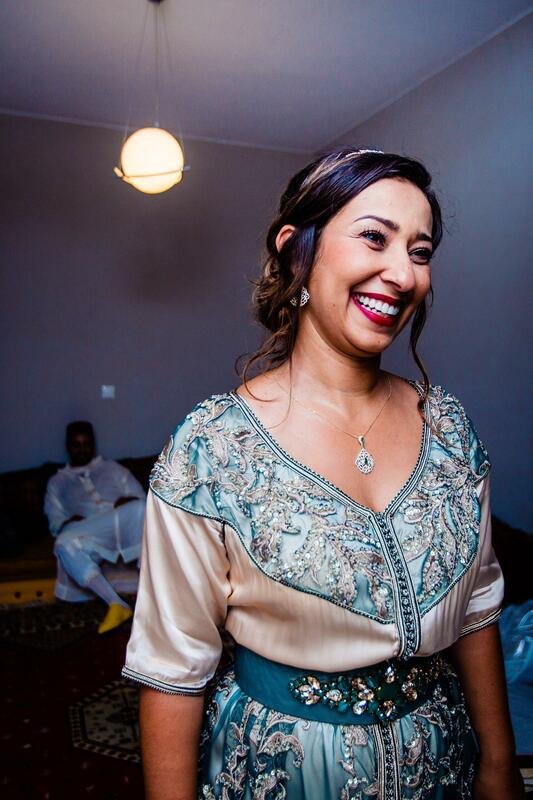 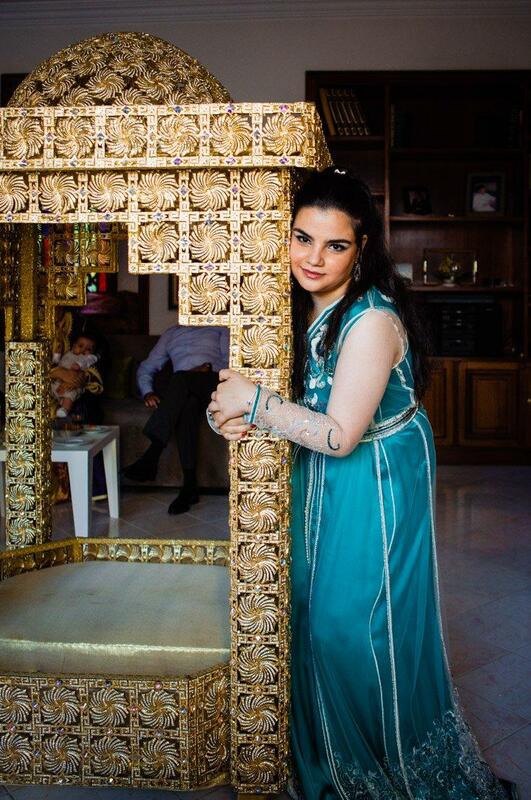 The wedding included many of the traditional Moroccan elements, with the traditional Amaria entrance, the Negafa and Yasmina wore three different takchitas. 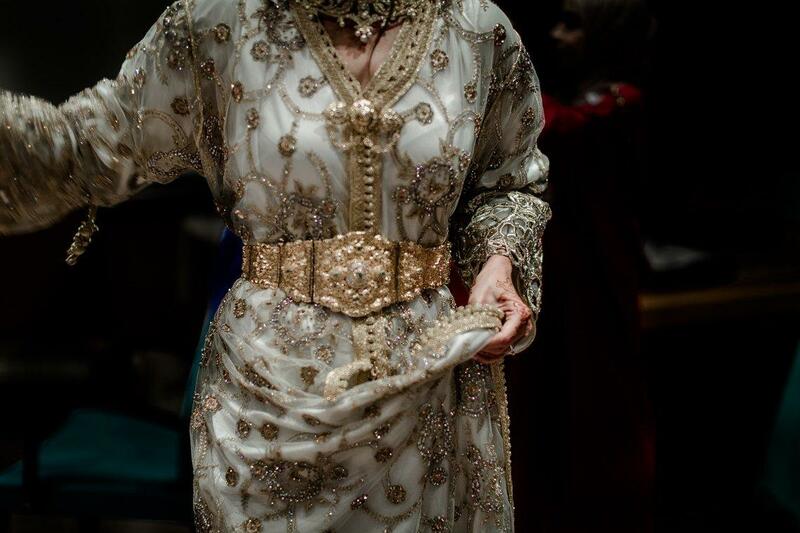 Yasmina’s Negafa was Mounia Benjelloun of Dar Benjelloun , and the dresses were a beautiful mix of modern and traditional. 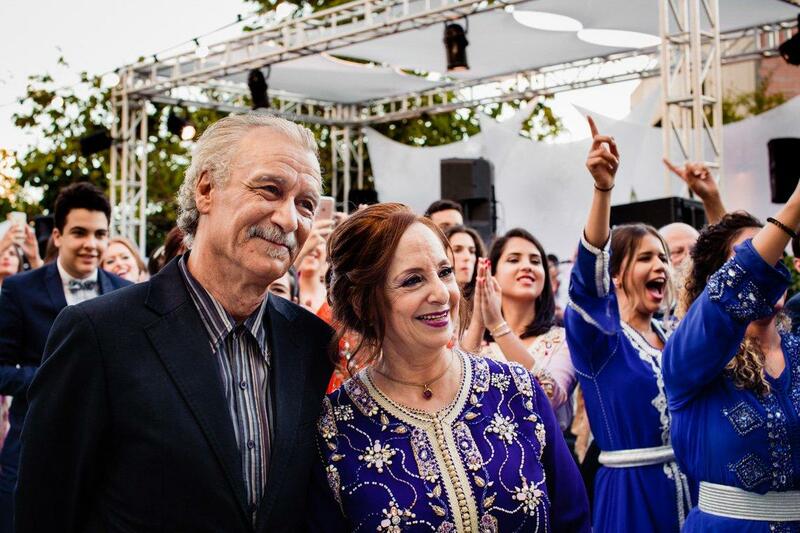 We would highly recommend Mounia Benjelloun as a Negafa and really enjoyed working with her. 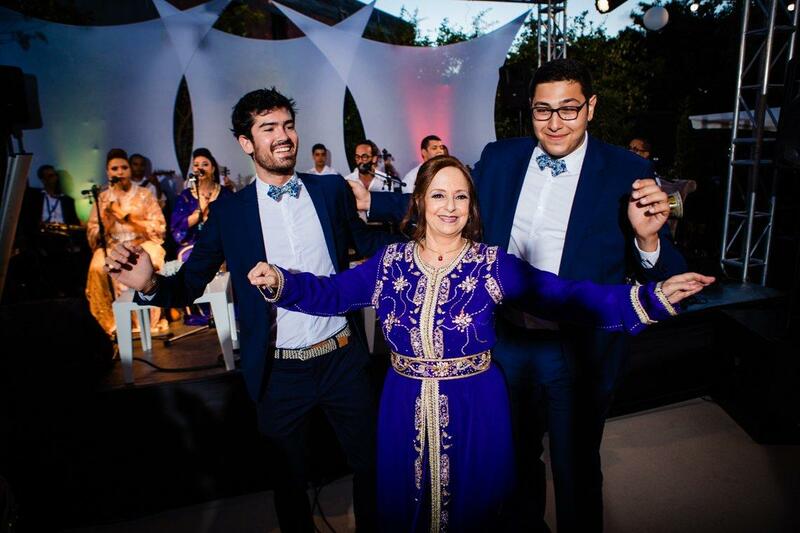 Guests needed no encouragement to dance and Othmane Mouline and his band made it impossible for them not to! 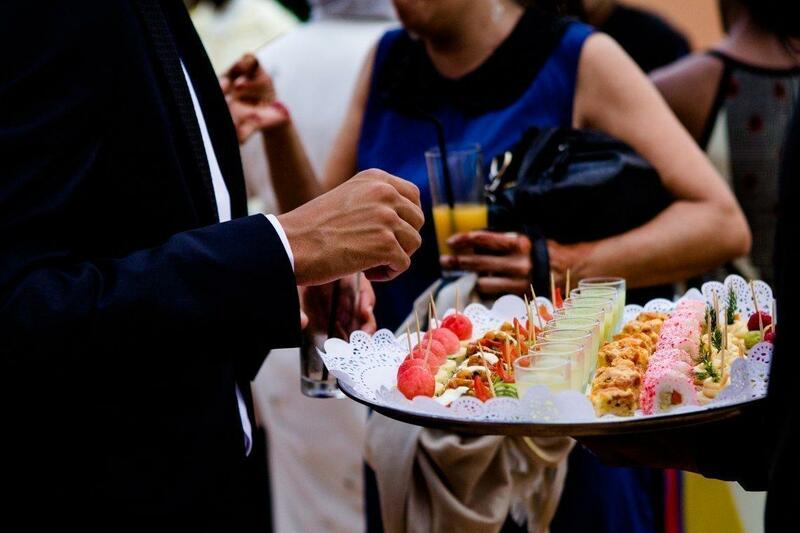 In lieu of a traditional sit-down meal, there was a variety of hors d’oeuvre like mini sliders and sushi. 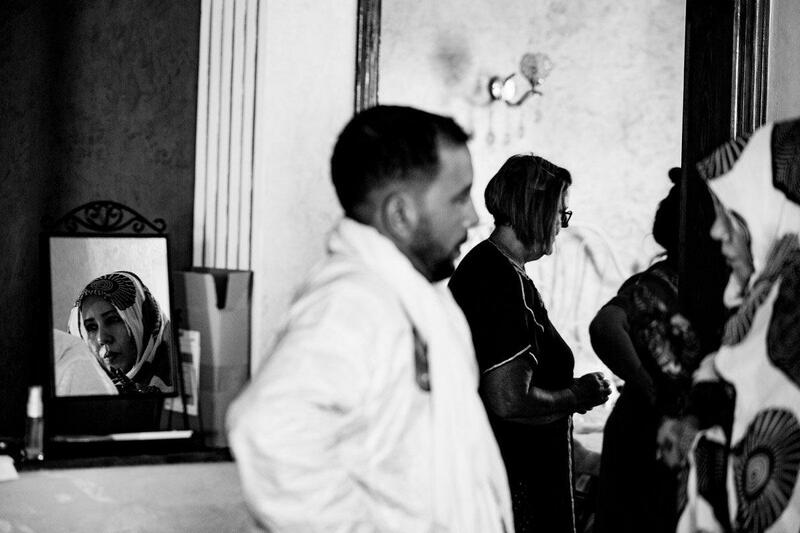 Later on there was a superb pasta bar and cheese table, all catered by Maison Dalis. 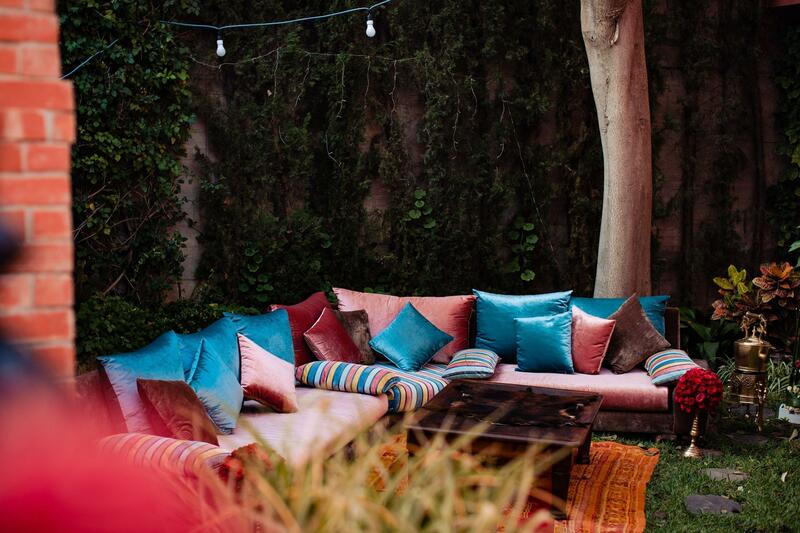 This helped to create an atmosphere where guests mingled together and was perfect for an outdoor garden wedding. 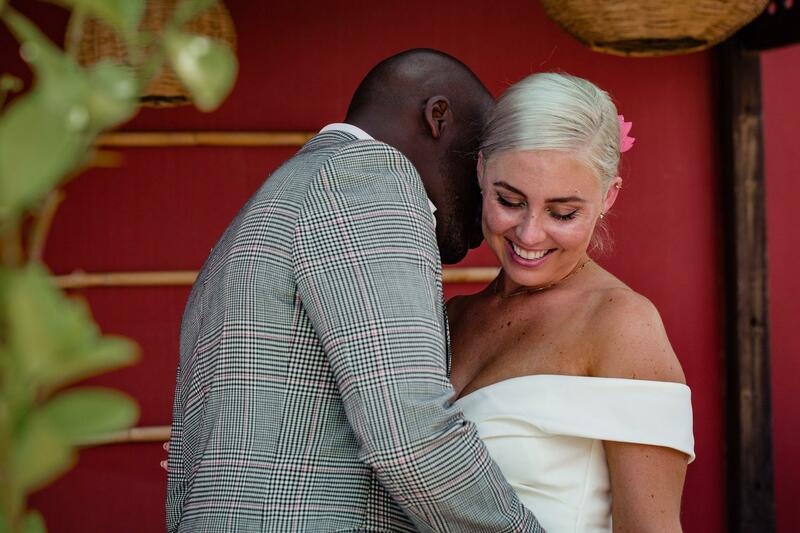 One of our favorite things to capture during a wedding is the way that the bride and groom look at each other during the wedding, this wedding was no exception! 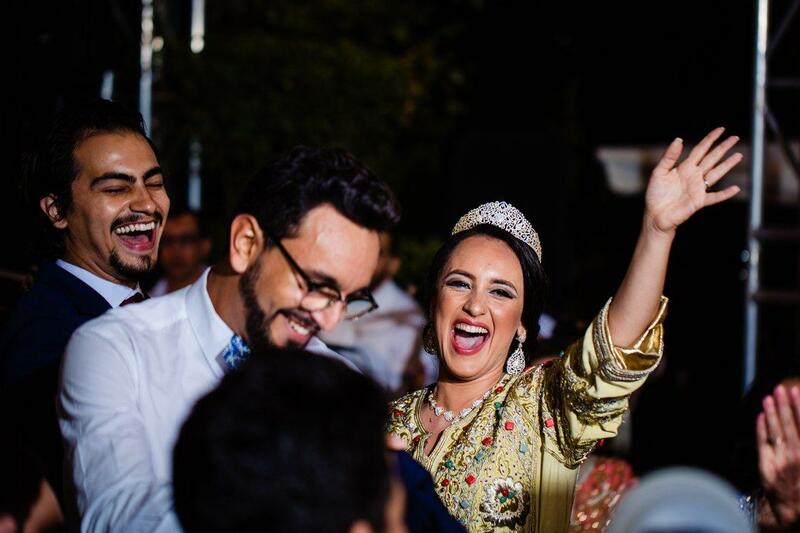 Yassine was full of grins every time he saw Yasmina, and she absolutely glowed. 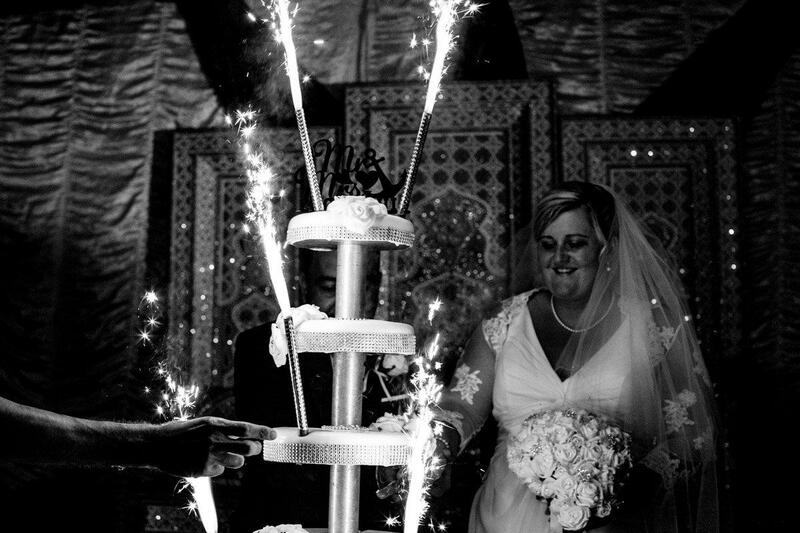 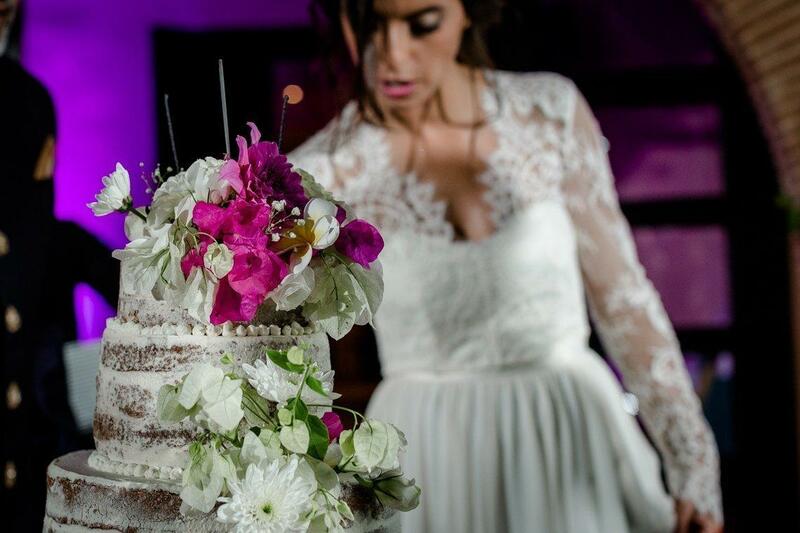 As the evening drew to a close, Yassine and Yasmina made their final entrance and did the cake cutting, followed by a bouquet toss.